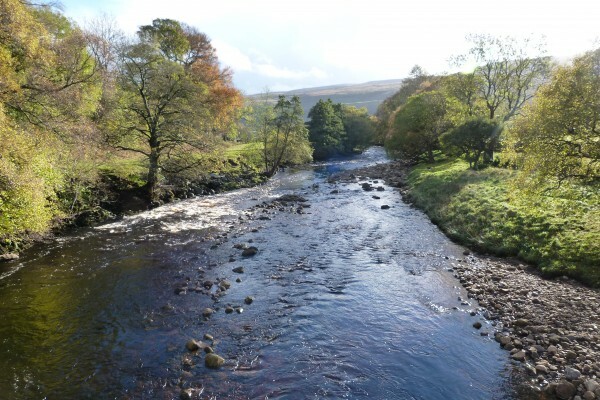 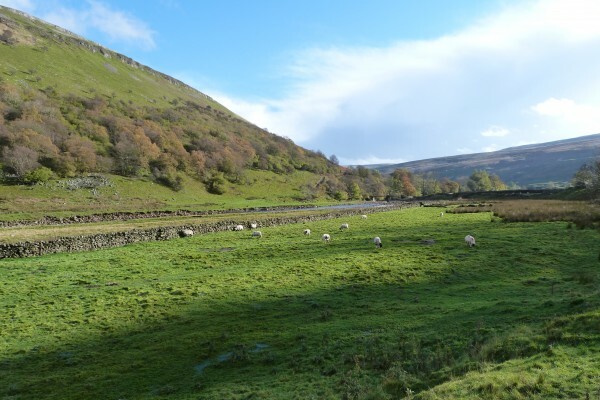 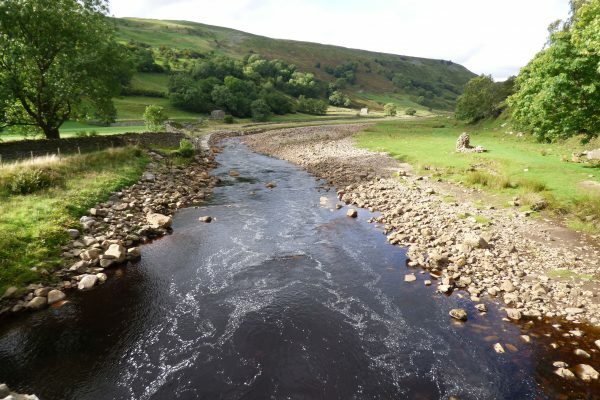 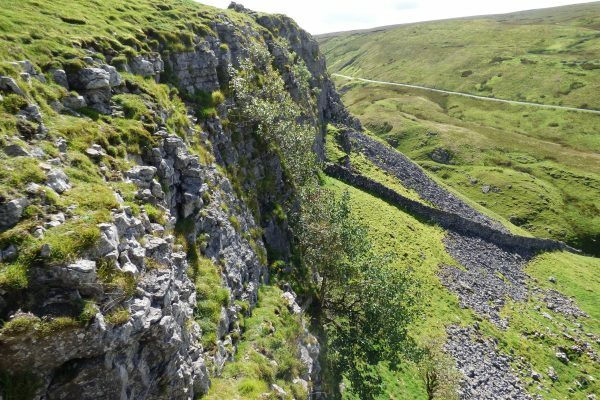 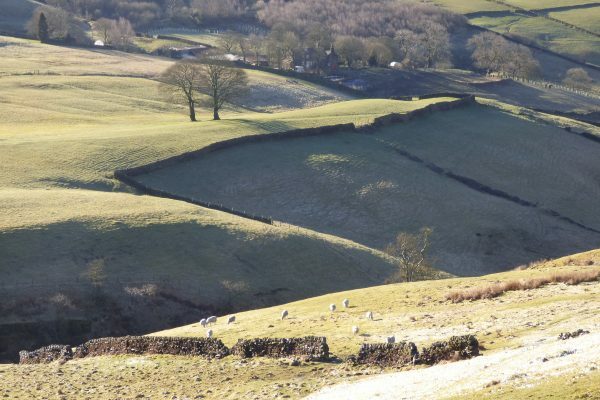 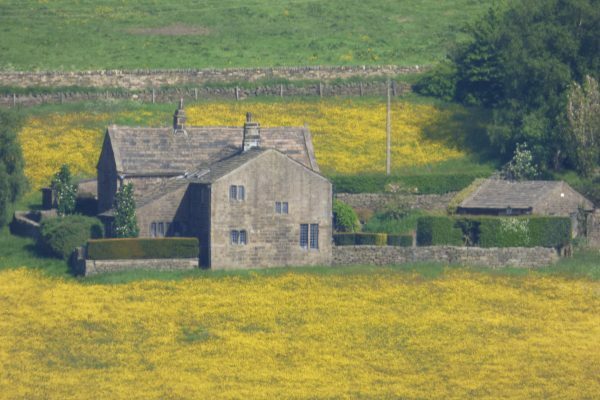 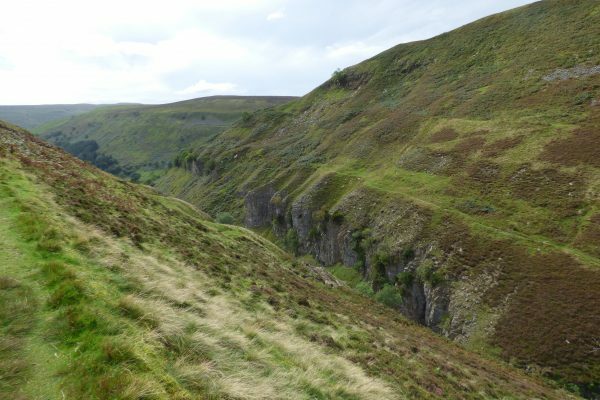 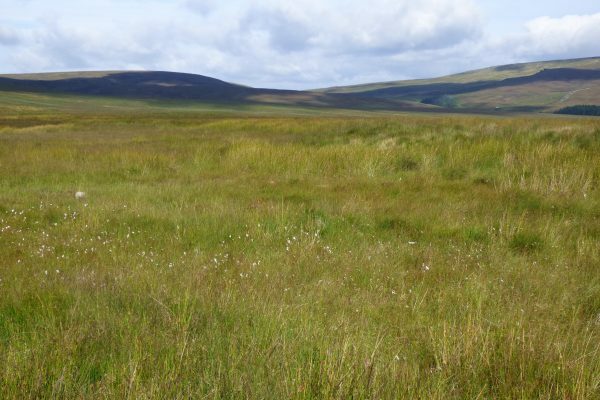 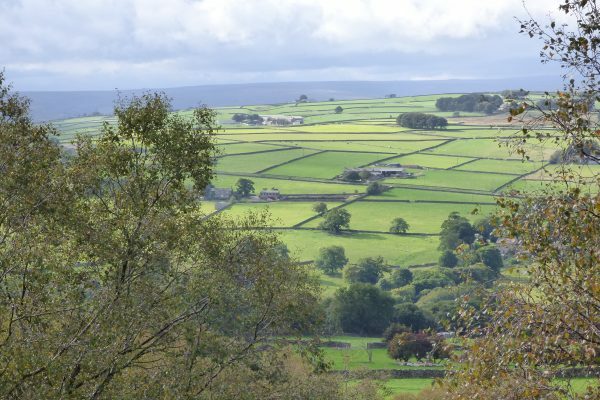 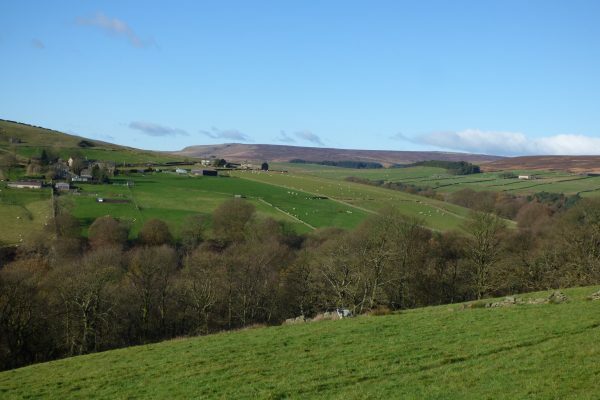 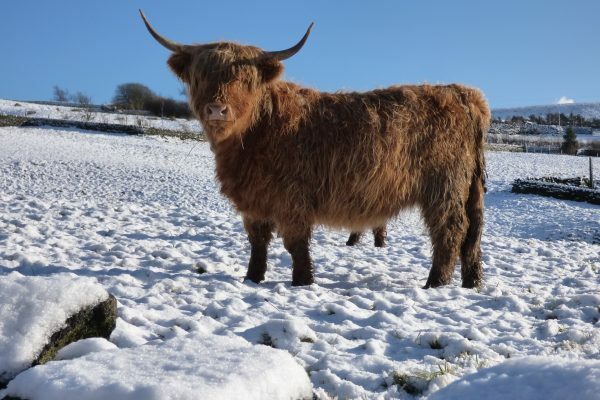 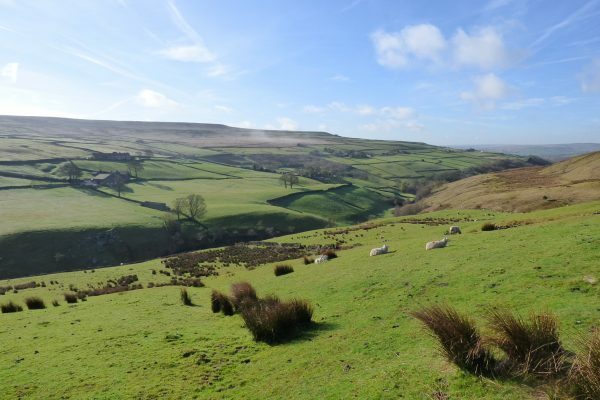 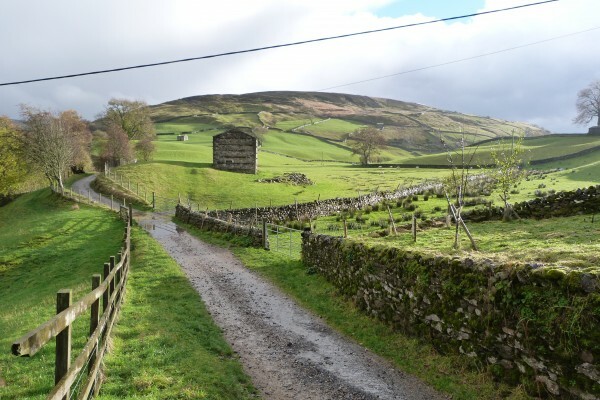 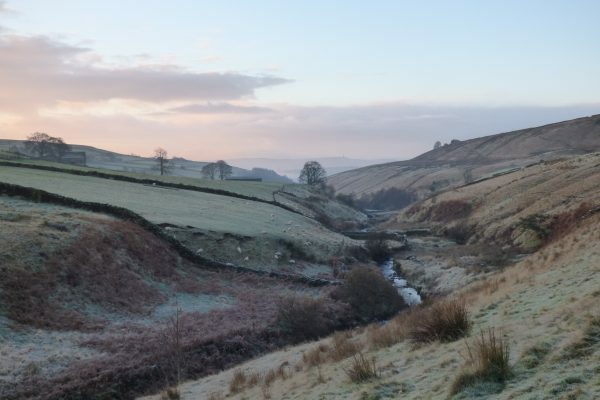 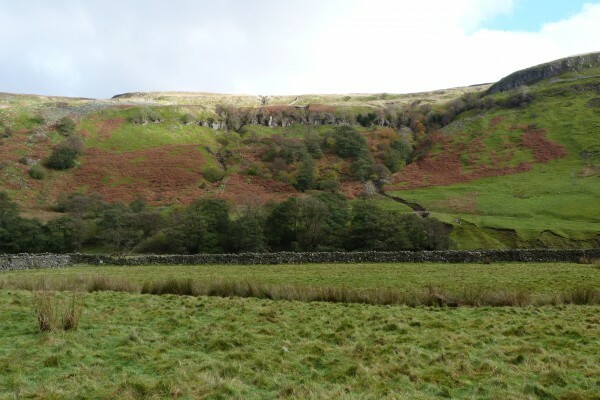 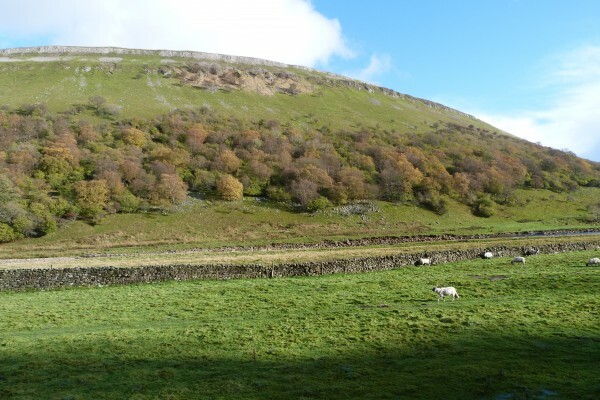 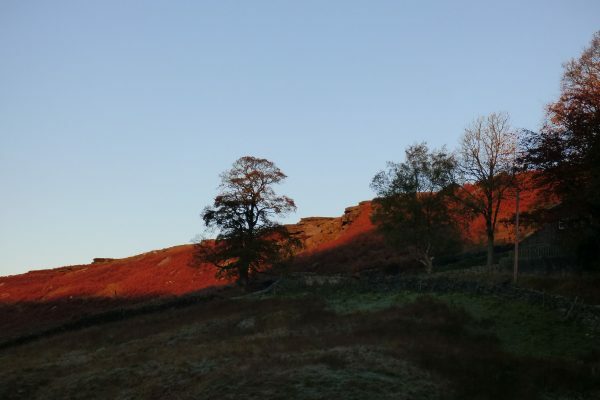 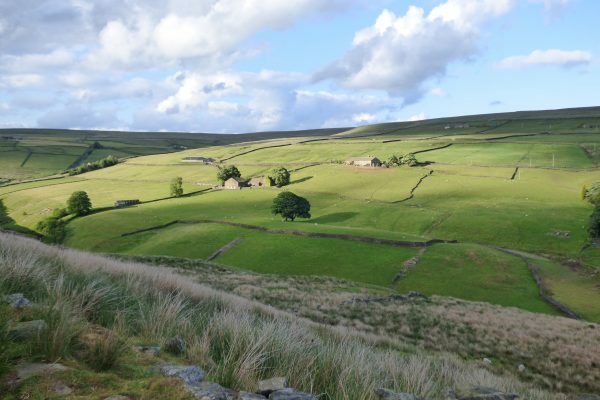 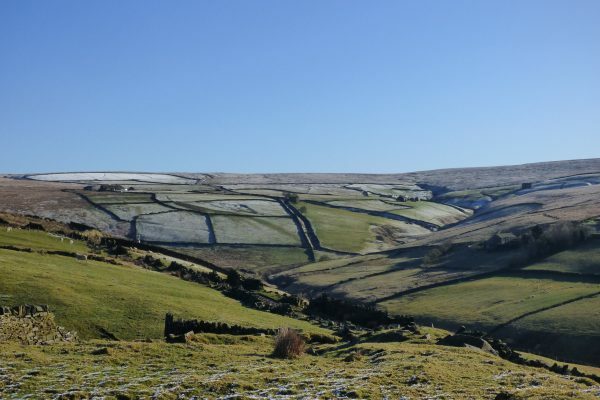 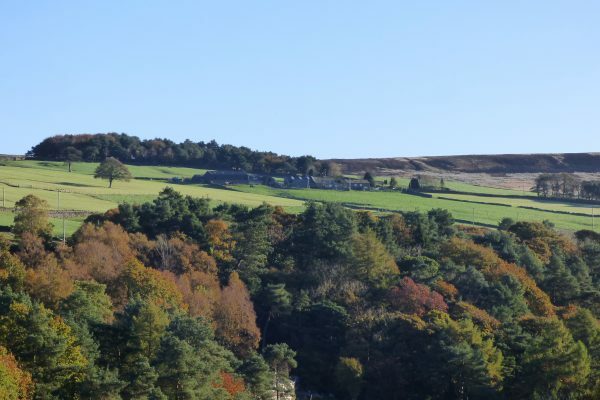 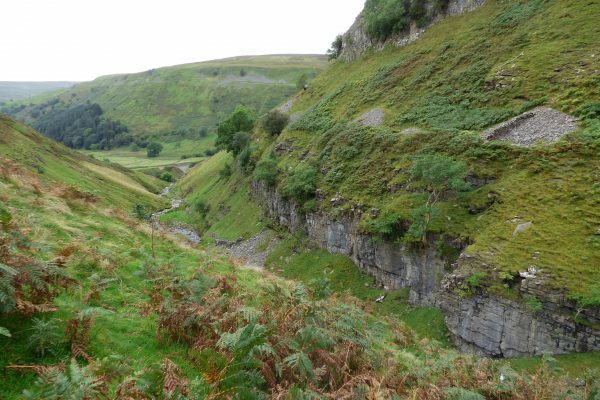 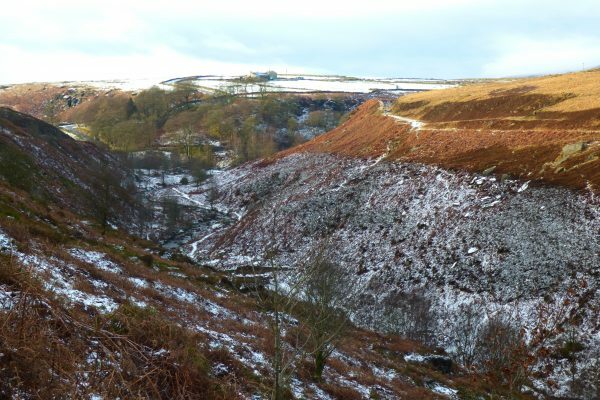 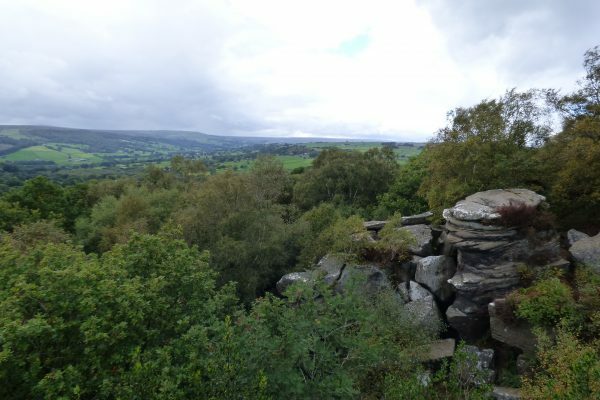 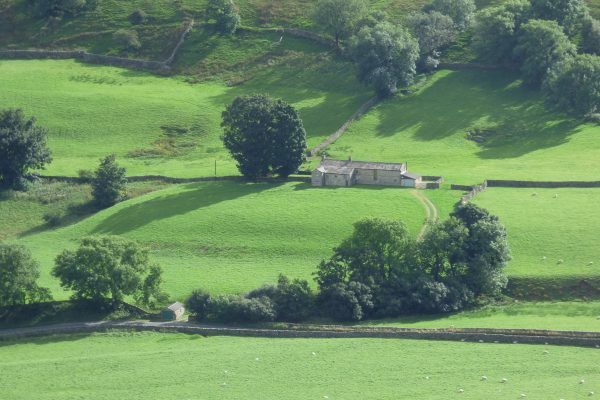 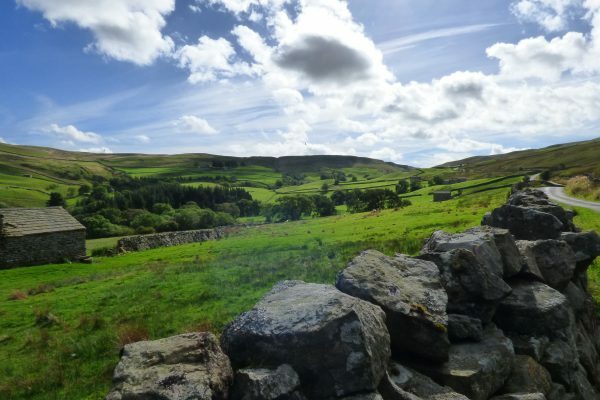 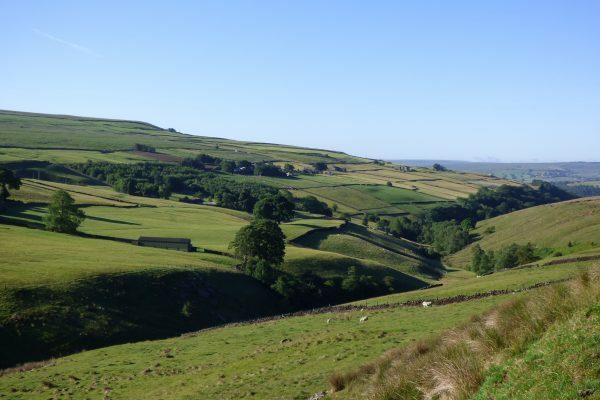 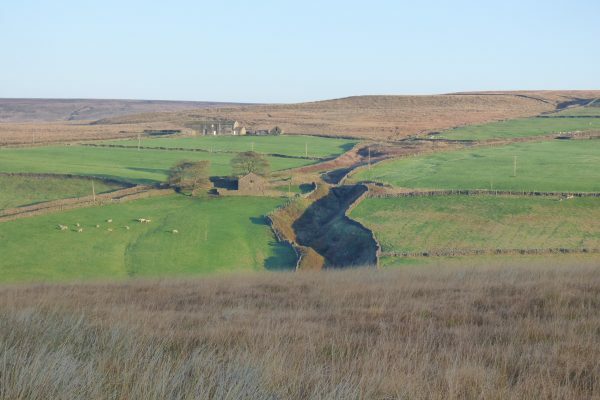 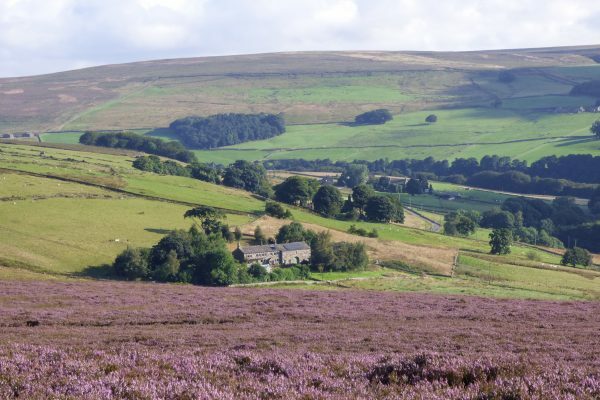 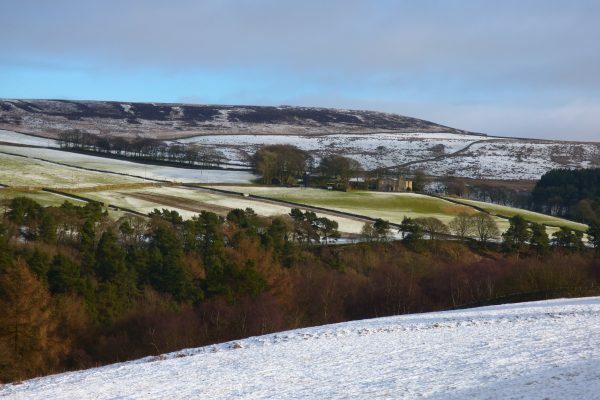 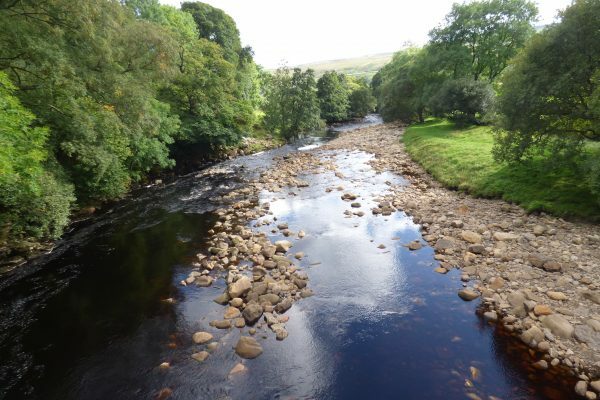 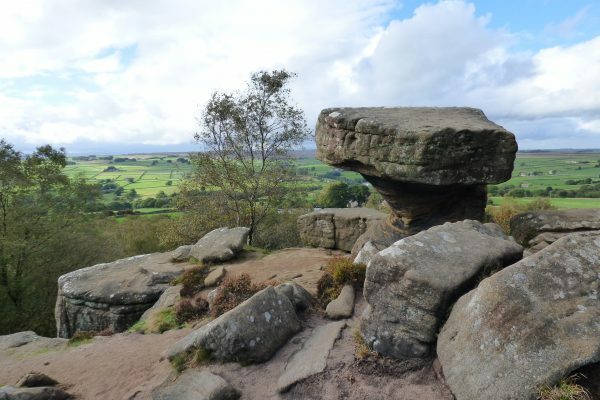 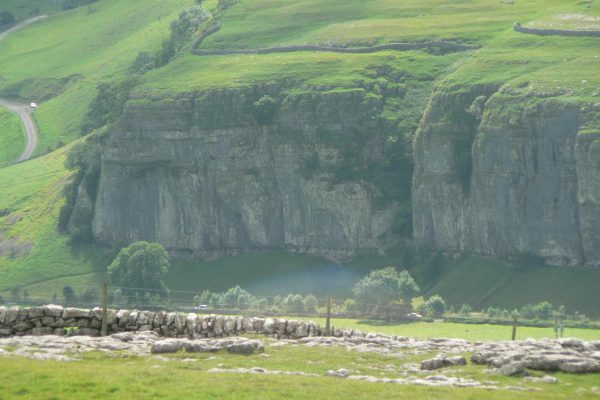 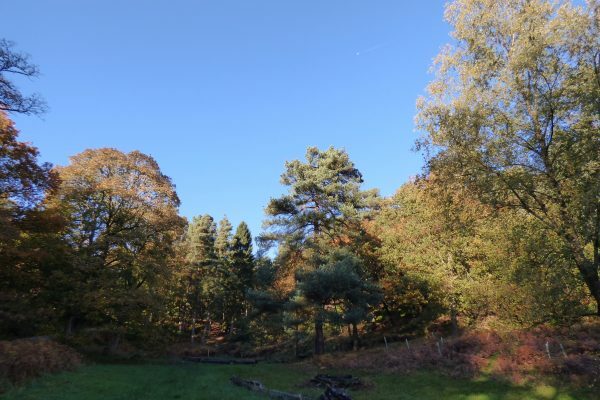 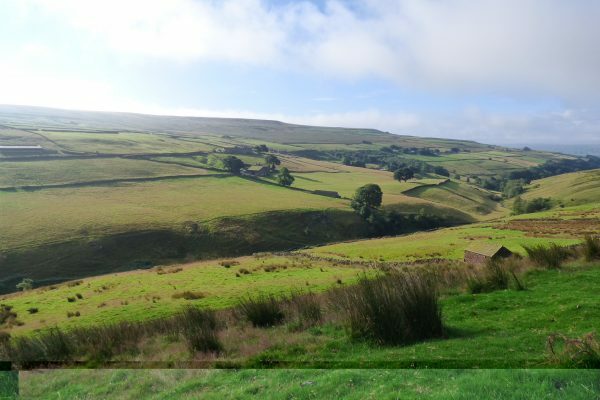 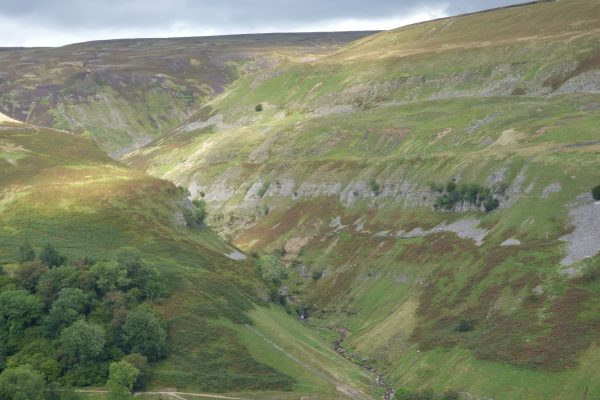 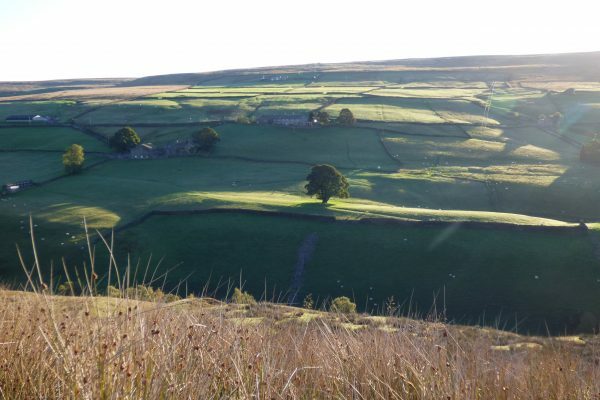 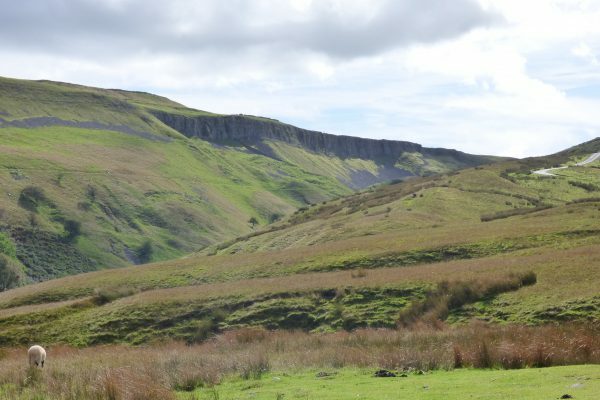 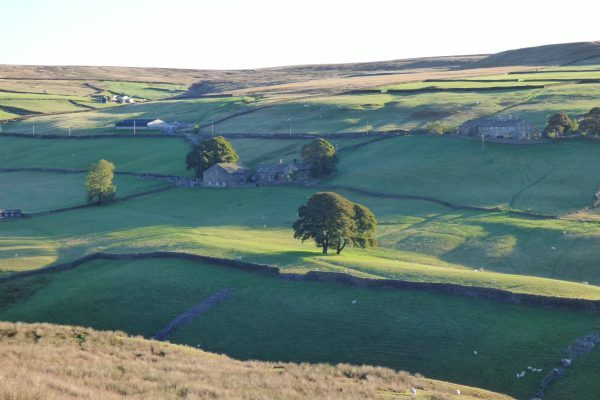 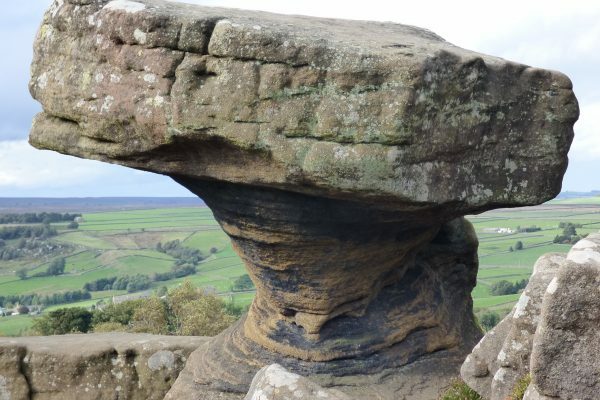 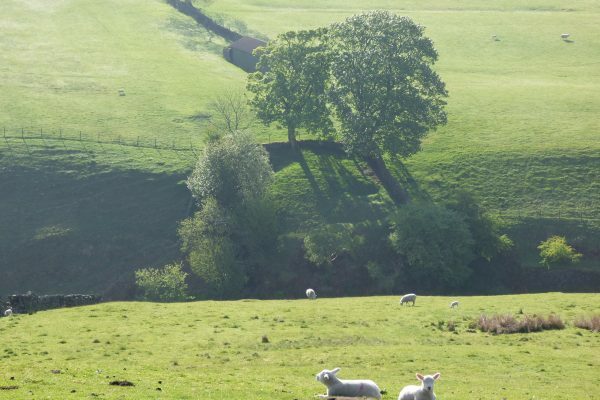 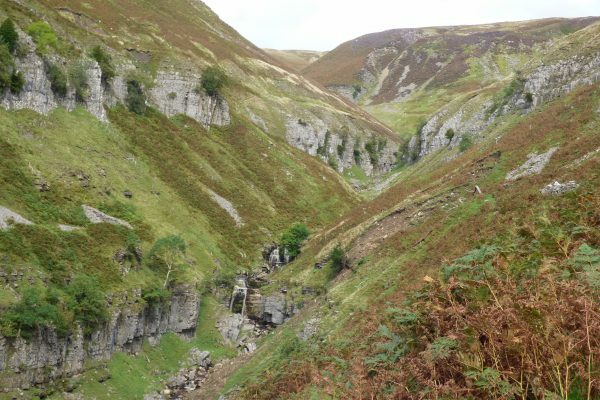 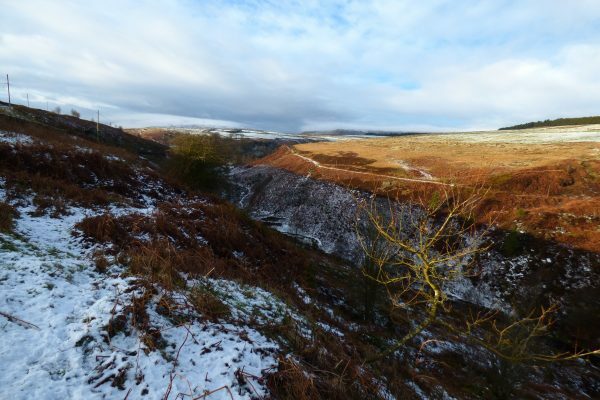 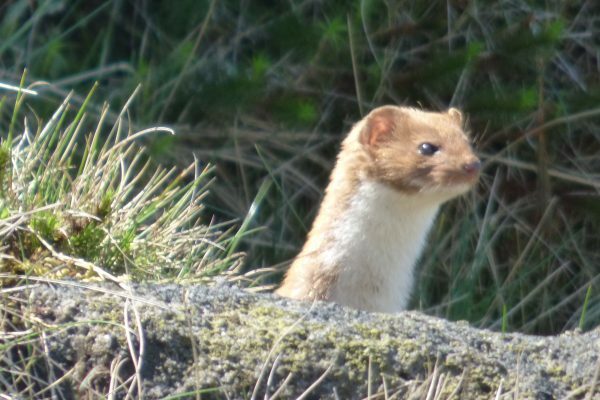 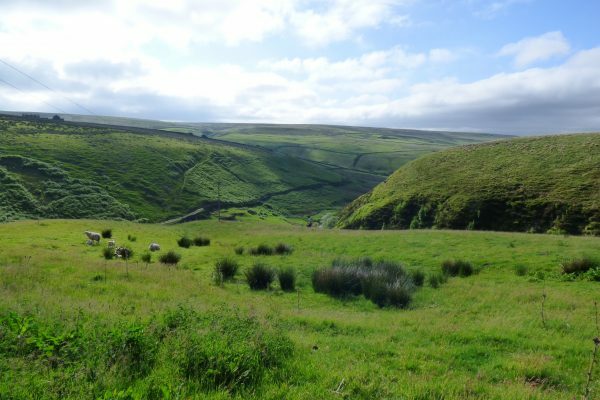 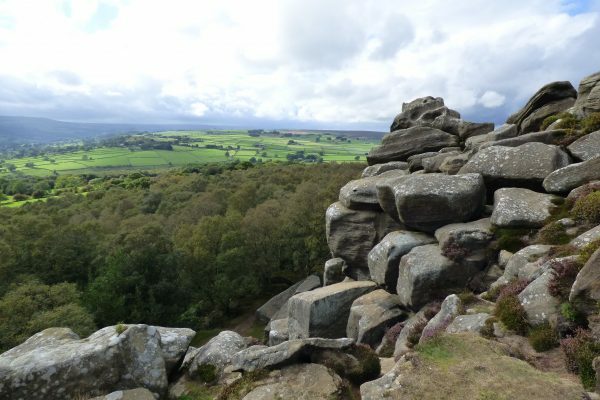 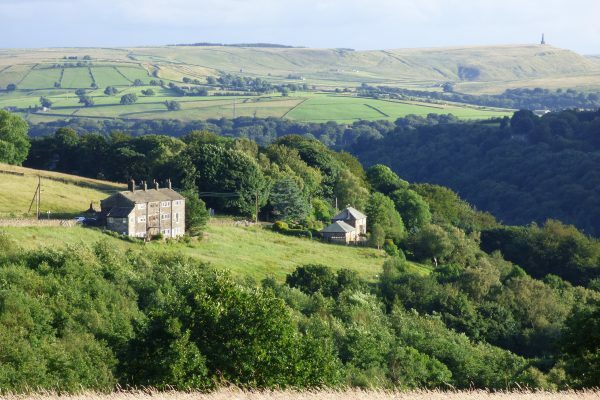 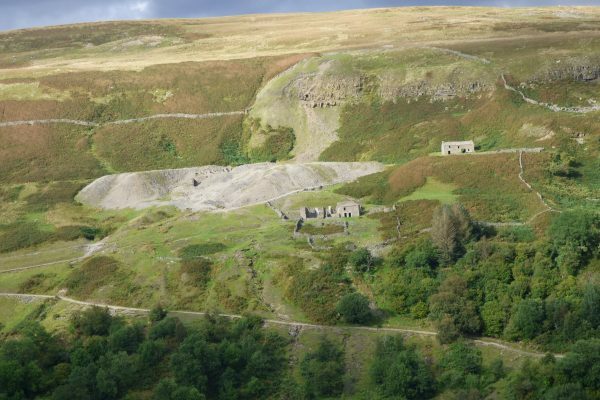 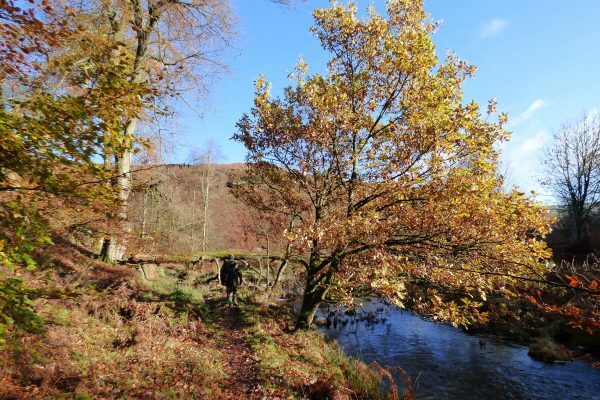 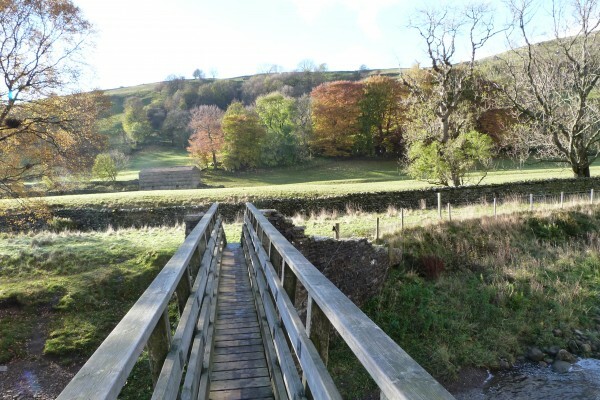 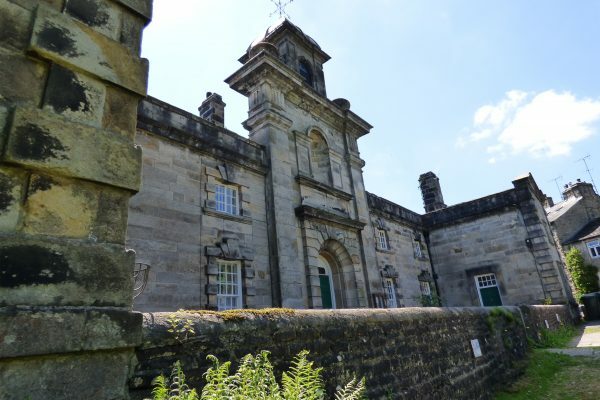 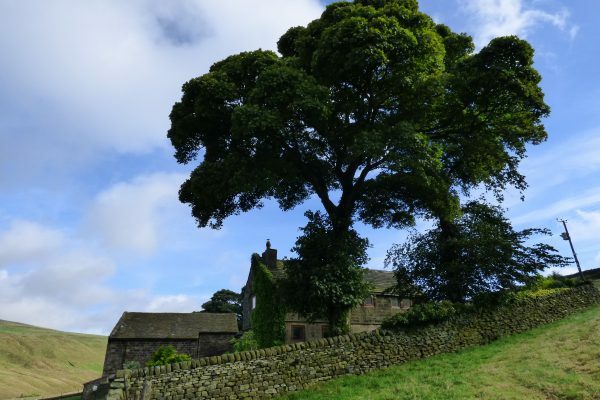 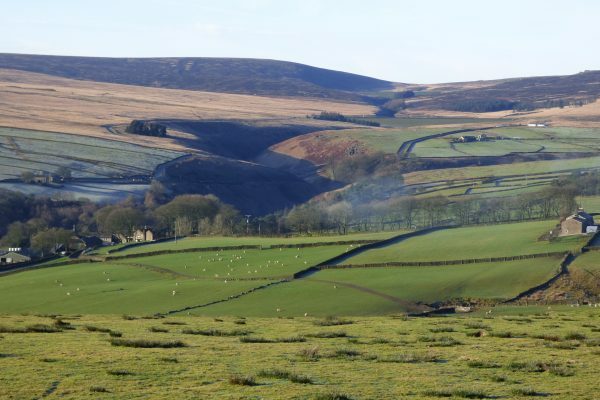 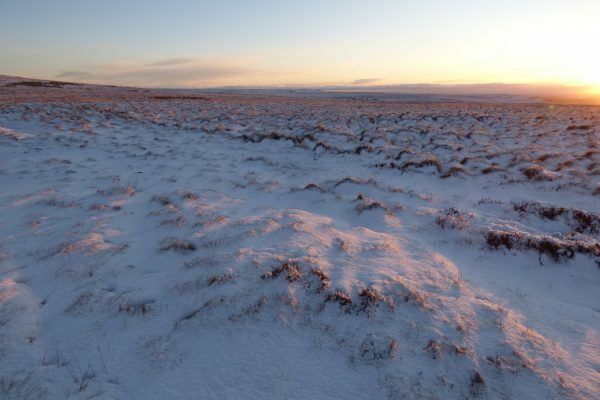 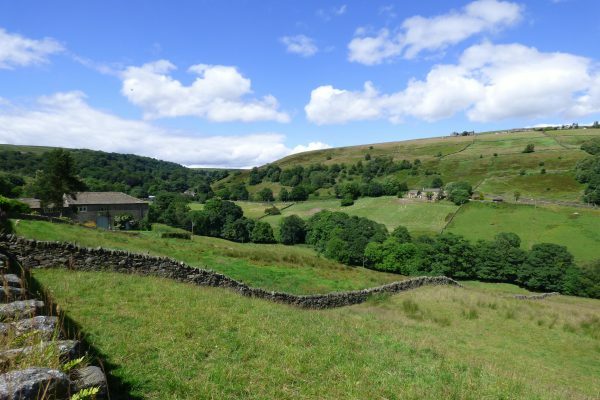 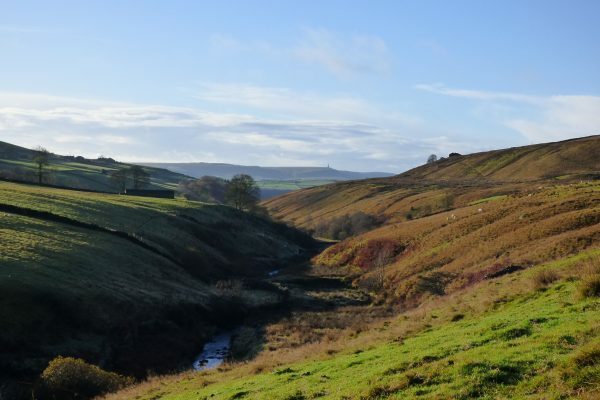 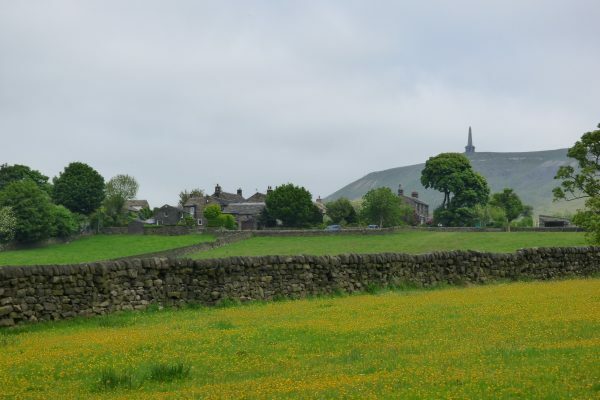 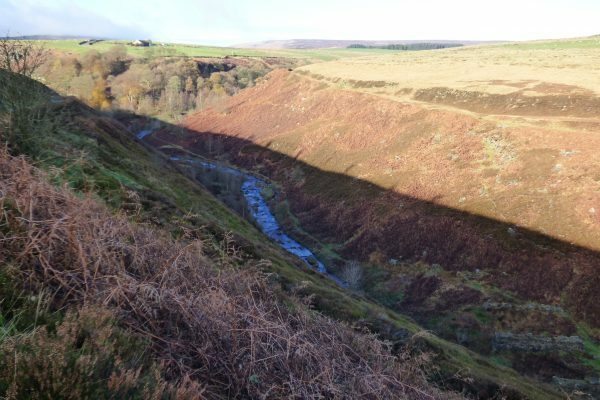 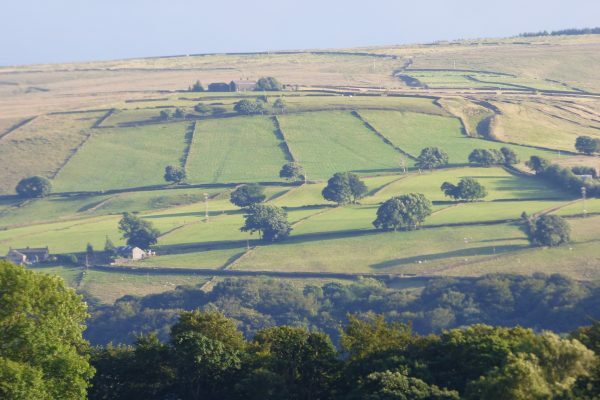 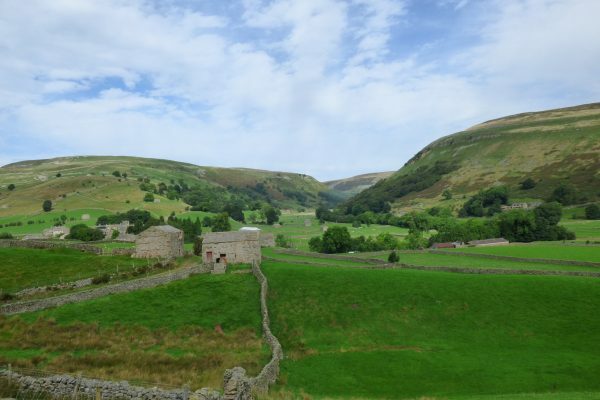 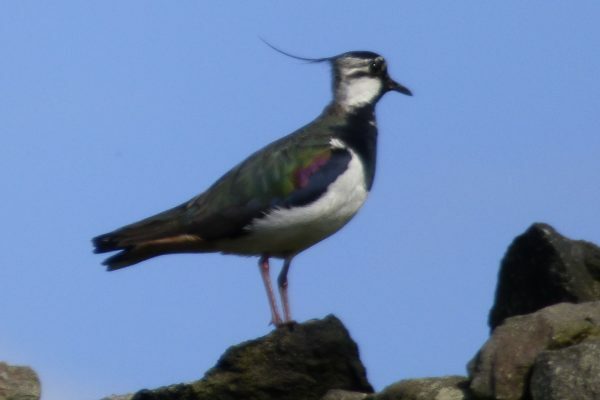 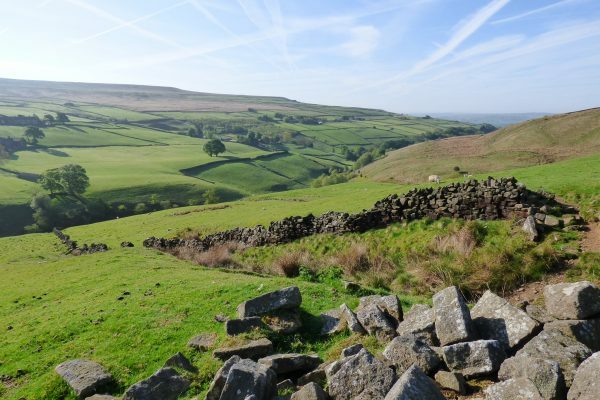 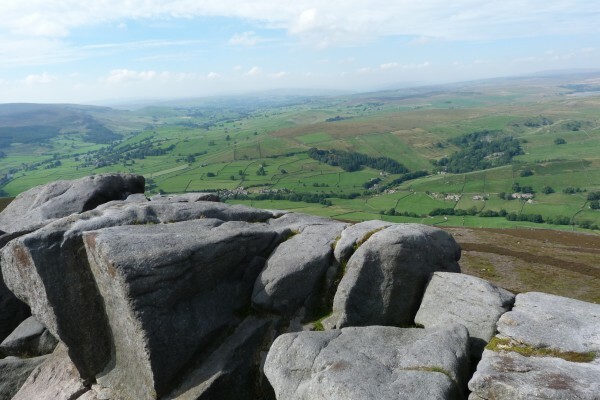 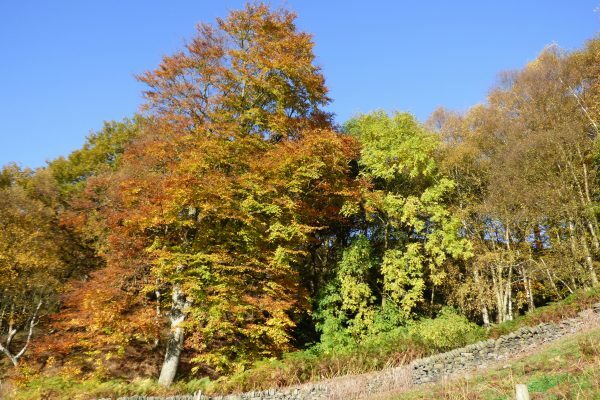 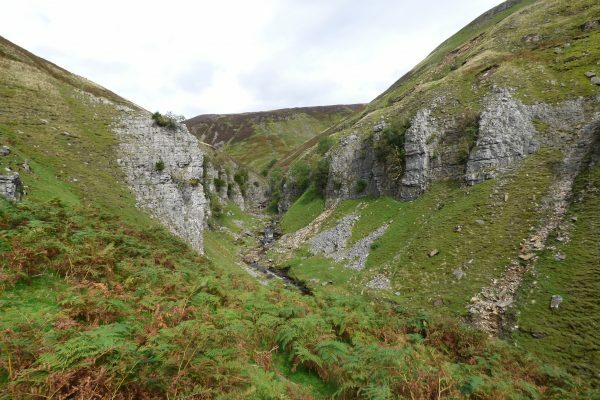 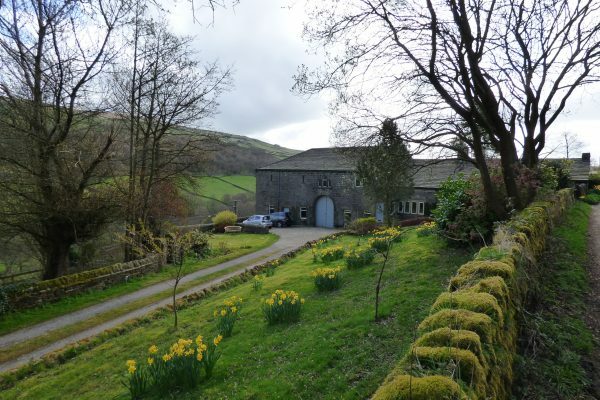 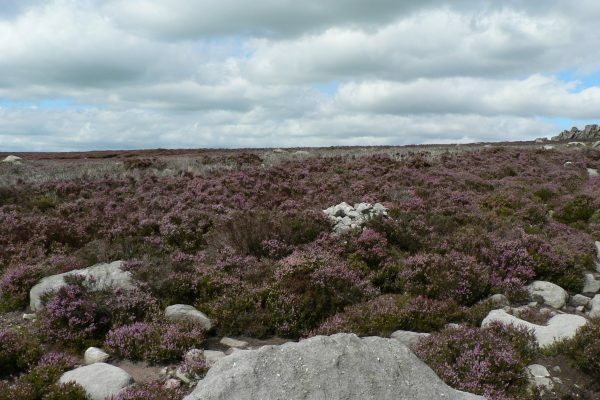 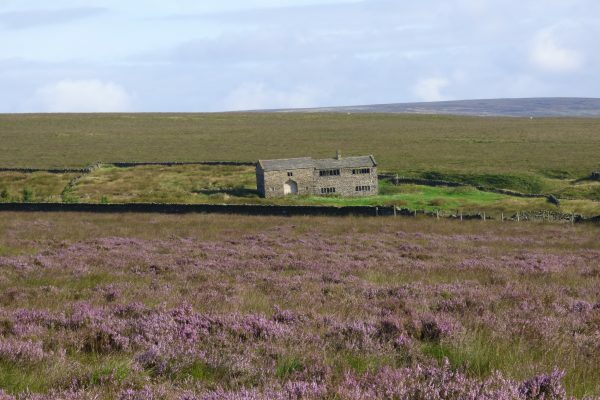 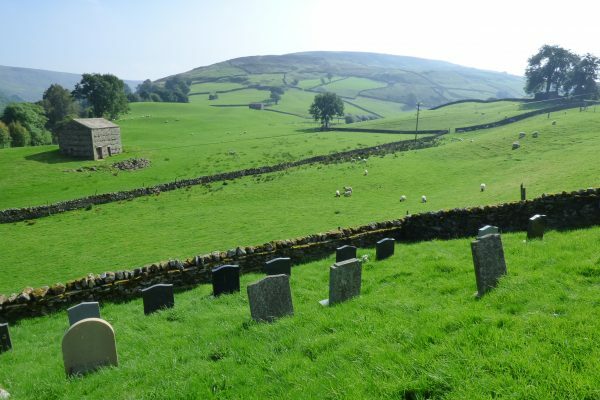 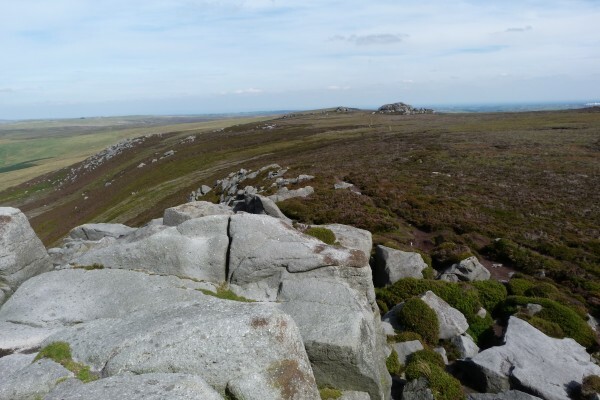 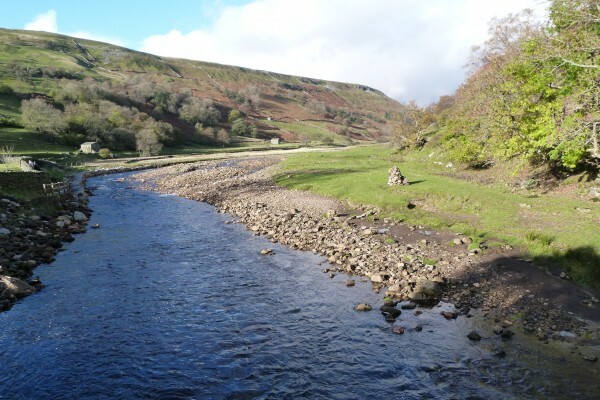 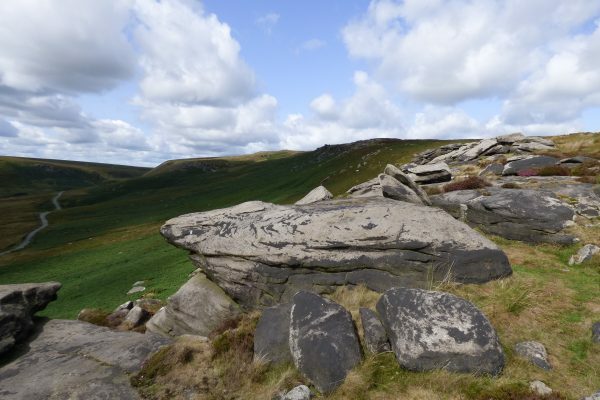 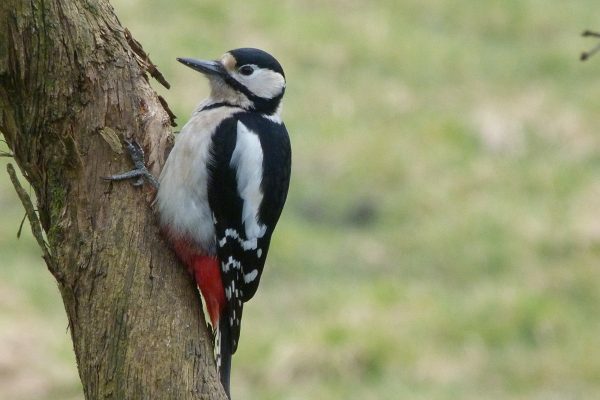 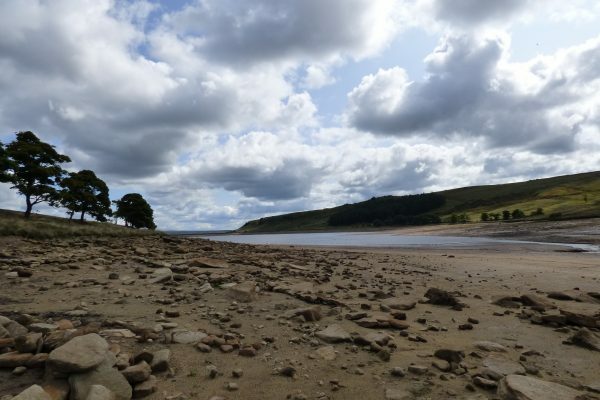 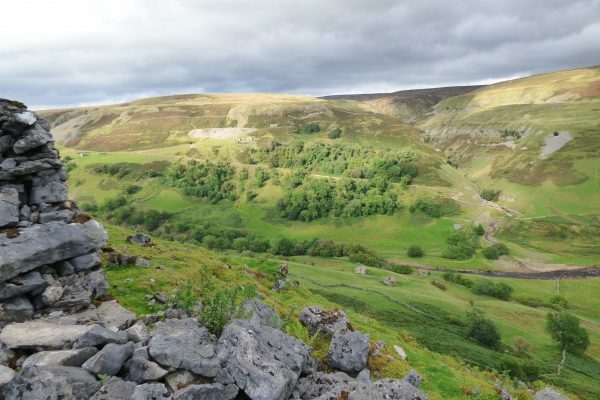 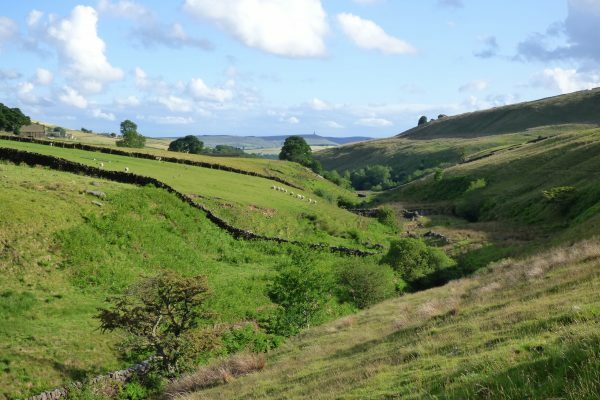 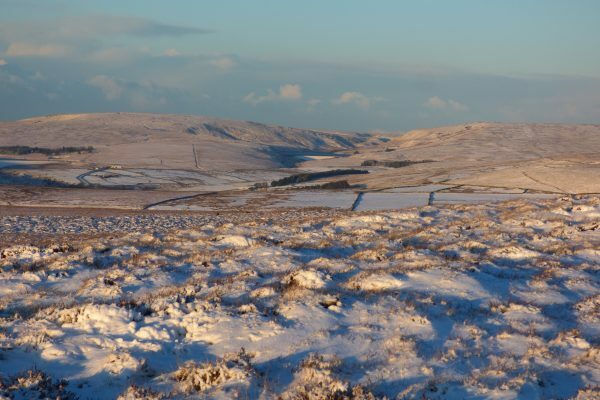 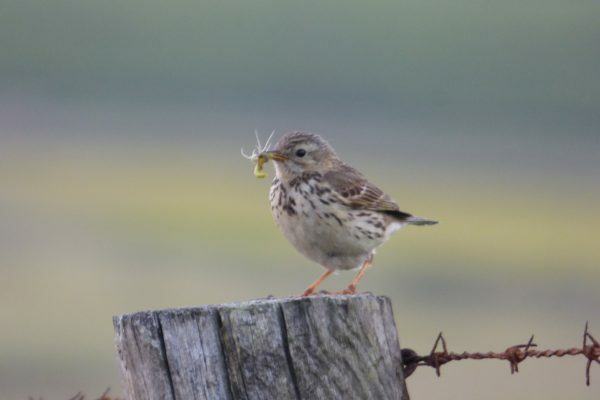 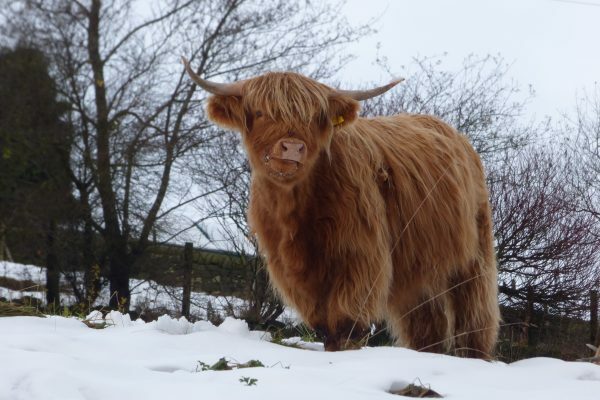 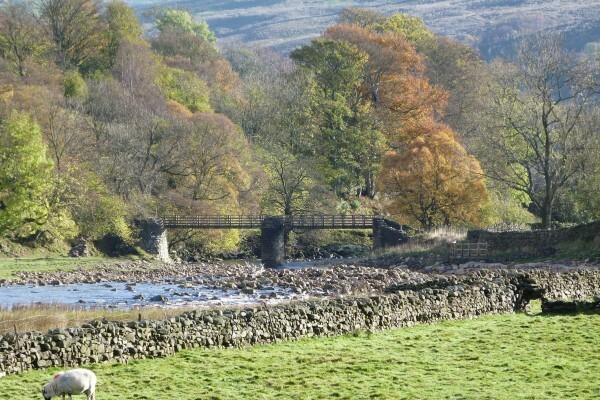 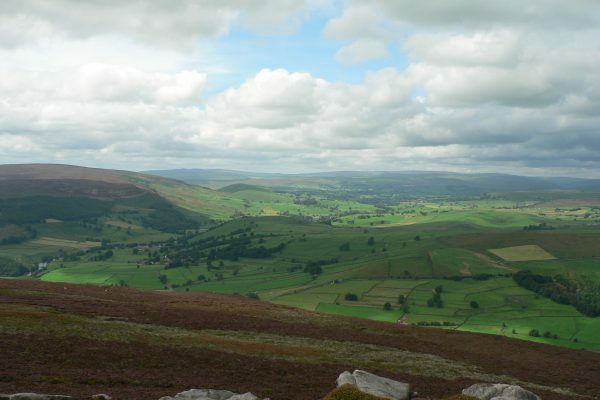 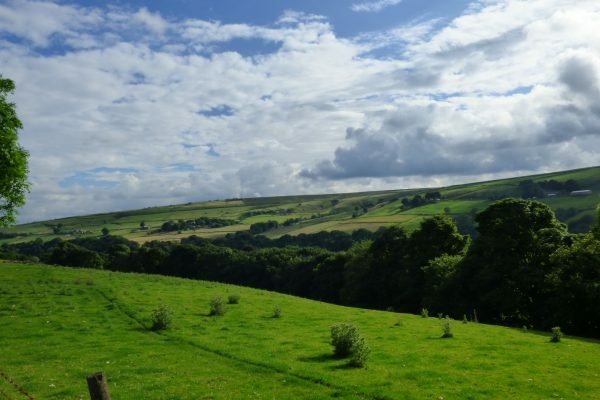 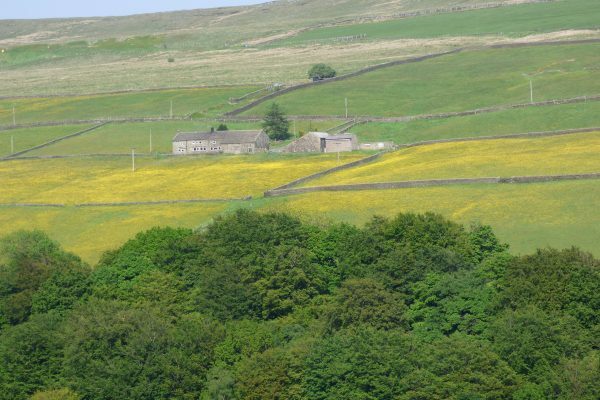 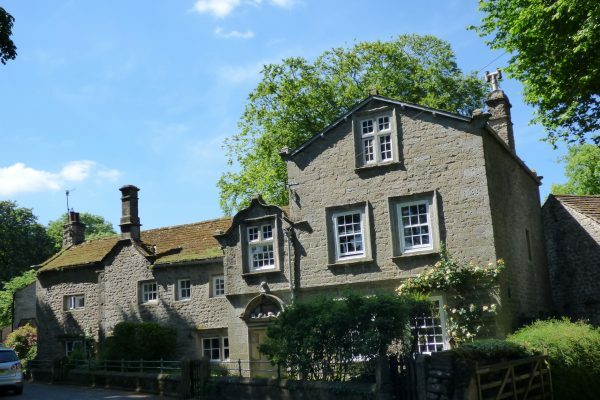 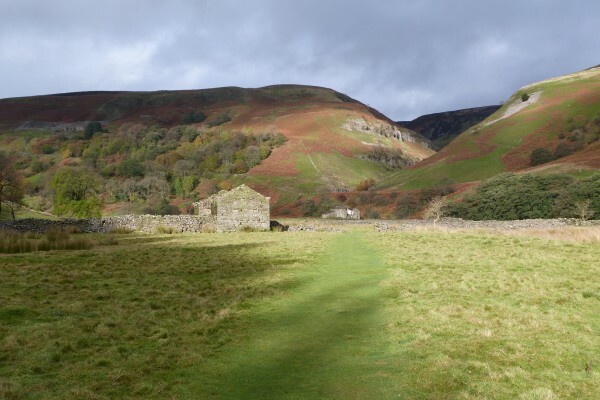 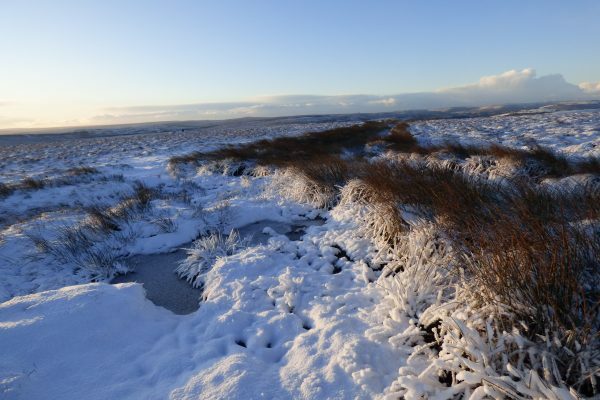 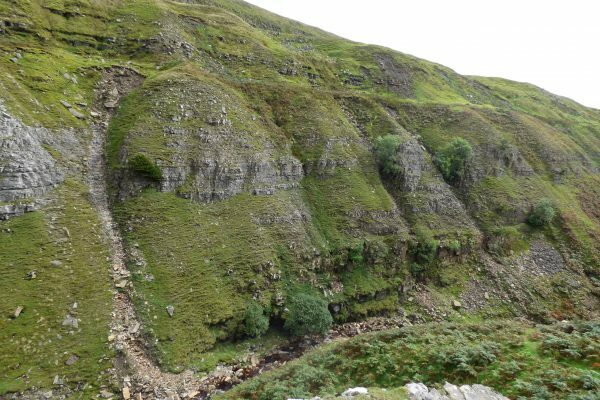 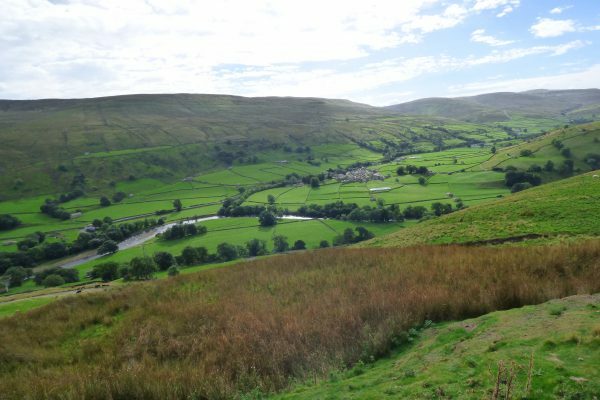 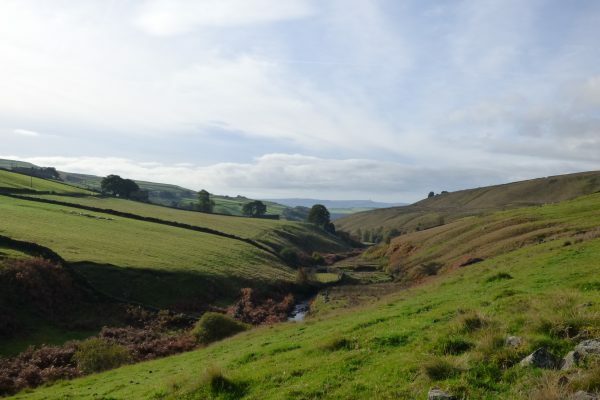 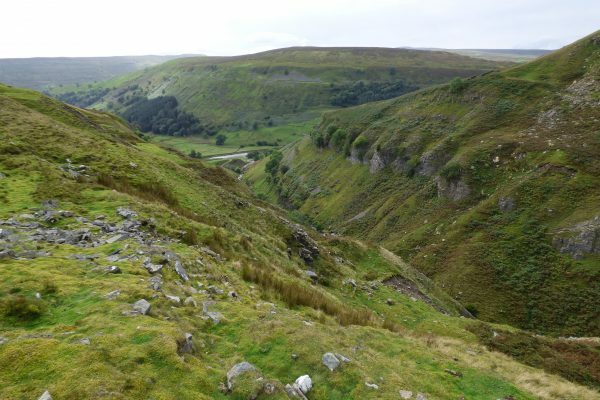 Elmet Farmhouse provides the perfect ‘base camp’ for exploring the Yorkshire Dales National Park, renowned for its spectacular geological features, its beautiful rivers and its lush rolling hills and dales. 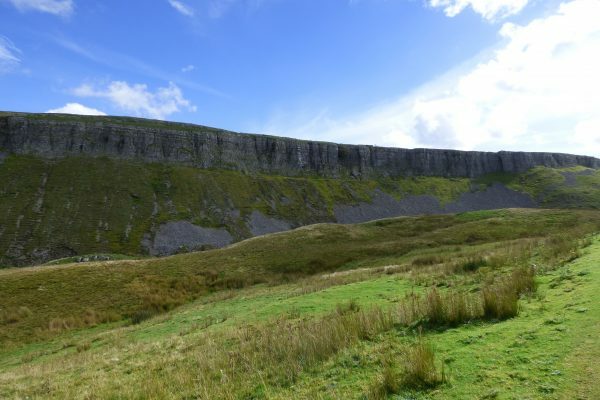 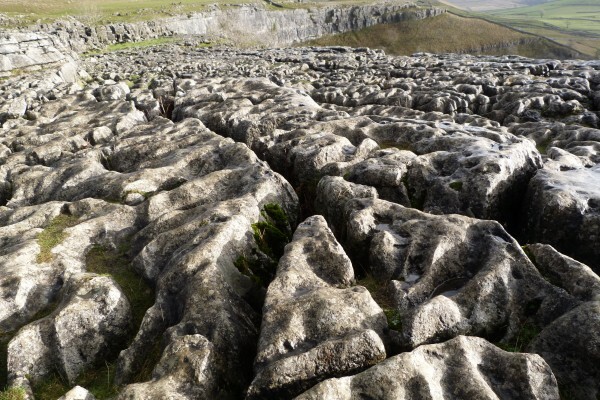 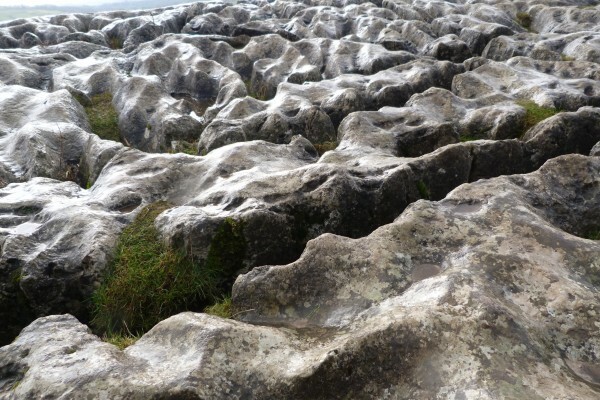 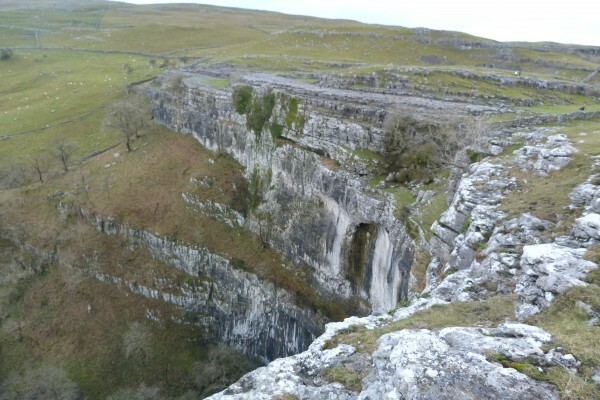 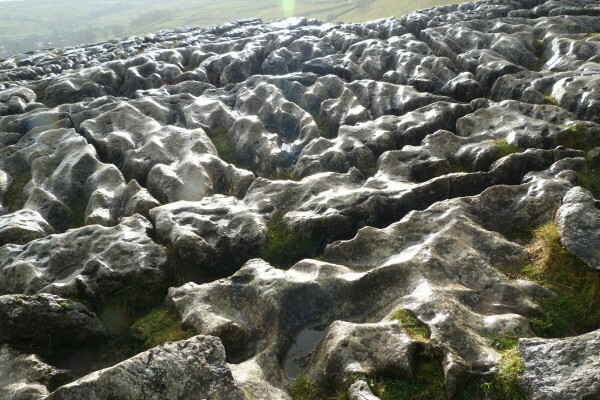 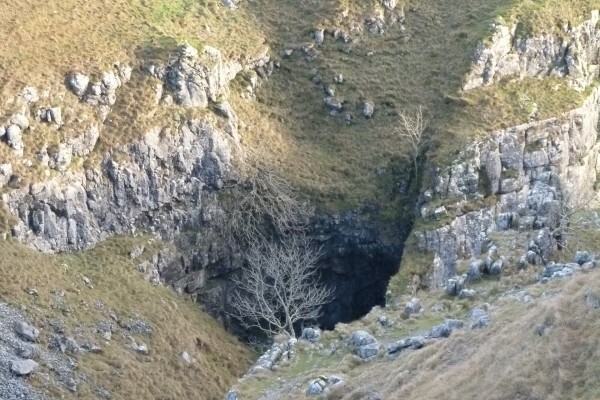 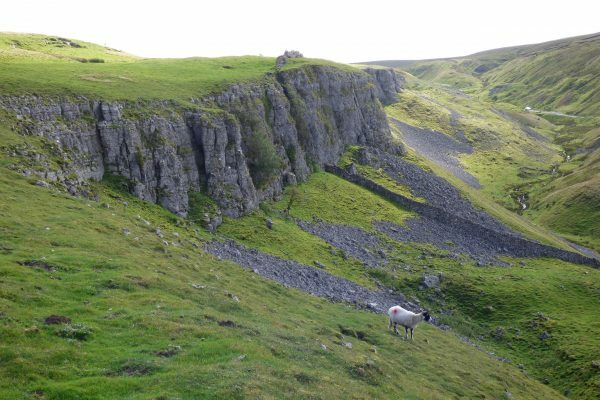 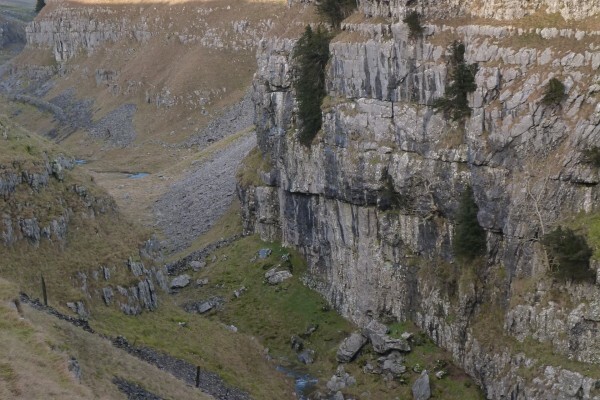 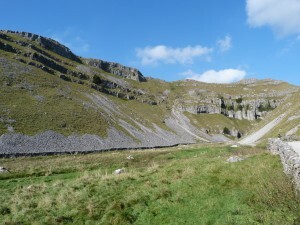 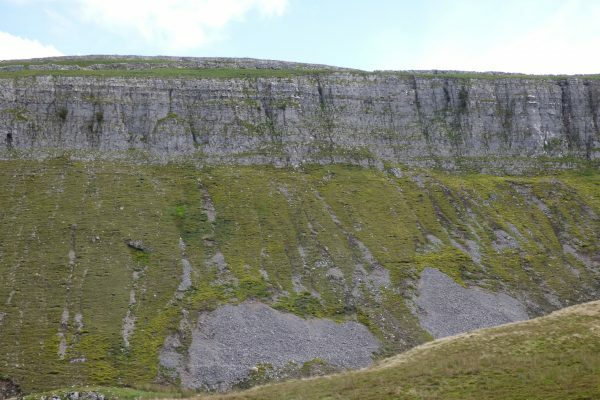 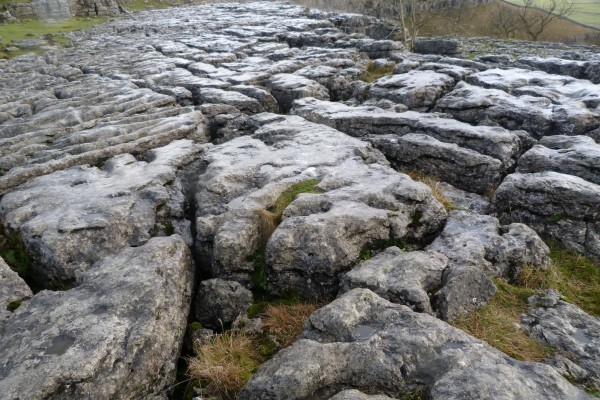 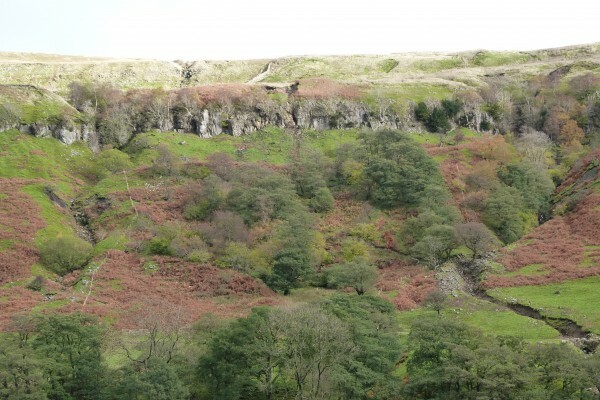 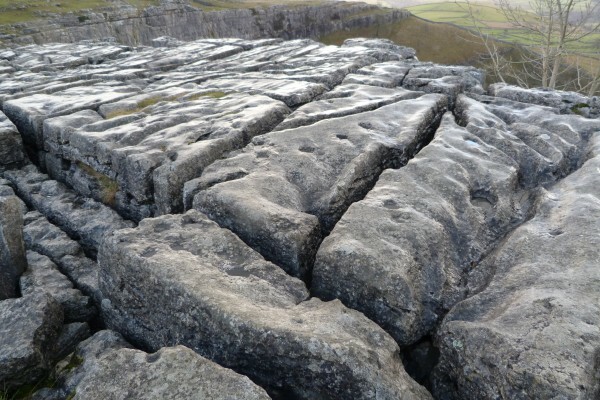 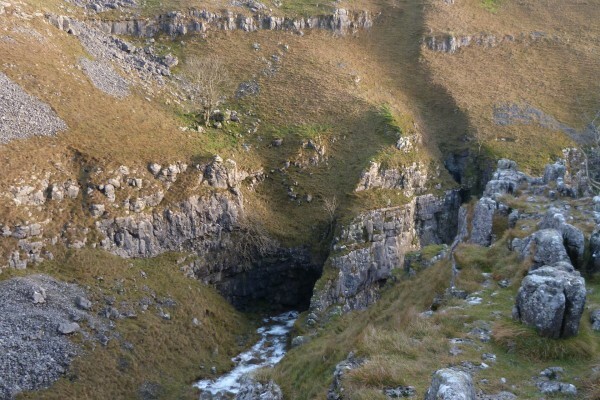 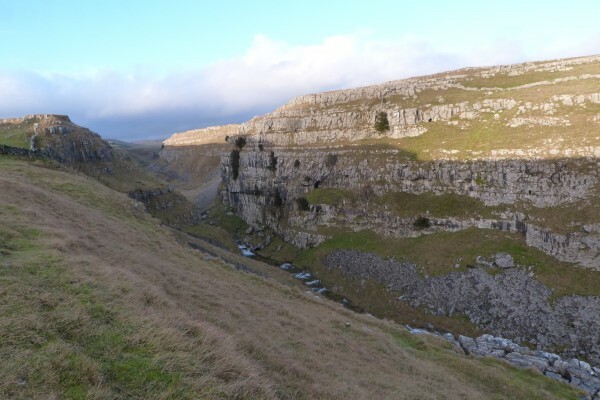 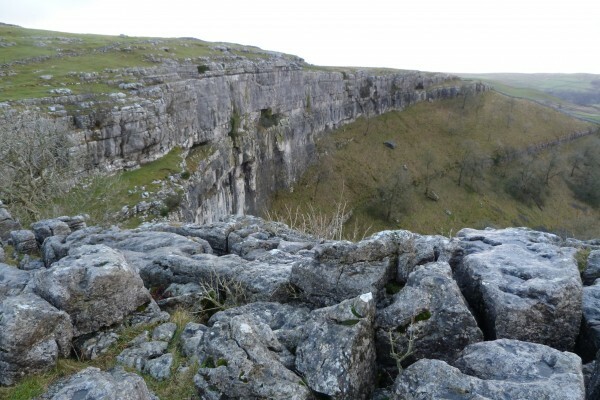 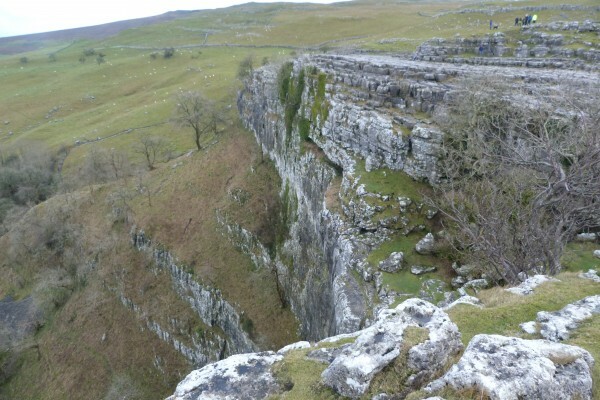 The dramatic white limestone cliffs, screes, gorges and limestone pavements of Malham Cove and Gordale Scar are some of the greatest natural wonders in England. 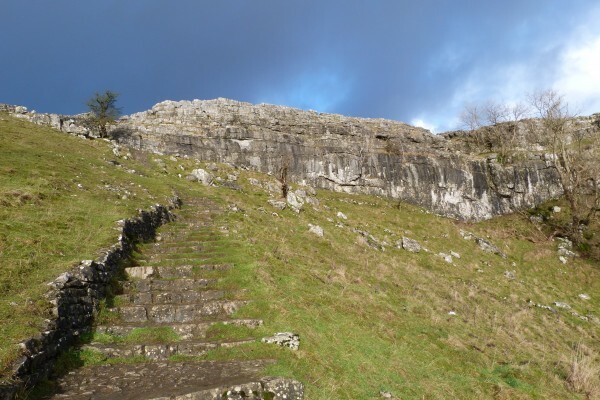 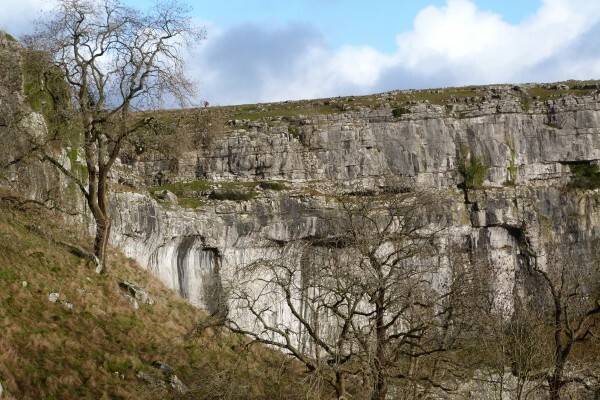 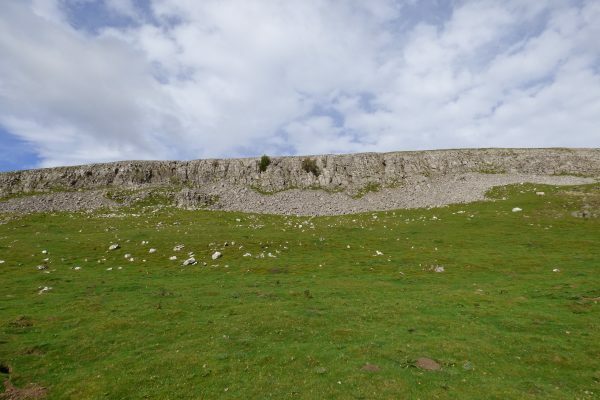 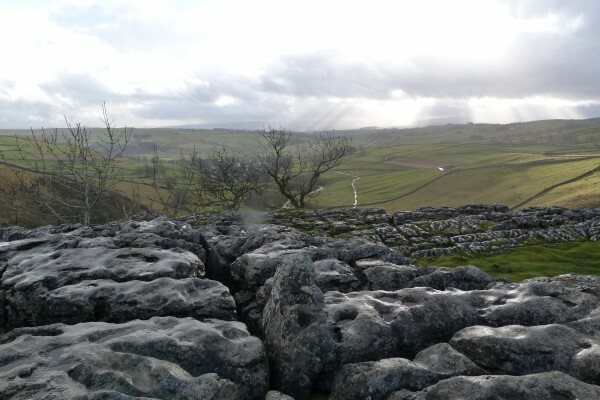 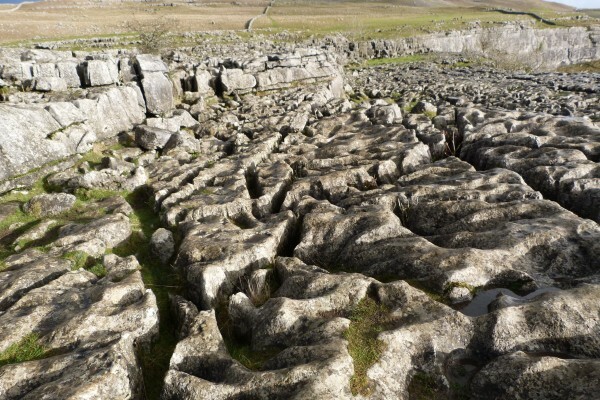 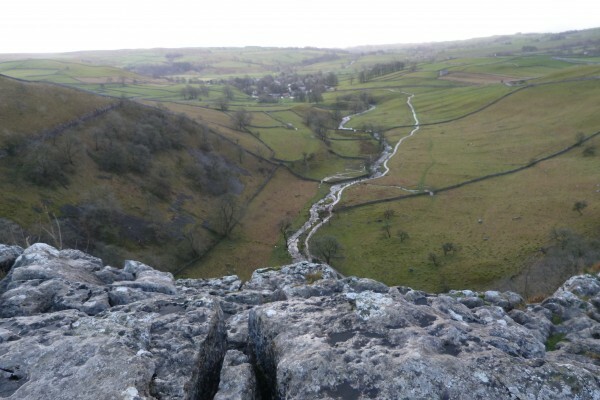 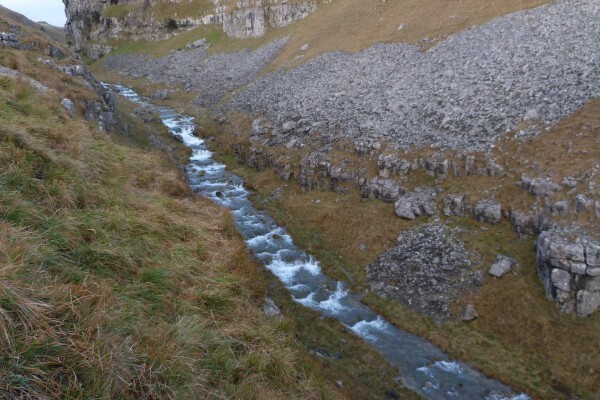 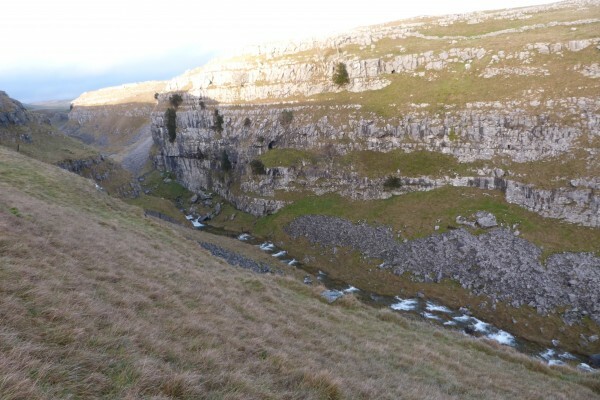 Set amongst rich green pastures, magnificent Malham Cove stands 240 feet high and marks the source of the River Aire. 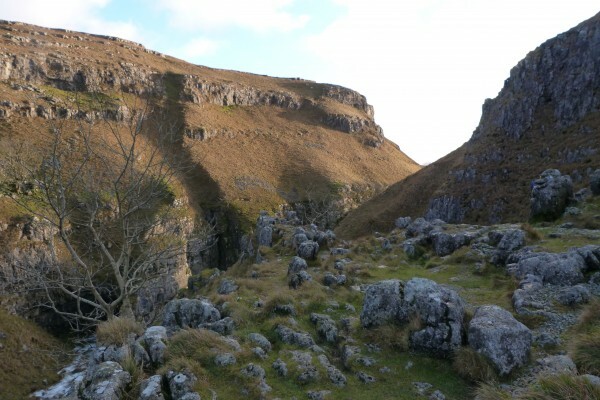 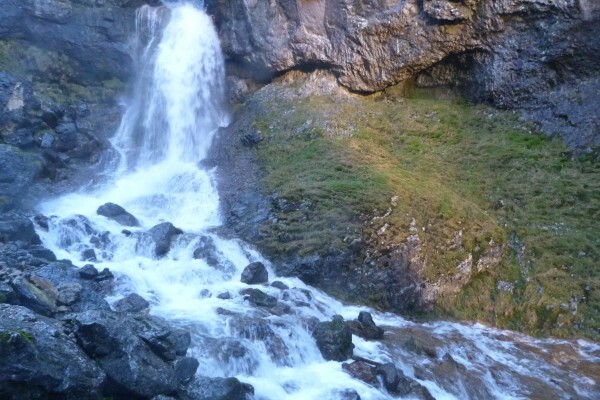 At Gordale Scar limestone cliffs overhang a gorge with waterfalls emerging from the rocks. 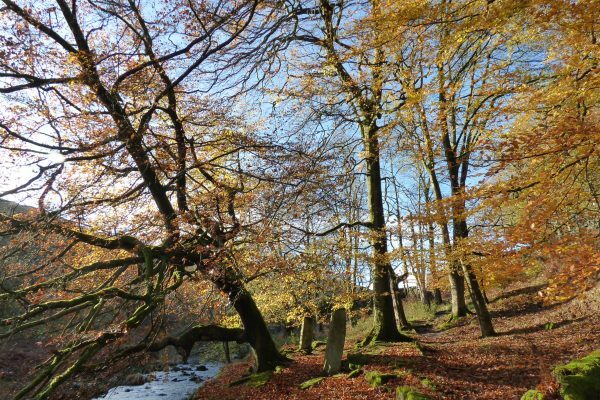 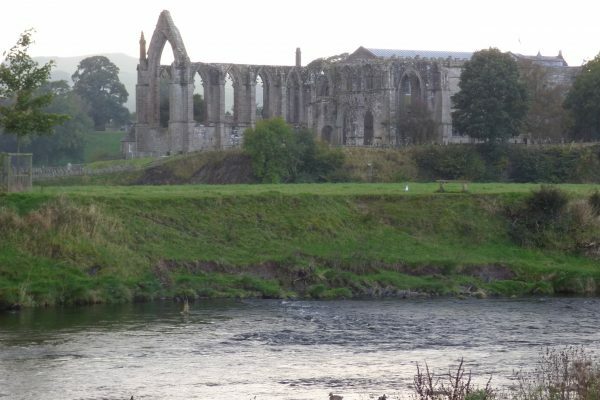 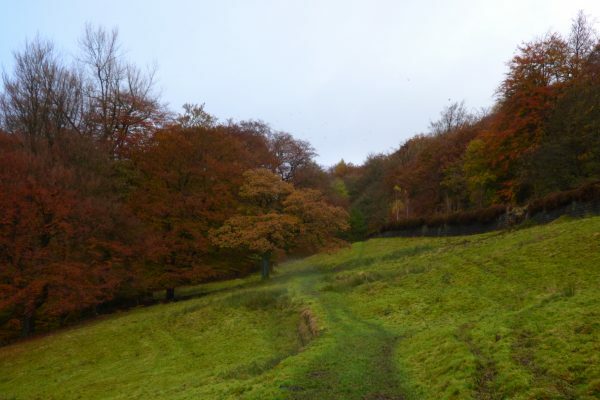 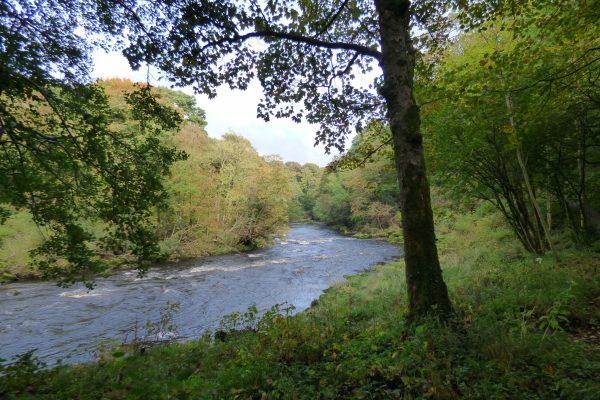 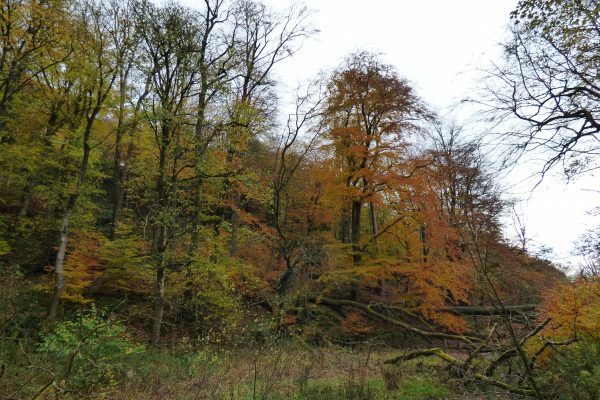 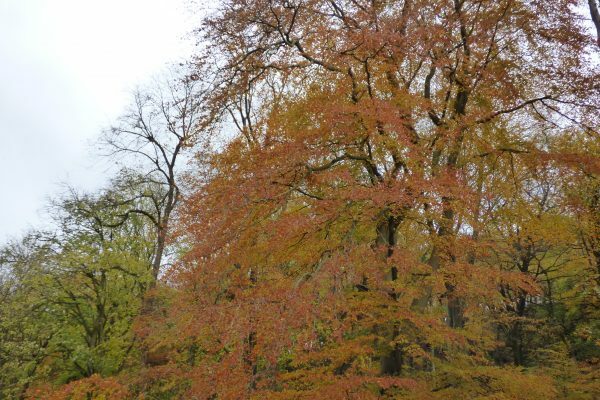 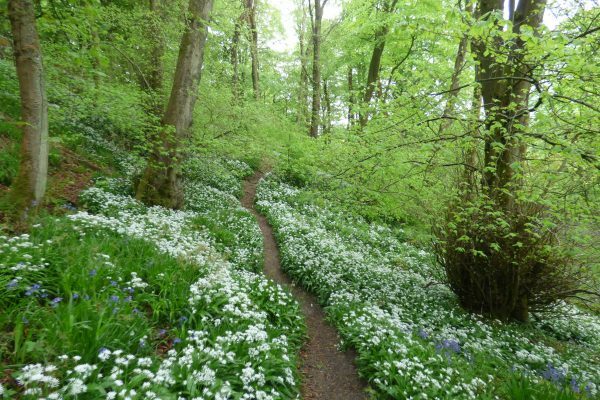 The woodland paths along River Wharfe between the picturesque ruins of Bolton Abbey and Barden Tower are strikingly beautiful . 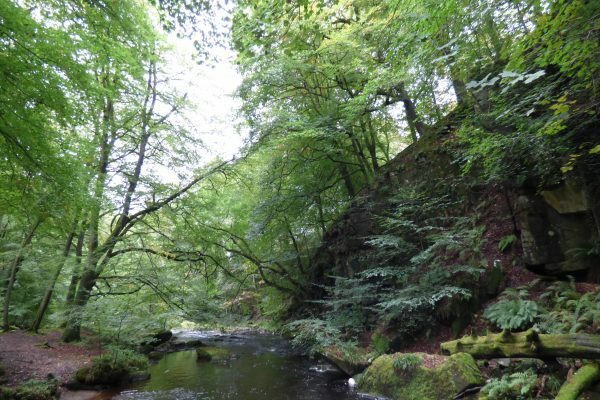 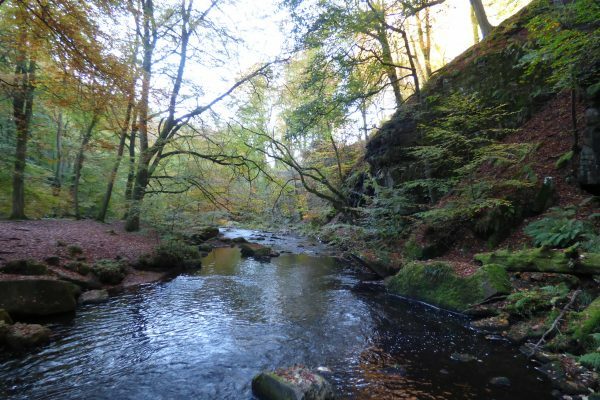 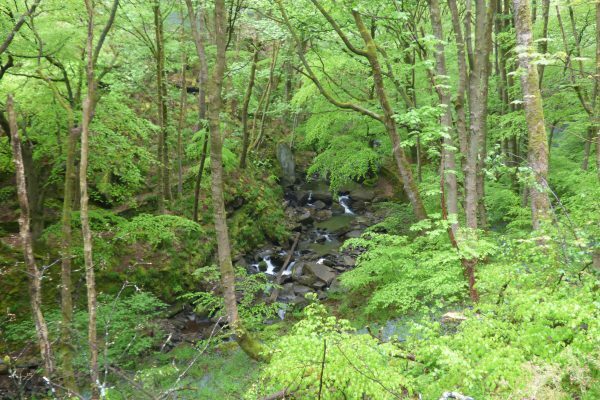 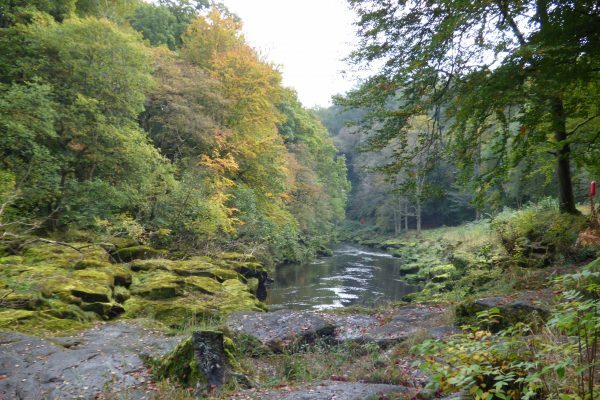 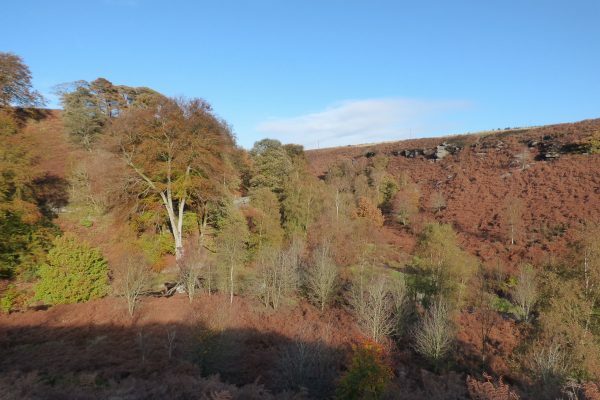 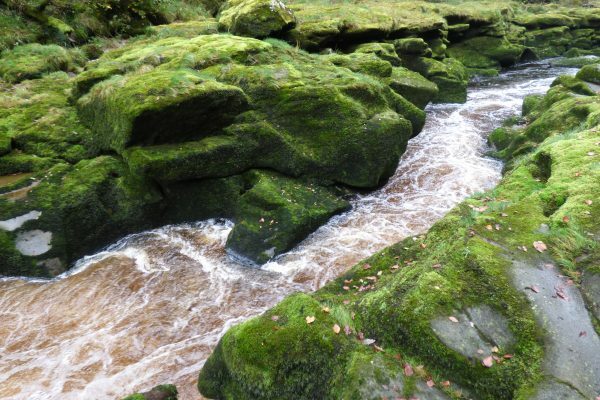 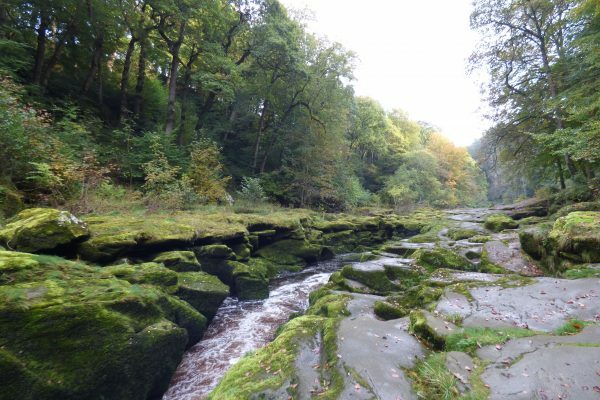 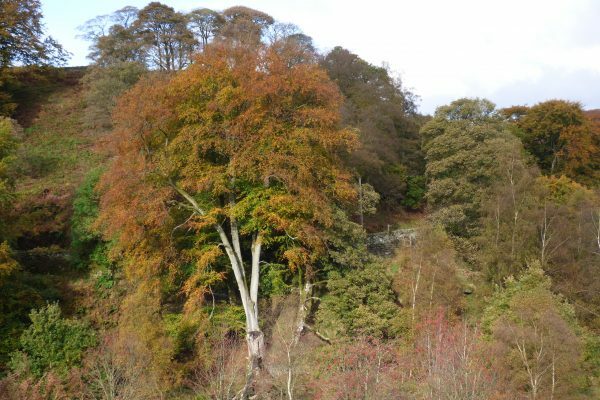 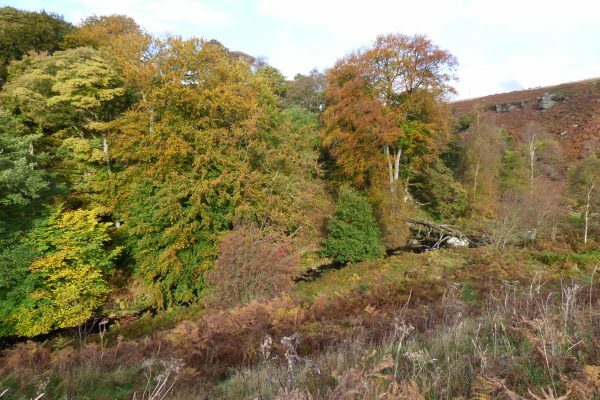 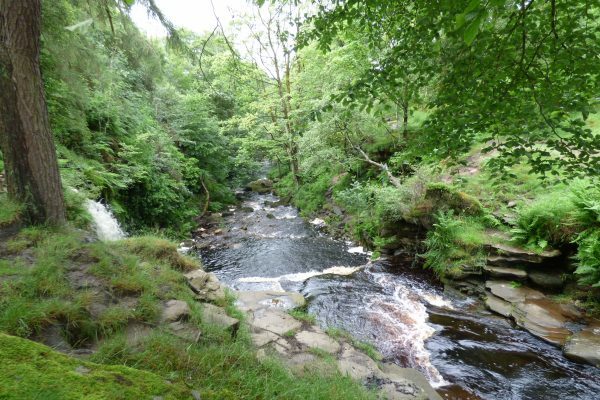 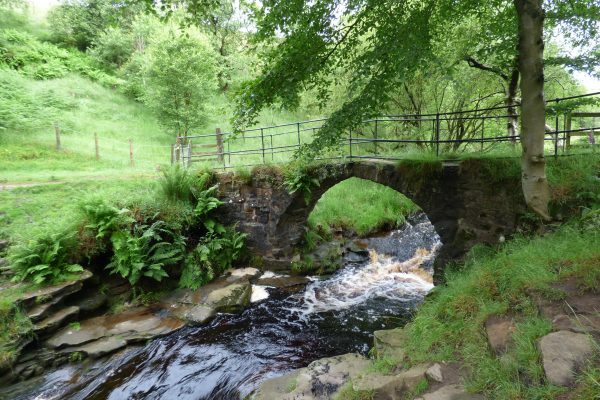 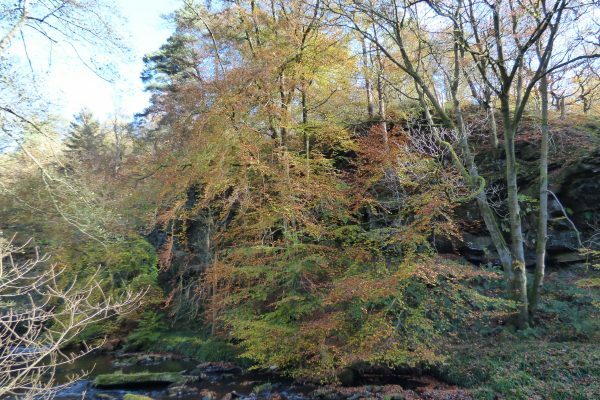 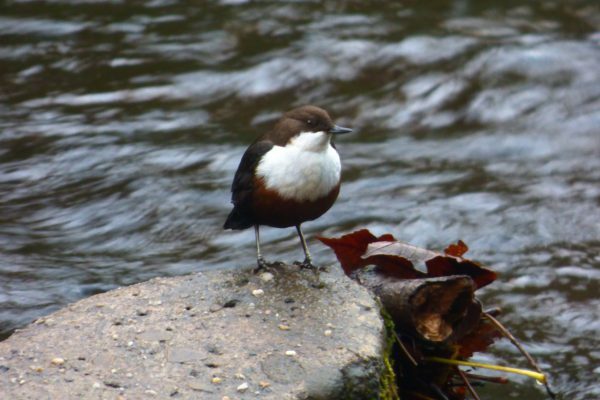 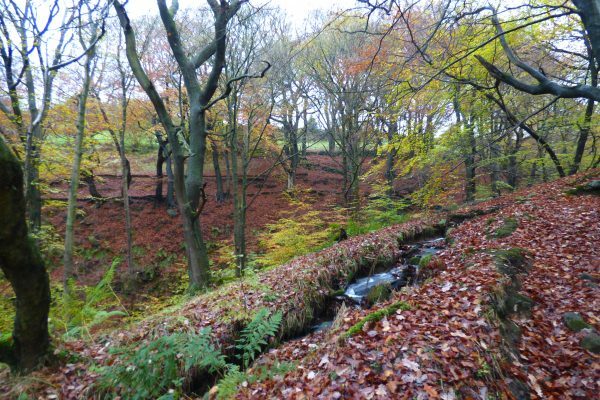 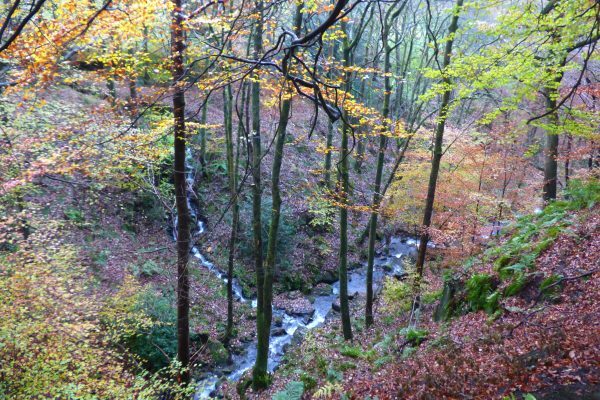 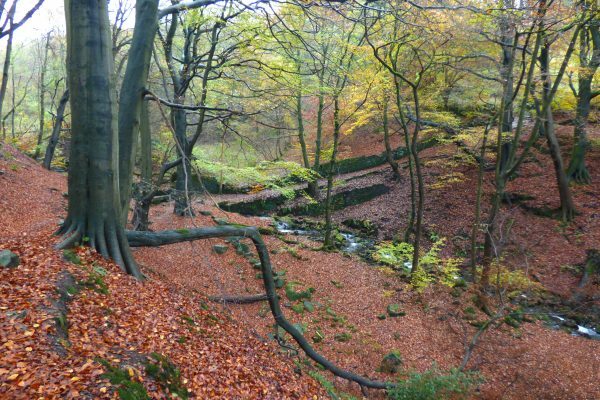 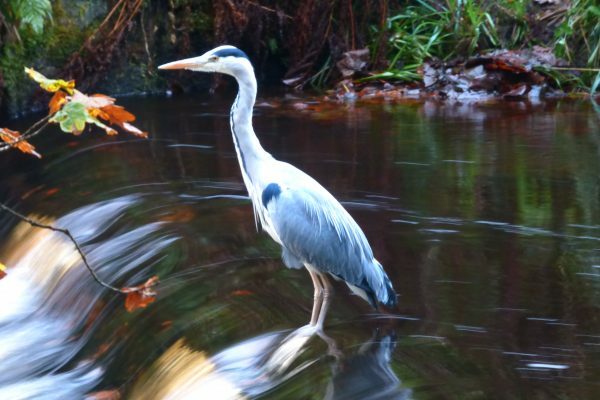 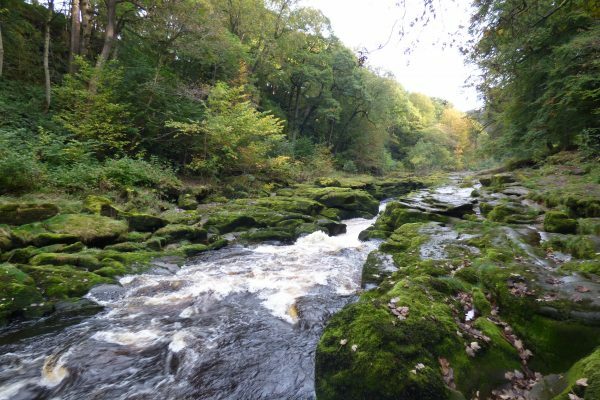 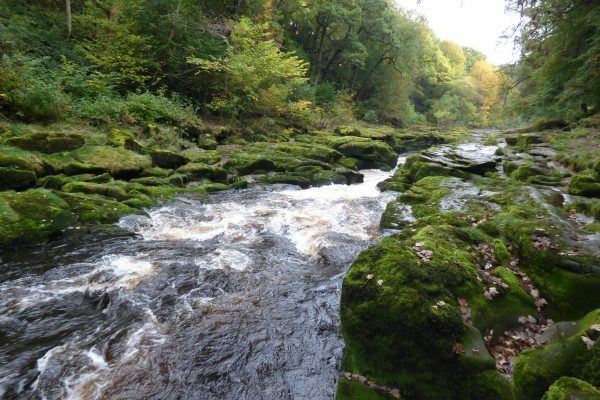 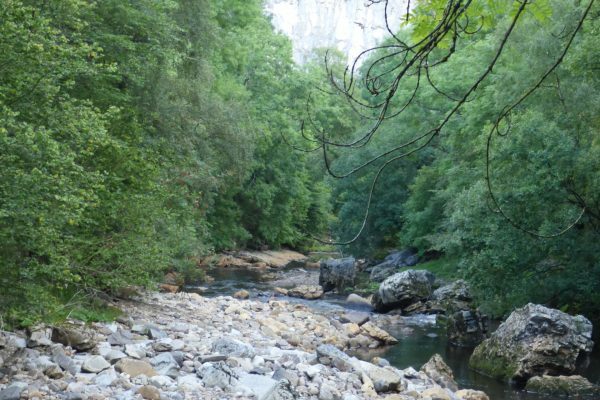 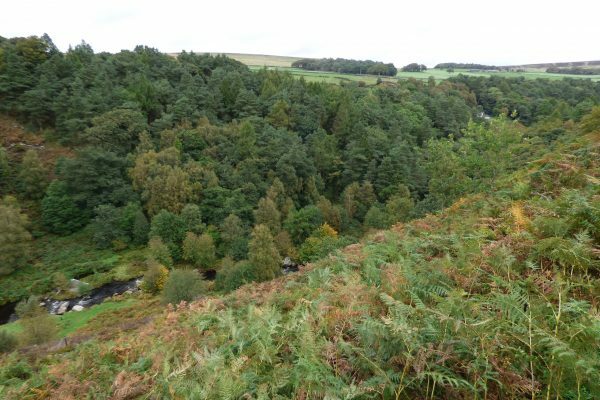 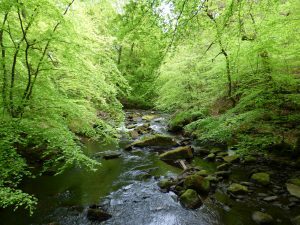 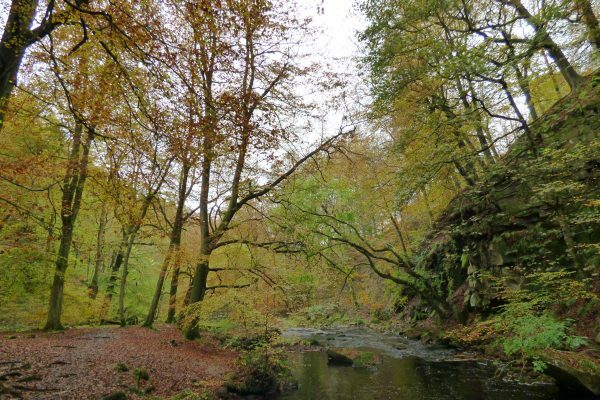 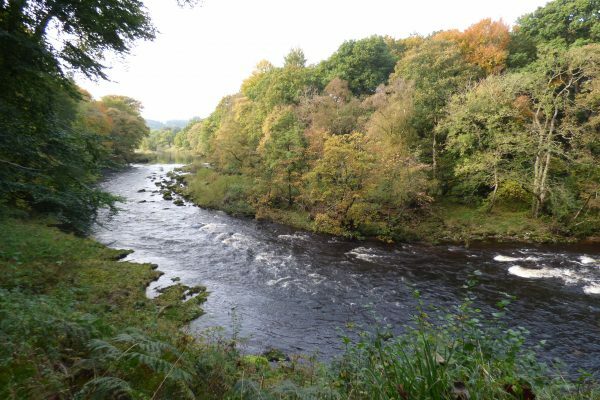 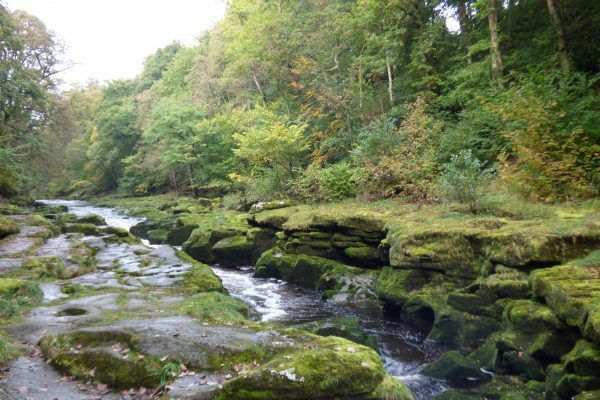 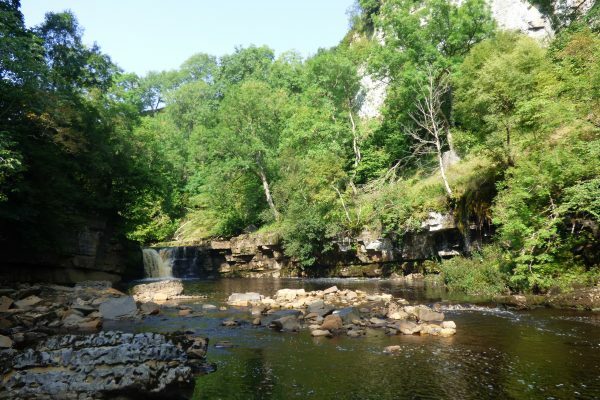 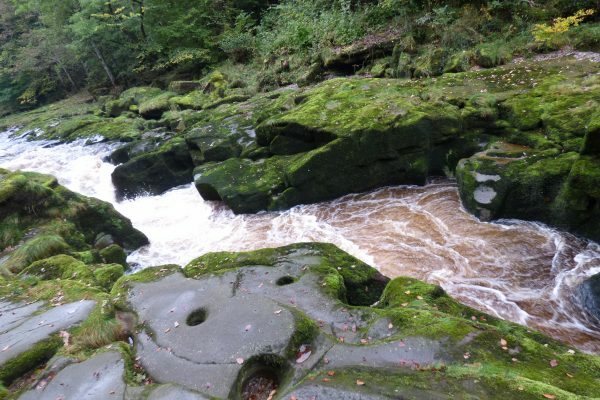 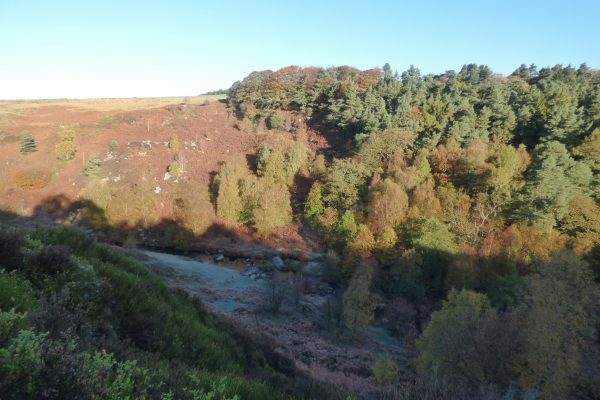 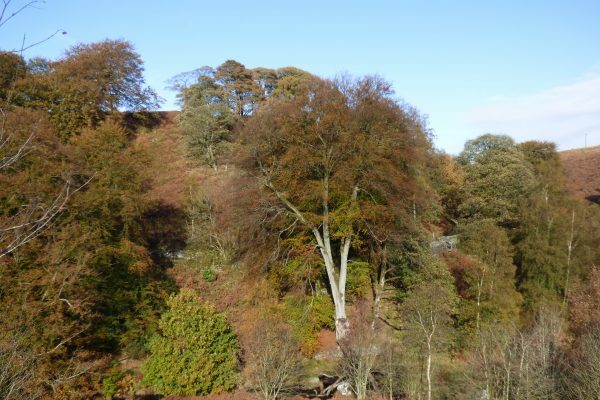 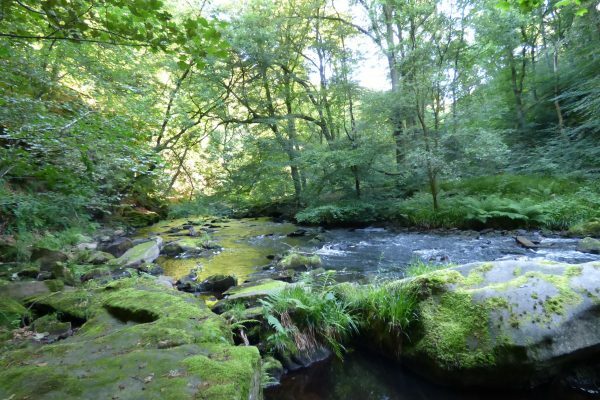 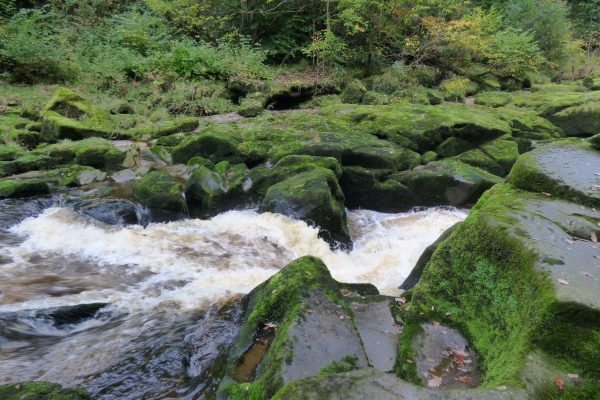 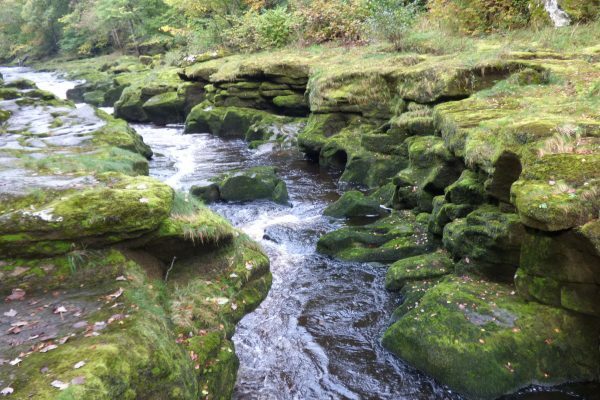 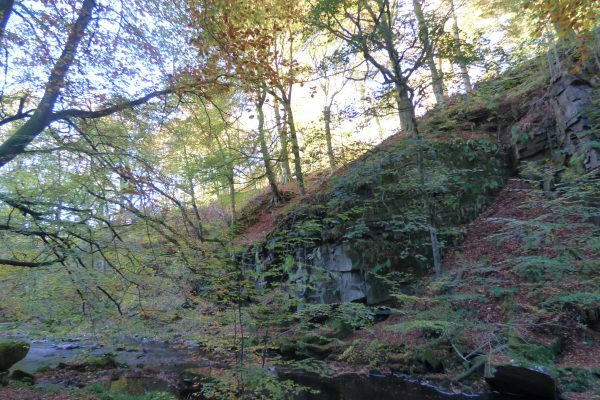 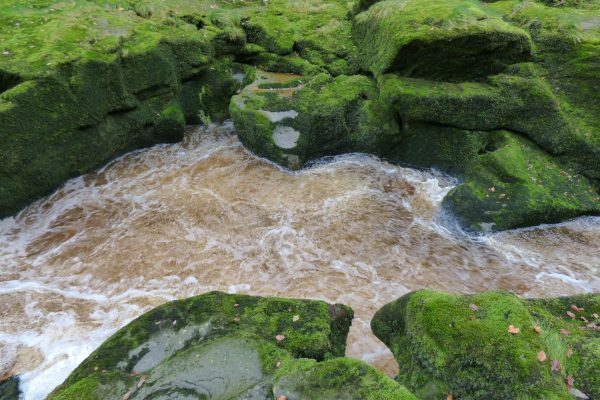 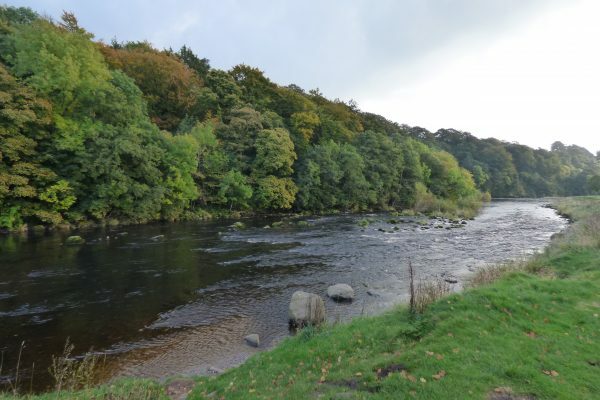 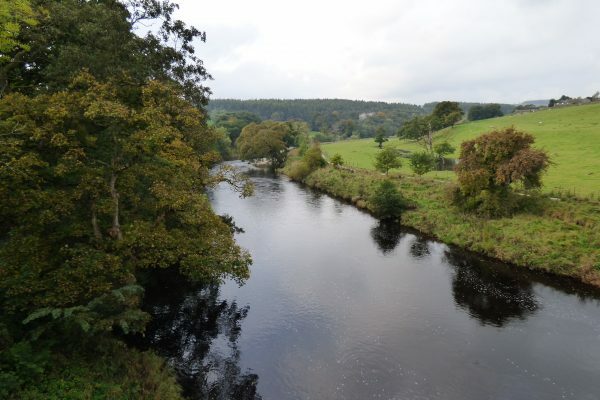 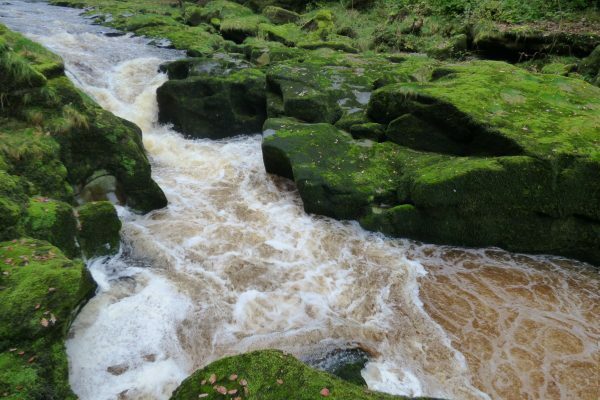 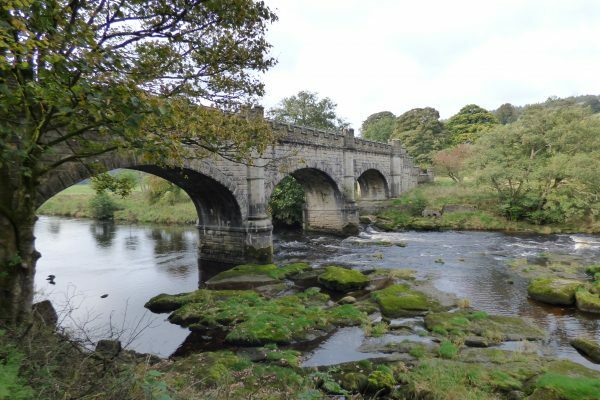 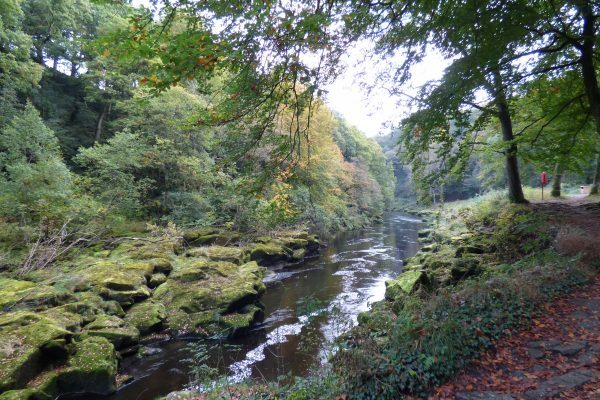 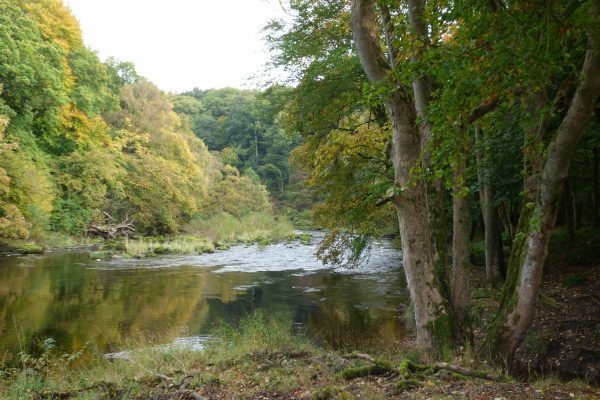 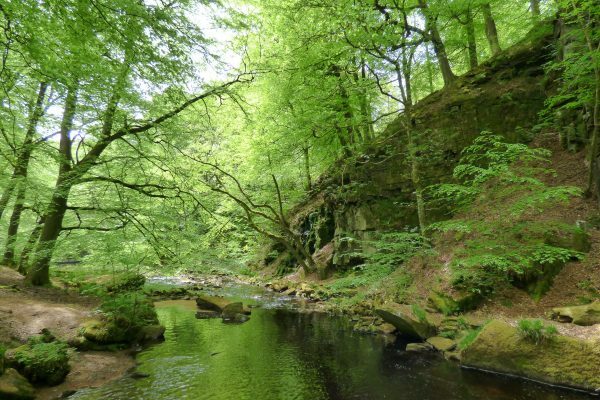 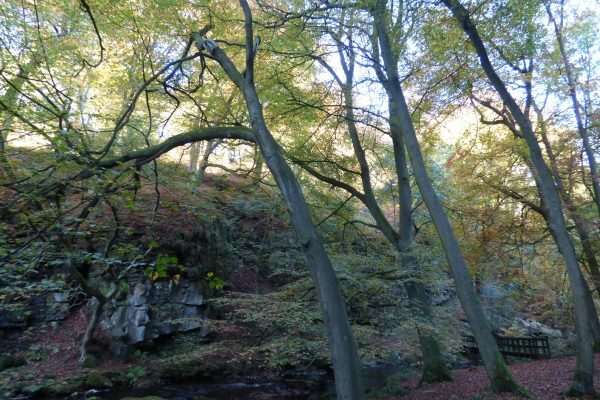 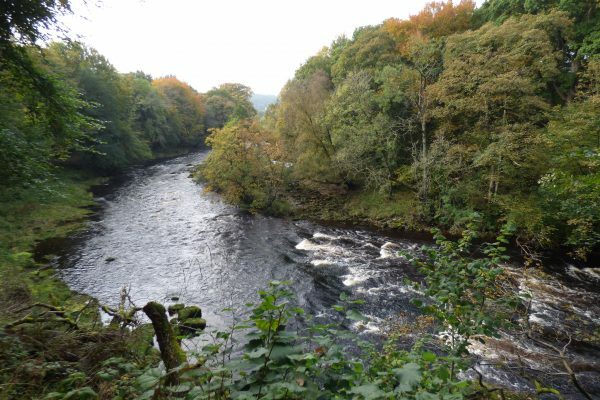 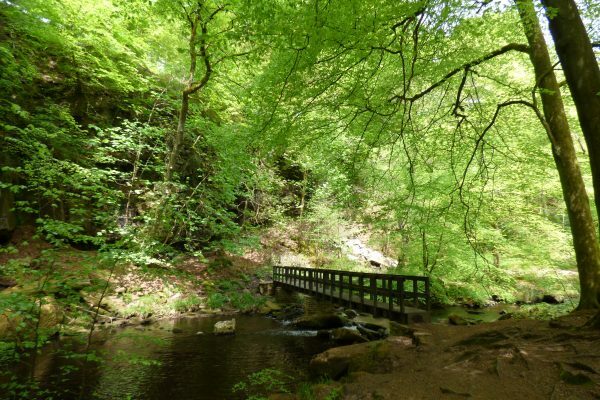 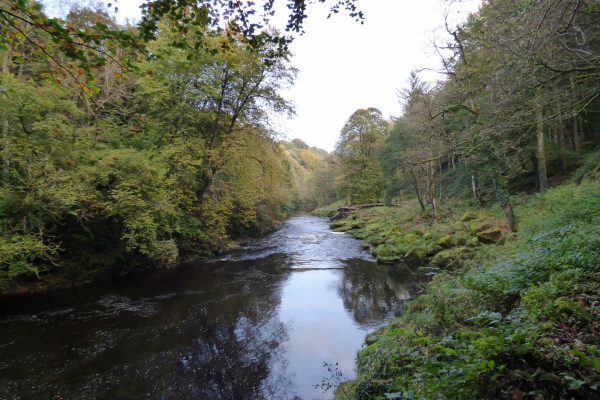 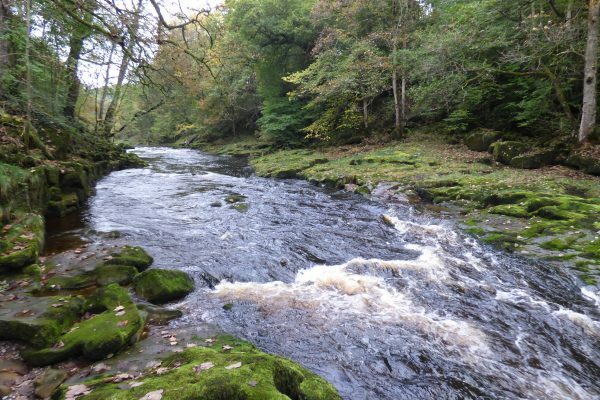 One of the highlights is the Strid, where the river is forced through a deep narrow gorge. 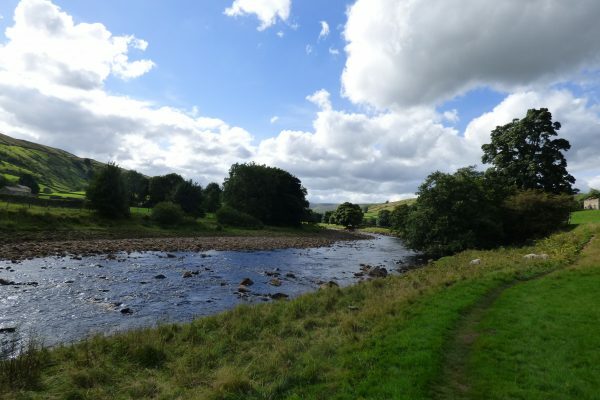 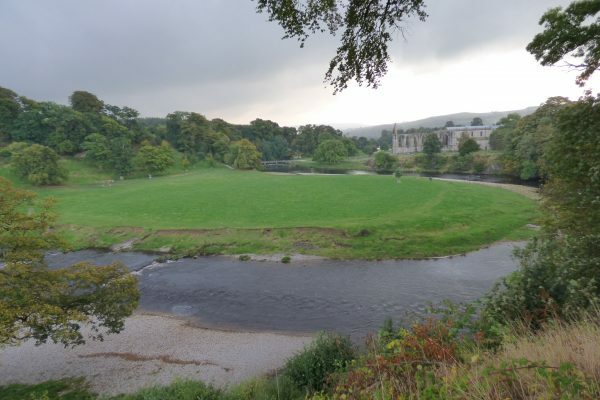 Further upstream the Dales Way continues along the banks of the Wharfe through the village of Burnsall to Grassington. 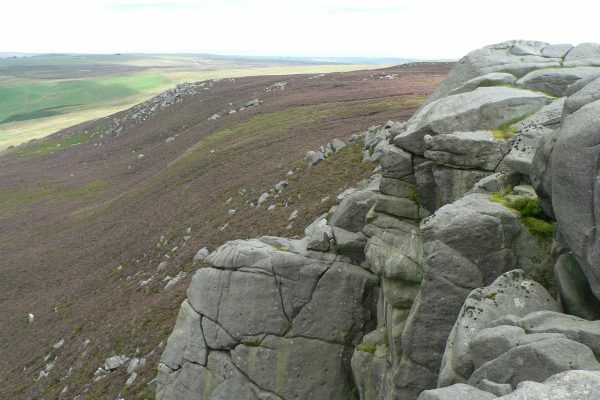 High up above Wharfedale at Simon’s Seat rugged rocky outcrops emerge from the heather on the top of the hills. 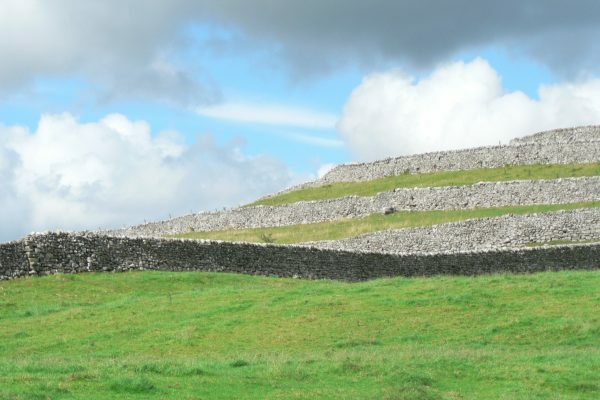 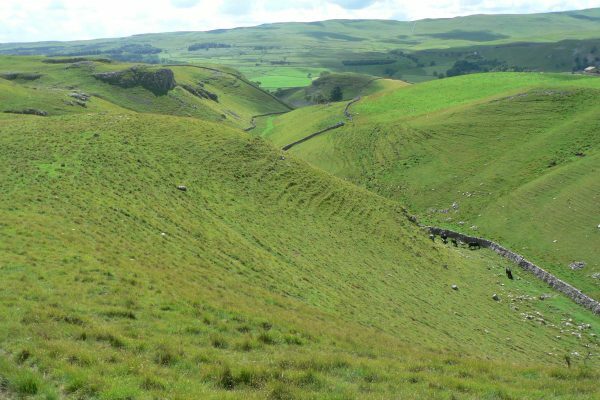 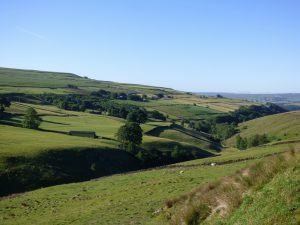 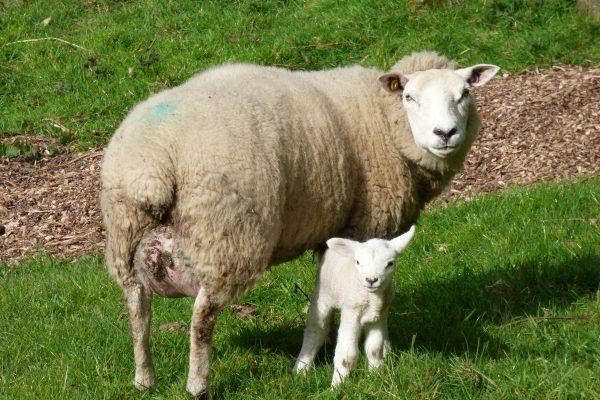 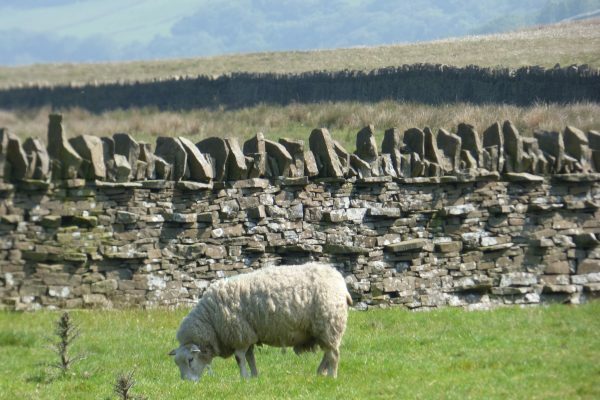 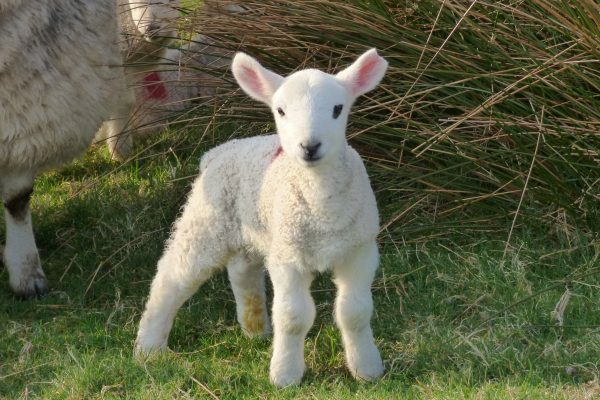 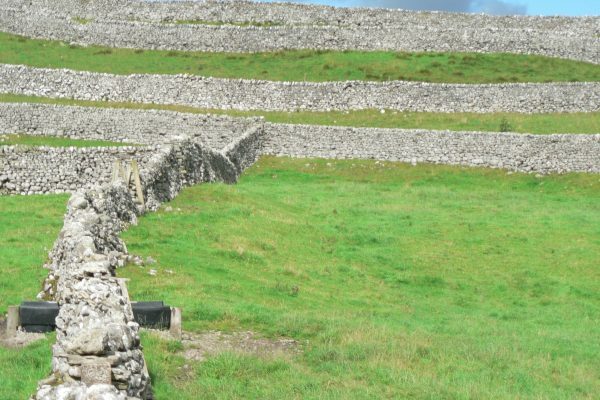 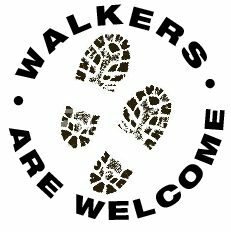 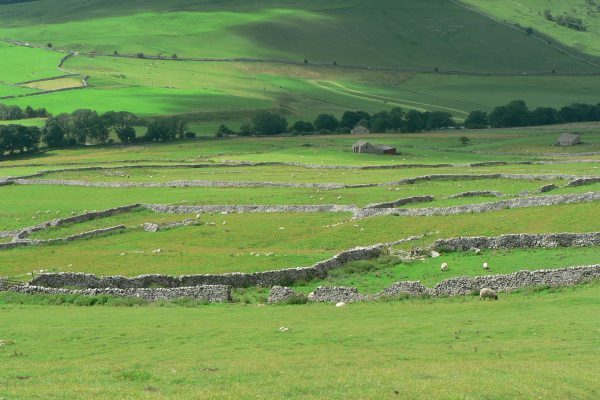 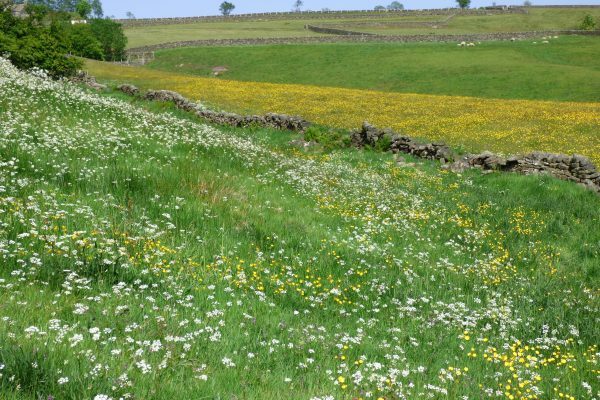 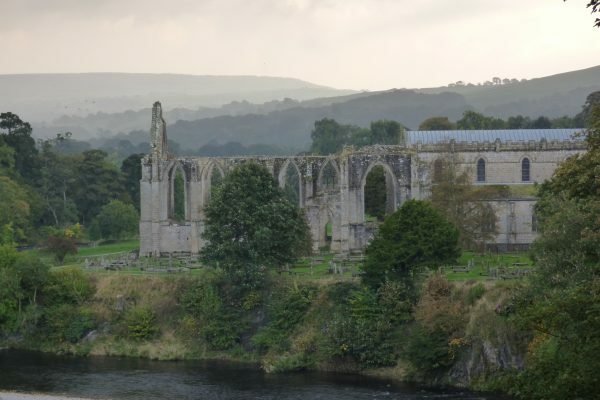 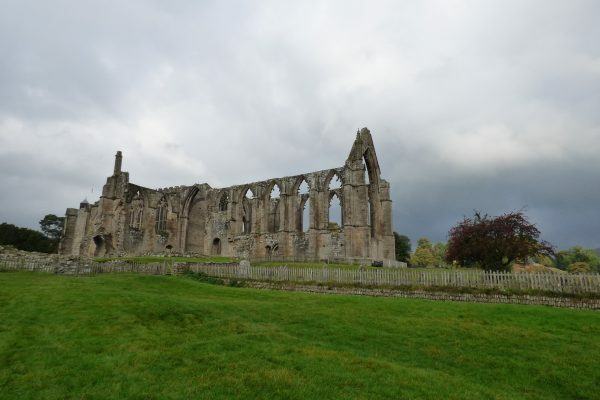 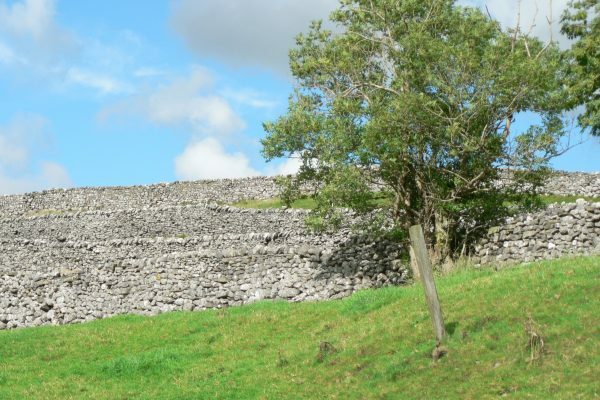 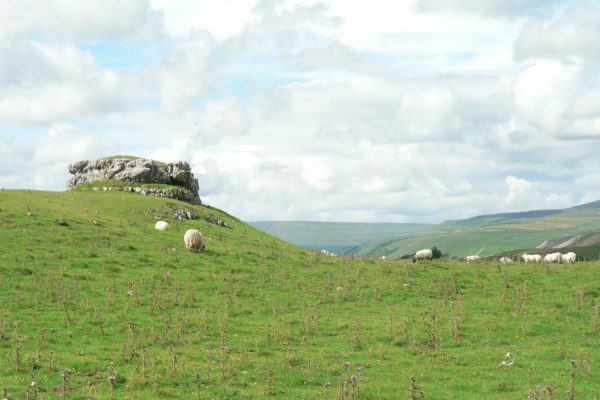 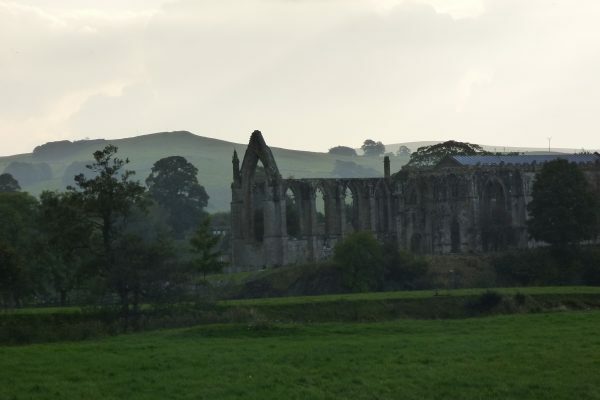 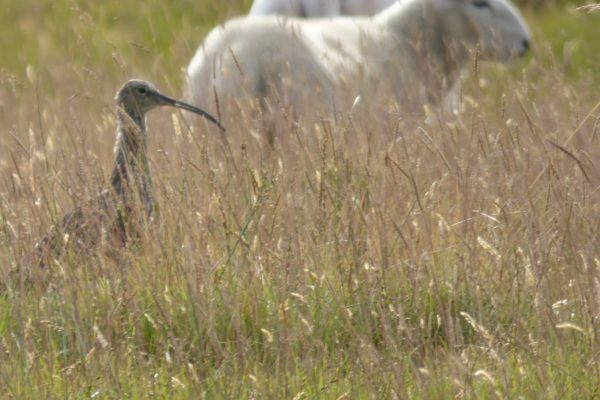 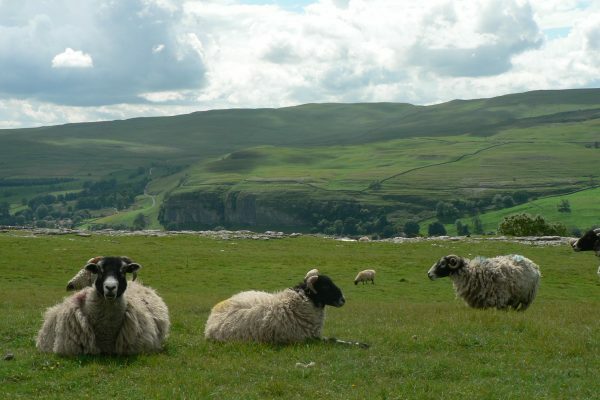 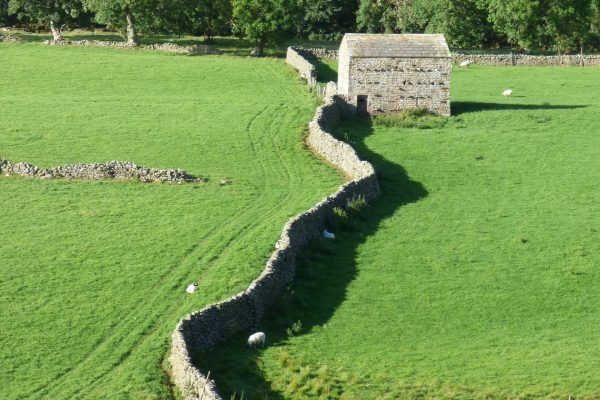 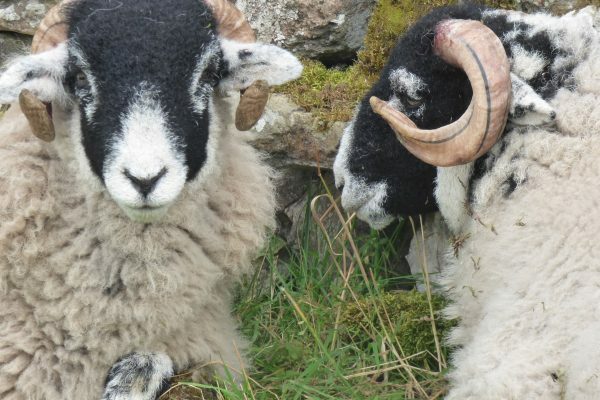 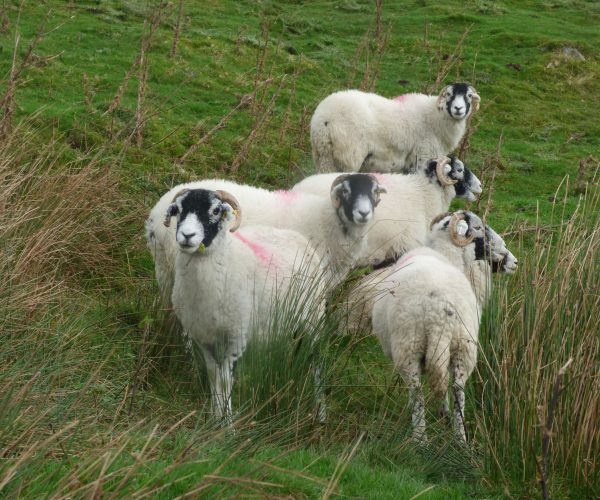 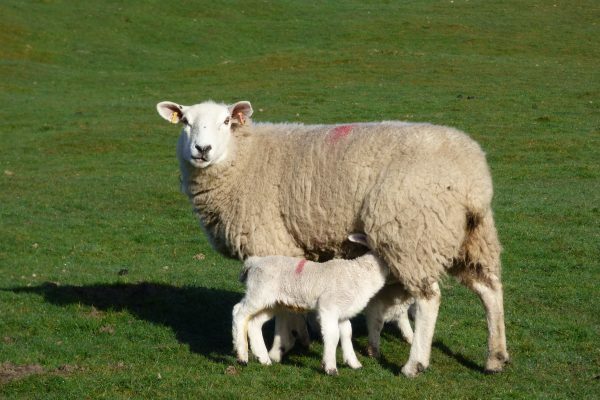 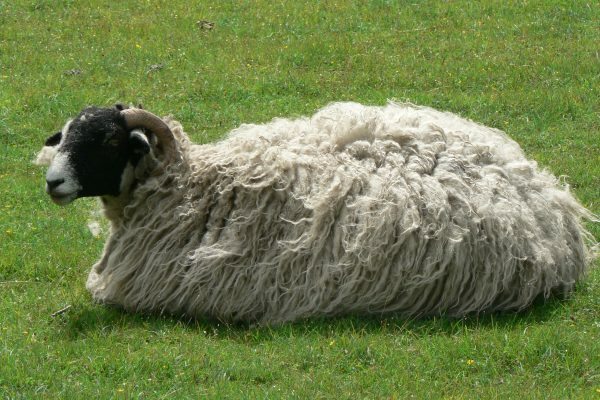 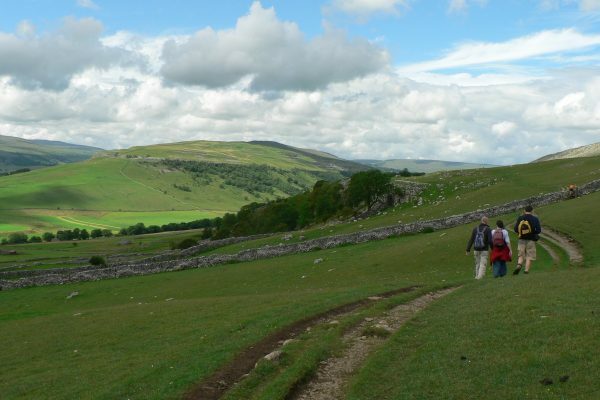 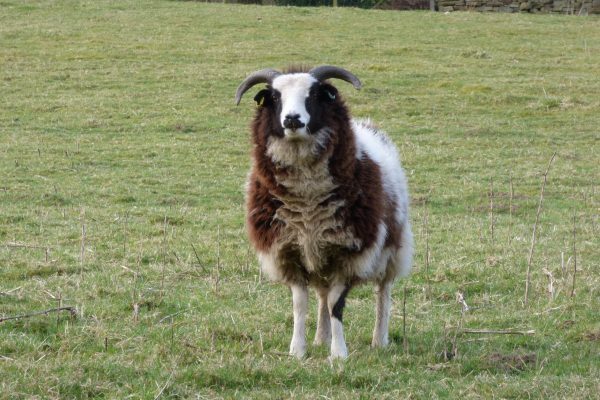 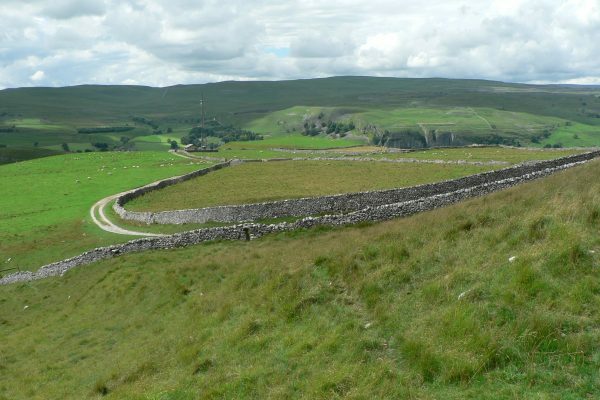 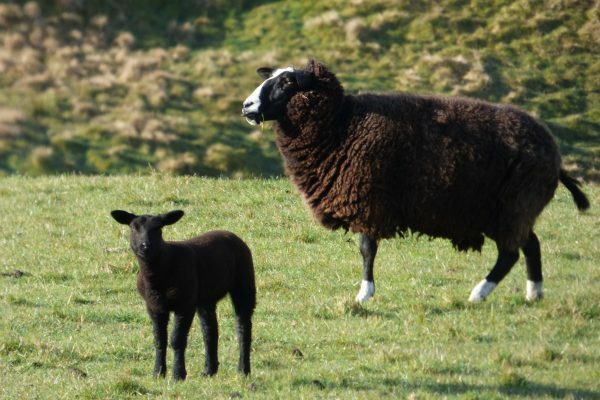 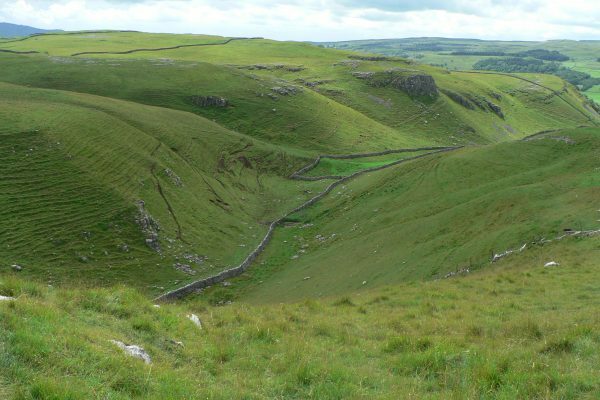 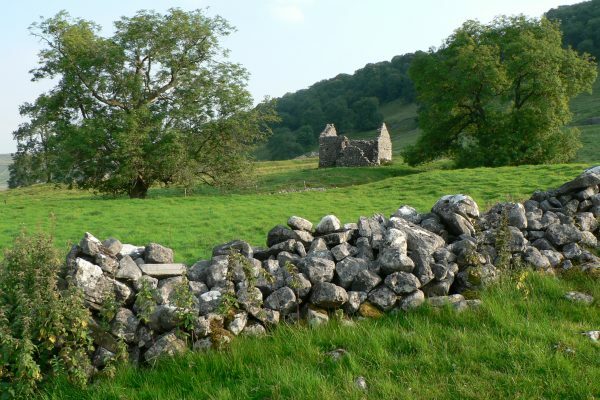 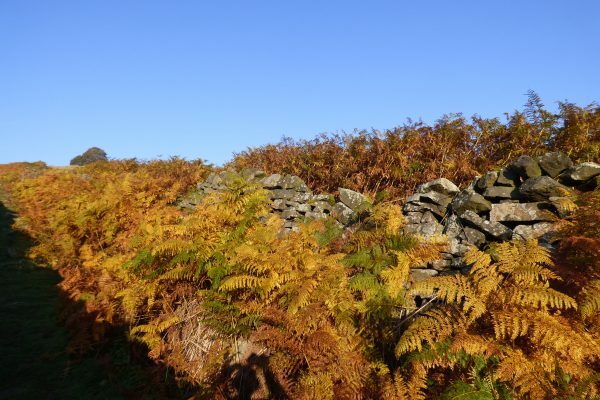 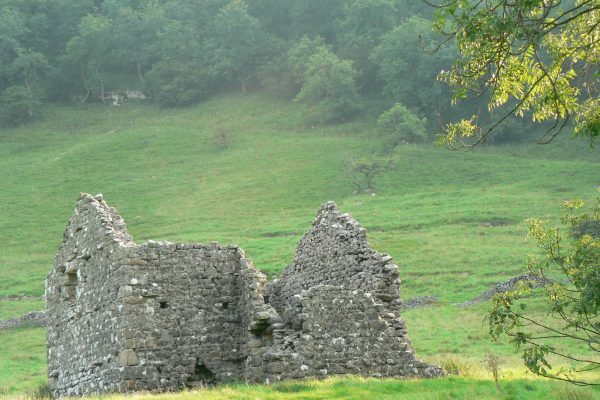 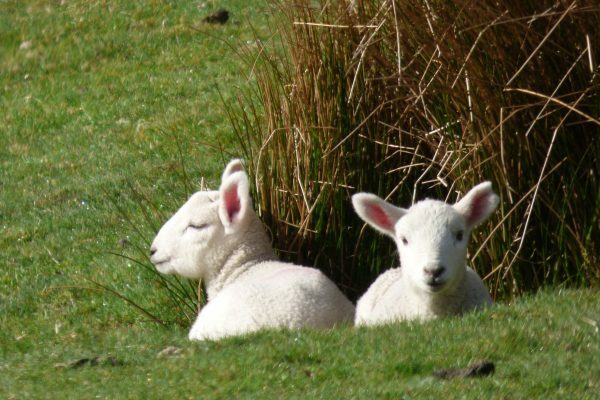 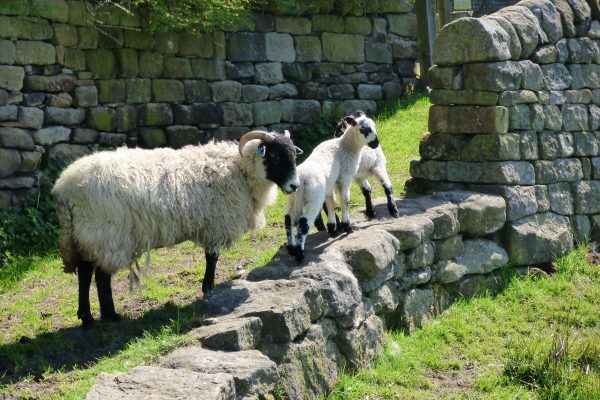 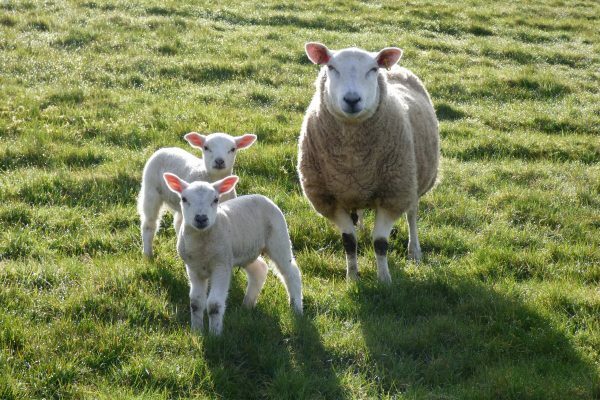 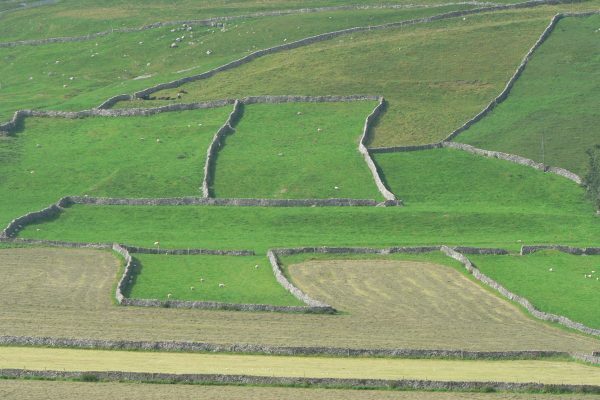 A hike along the Dales Way beyond Grassington takes you through archetypal Yorkshire Dales landscape with undulating hills, limestone outcrops, Swaledale sheep and small fields bounded by snaking white limestone drystone walls. 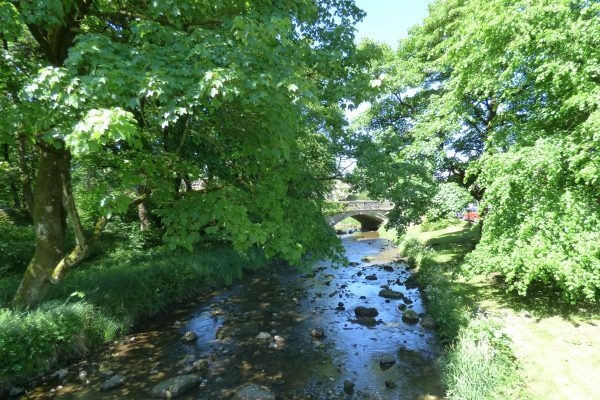 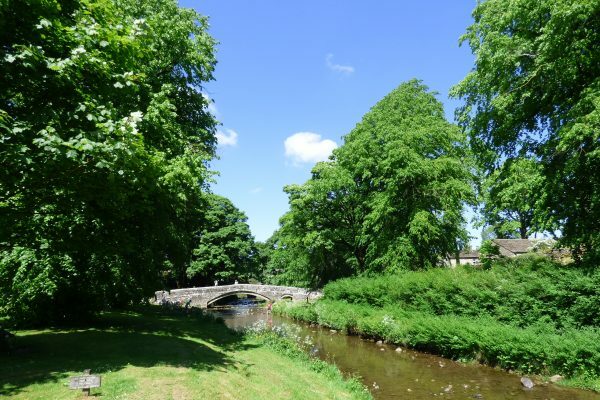 Linton in Craven is a delightful Dales village hidden away near Grassington. 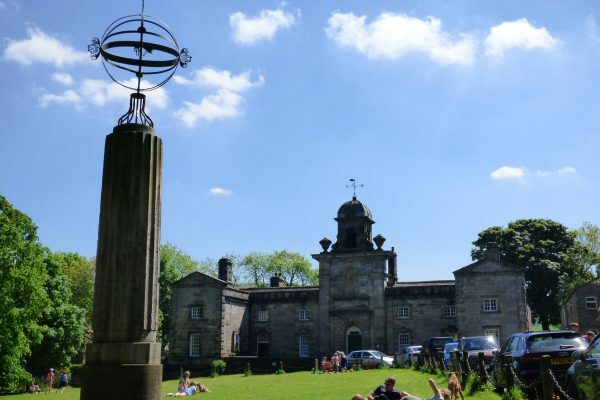 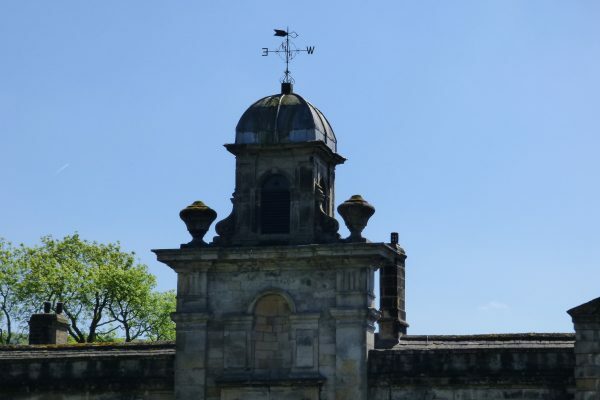 The village green is dominated by the magnificent Grade II* Listed Fountaine’s Hospital: a group of alms houses with a chapel in the centre built in the 1720s by the renowned Sir John Vanbrugh (who designed Castle Howard) or his associate Nicholas Hawksmoor. 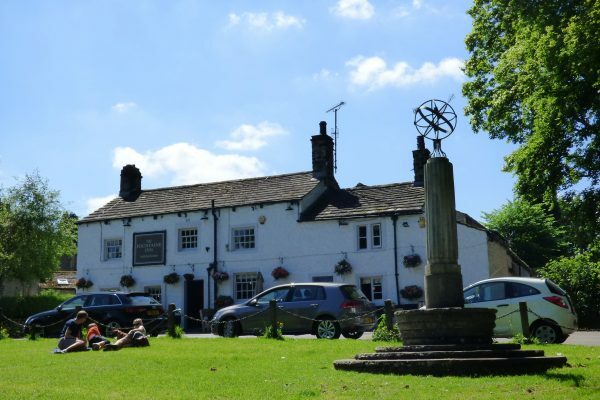 The Fountaine Inn in the centre of Linton is a characterful pub with open fires serving excellent food. 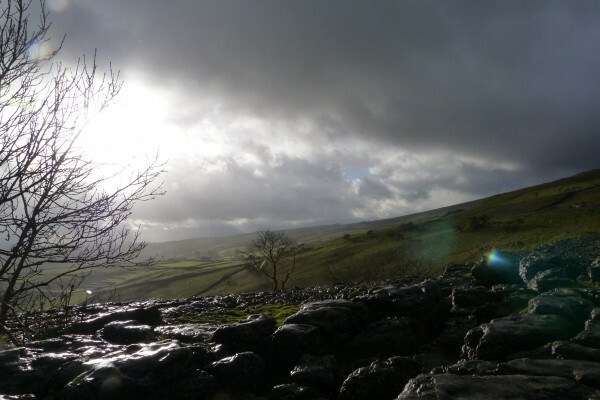 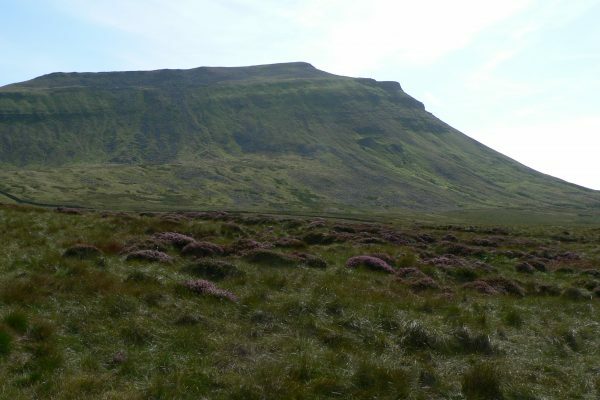 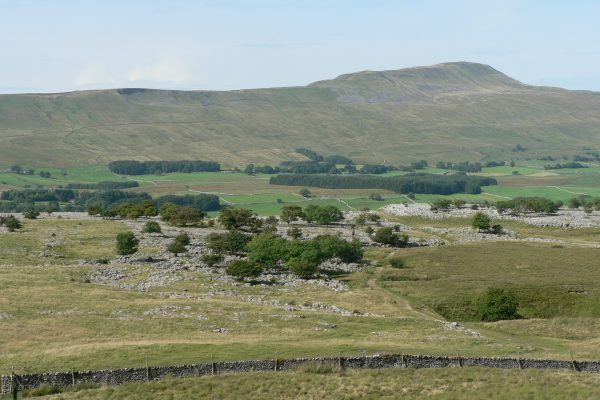 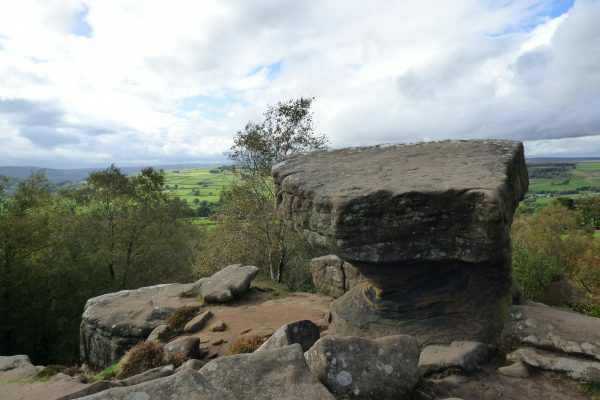 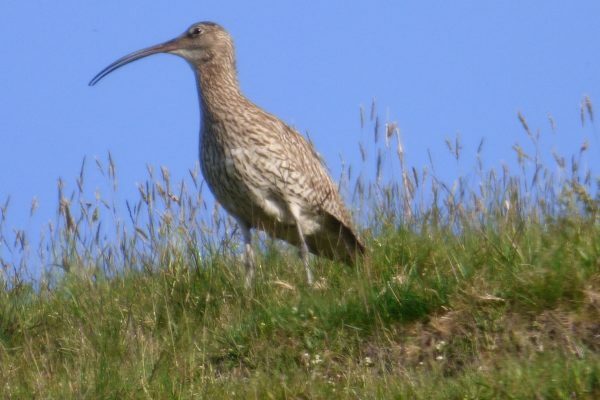 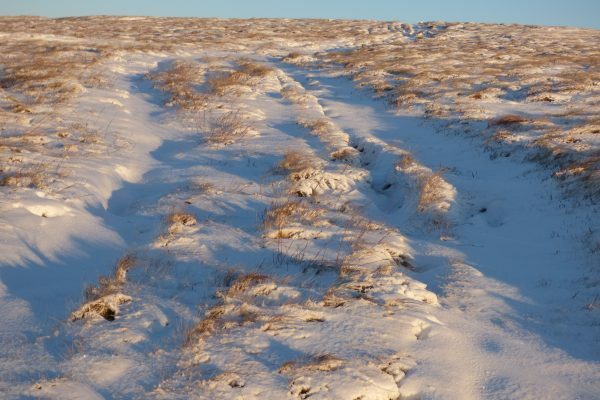 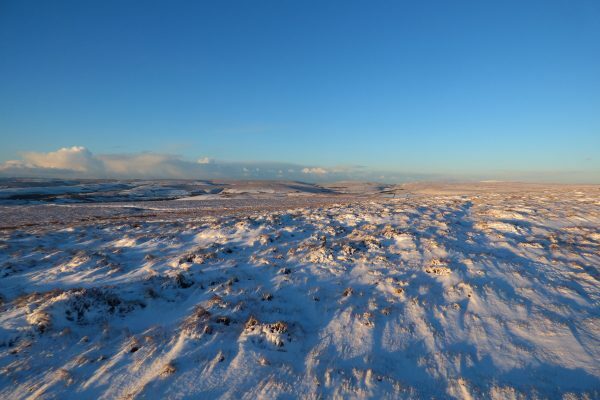 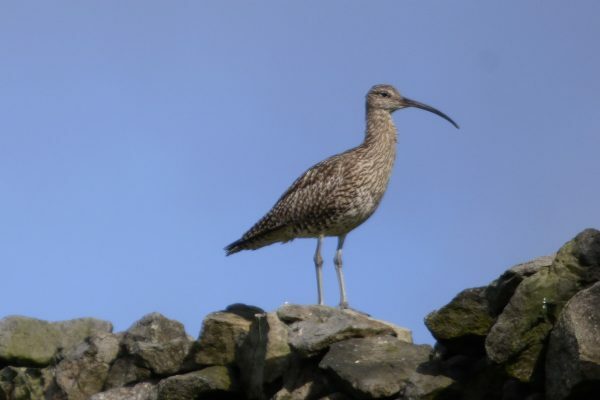 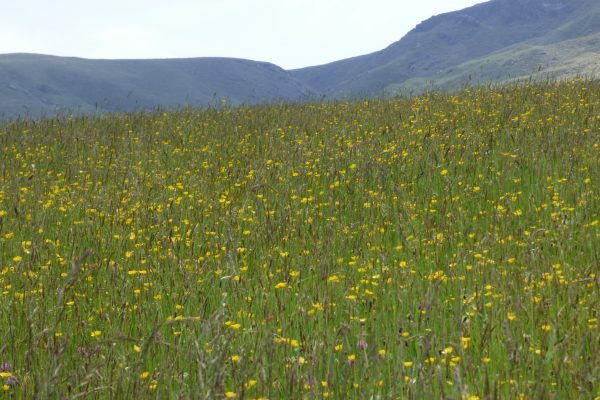 The Three Peaks – Ingleborough, Whernside and Pen-y-ghent – are the highest fells in the Yorkshire. 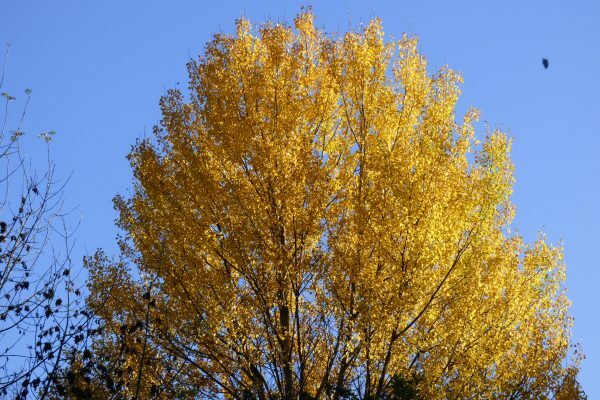 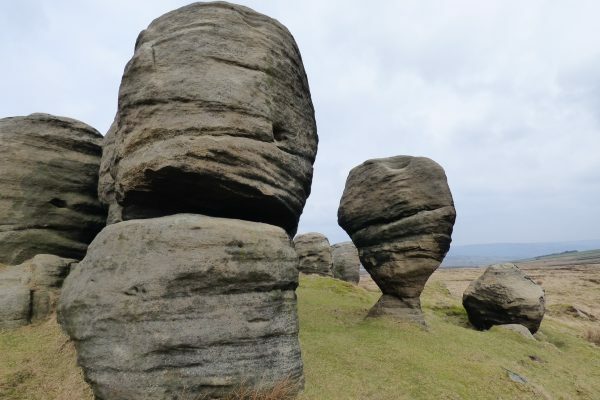 Each has a different shape and character. 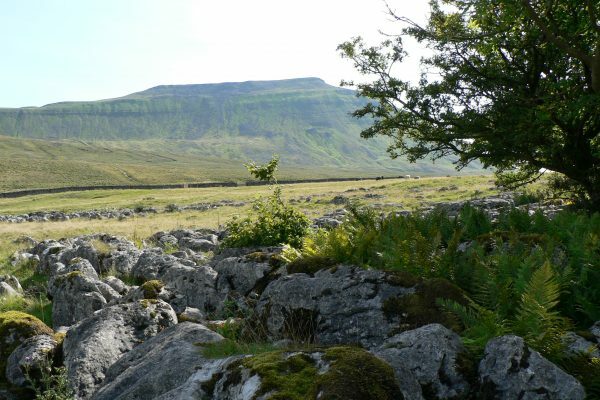 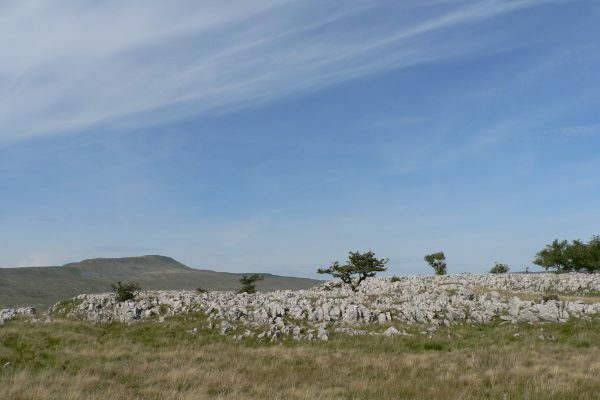 Ingleborough, a vast limestone mound which dominates the landscape for miles around, is capped by a huge plateau a mile in circumference. 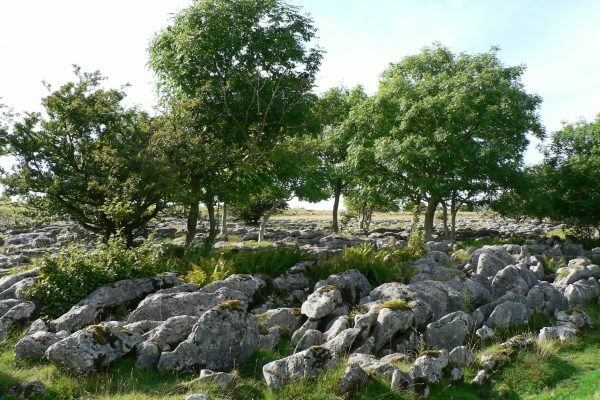 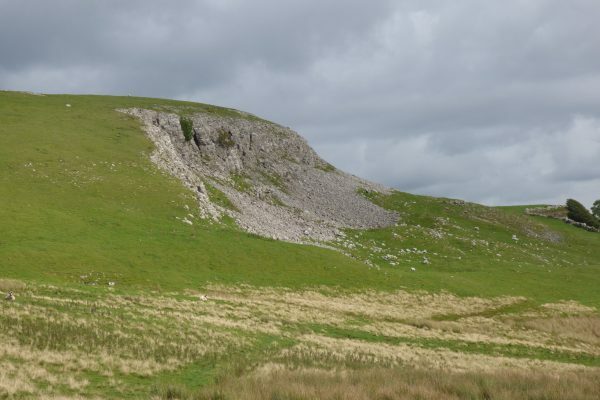 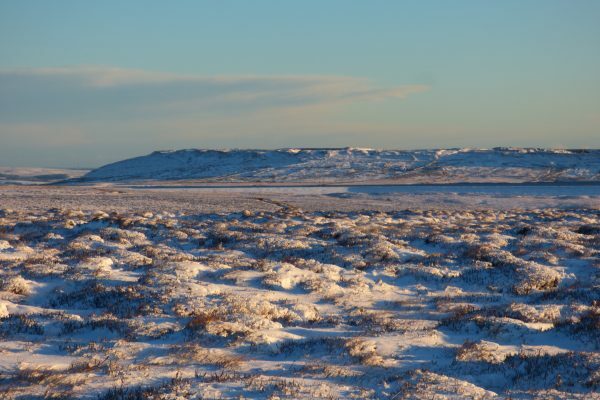 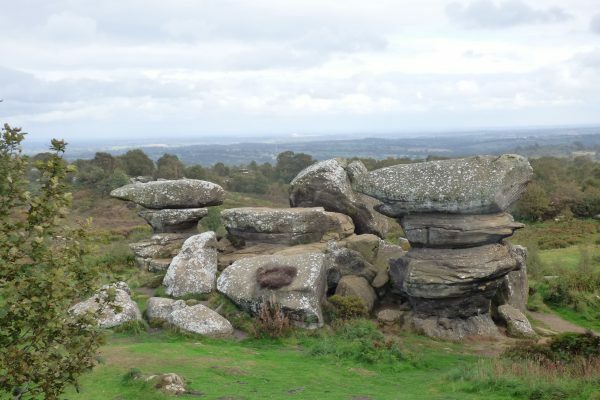 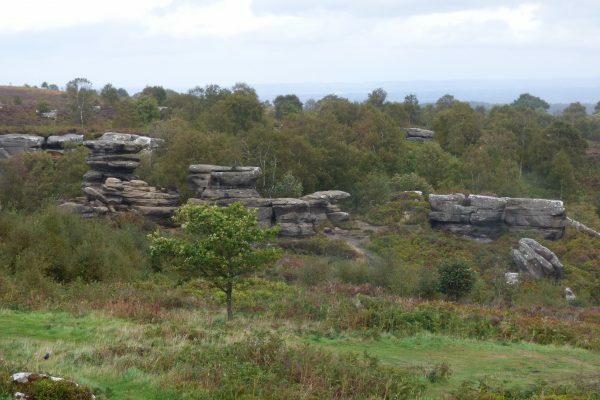 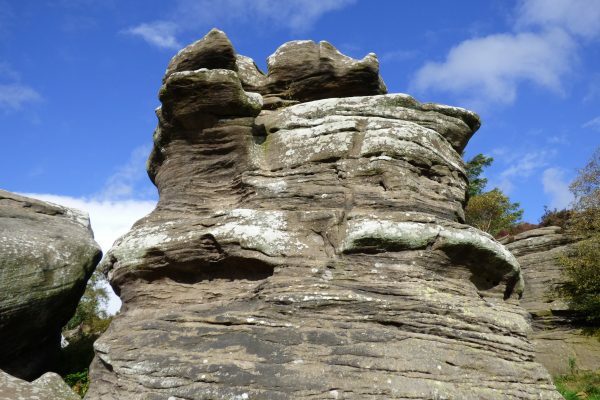 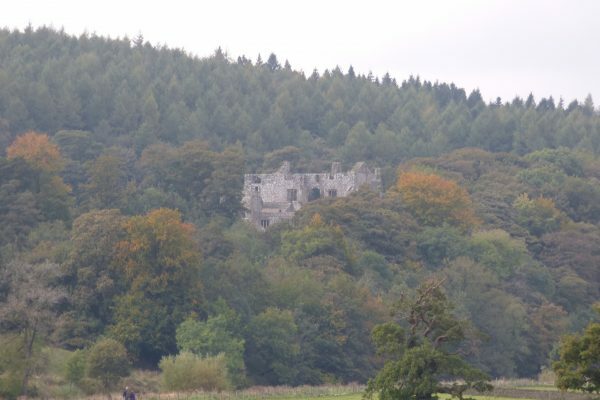 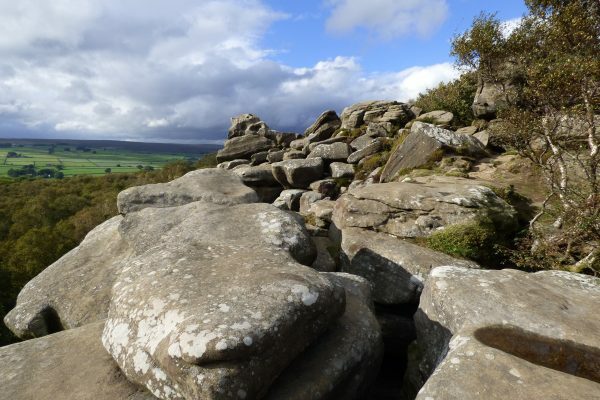 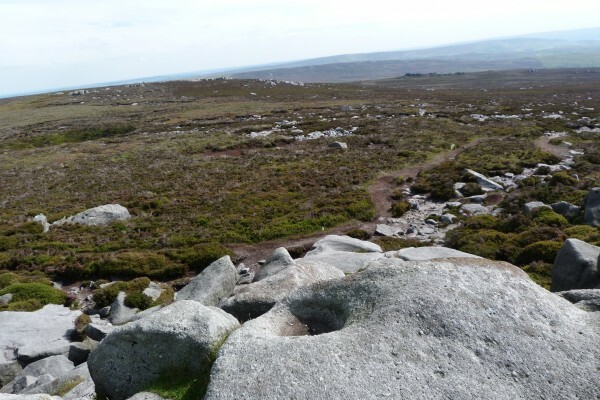 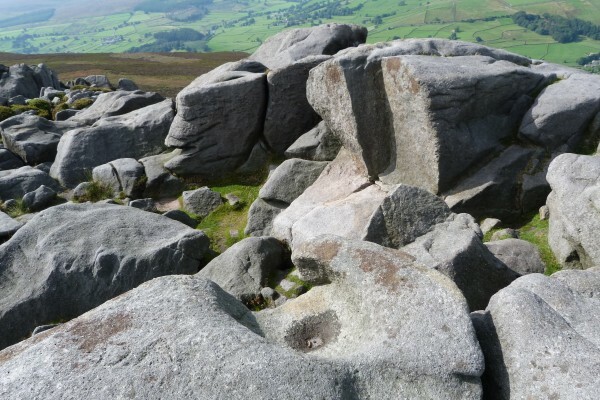 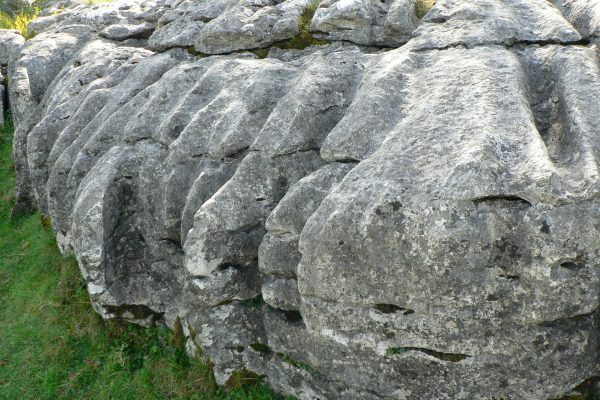 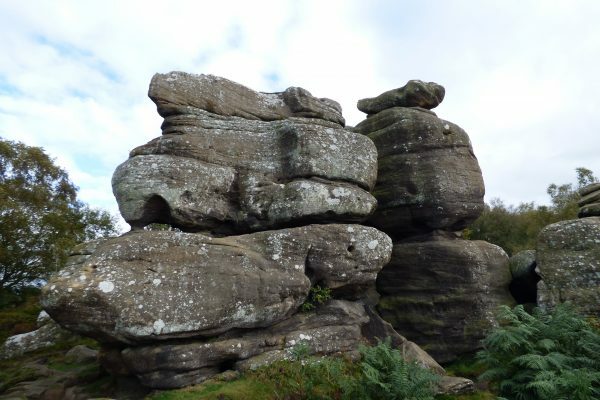 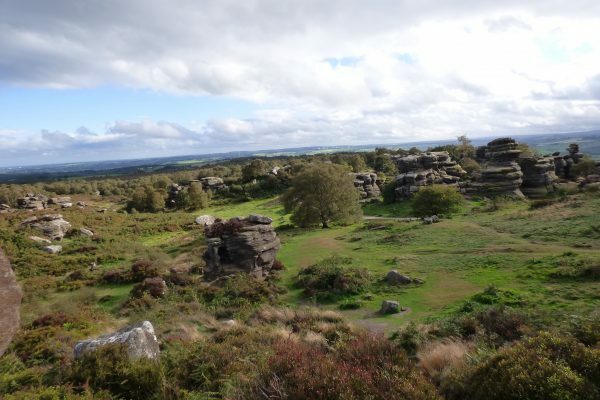 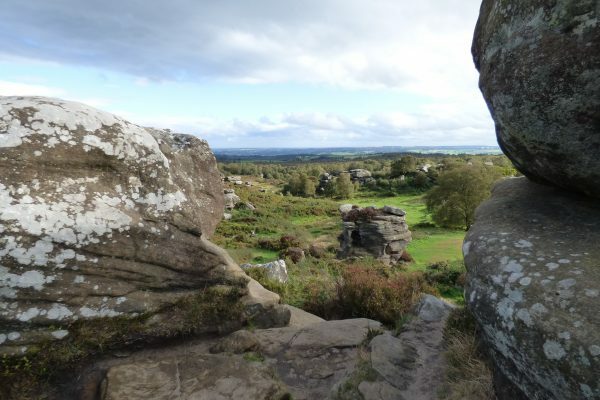 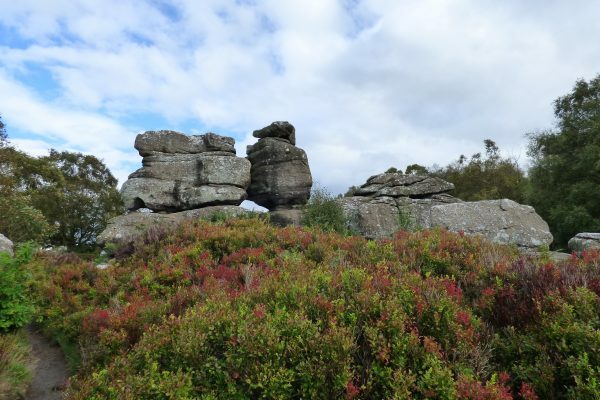 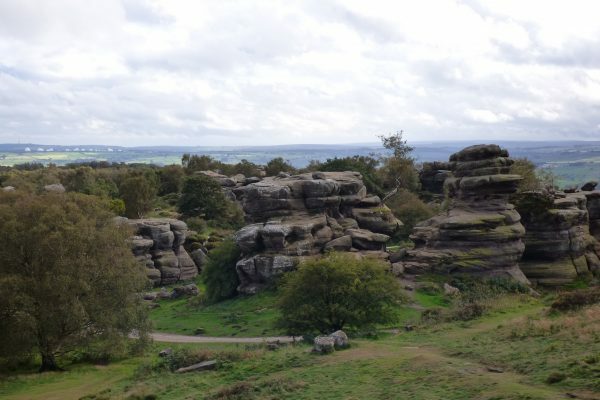 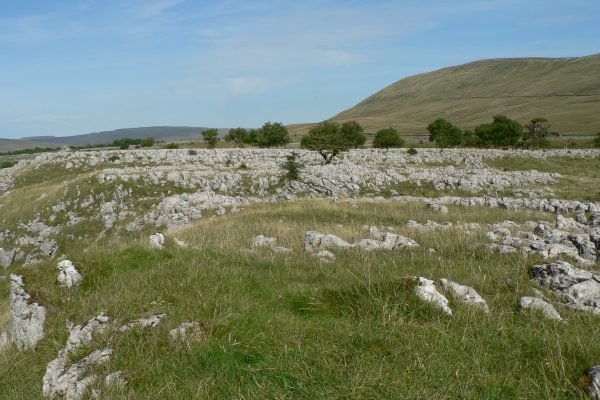 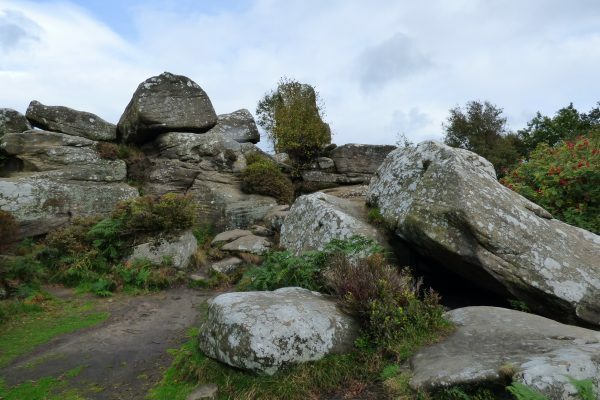 The surrounding countryside is marked by numerous white limestone outcrops and rocky screes, known as scars. 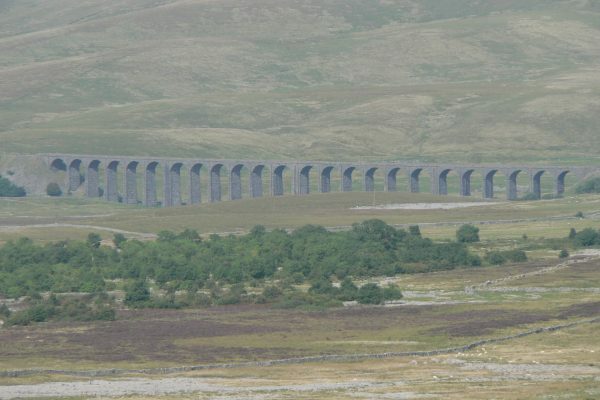 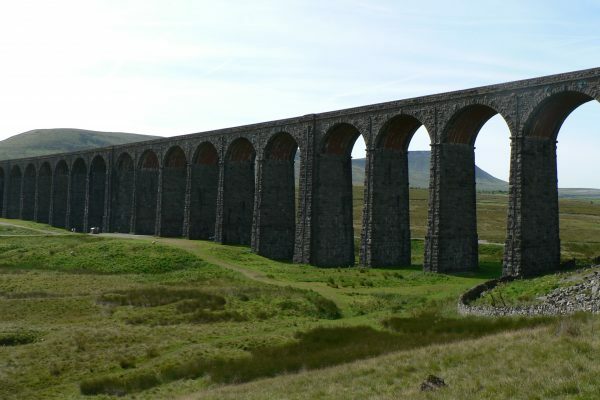 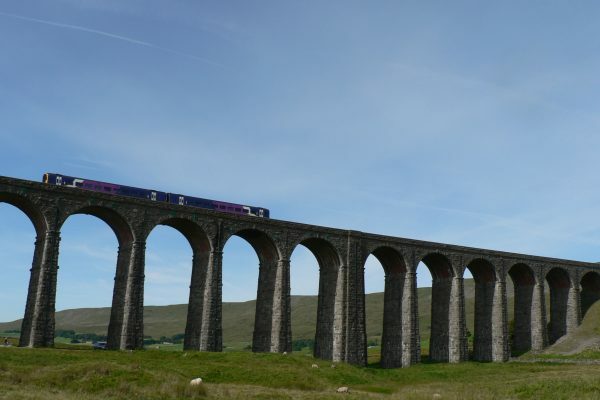 The monumental Ribblehead Viaductin Ribblesdale is one the greatest railway engineering structures in Britain. 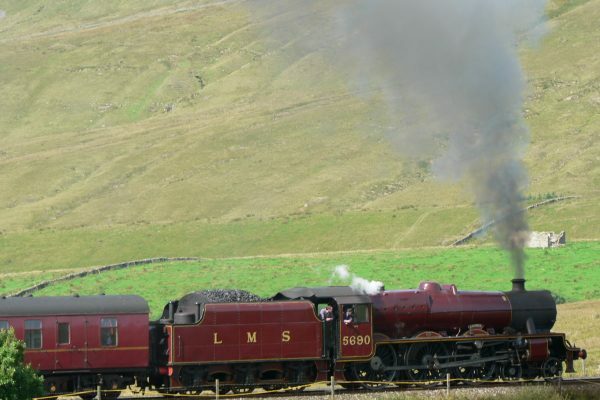 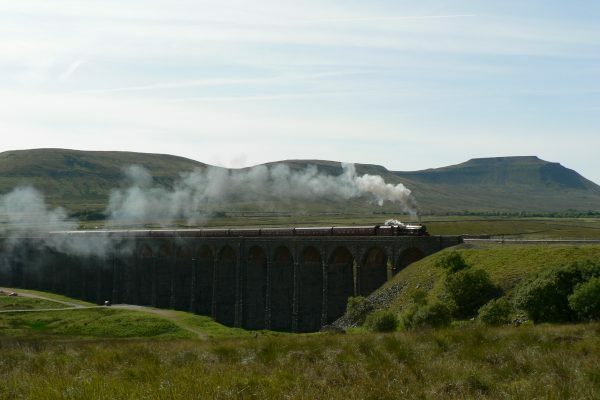 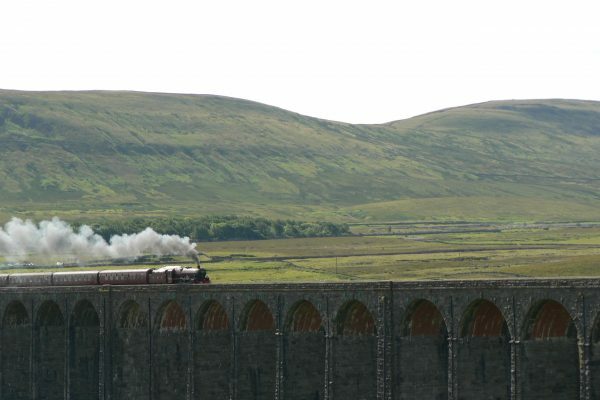 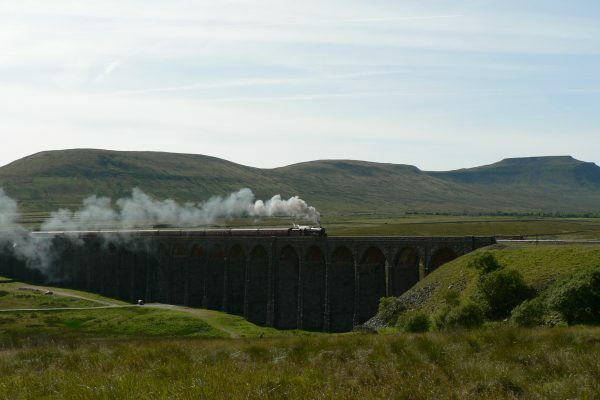 Steam trains make regular crossings on the famous Settle – Carlisle railway line. 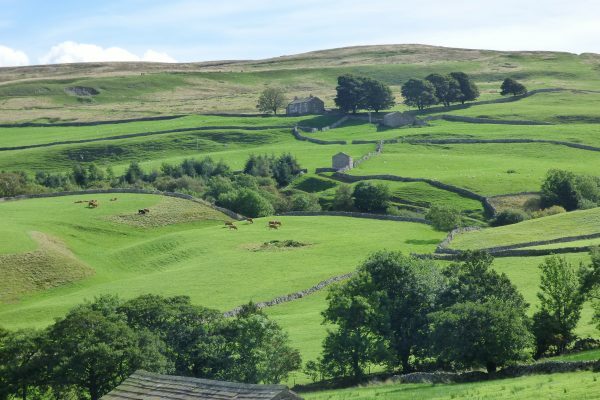 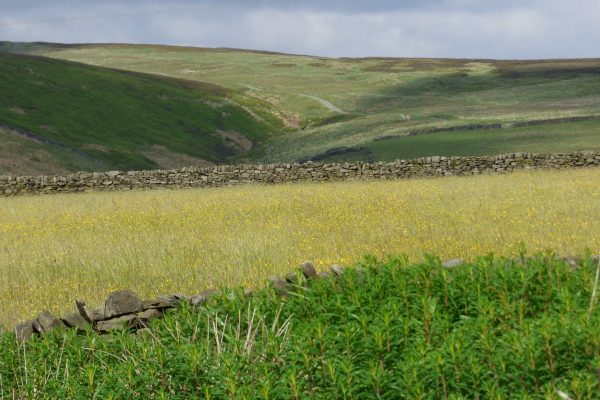 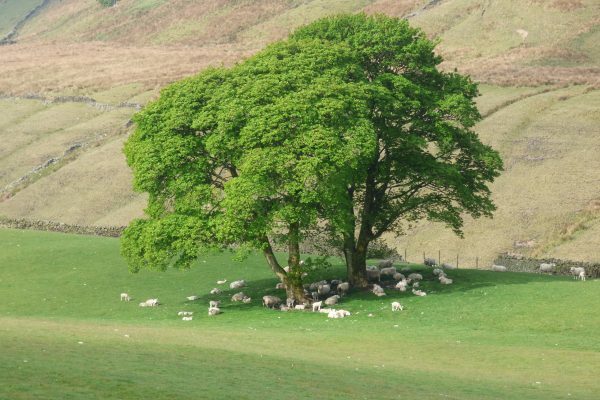 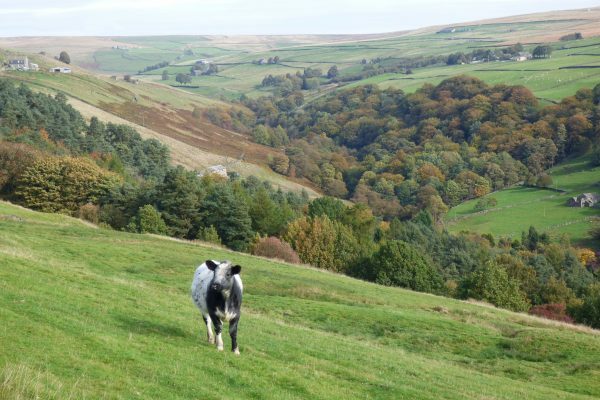 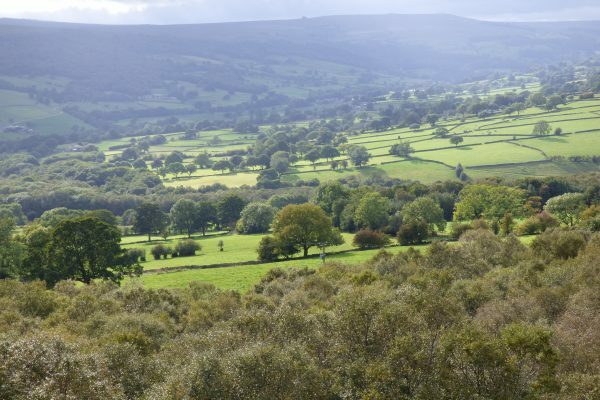 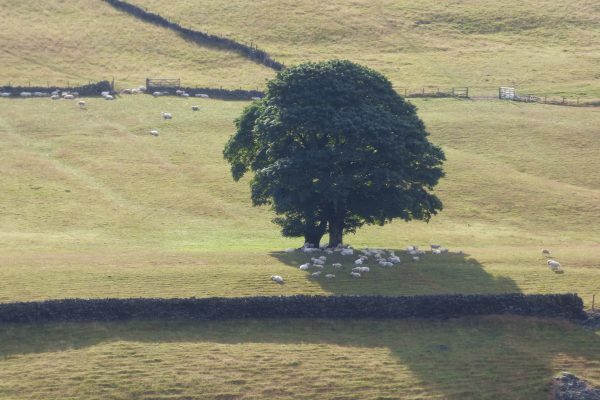 Although Swaledale is the northerly of the Yorkshire Dales, it is also the lushest and greenest. 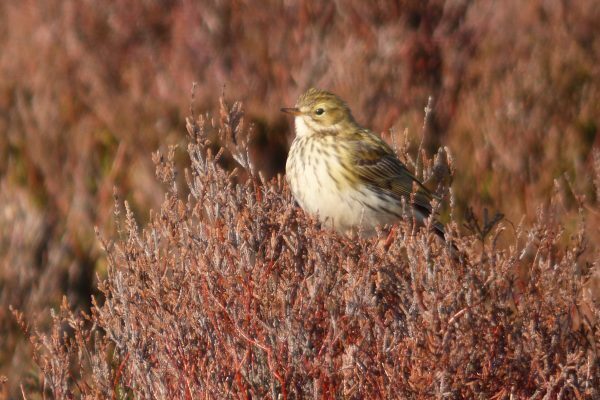 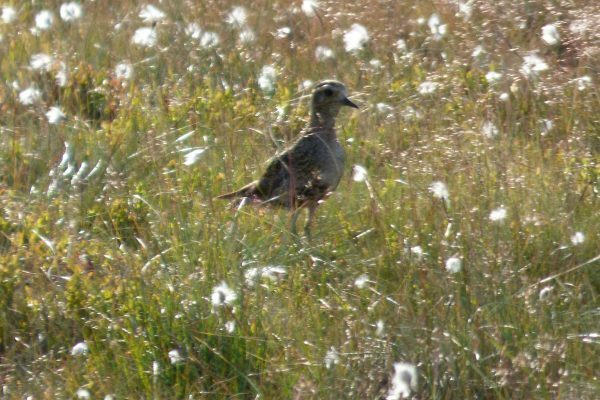 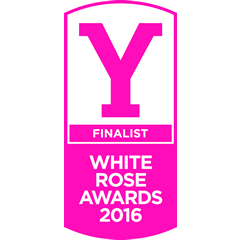 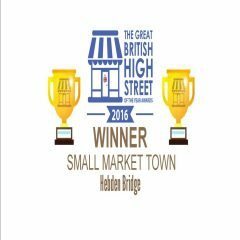 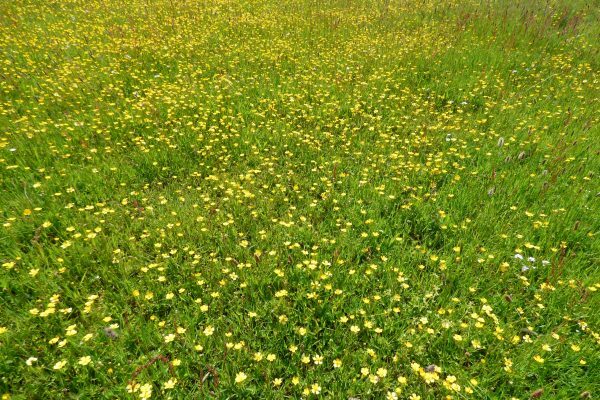 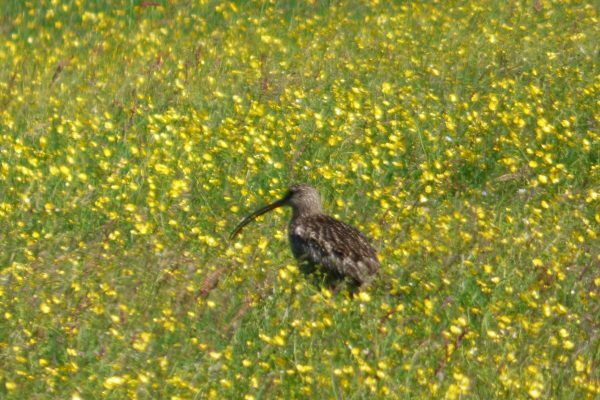 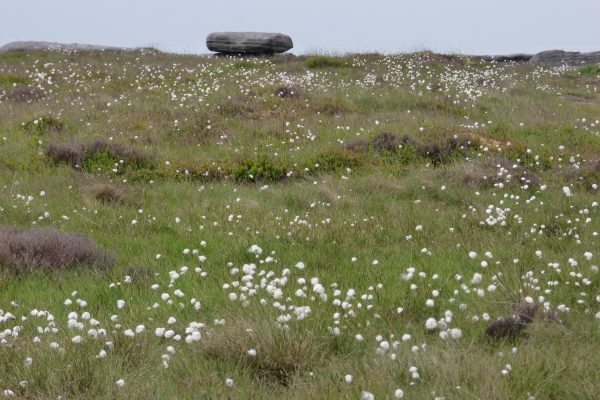 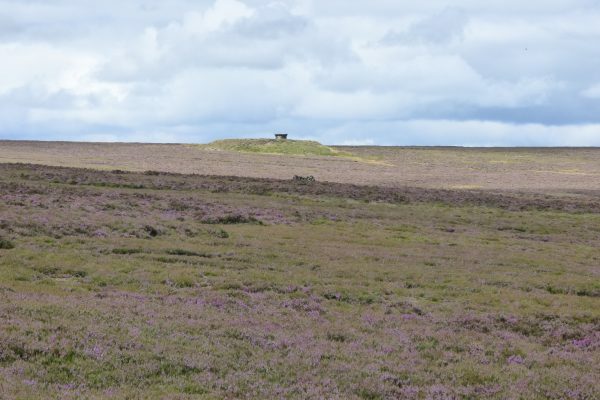 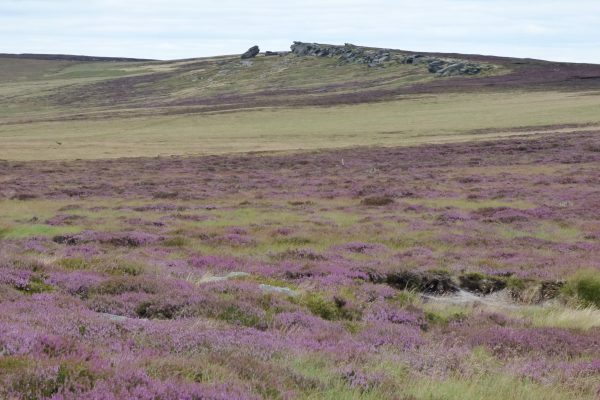 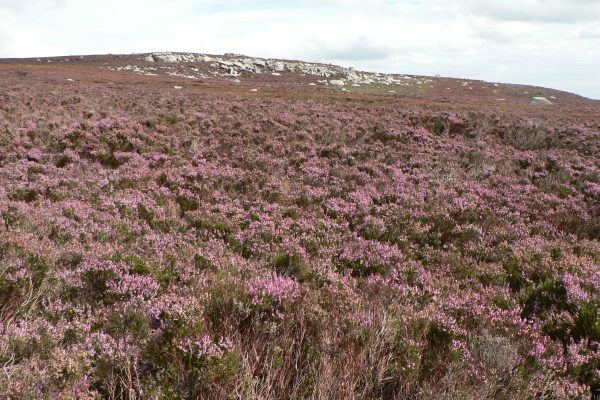 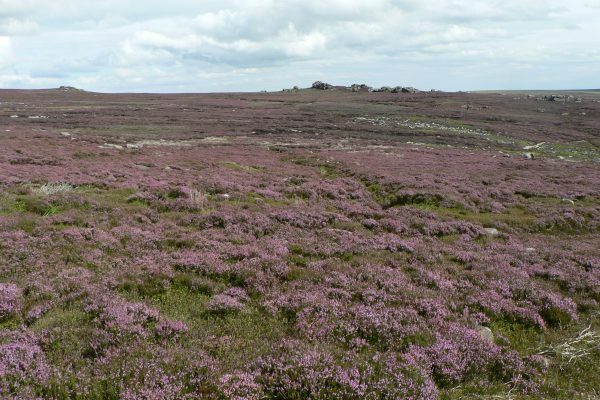 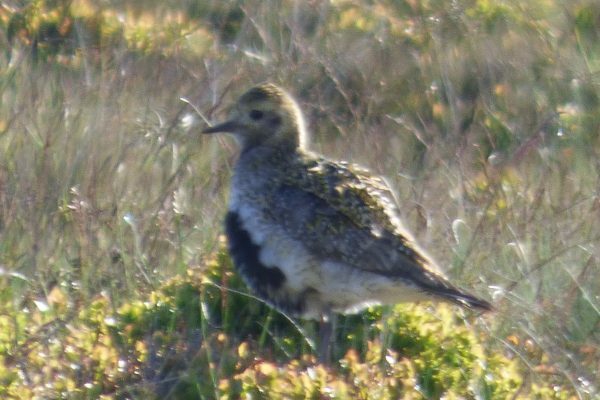 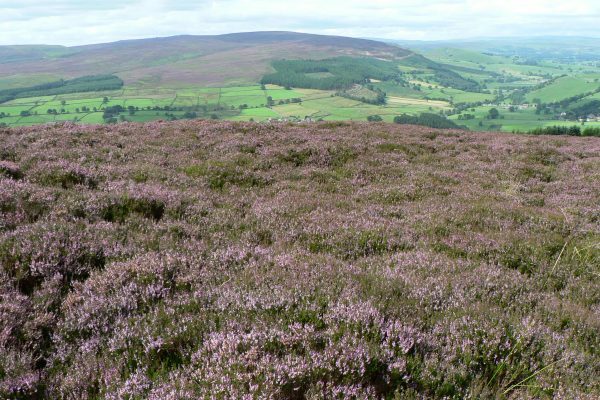 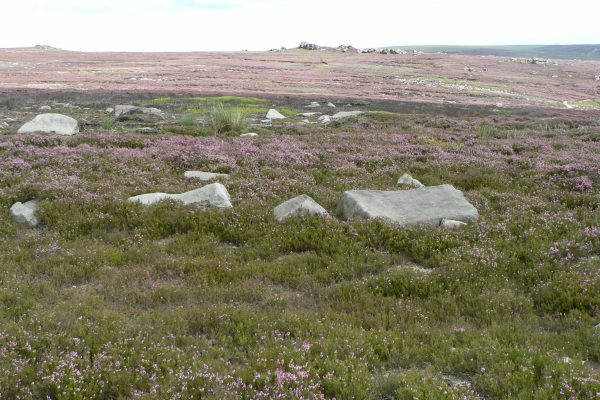 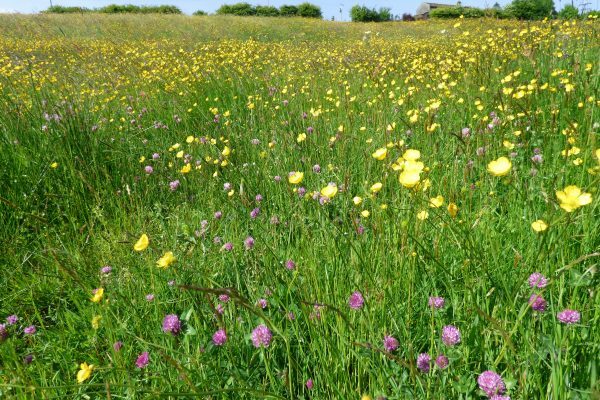 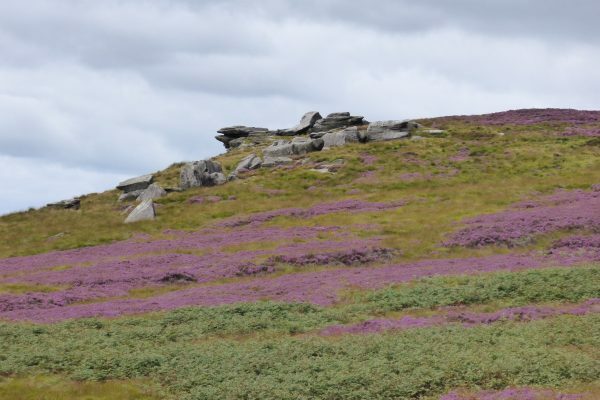 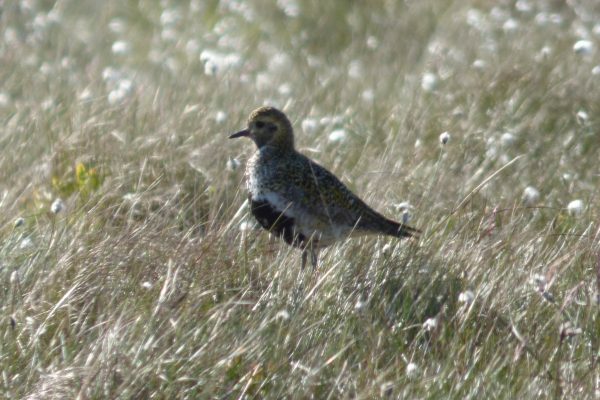 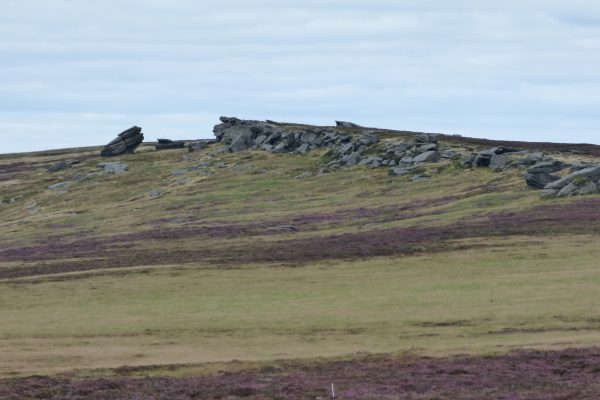 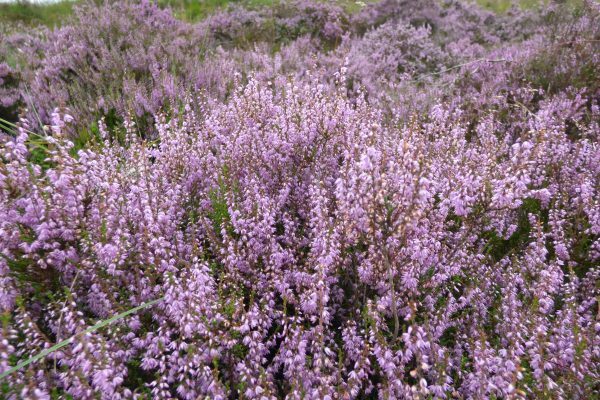 Renowned for its wild flower-rich hay meadows and for its numerous stone-built barns, it is an idyllic landscape capped by heather moors. 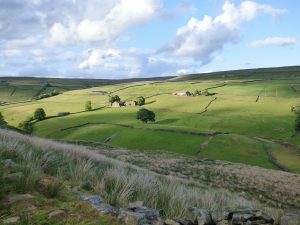 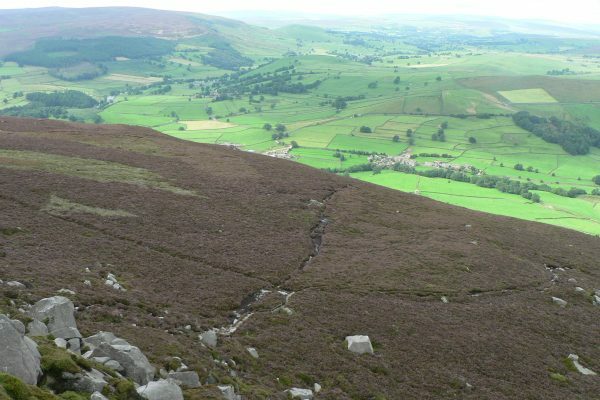 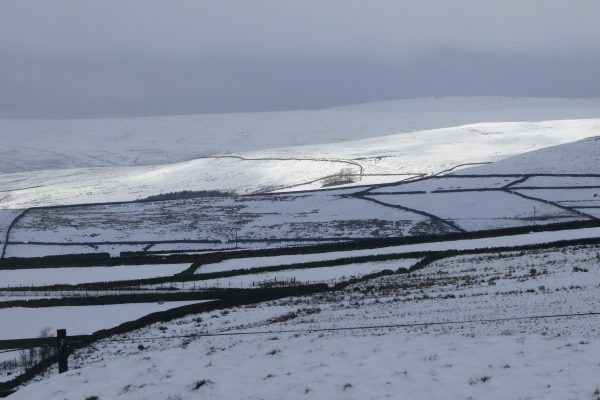 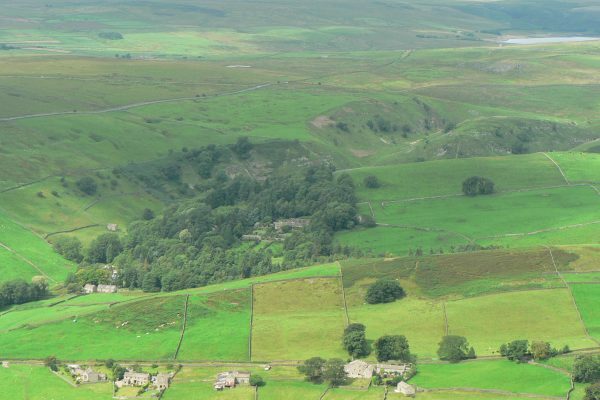 The broad valley of Wensleydale runs parallel with Swaledale a few miles to the south. 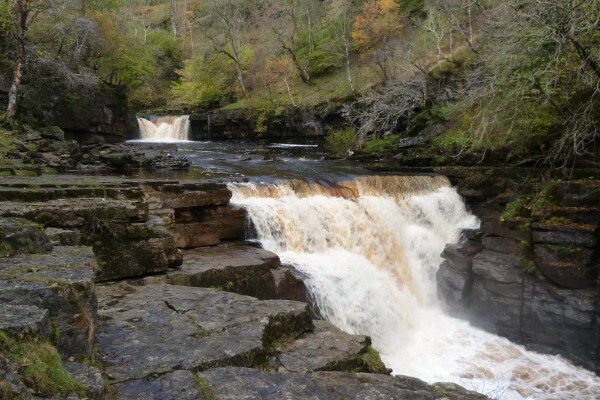 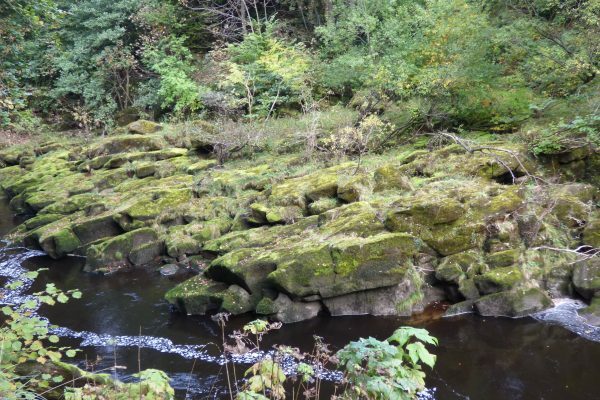 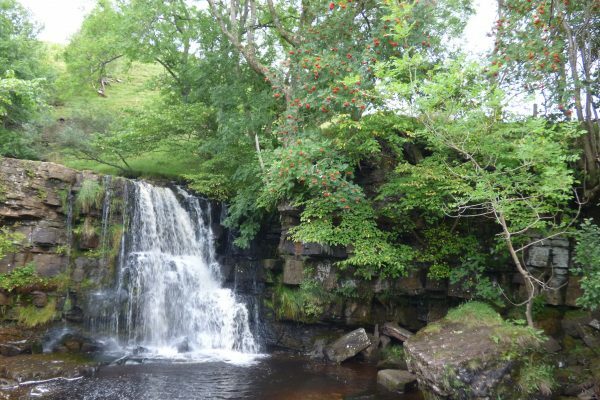 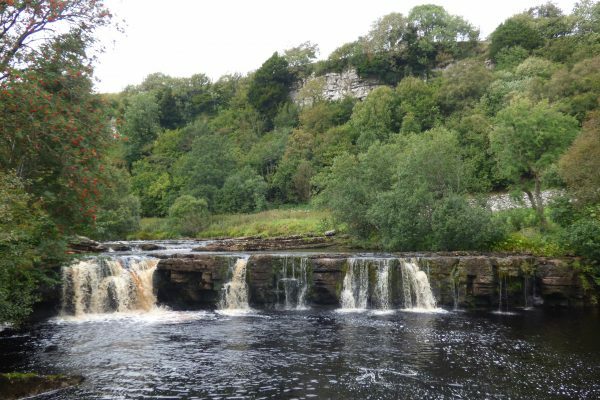 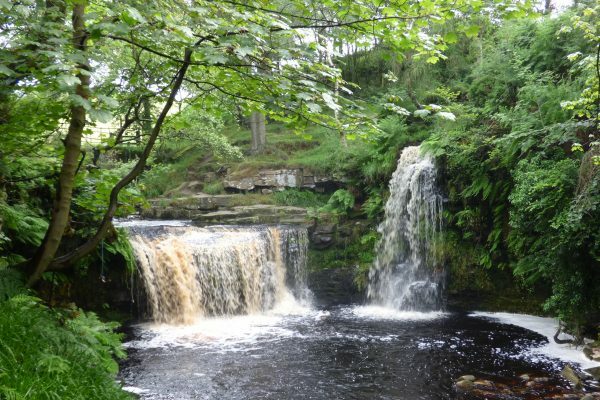 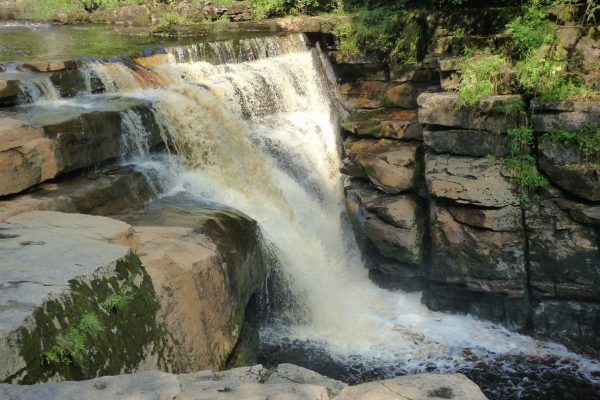 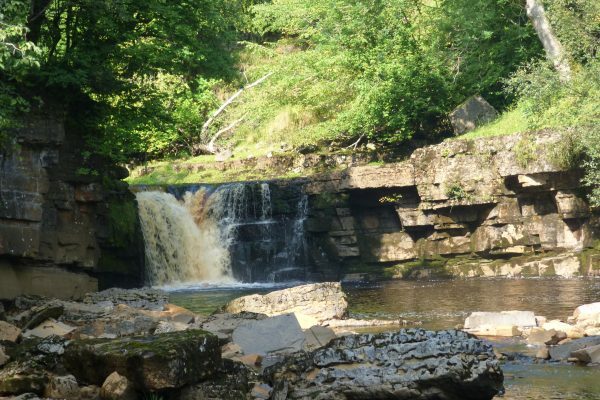 Famous for its waterfalls at Aysgarth and Hardraw Force, the River Ure runs through it and there are rocky limestone outcrops such as those at Simonstone above Hawes. 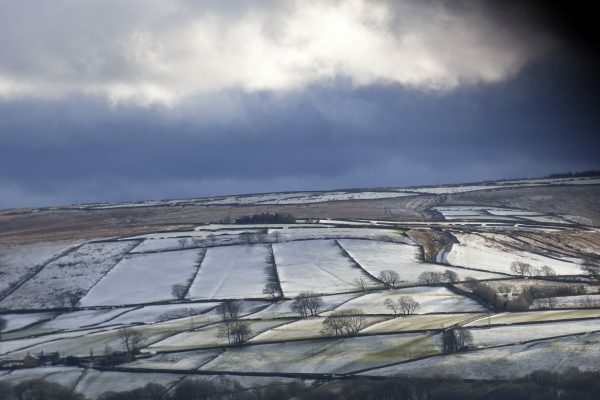 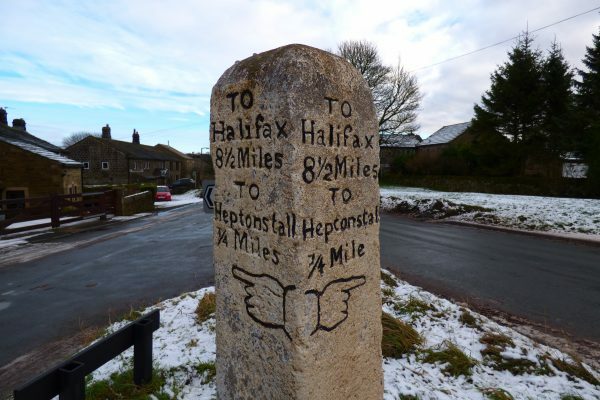 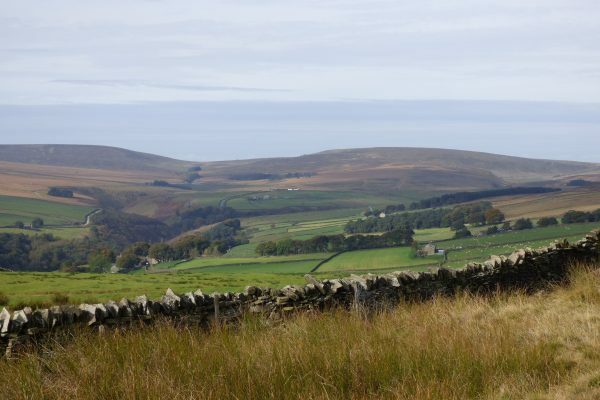 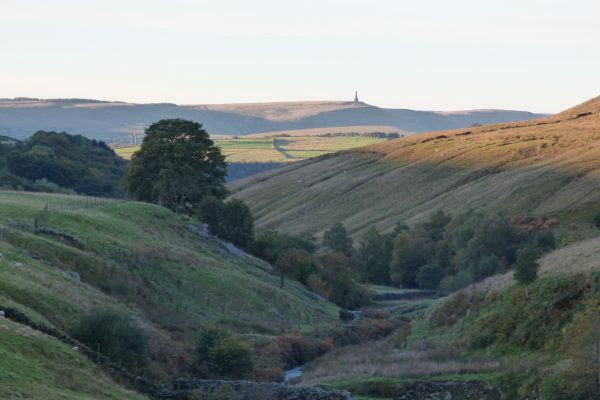 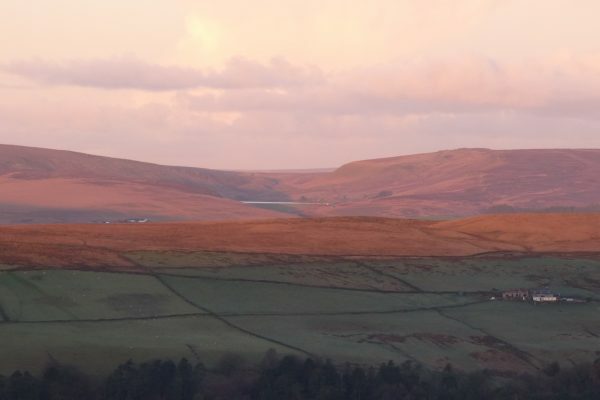 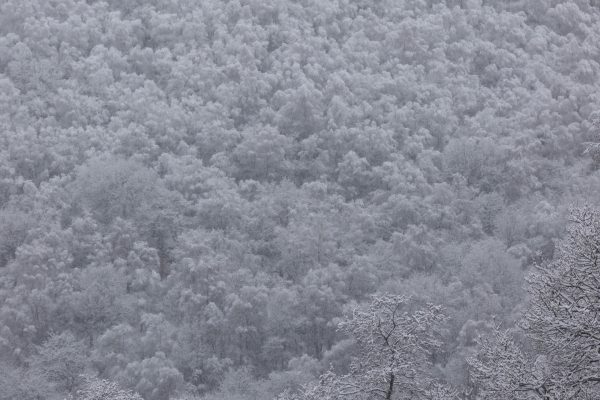 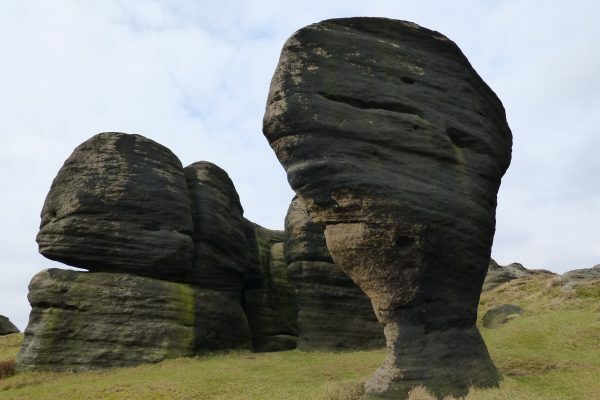 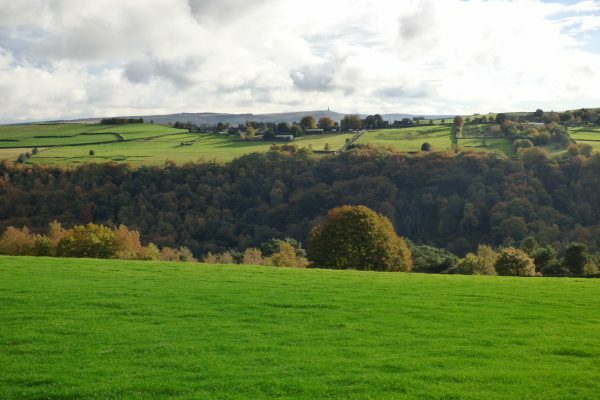 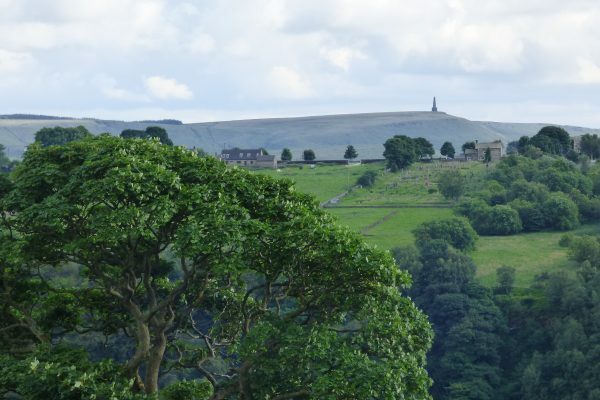 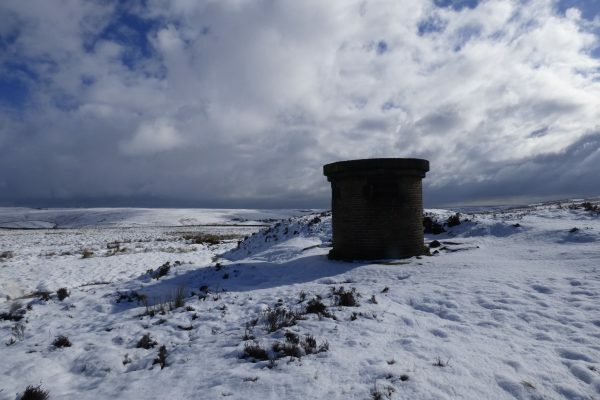 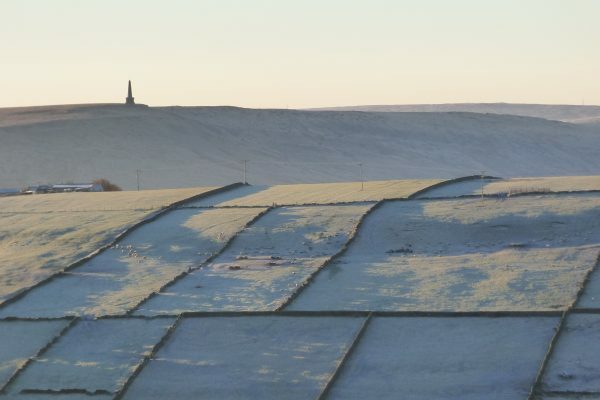 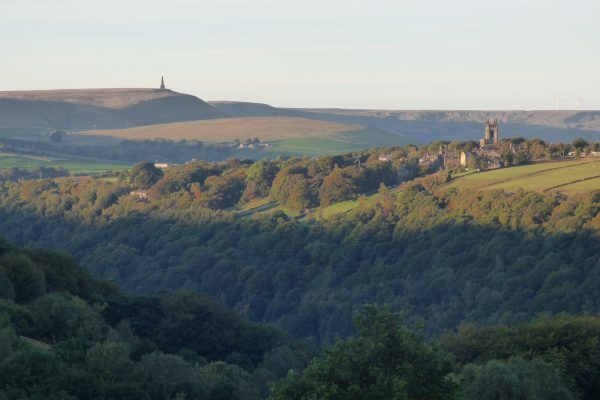 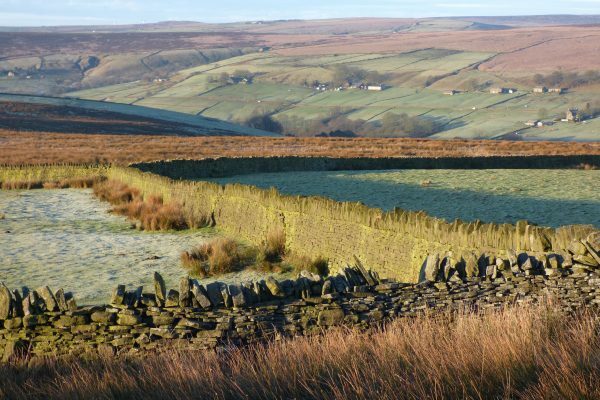 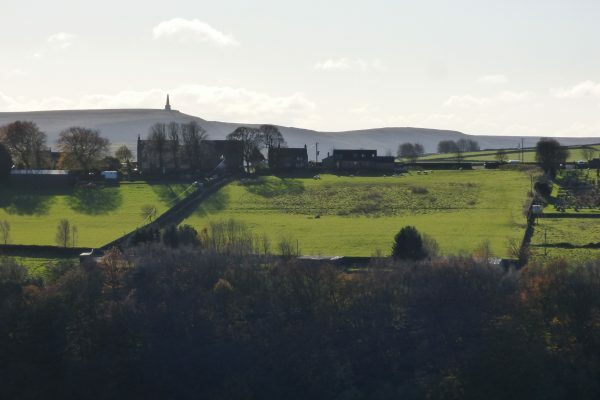 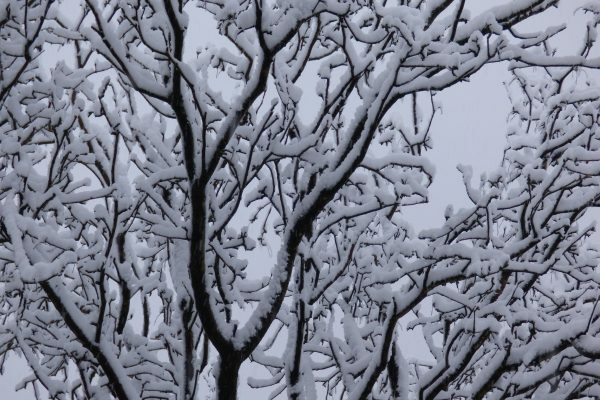 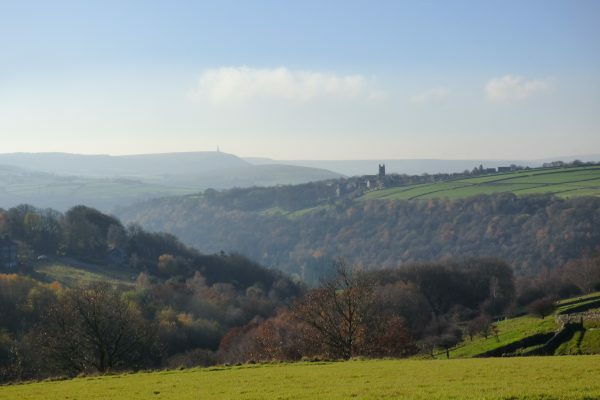 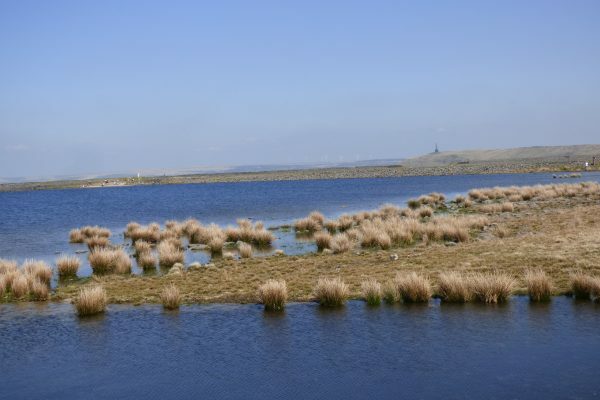 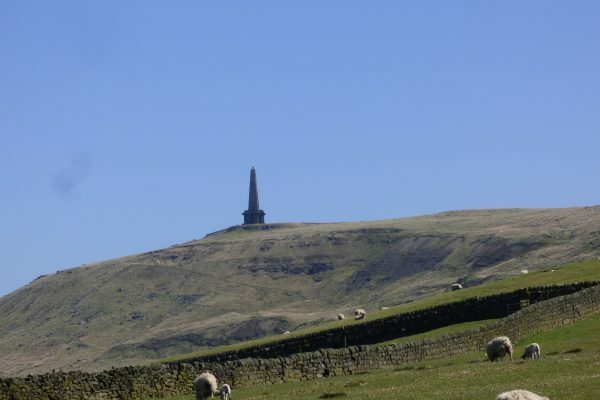 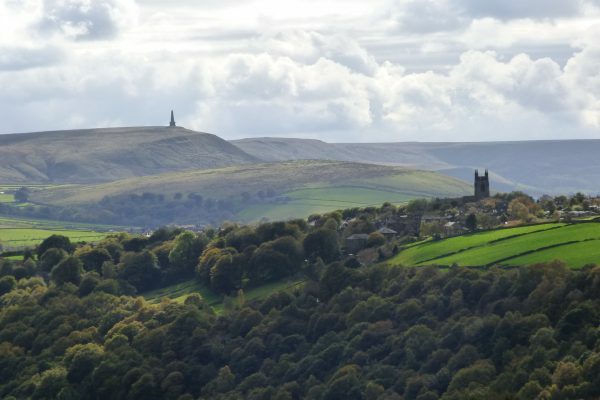 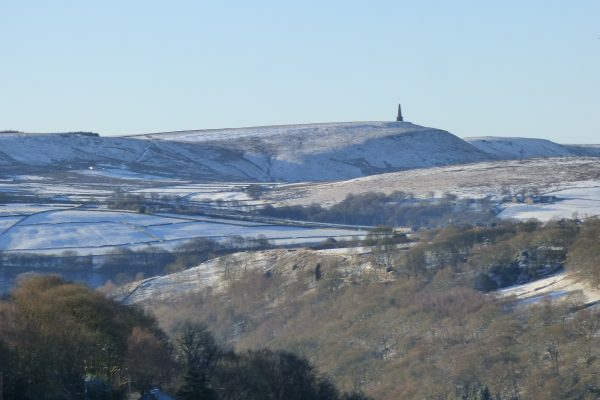 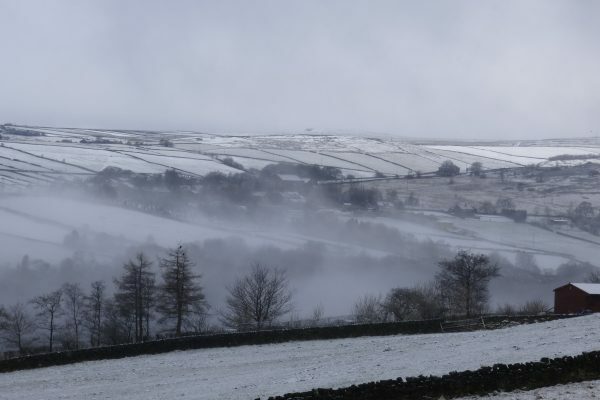 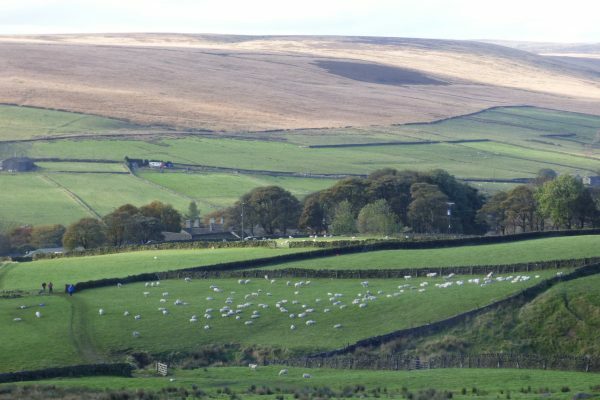 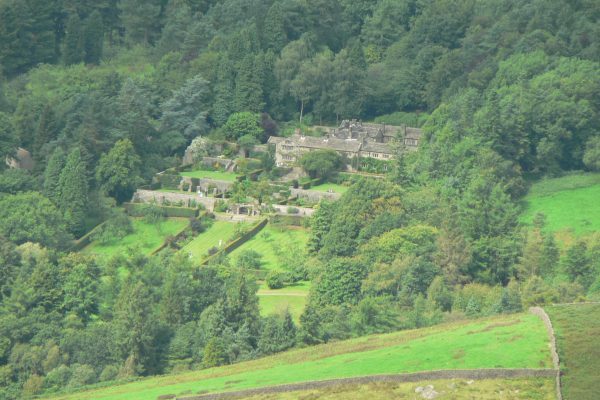 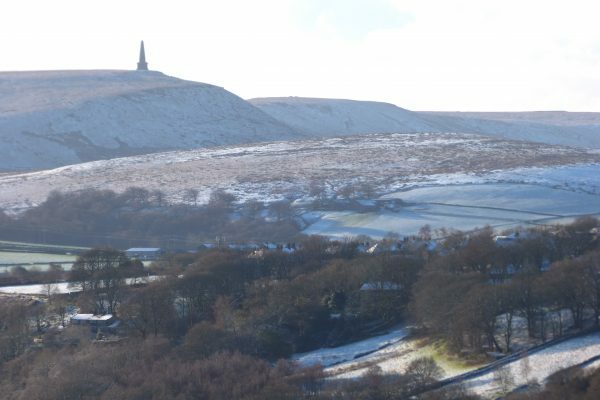 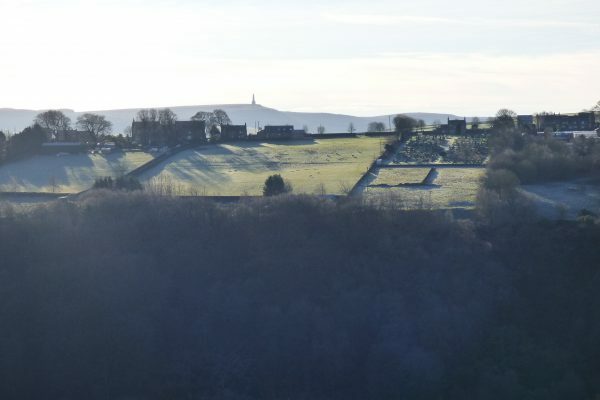 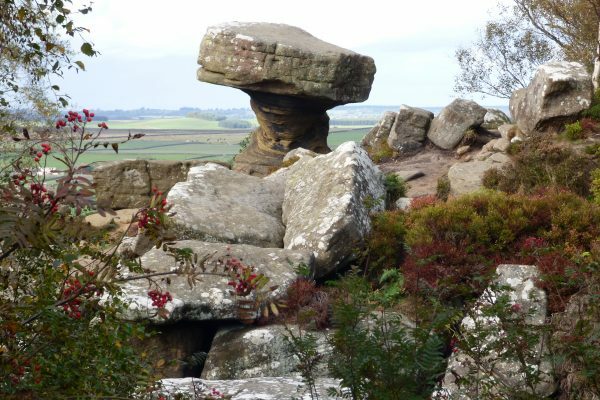 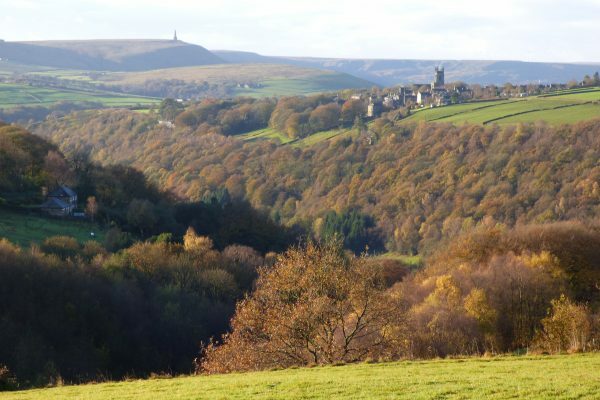 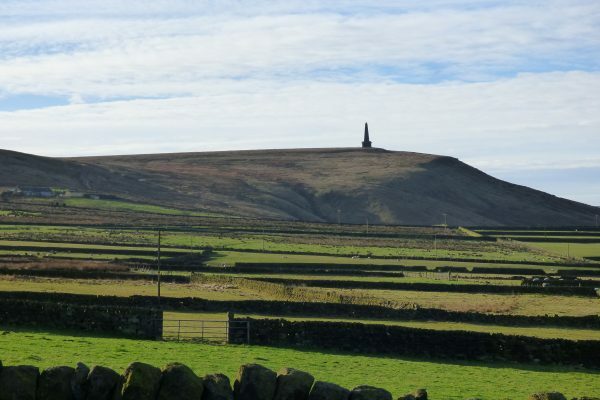 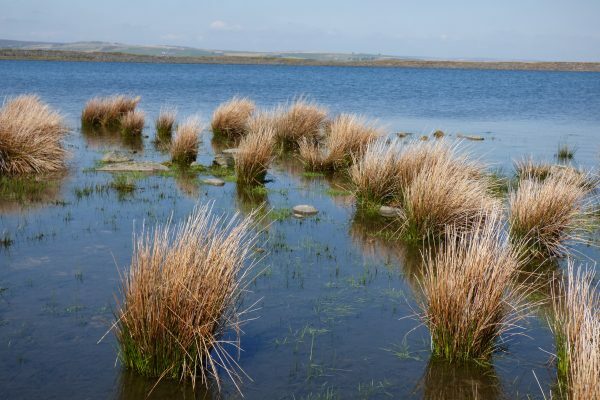 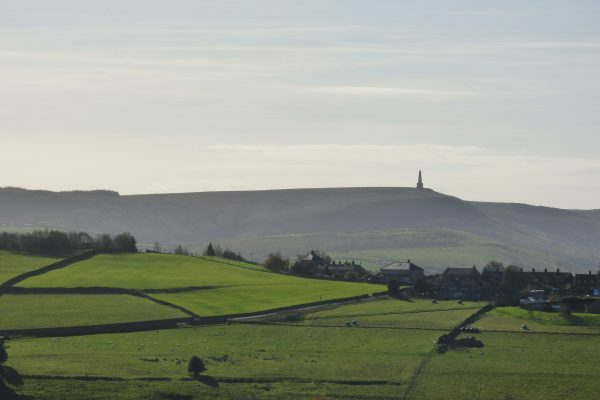 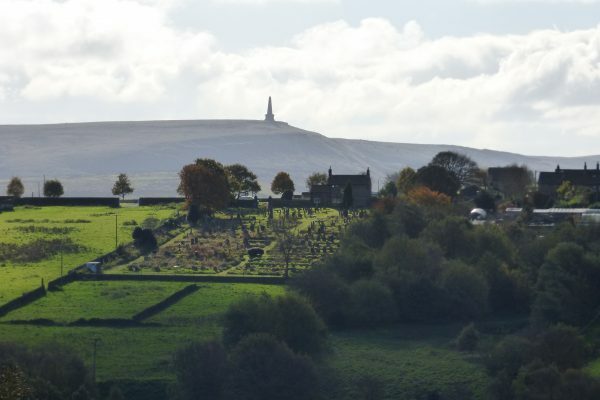 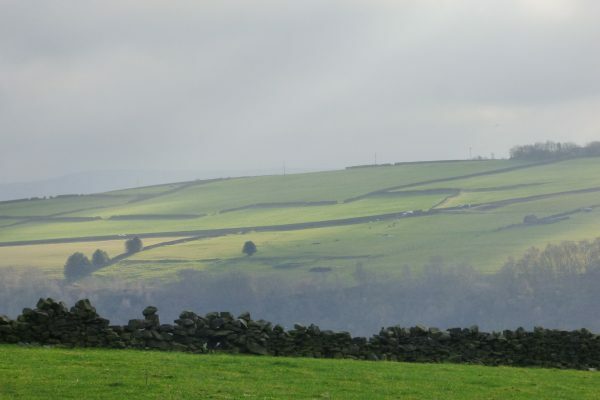 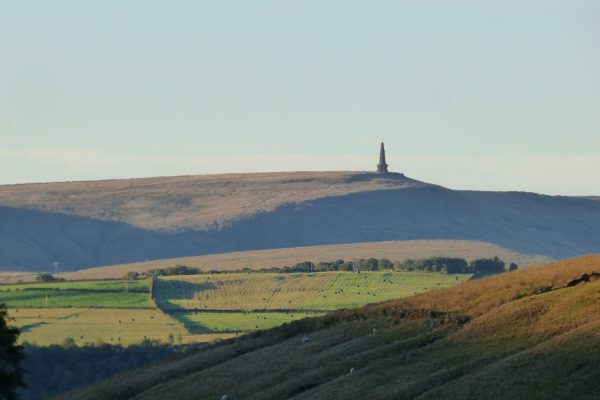 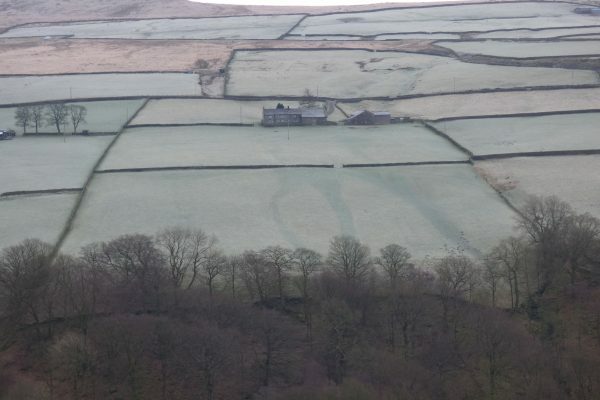 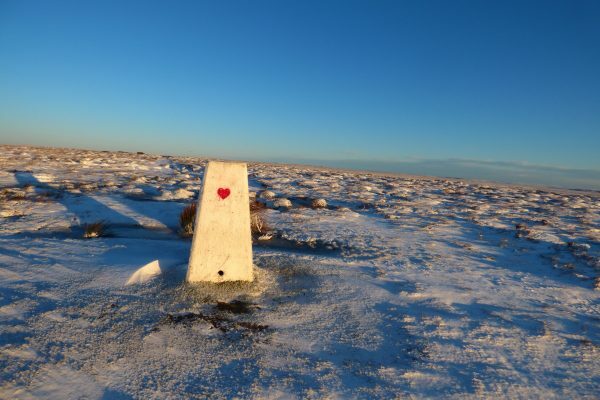 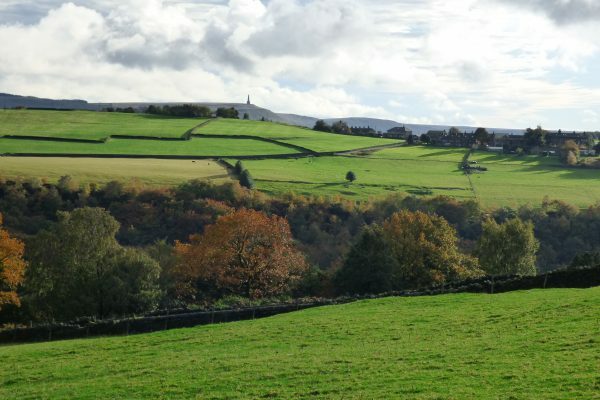 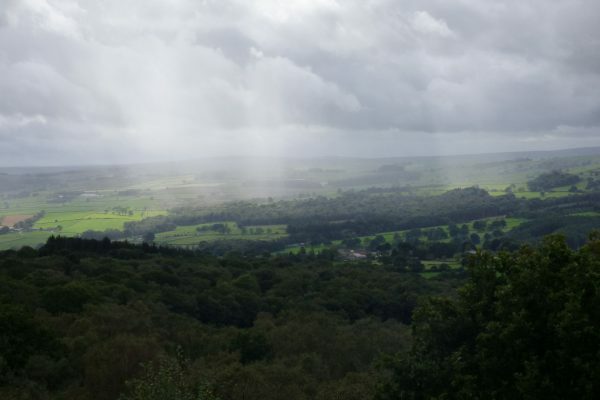 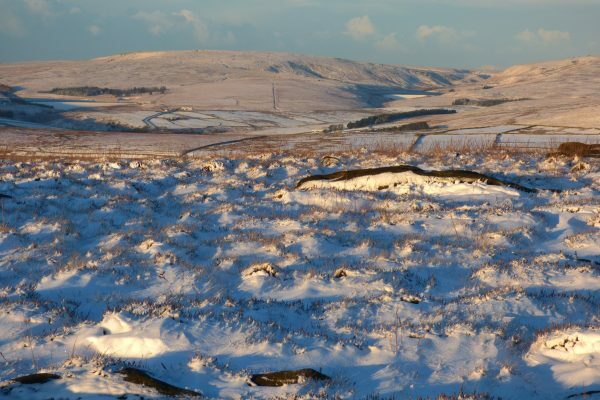 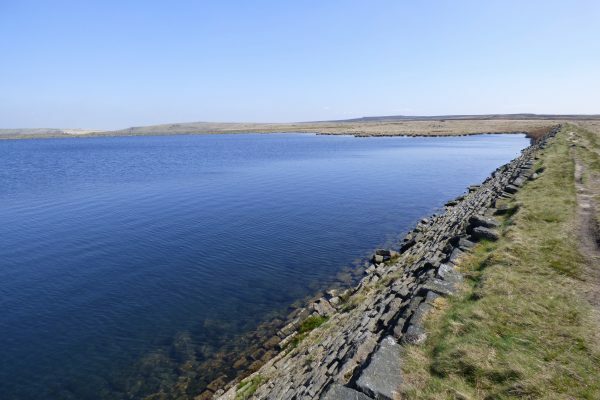 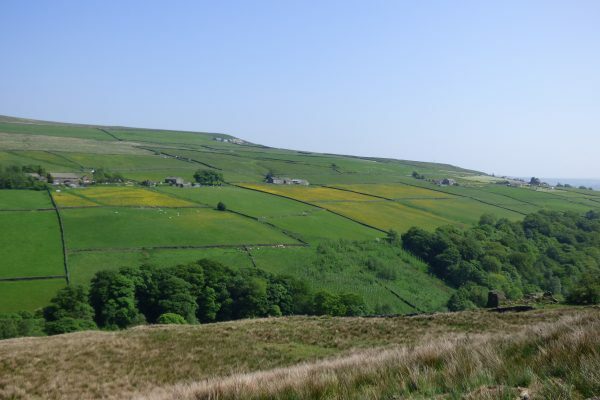 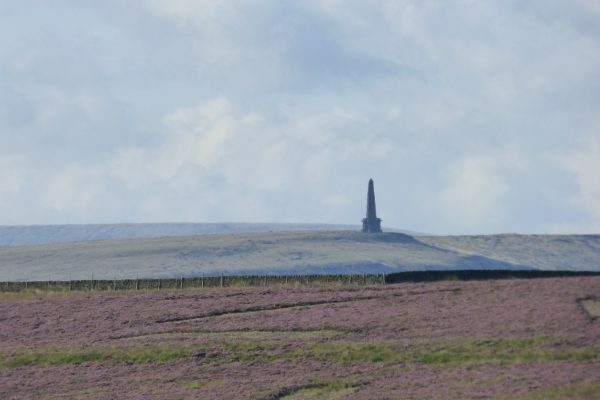 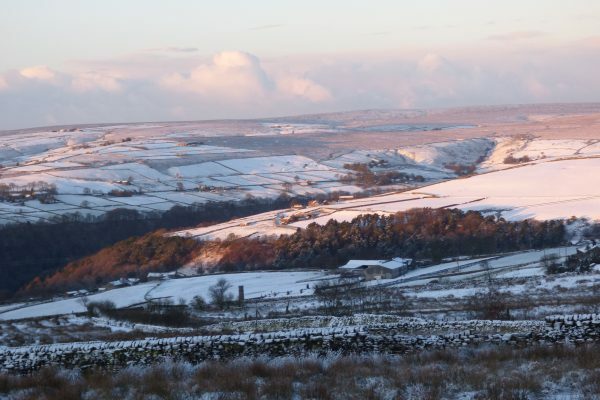 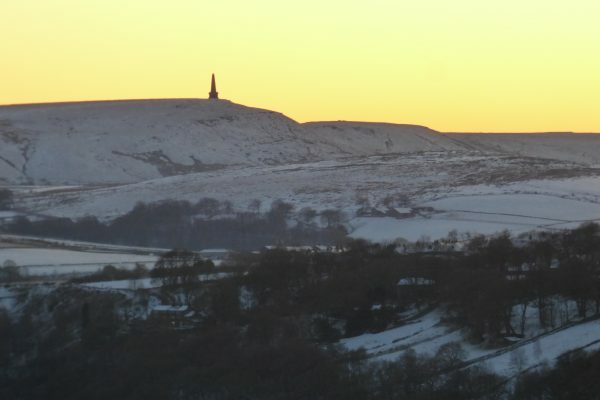 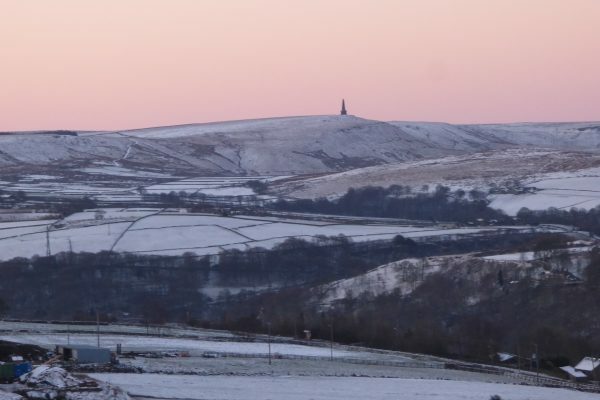 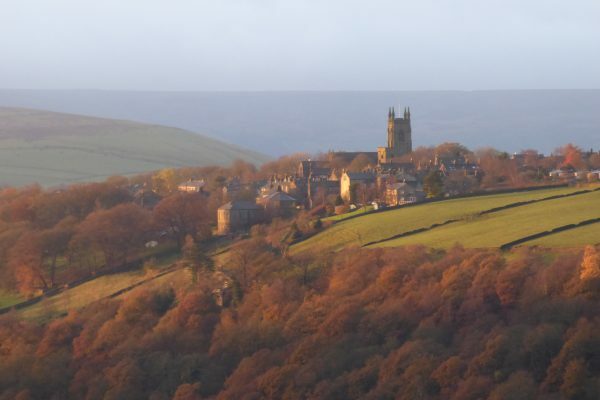 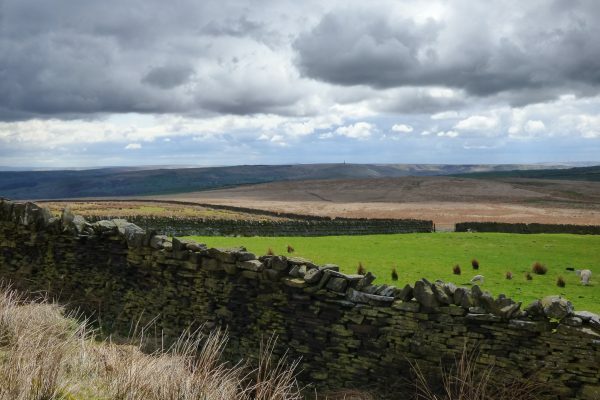 Calderdale – the southernmost of Yorkshire’s Dales – is a unique landscape with infinite variety in the Heart of the Pennines. 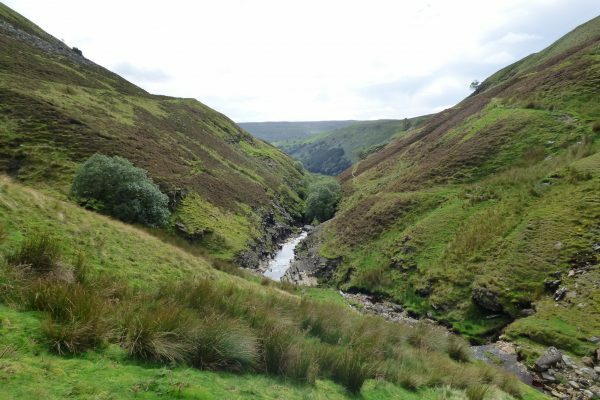 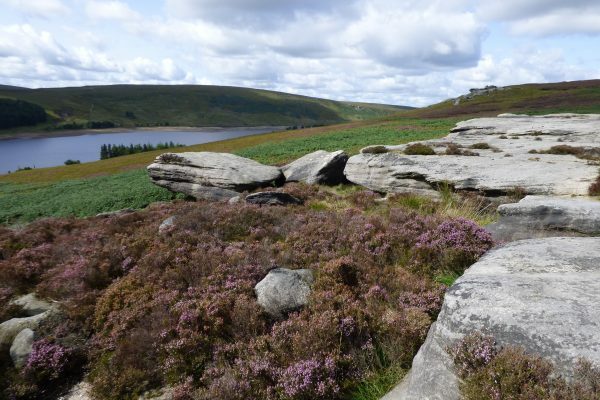 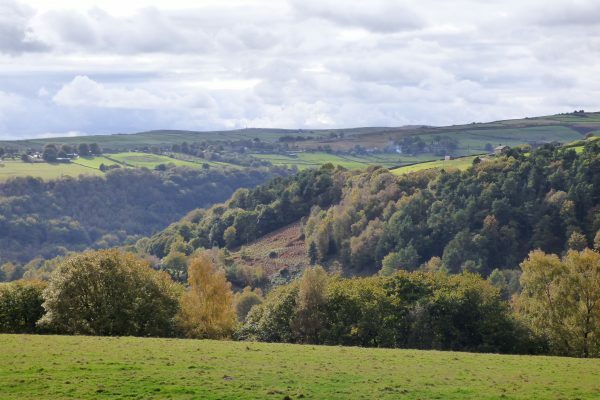 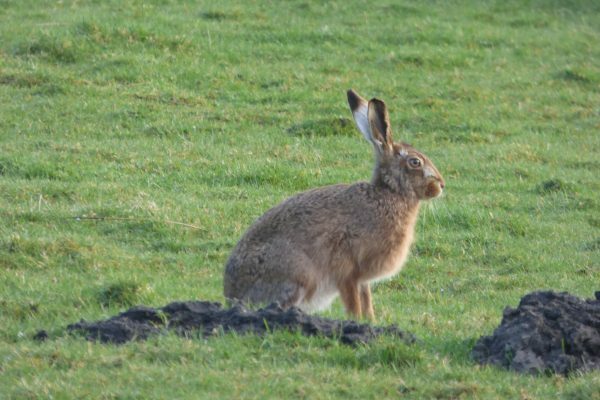 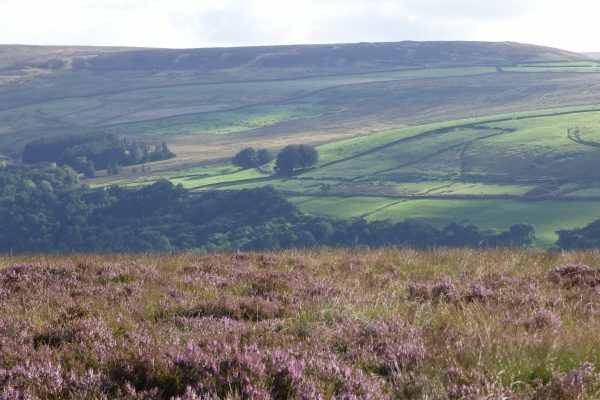 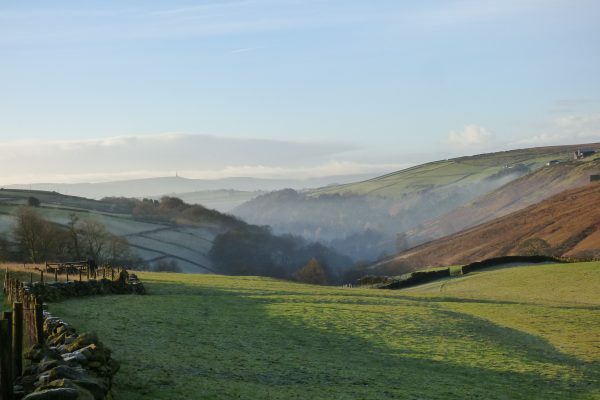 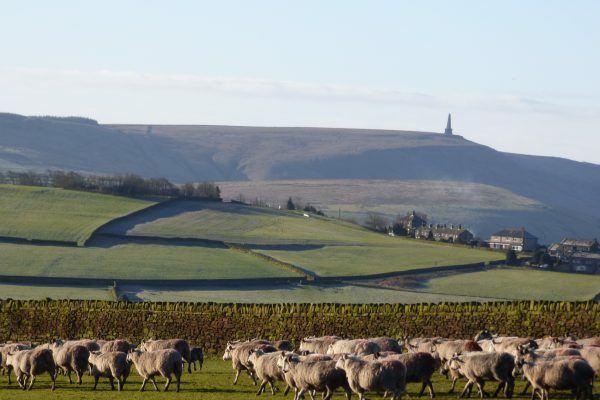 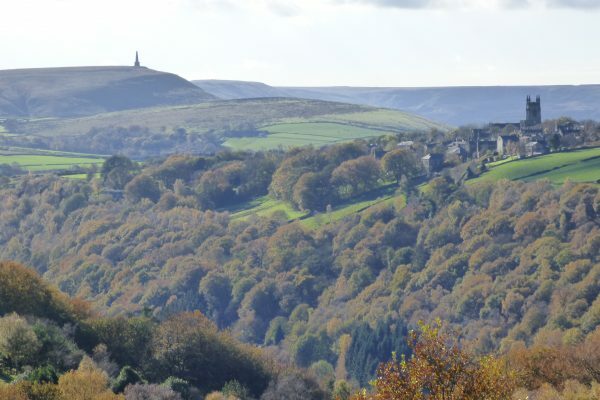 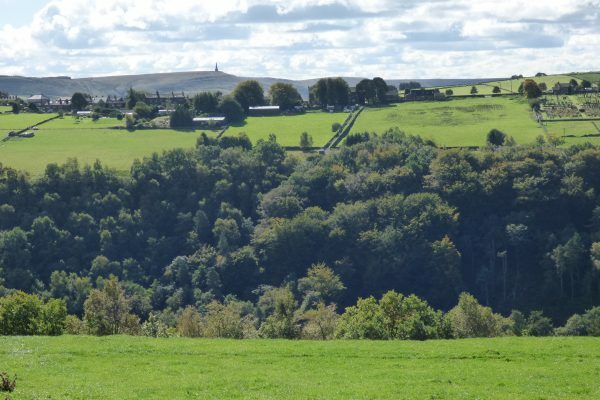 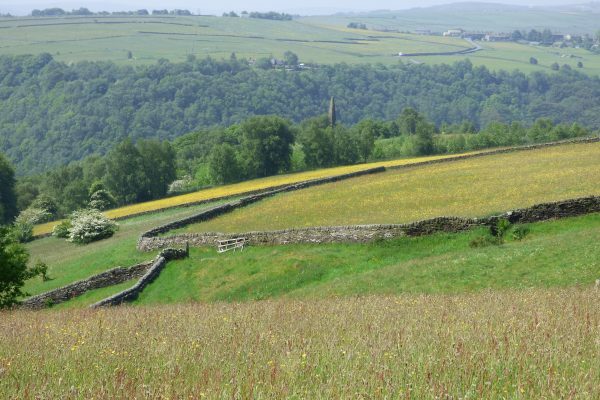 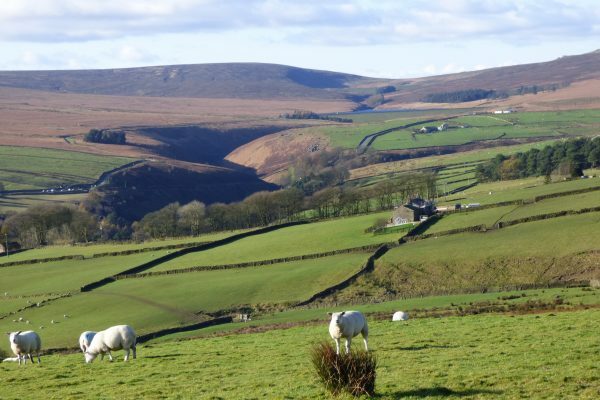 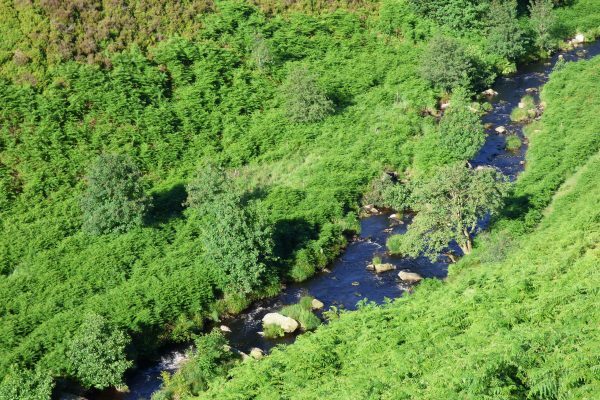 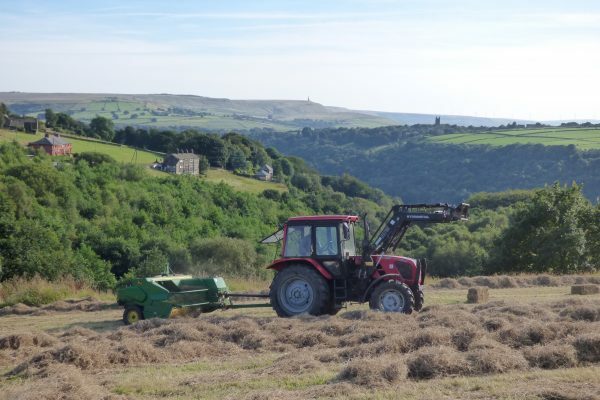 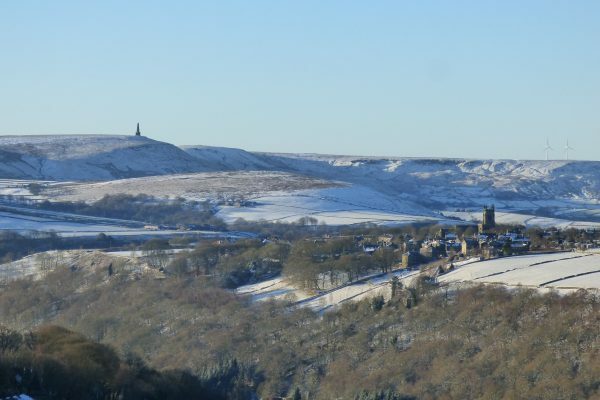 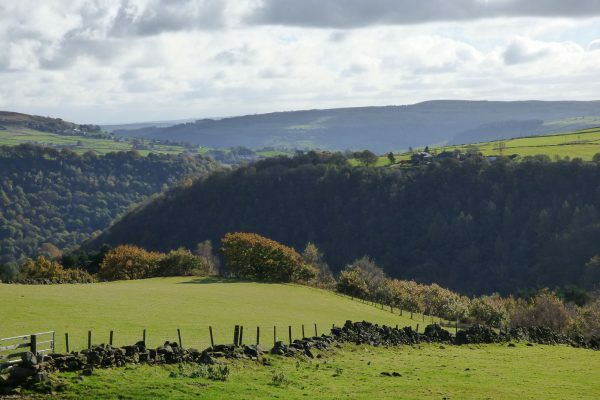 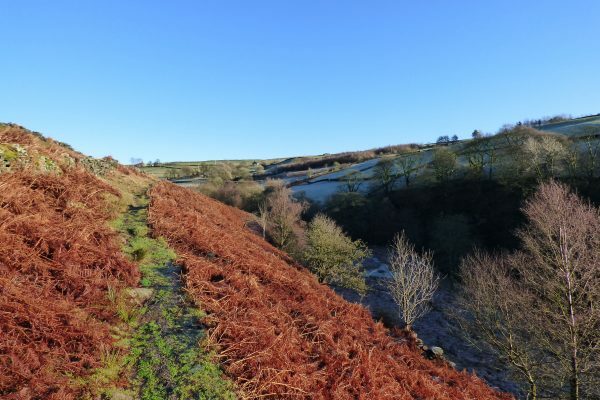 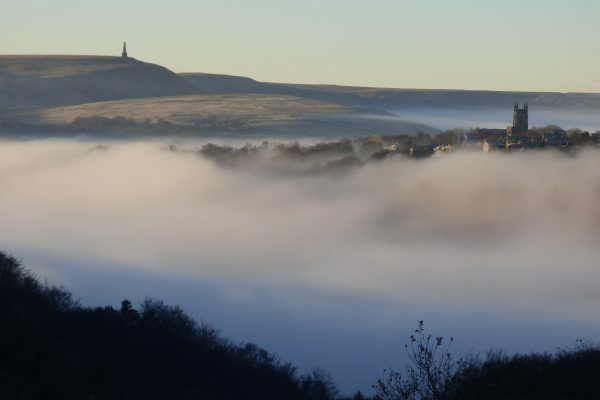 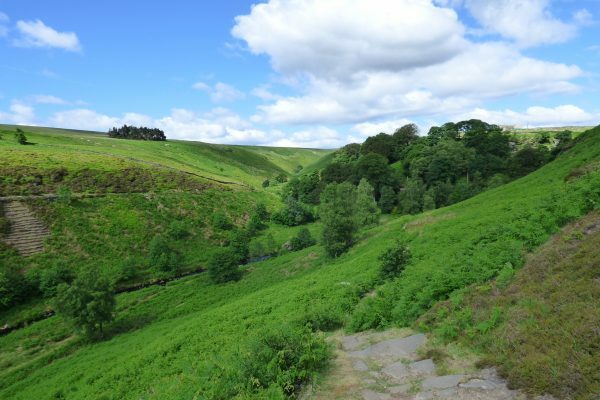 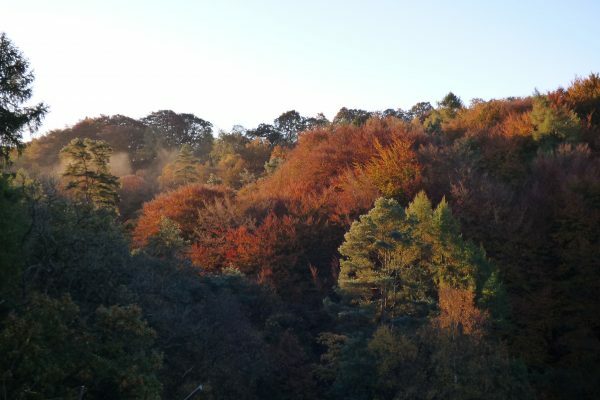 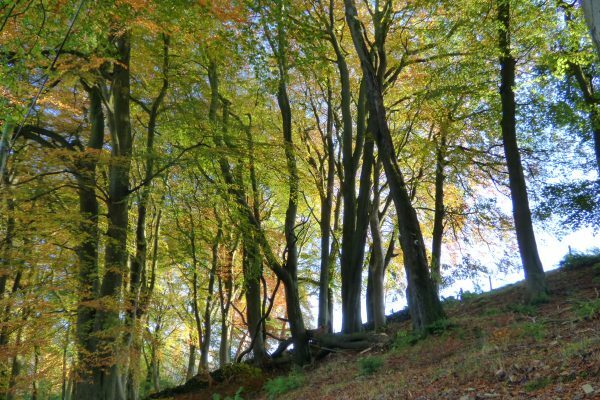 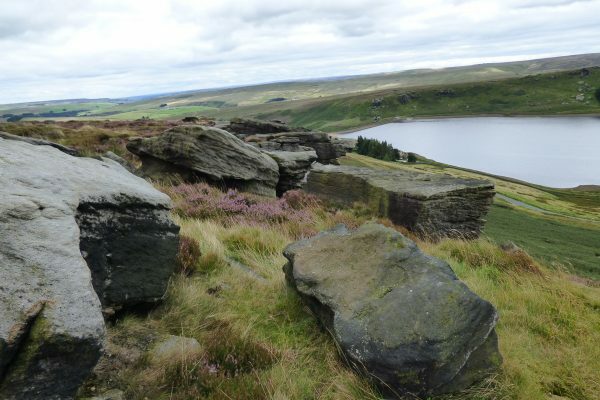 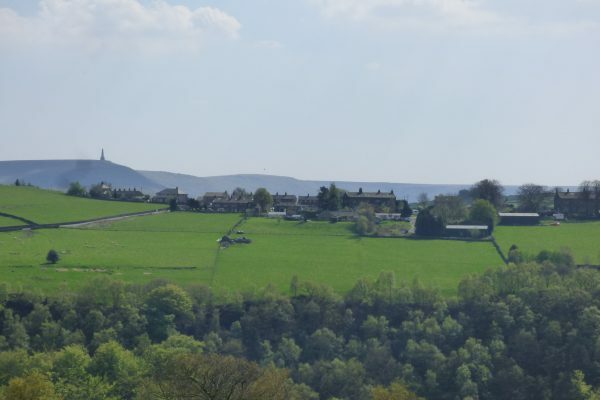 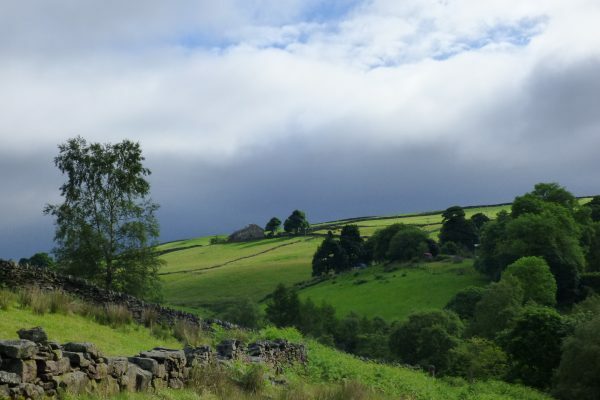 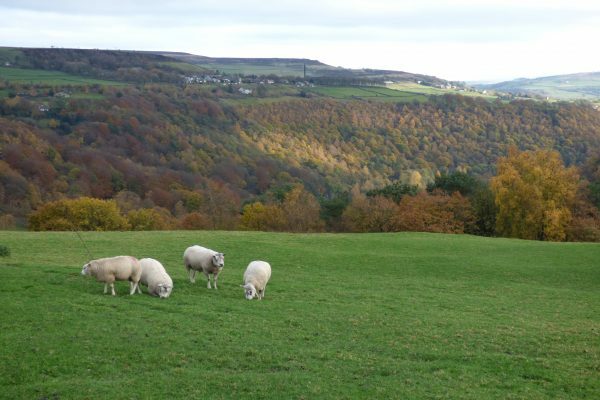 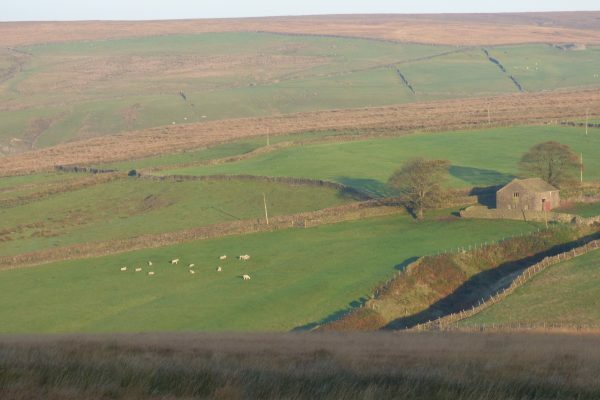 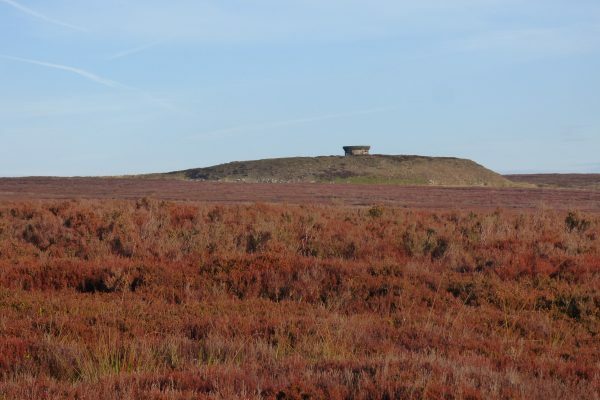 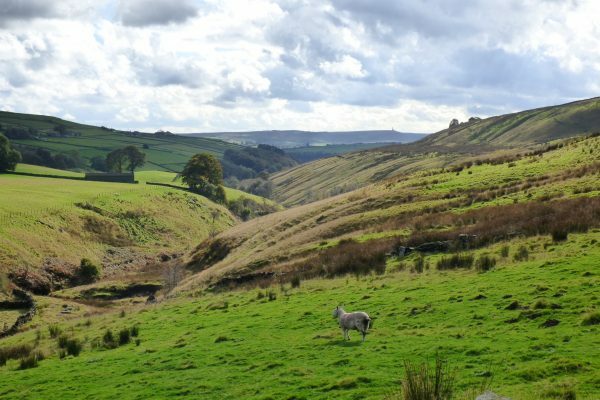 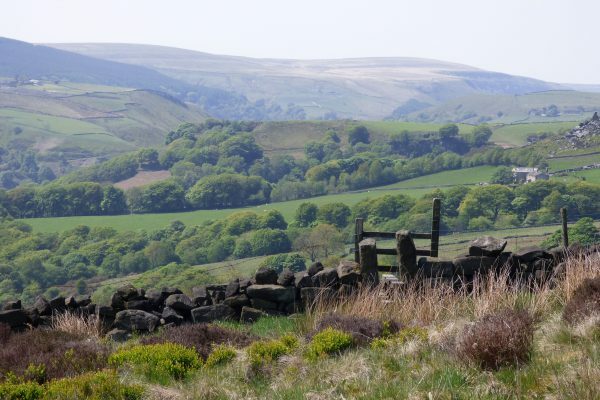 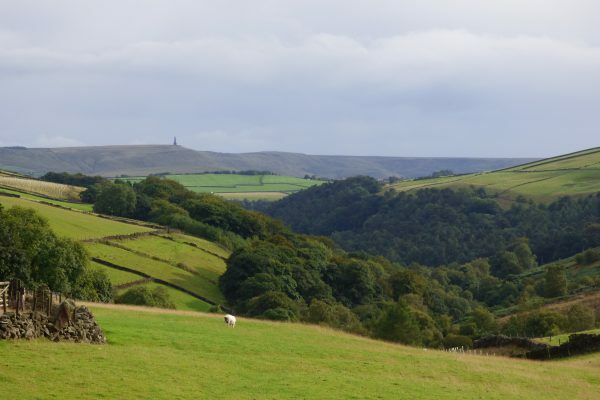 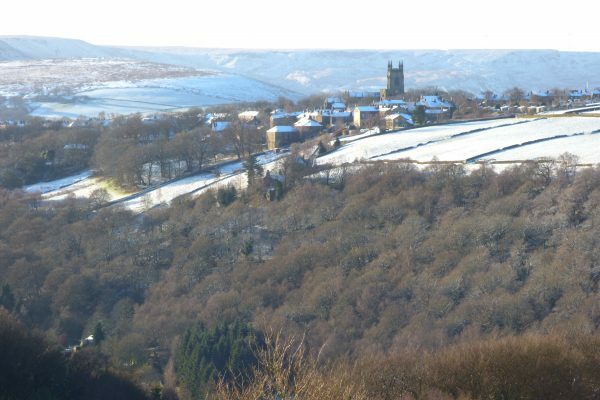 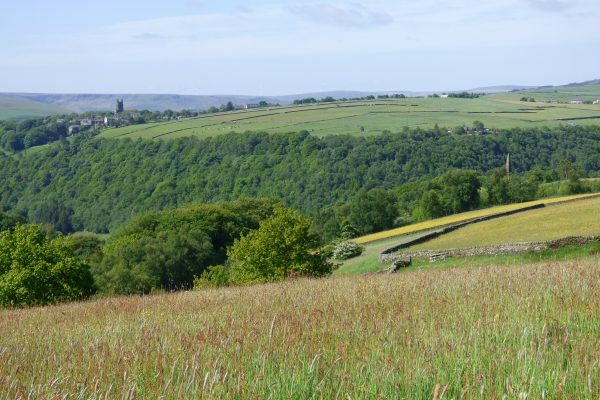 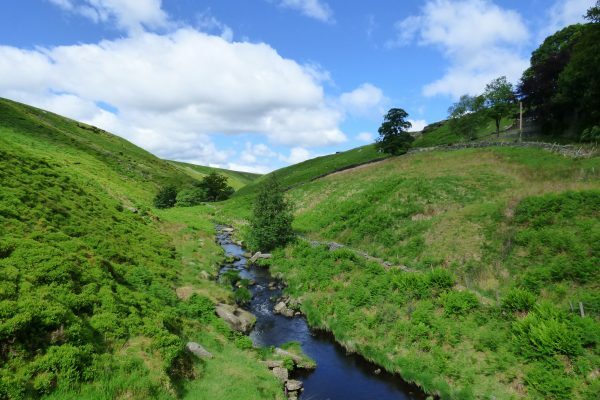 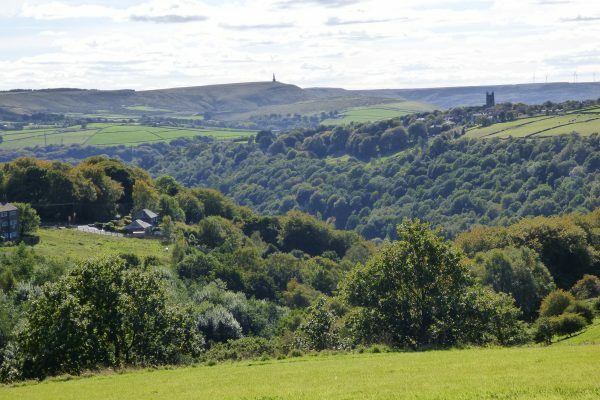 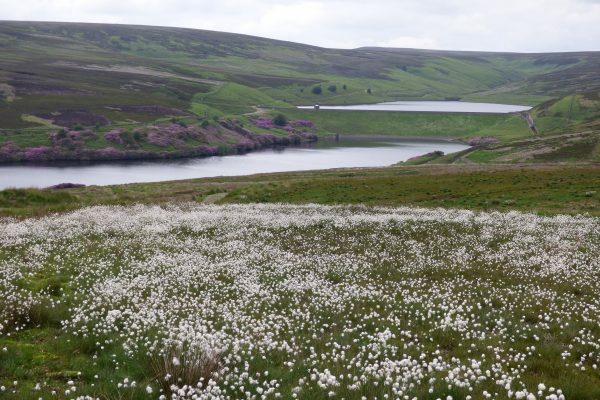 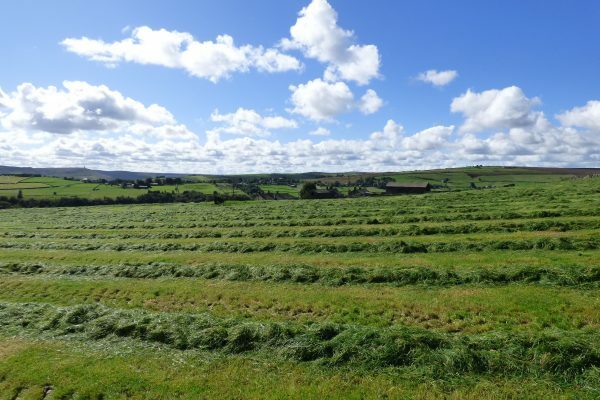 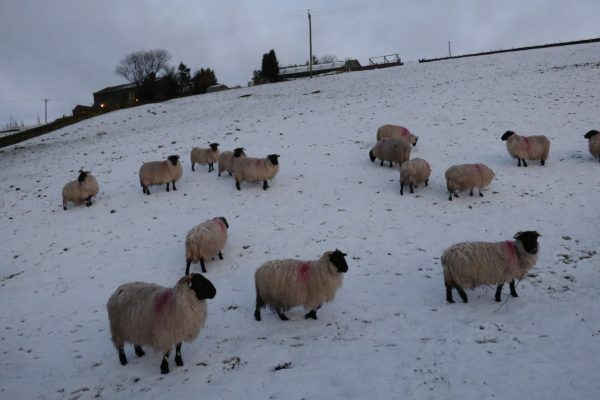 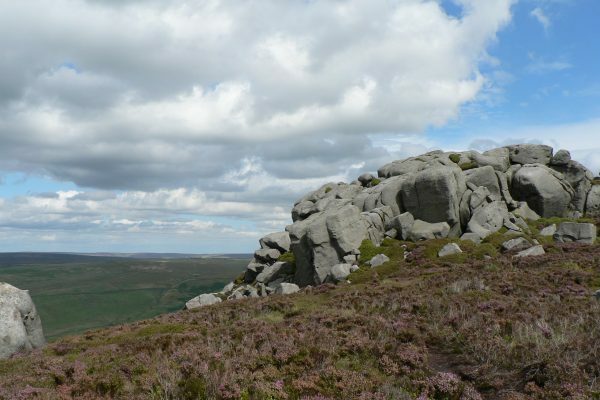 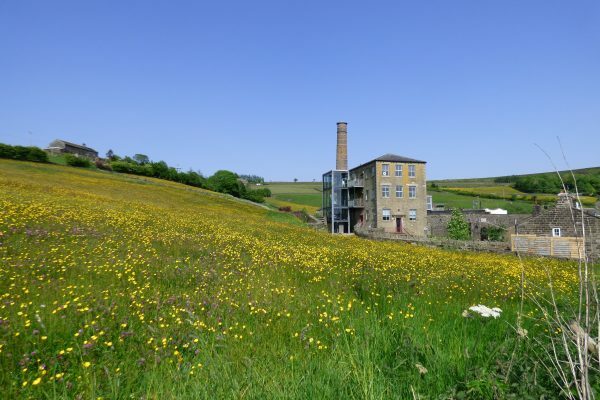 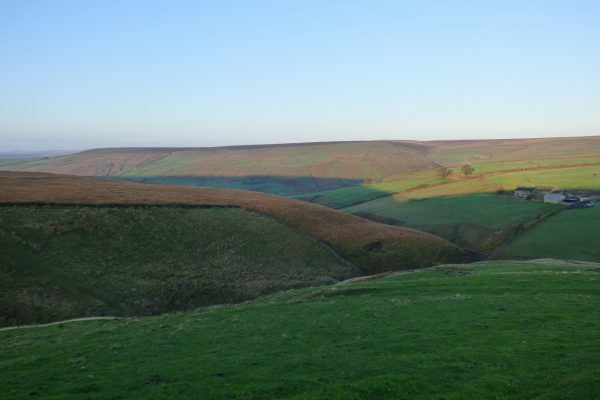 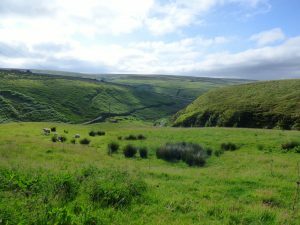 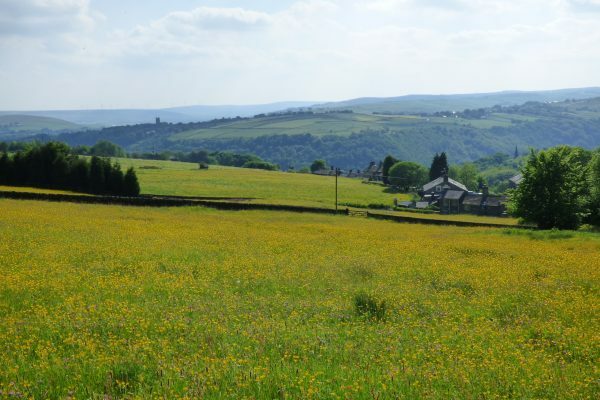 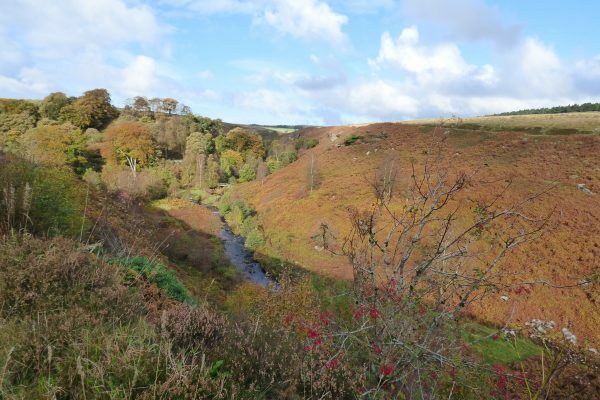 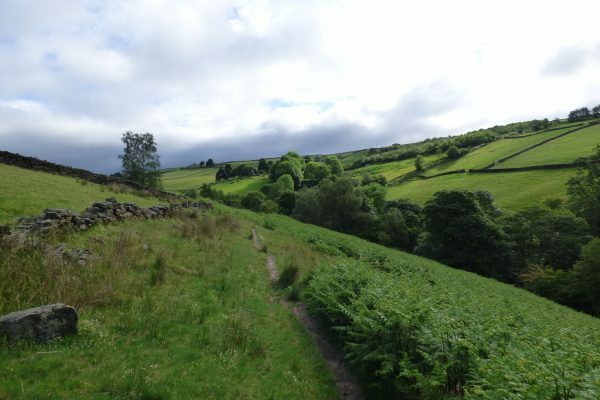 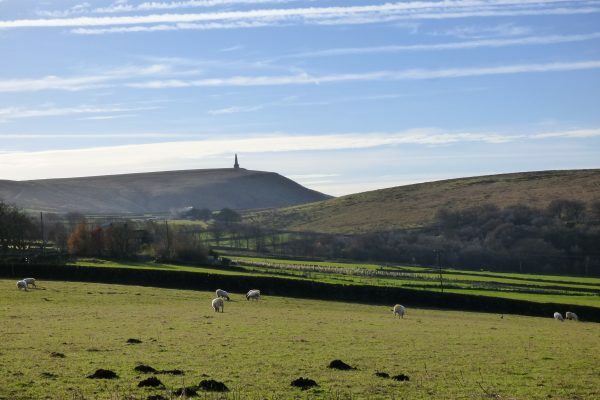 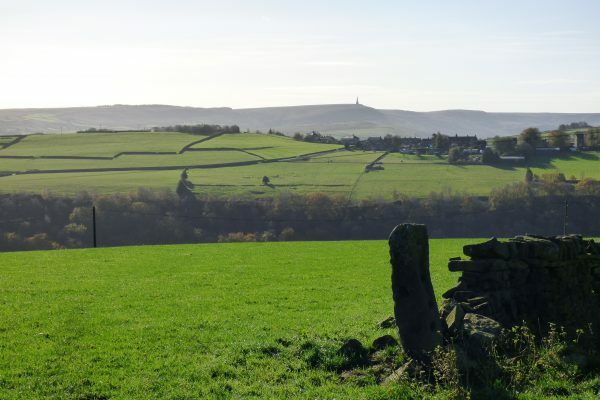 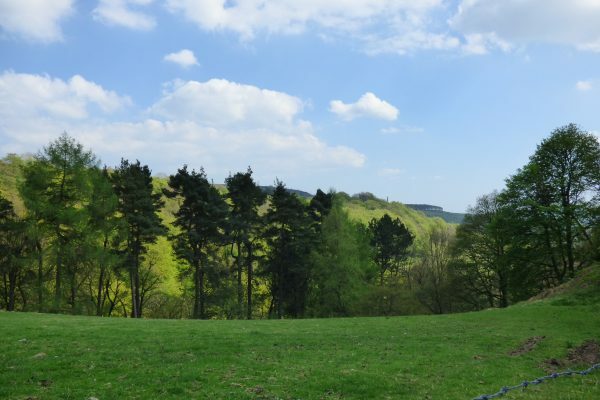 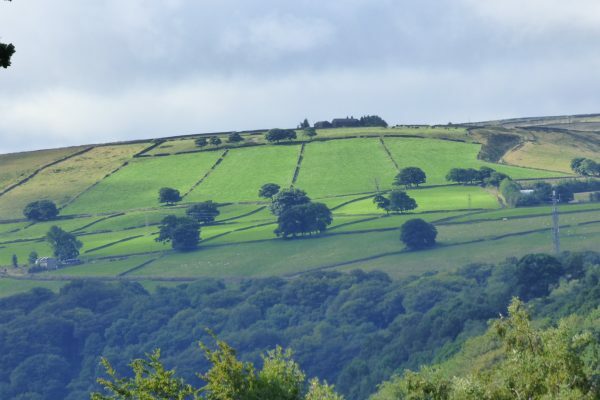 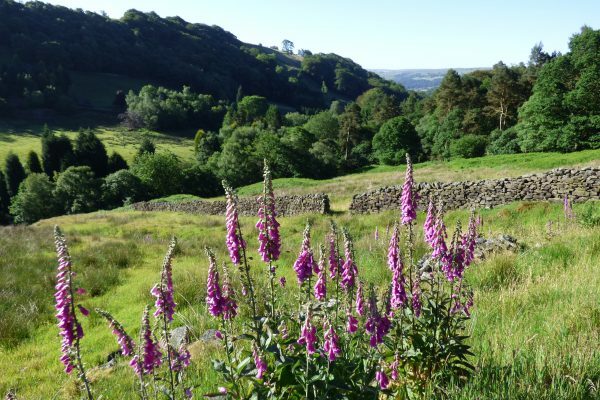 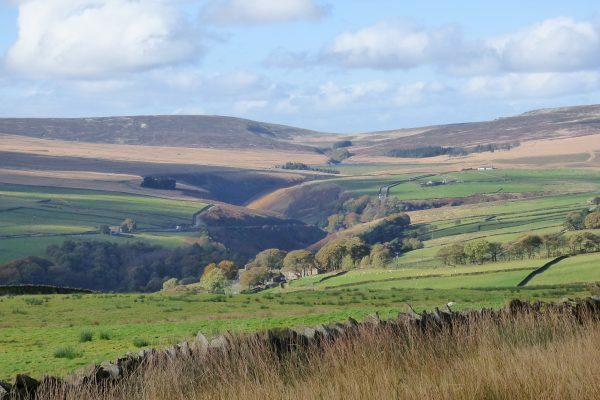 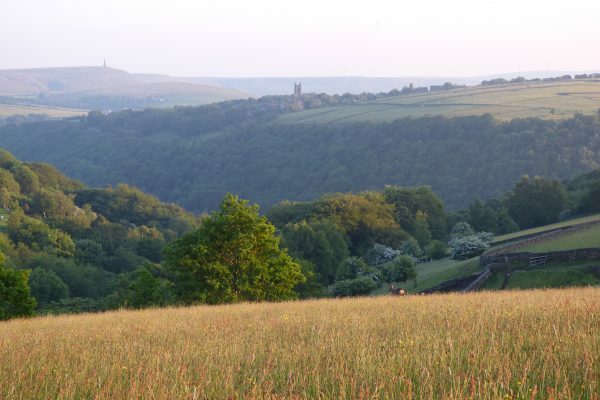 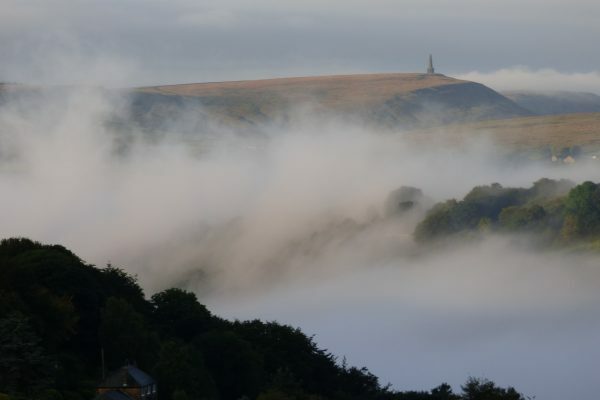 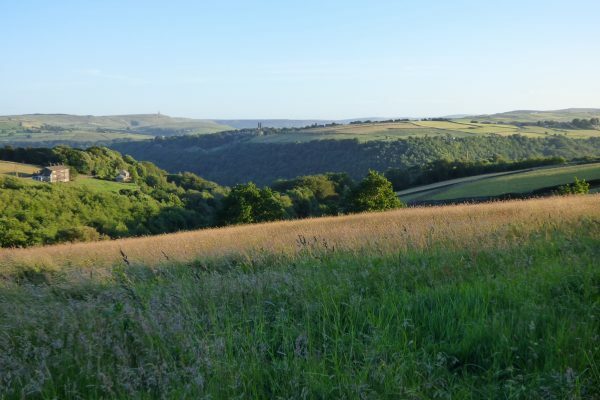 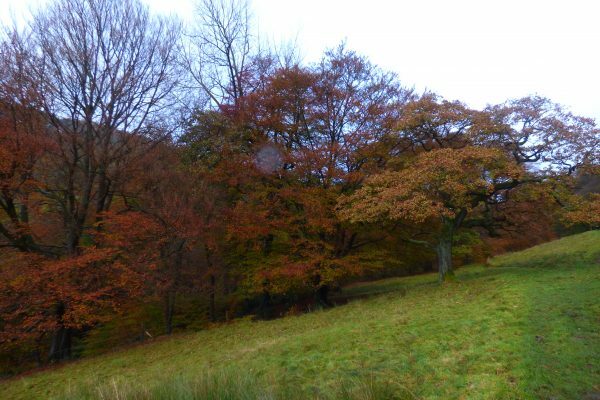 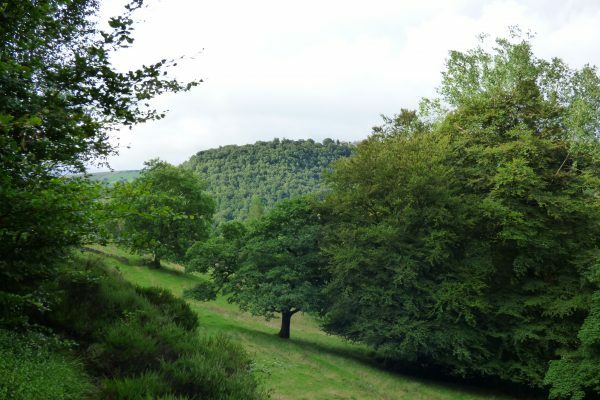 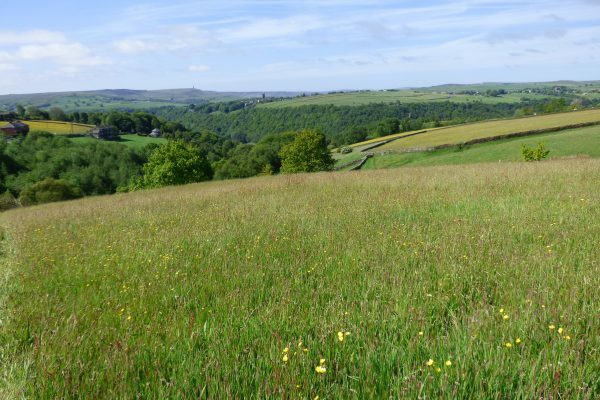 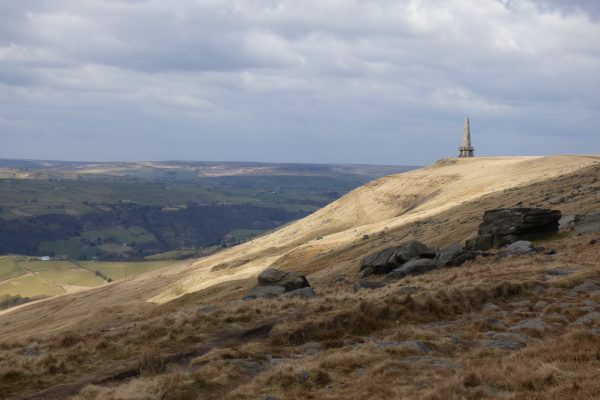 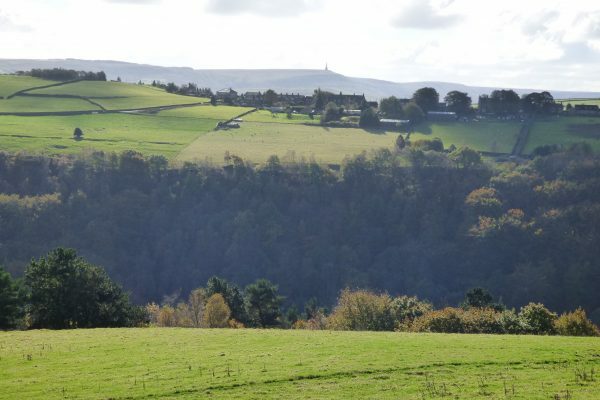 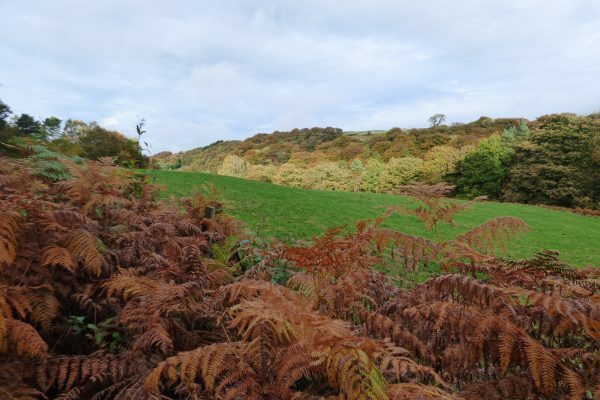 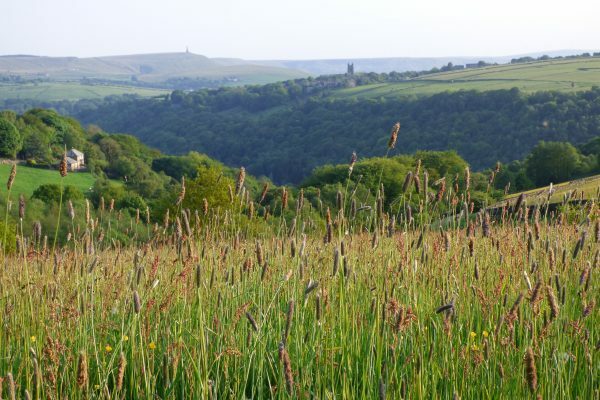 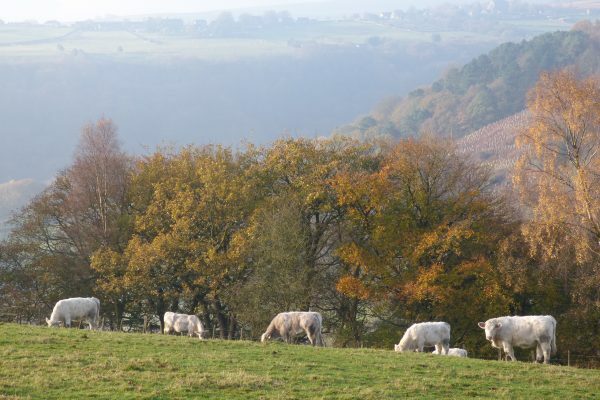 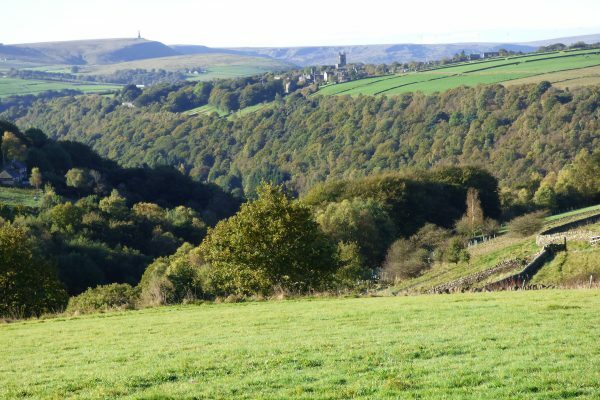 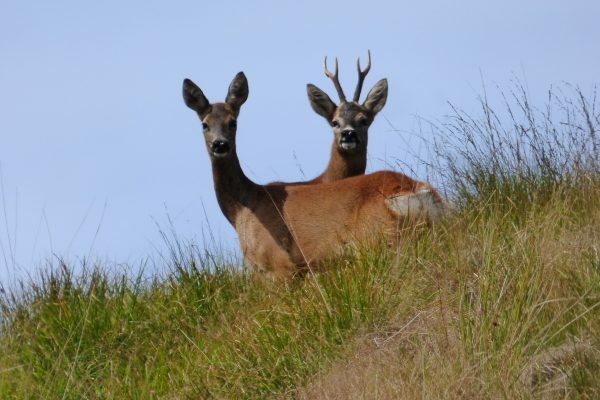 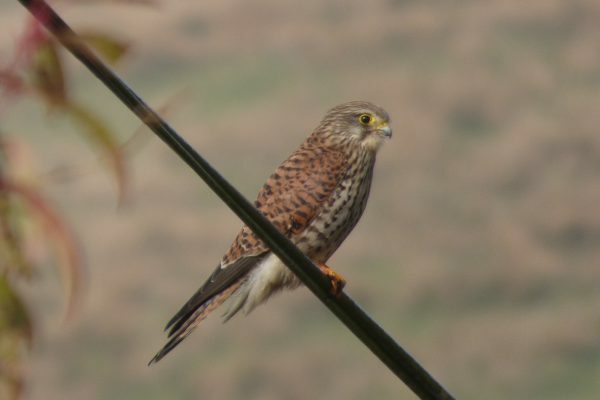 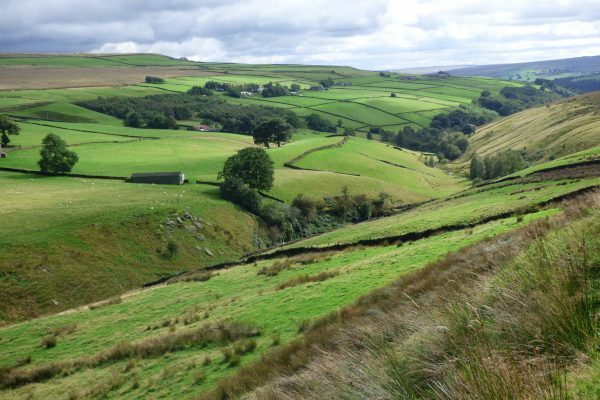 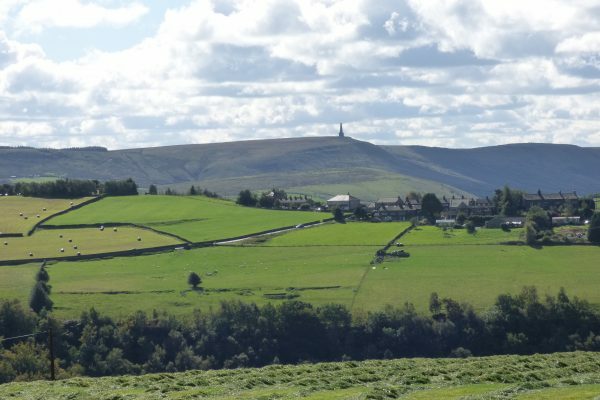 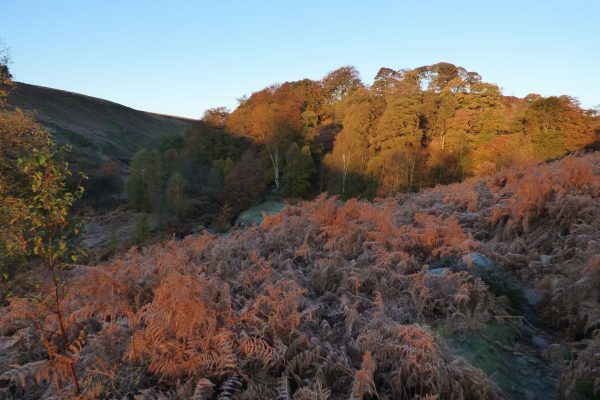 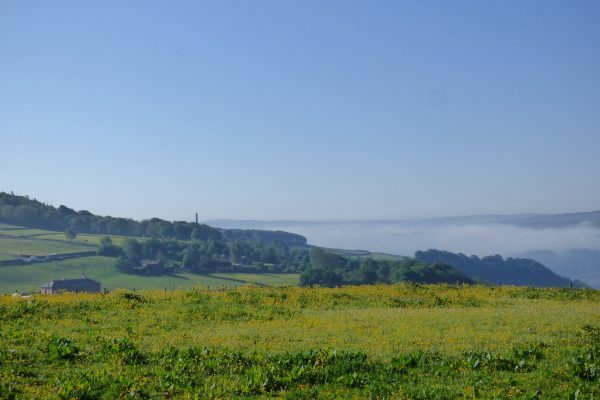 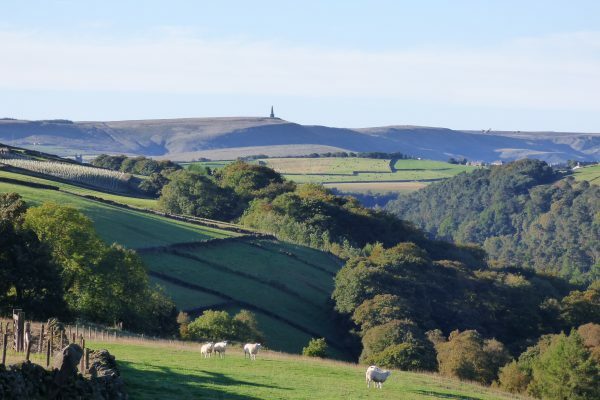 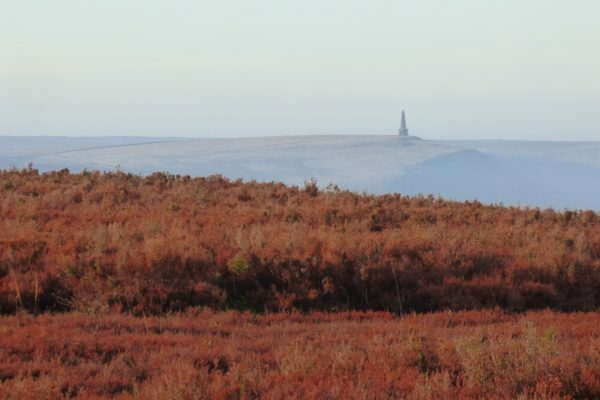 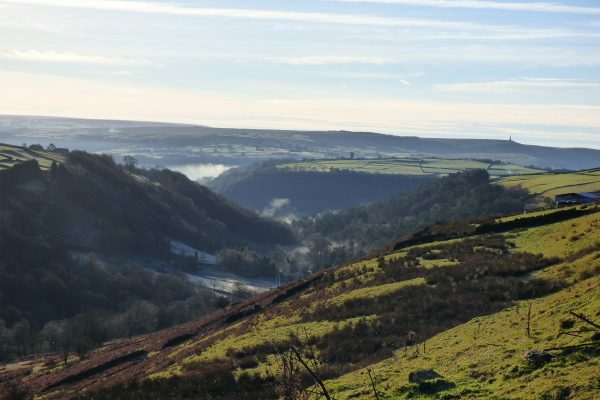 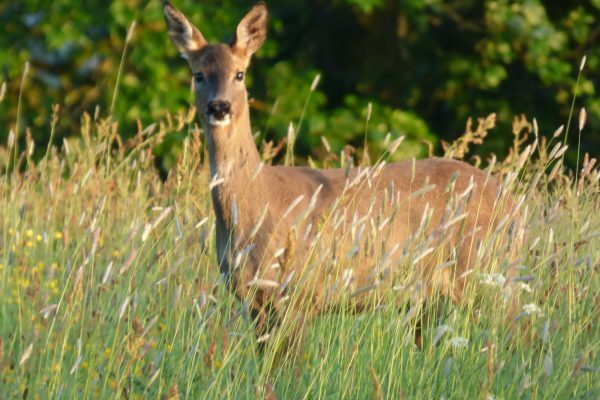 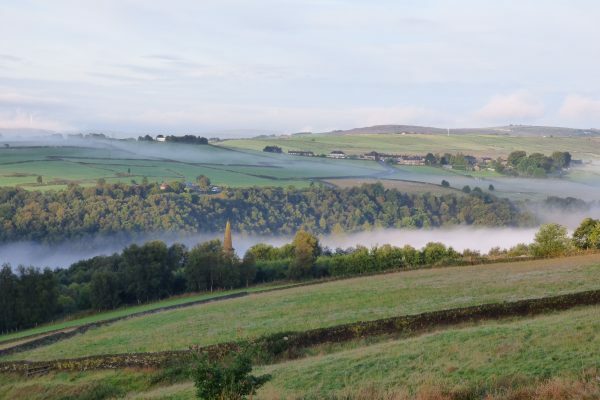 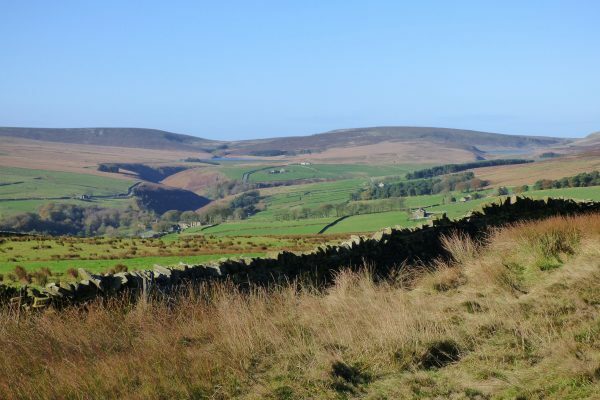 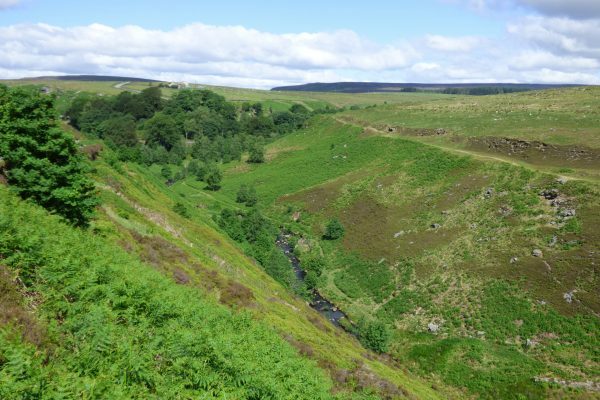 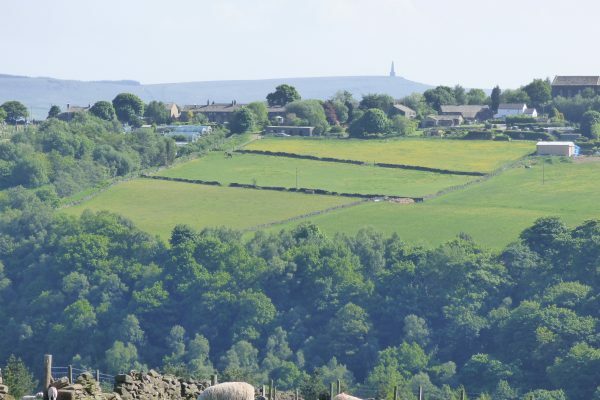 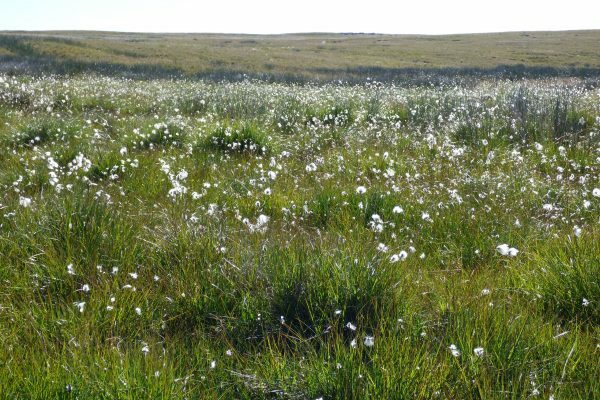 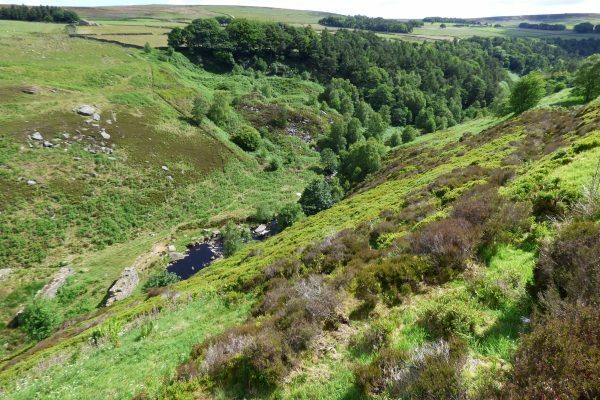 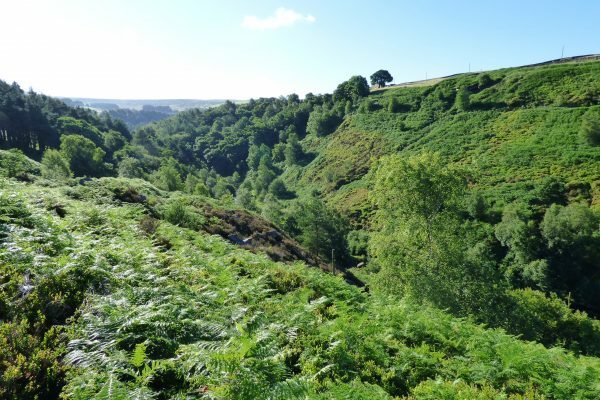 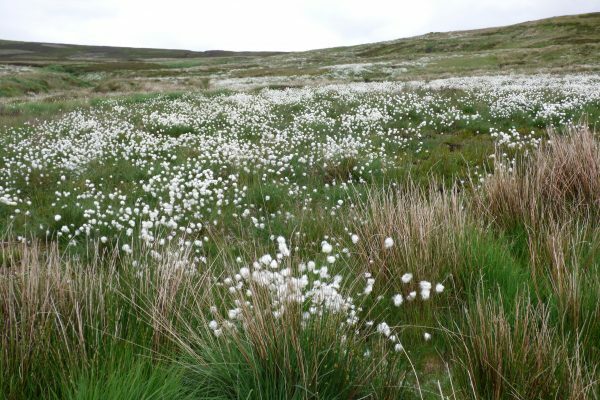 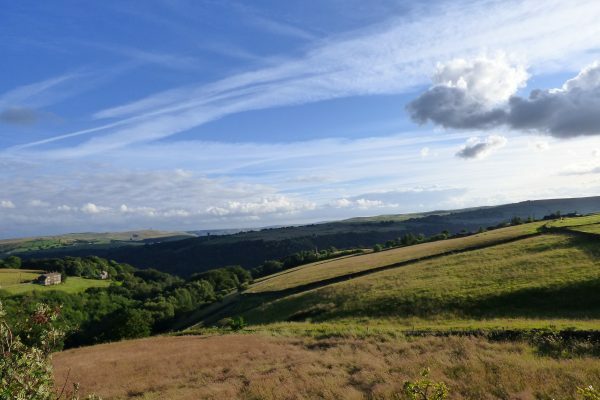 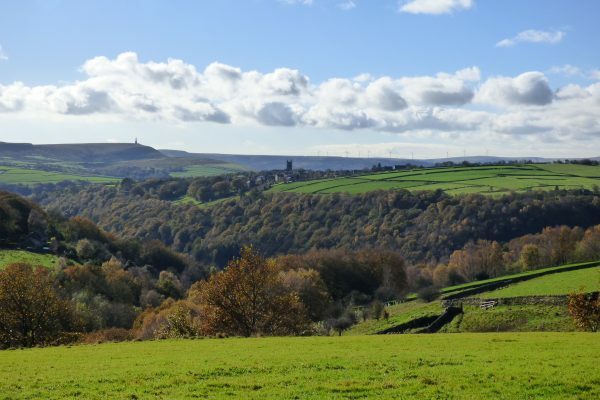 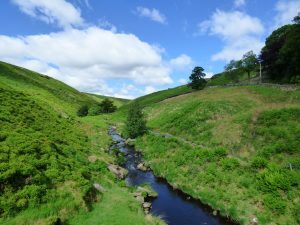 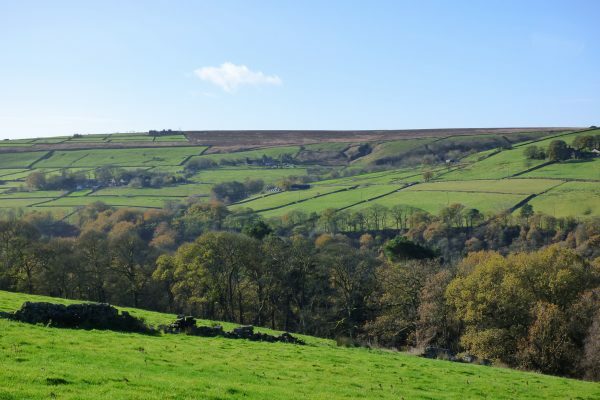 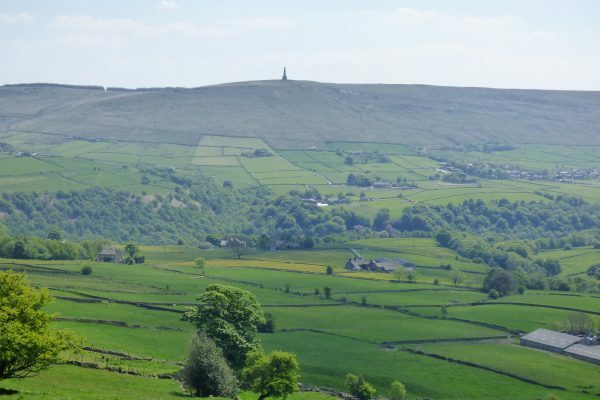 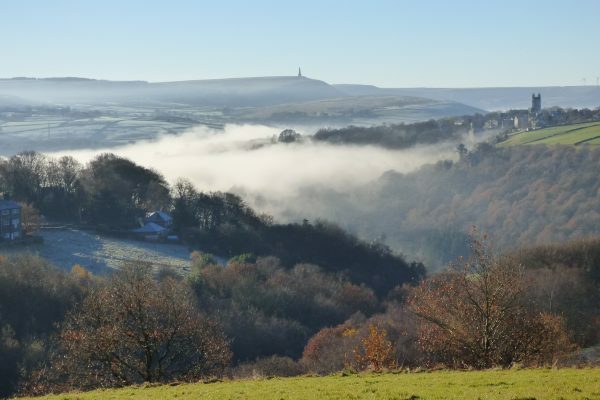 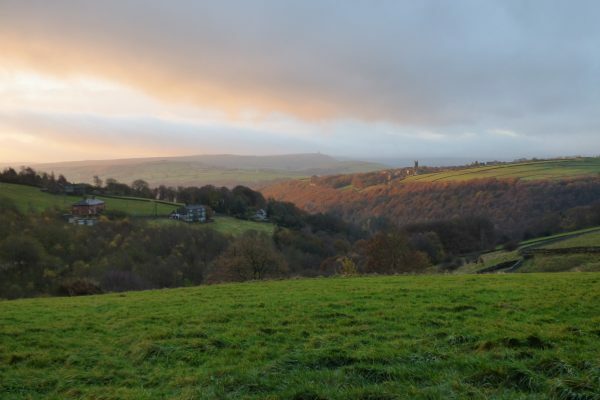 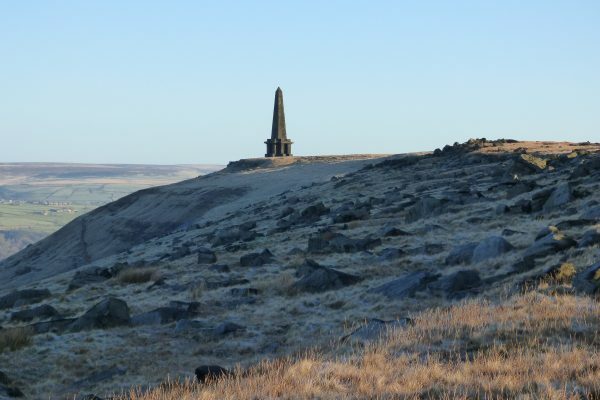 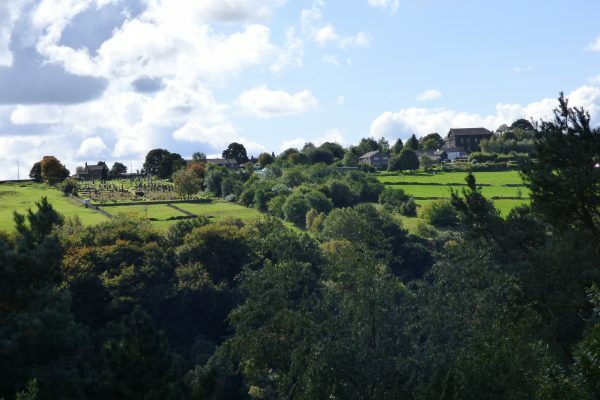 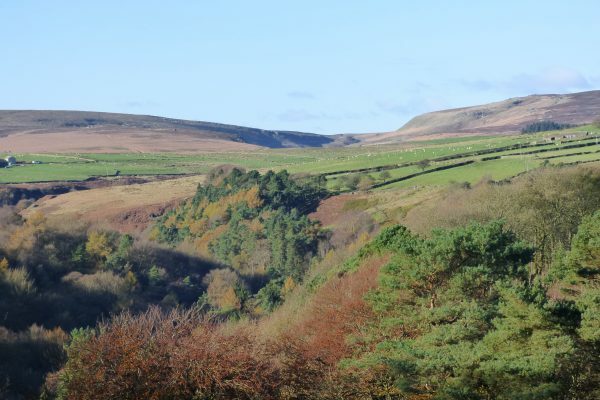 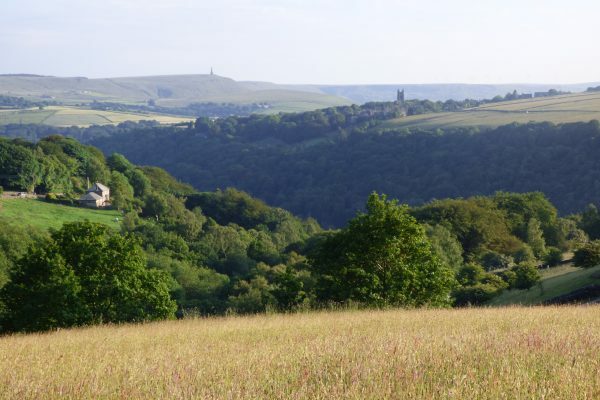 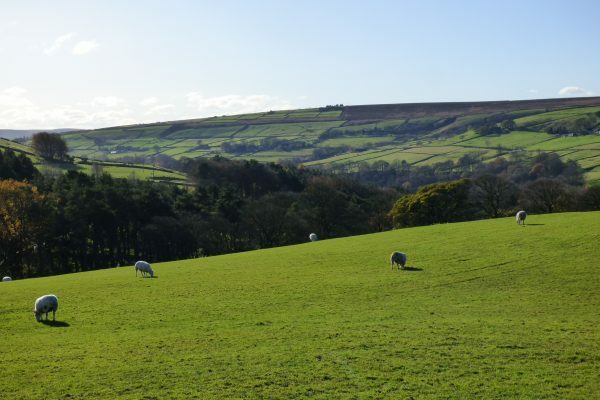 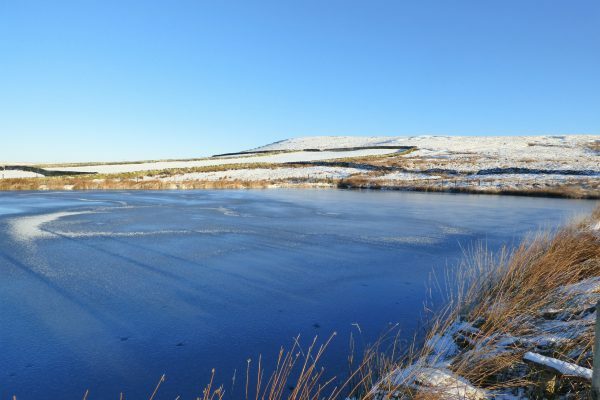 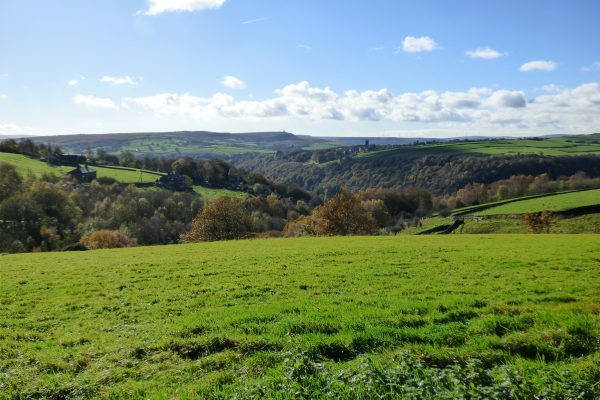 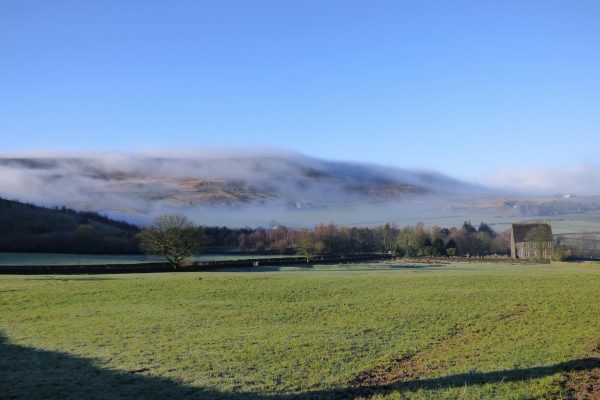 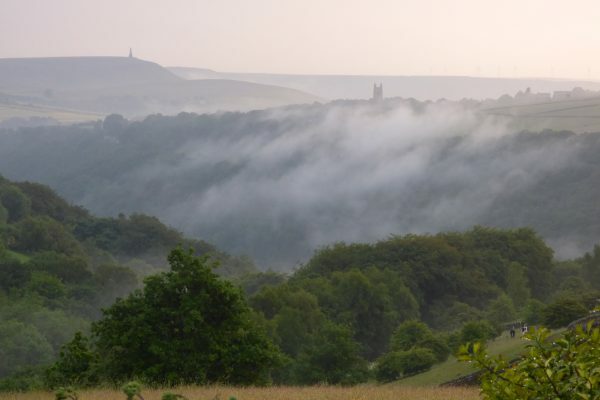 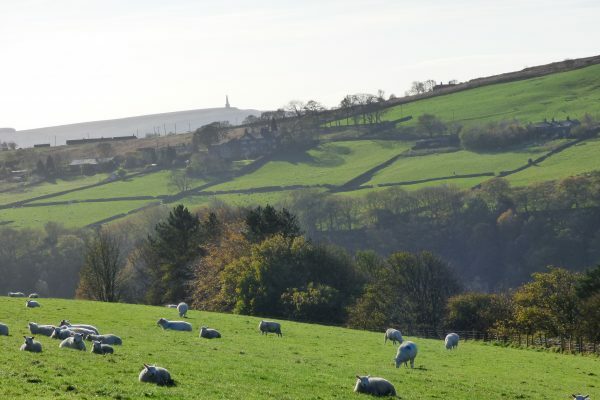 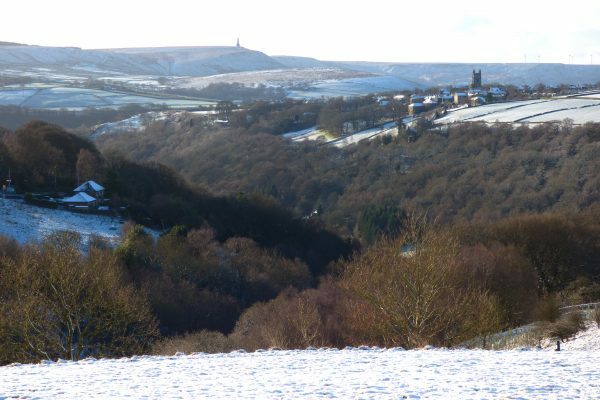 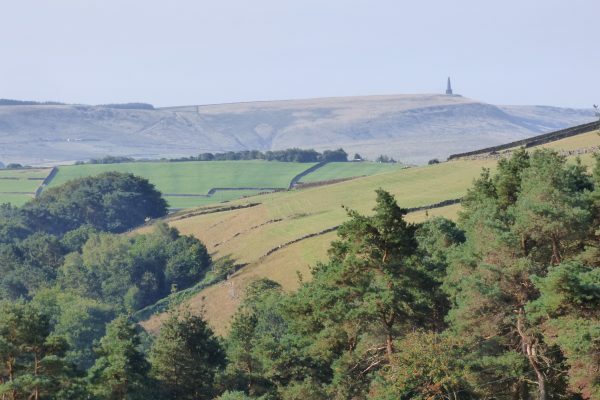 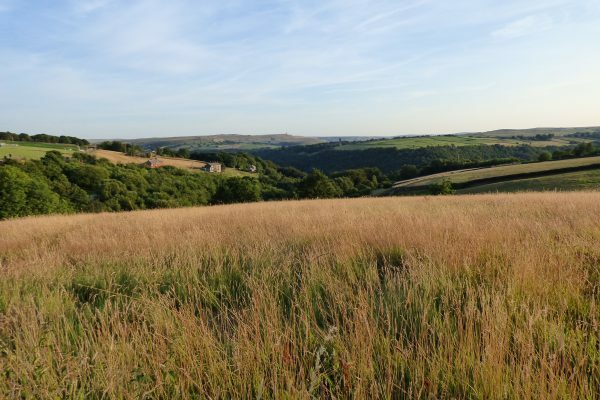 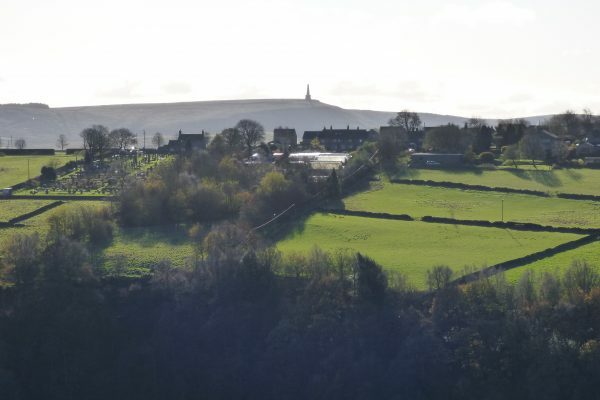 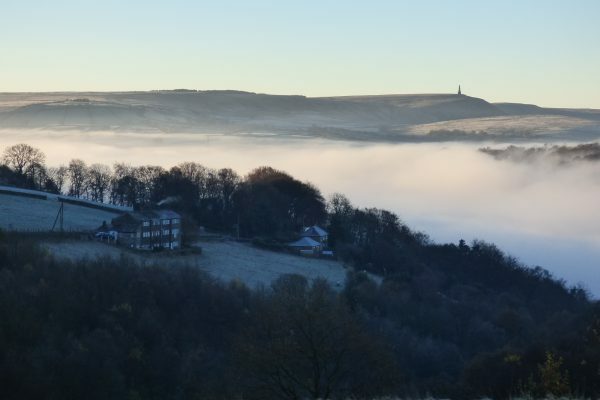 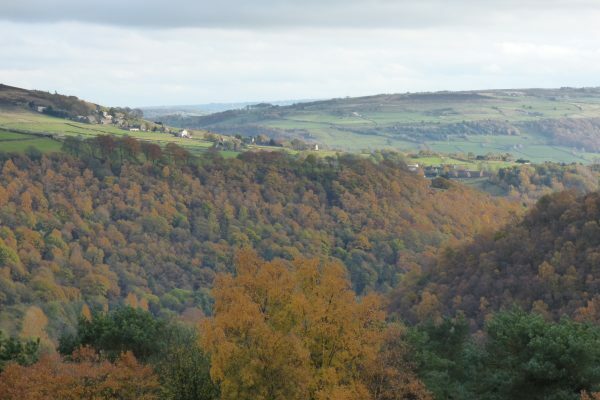 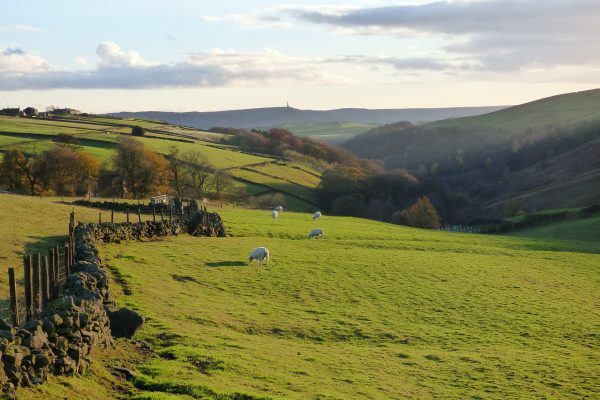 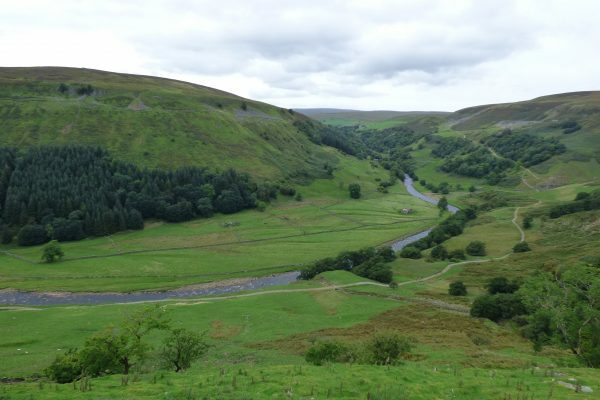 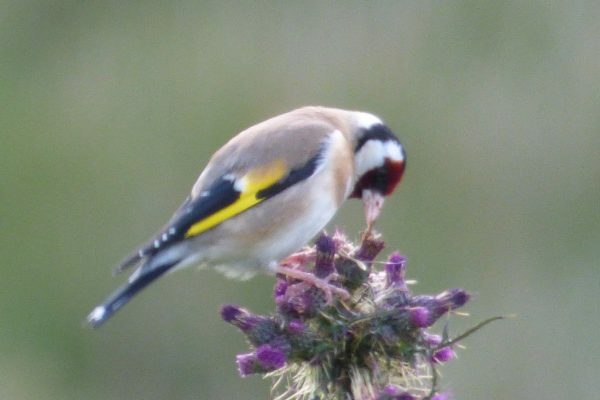 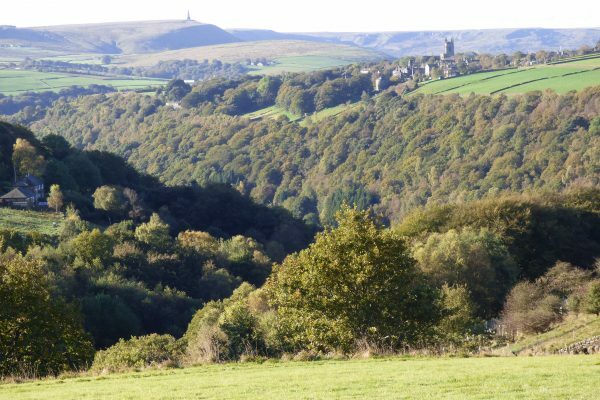 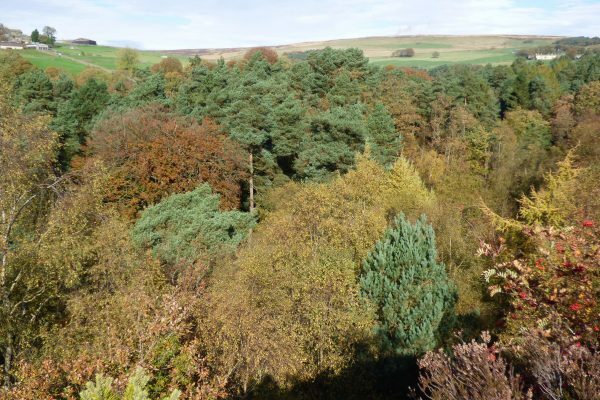 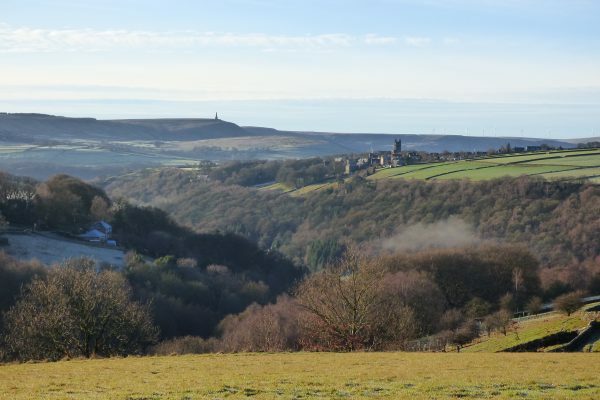 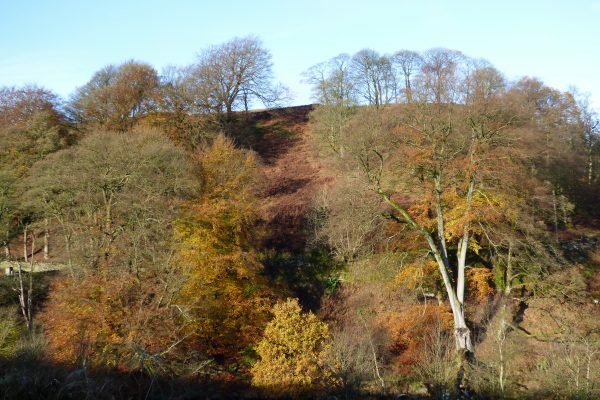 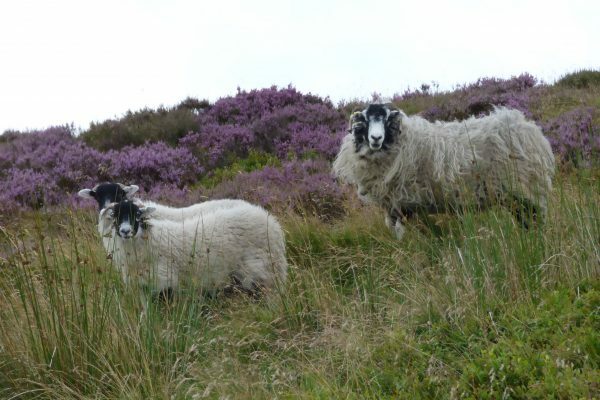 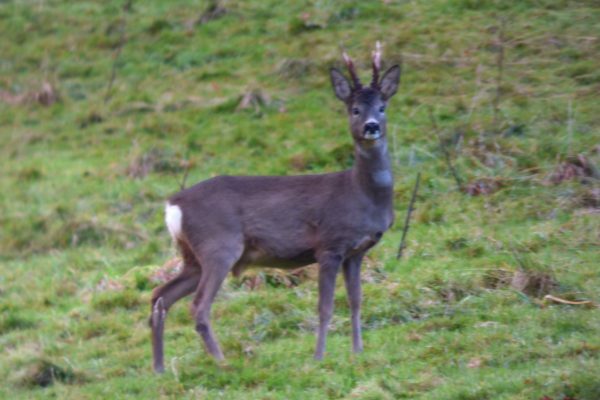 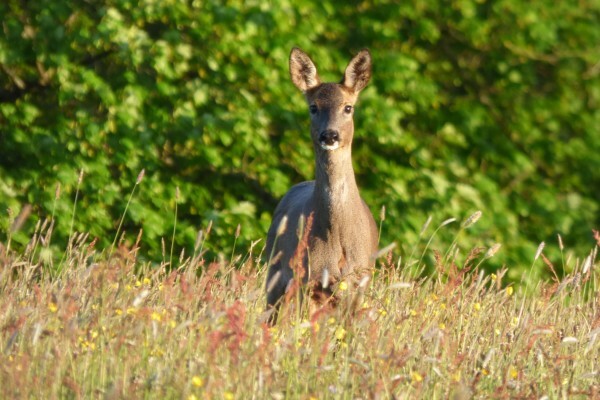 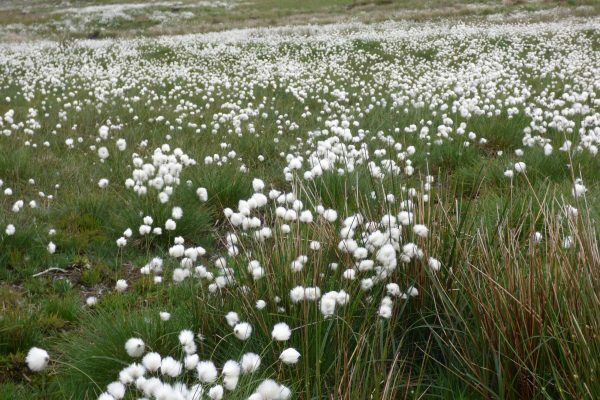 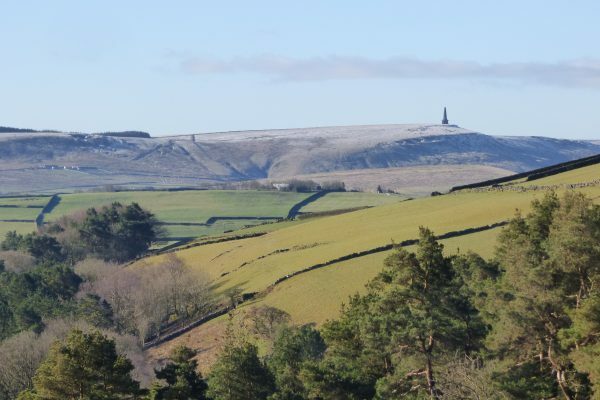 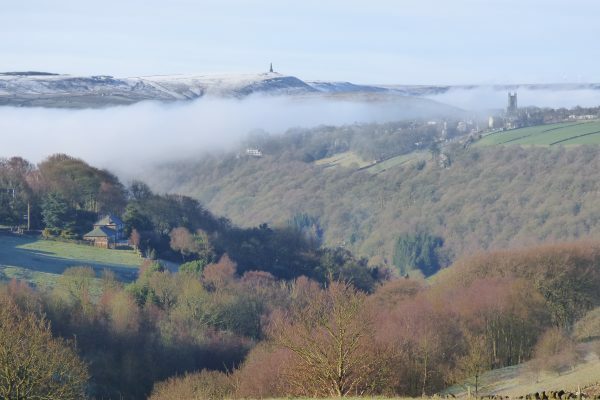 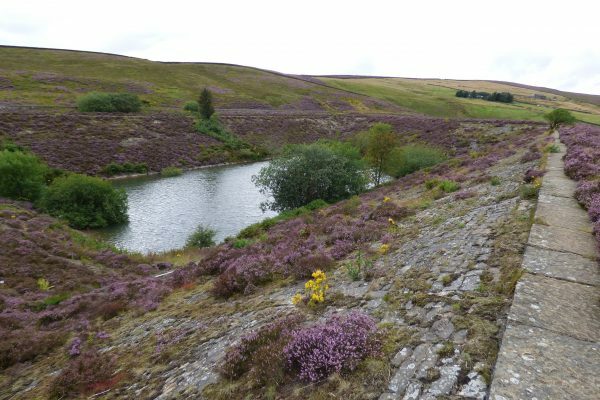 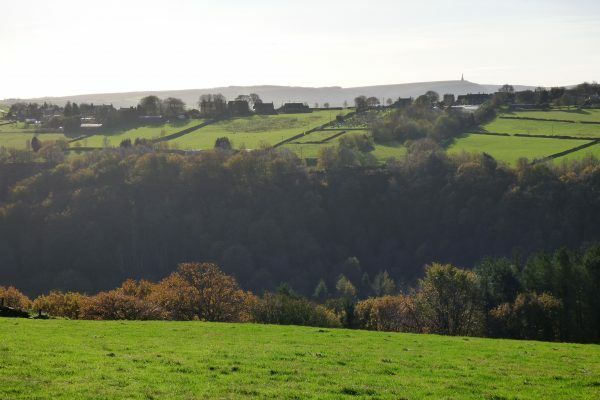 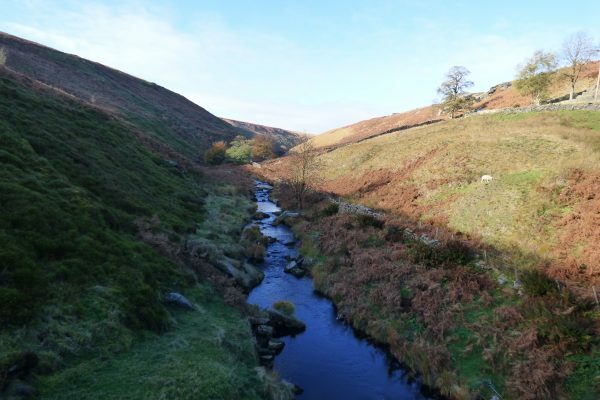 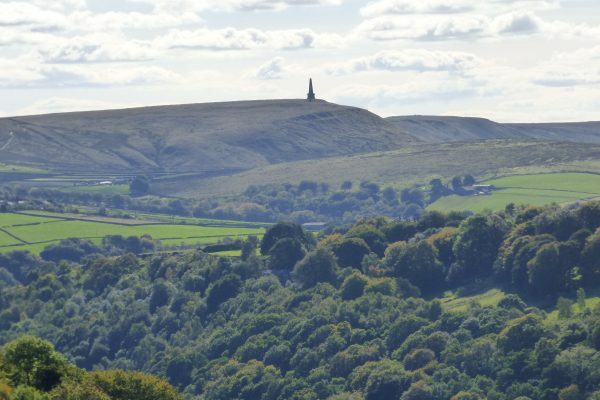 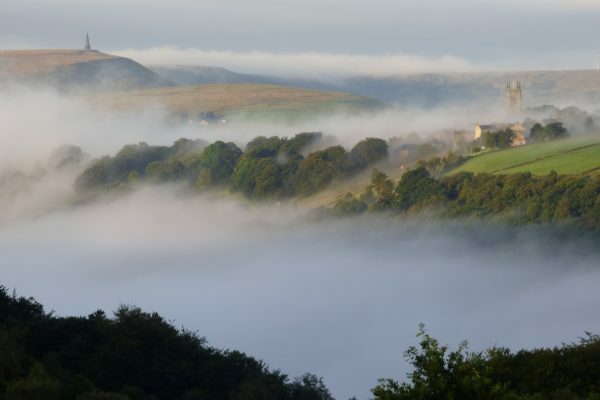 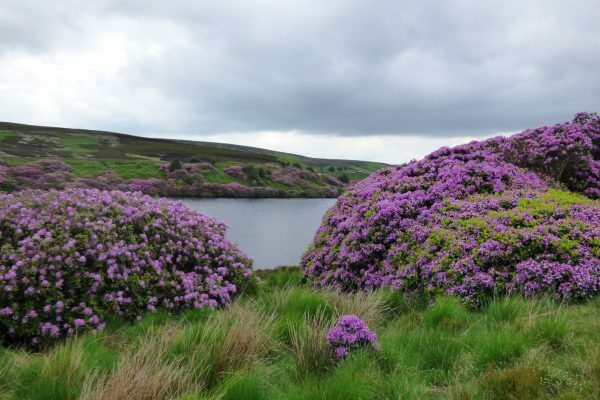 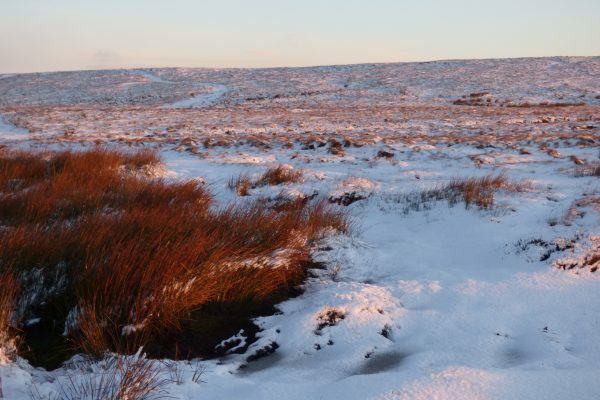 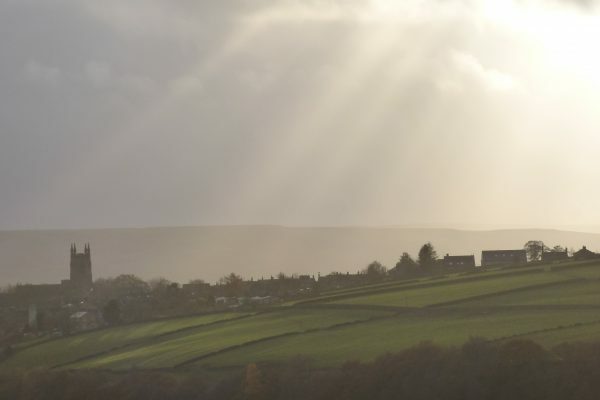 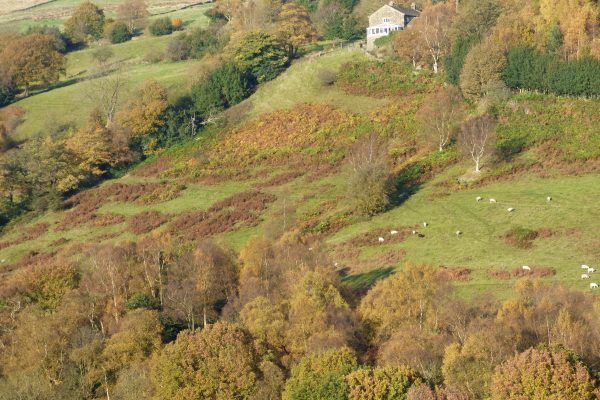 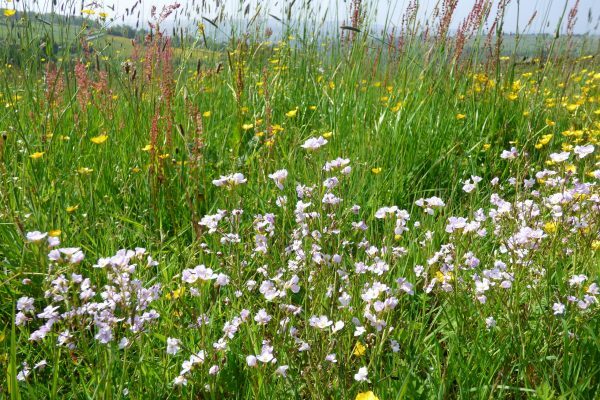 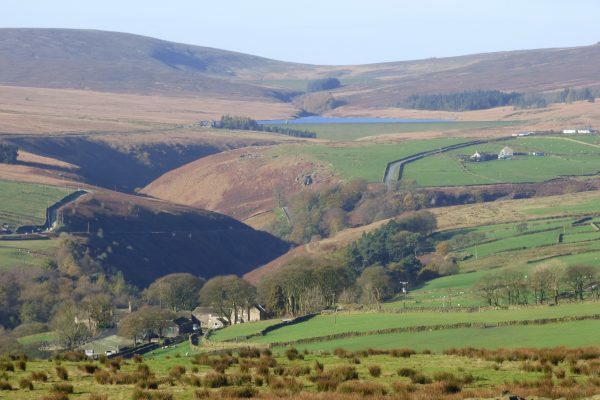 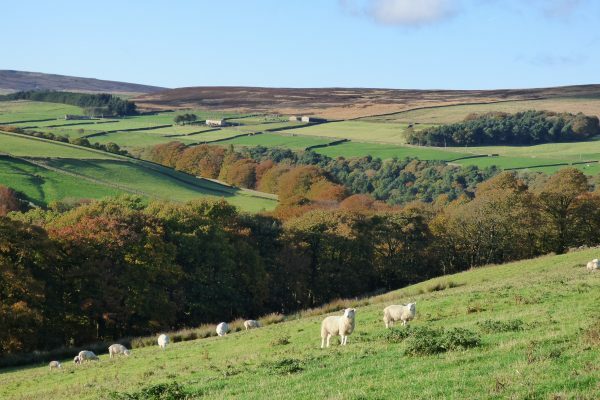 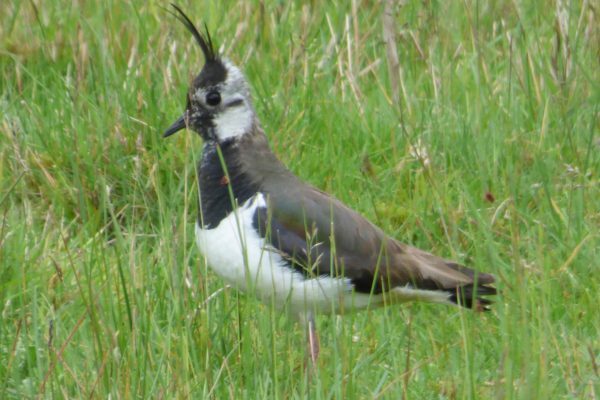 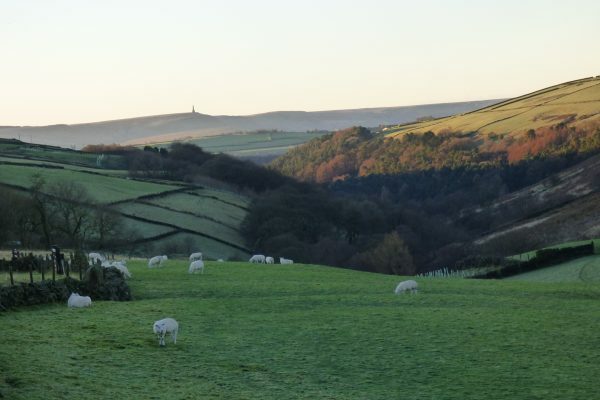 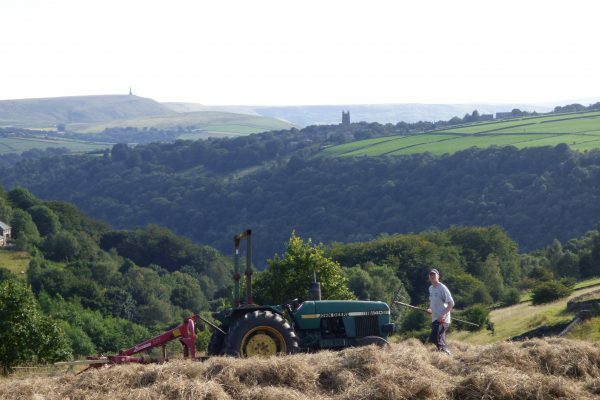 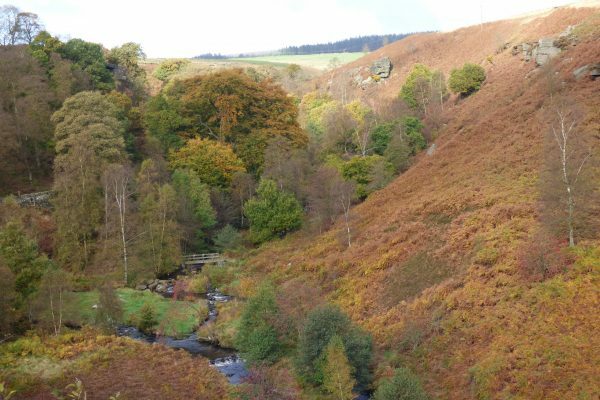 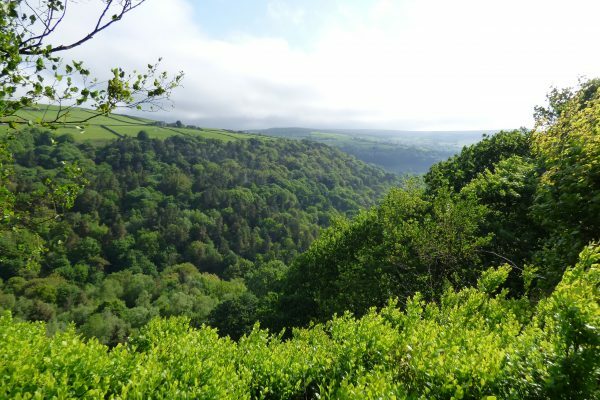 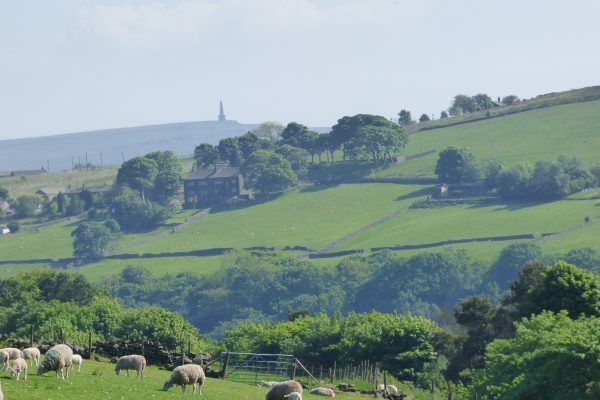 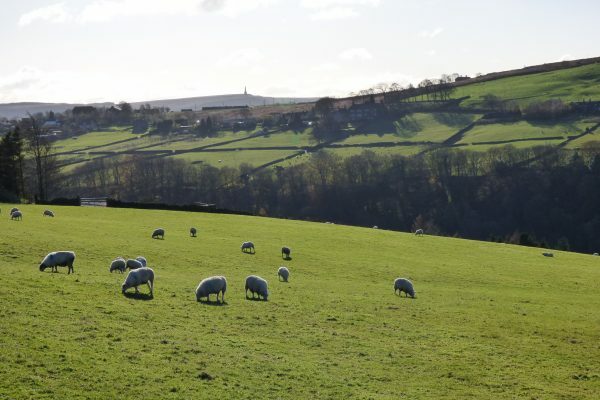 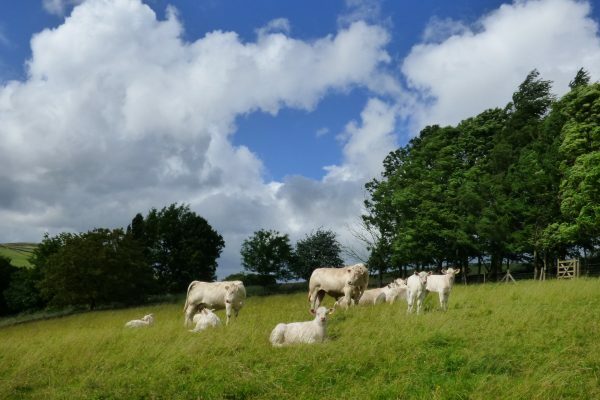 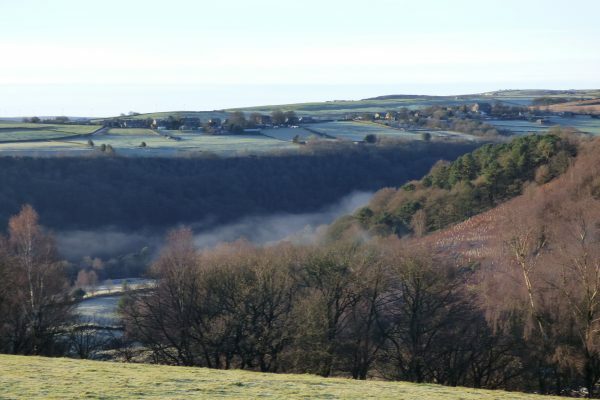 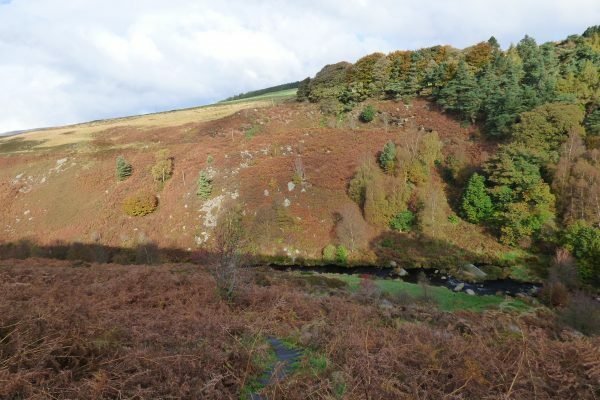 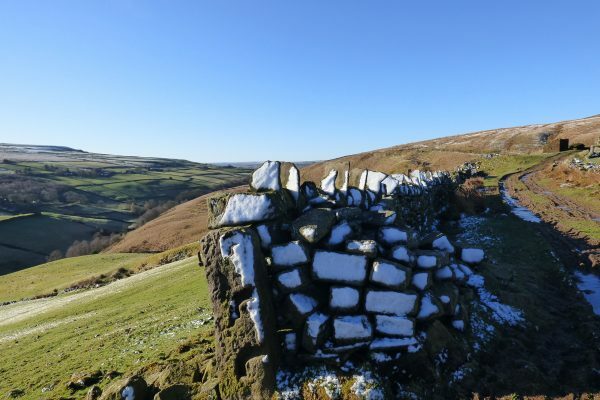 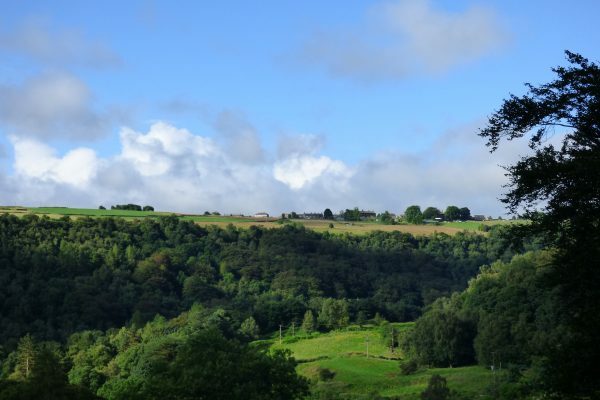 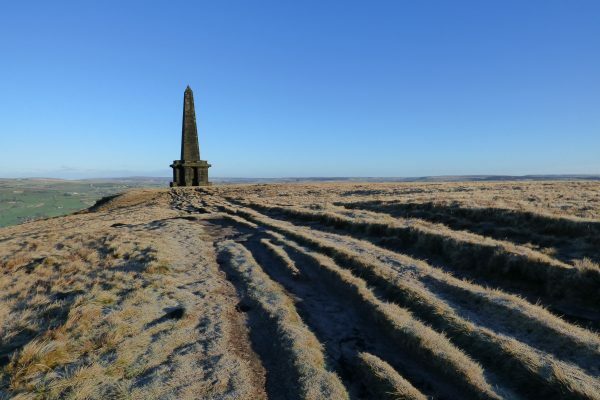 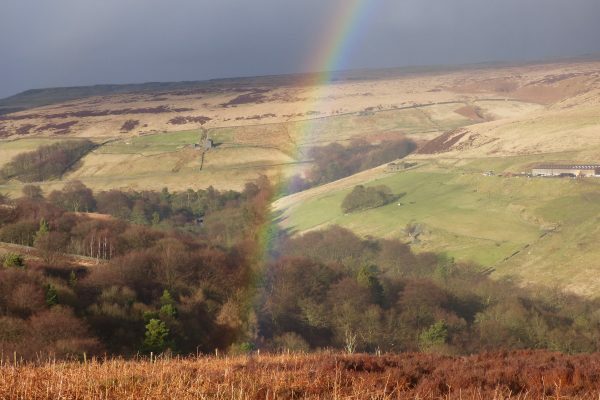 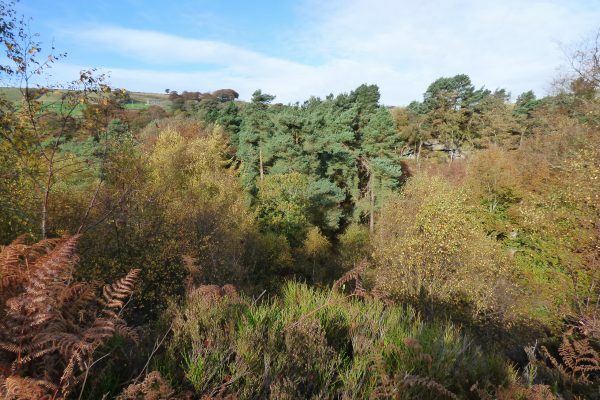 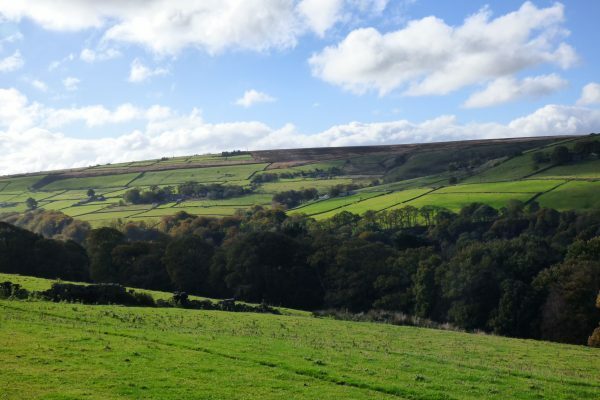 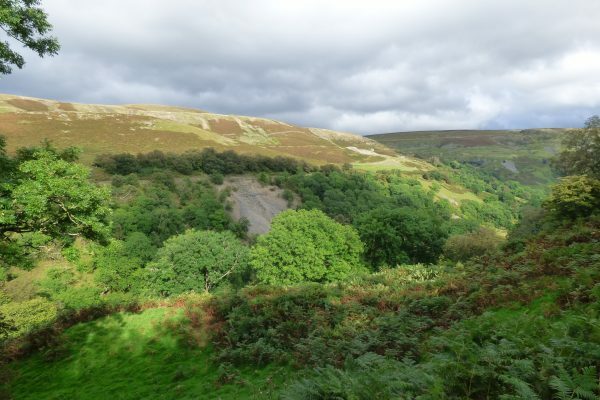 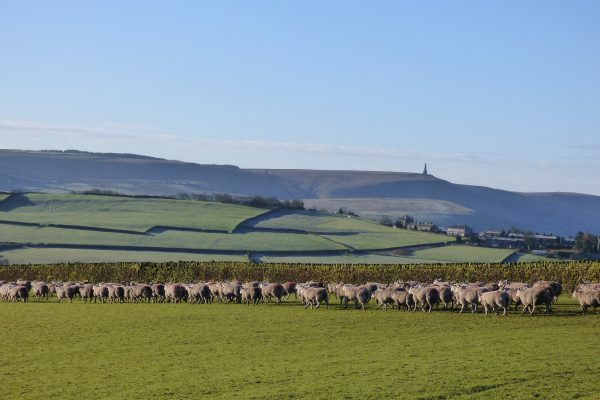 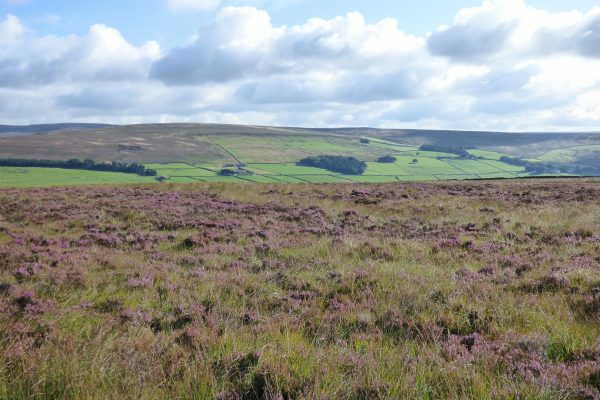 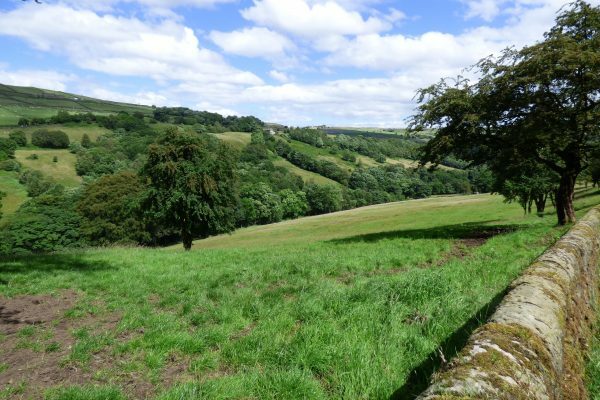 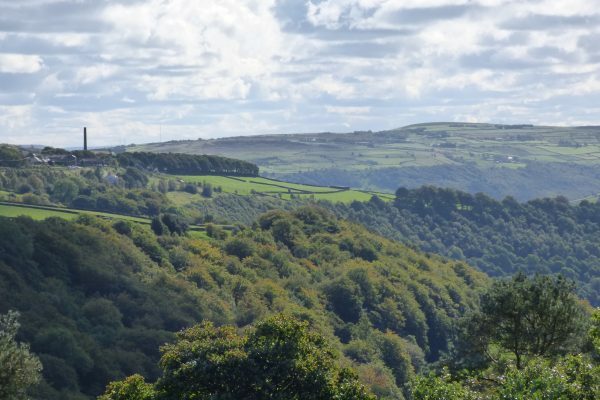 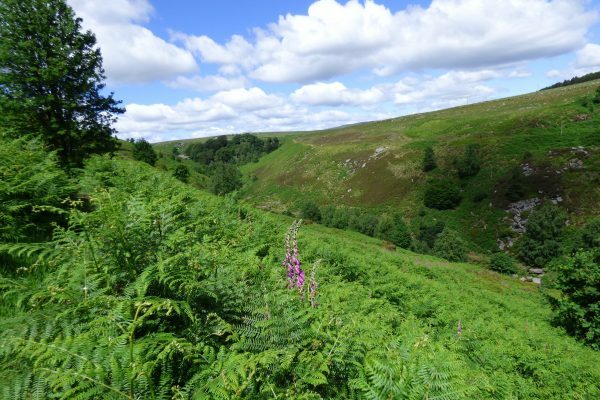 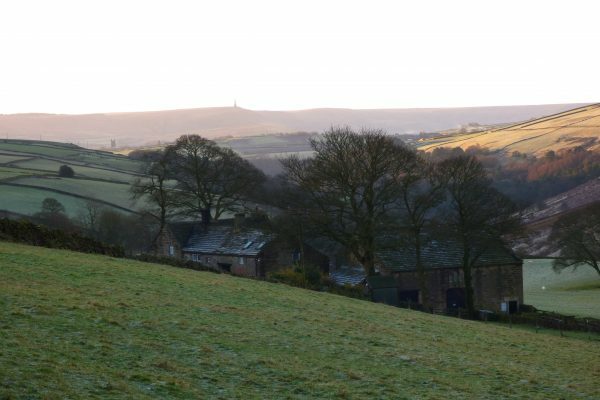 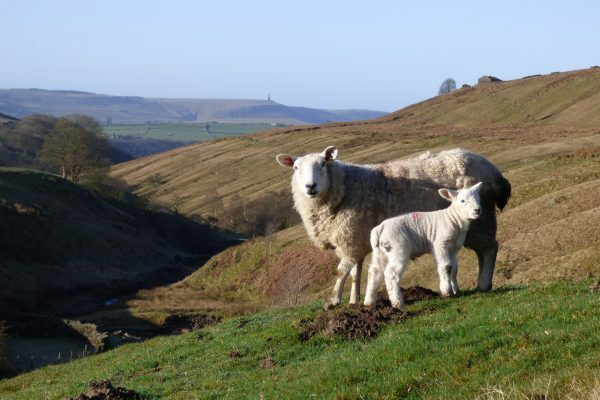 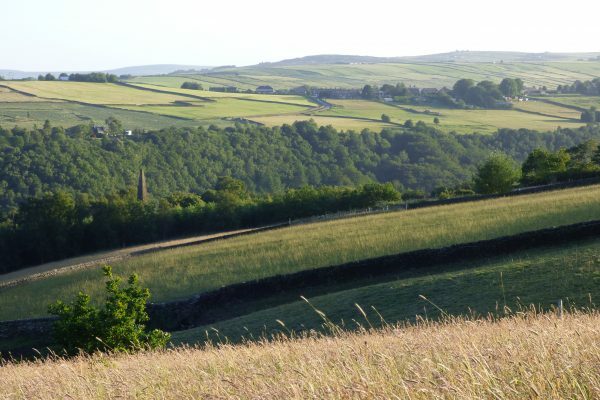 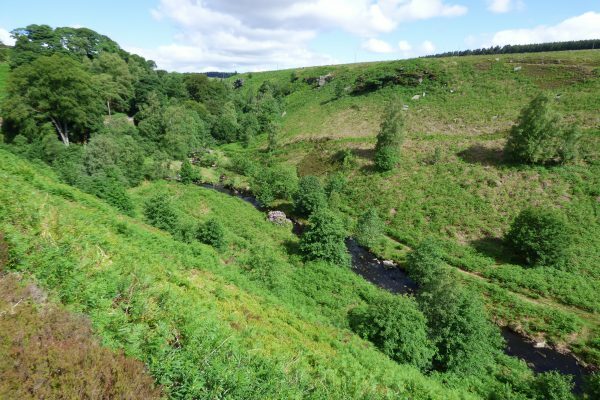 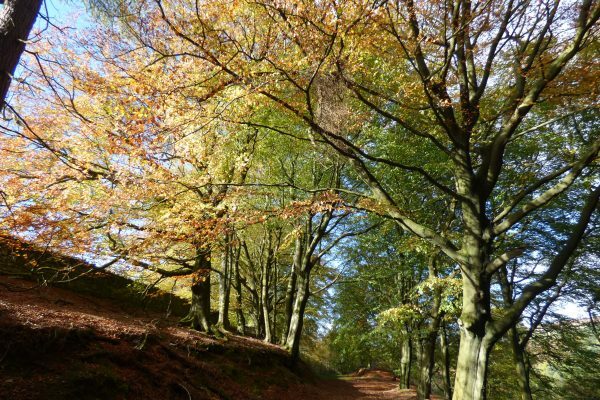 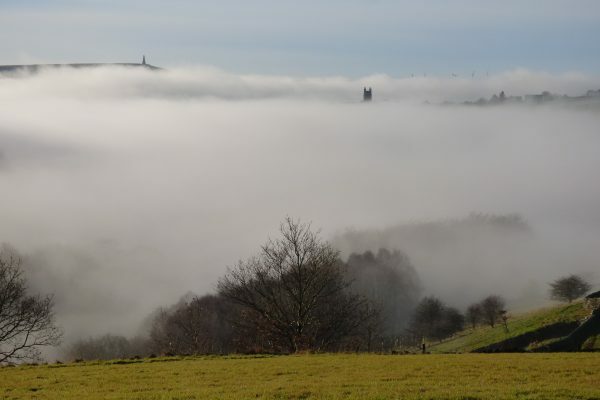 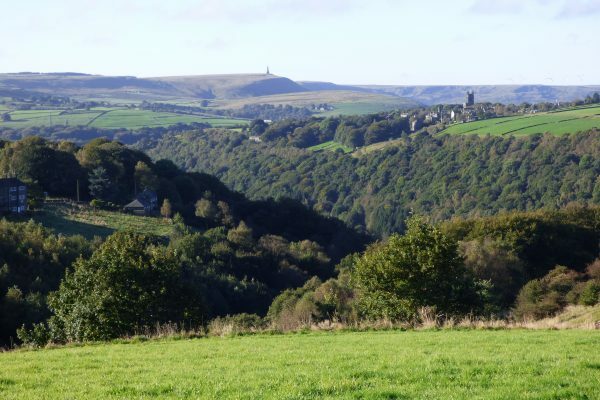 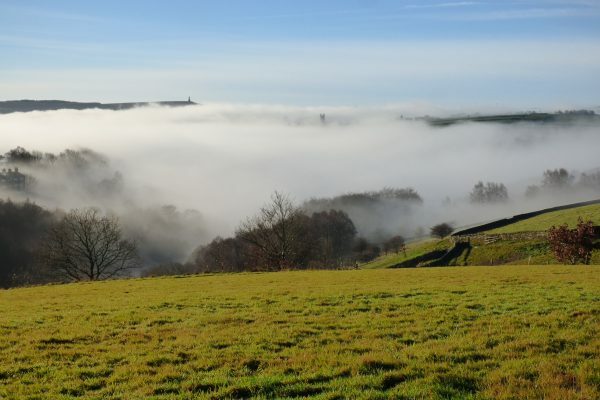 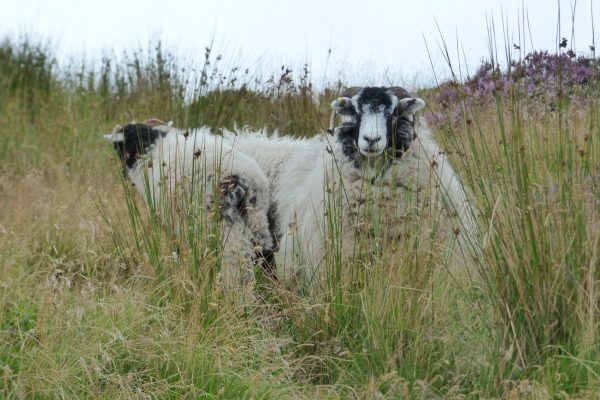 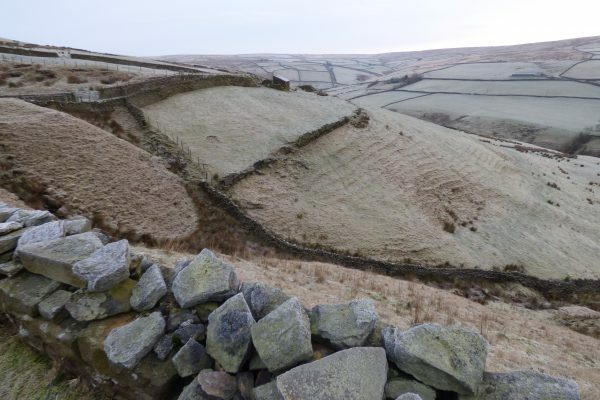 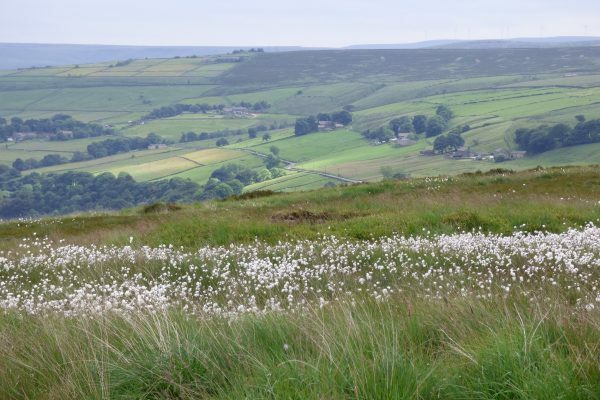 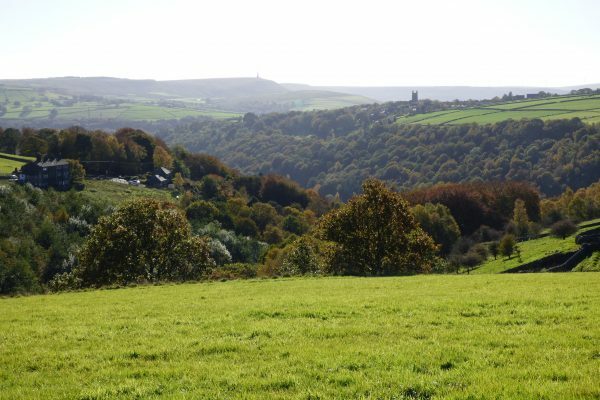 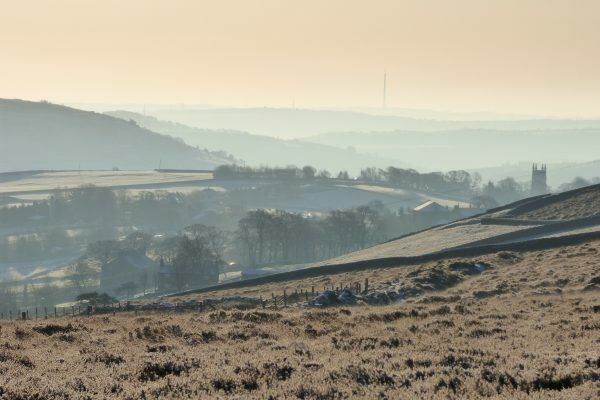 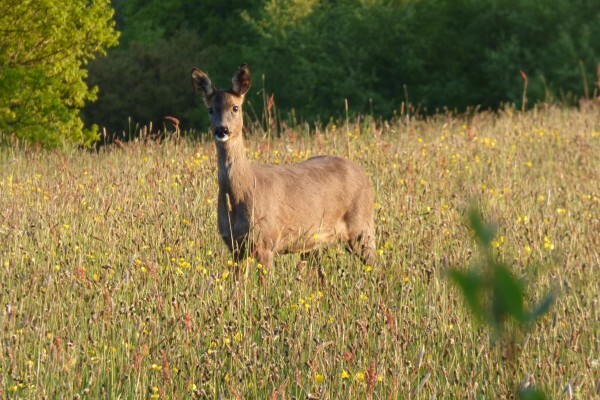 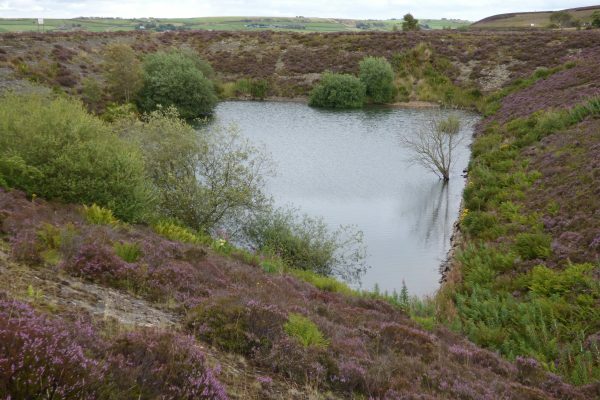 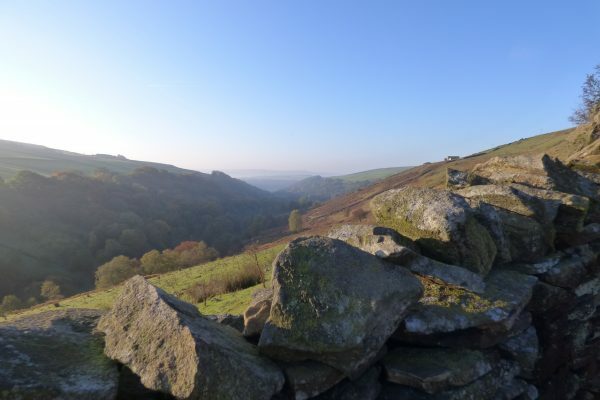 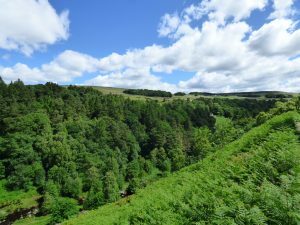 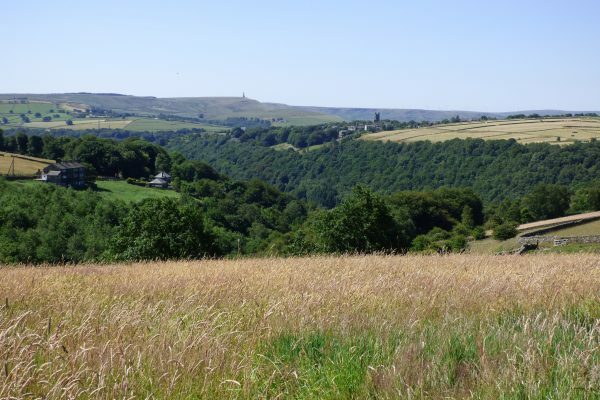 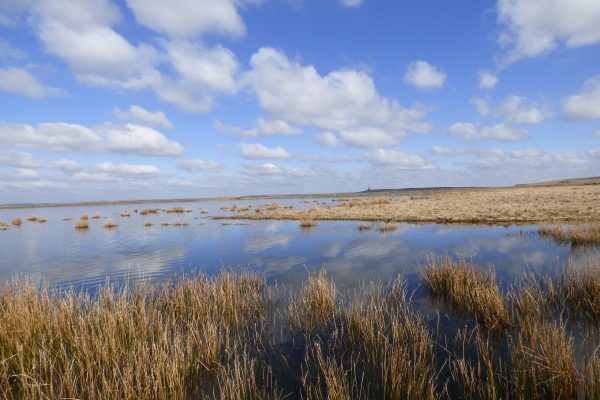 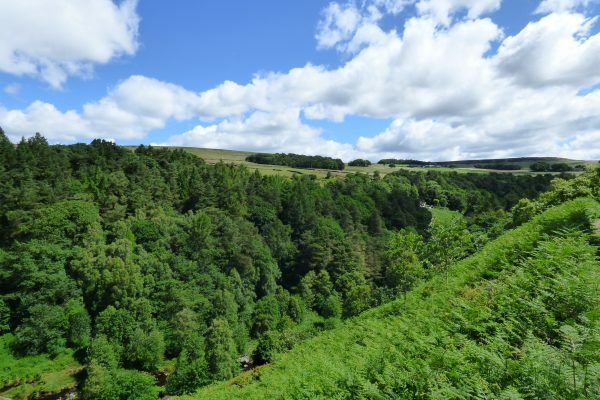 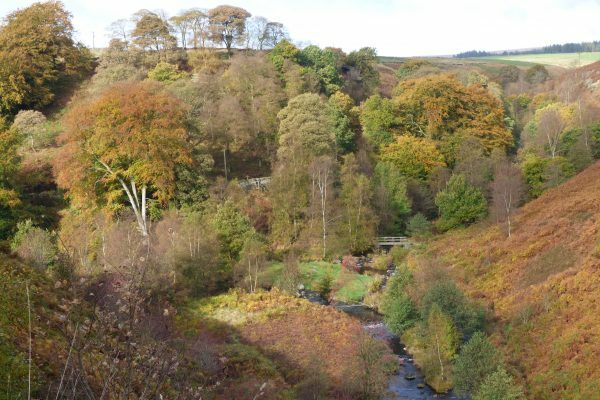 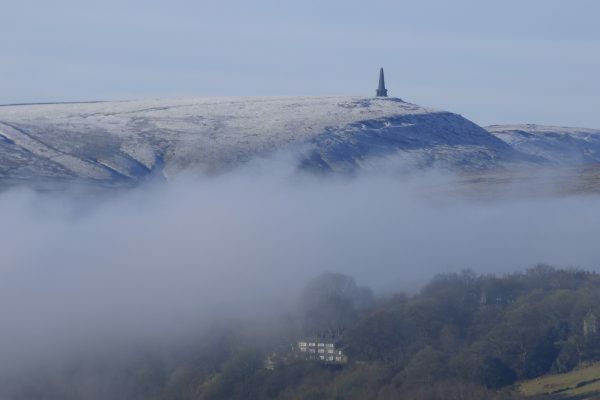 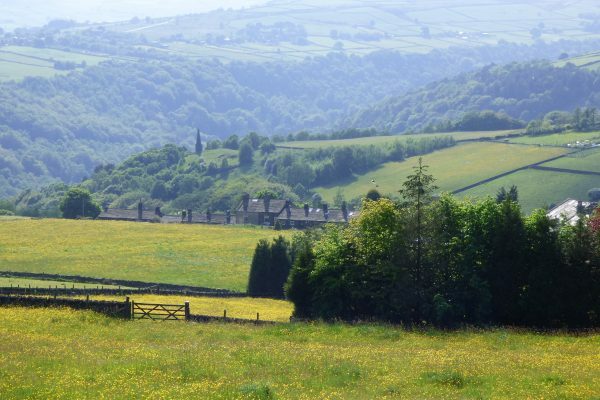 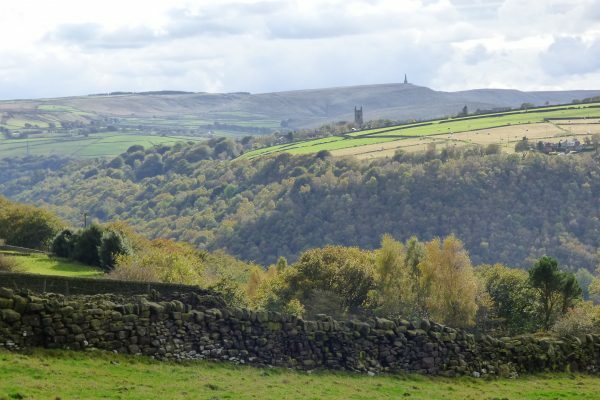 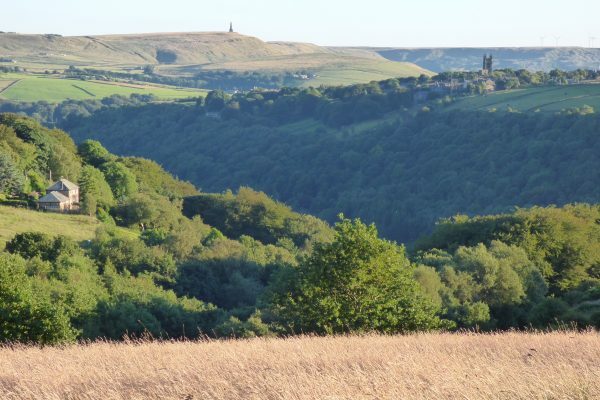 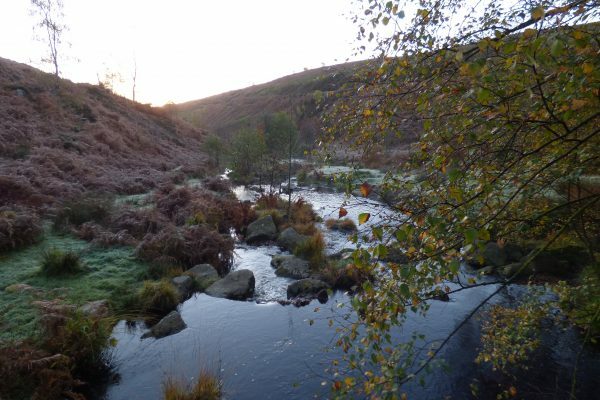 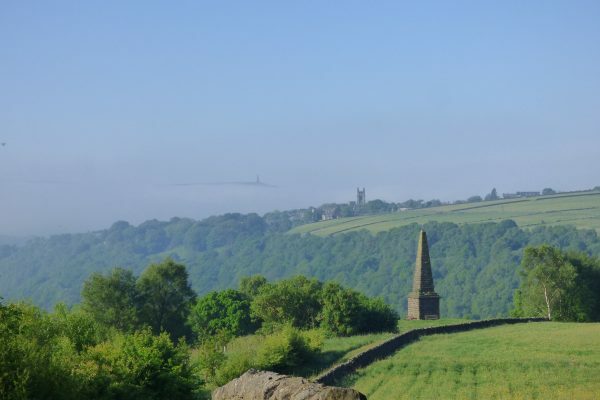 Characterised by its steep wooded hillsides, hilltop hay meadows and rolling heather moors, the Upper Calder Valley has numerous spurs, known as cloughs and deans, each one a hidden gem. 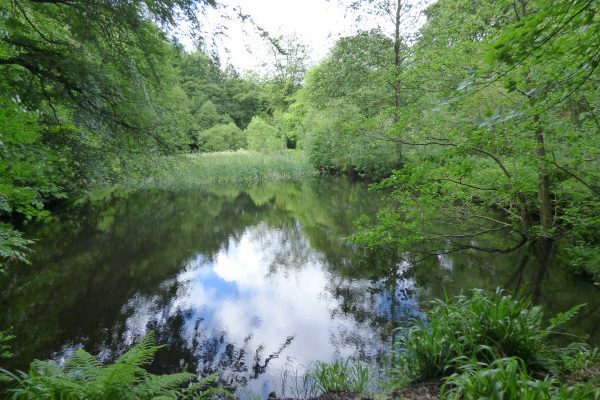 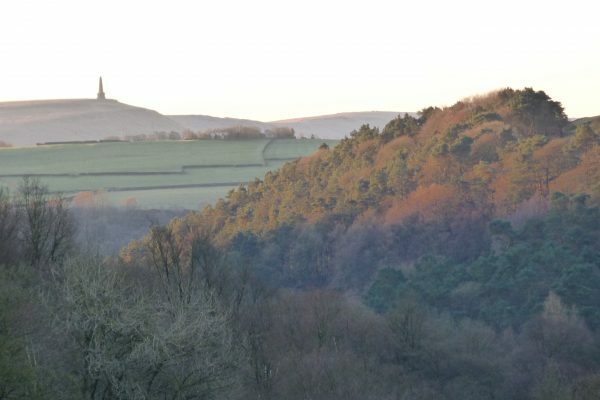 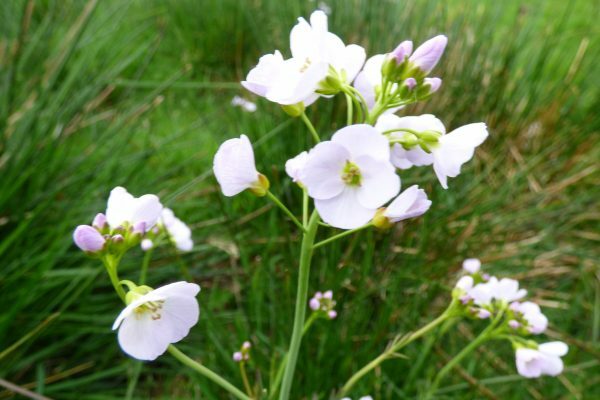 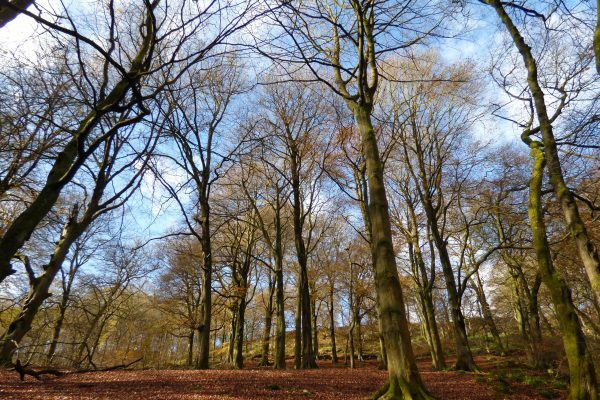 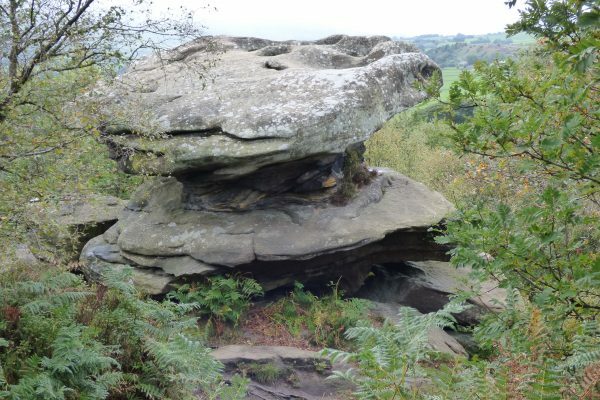 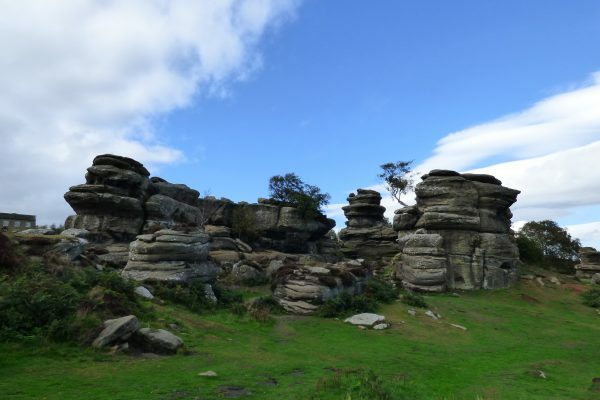 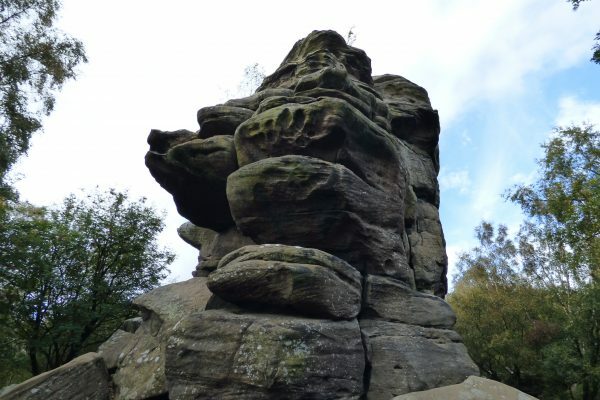 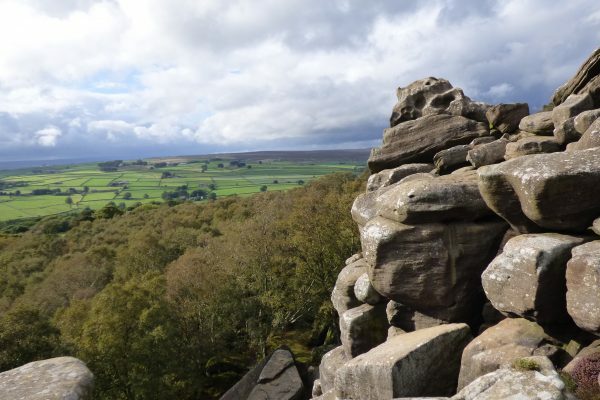 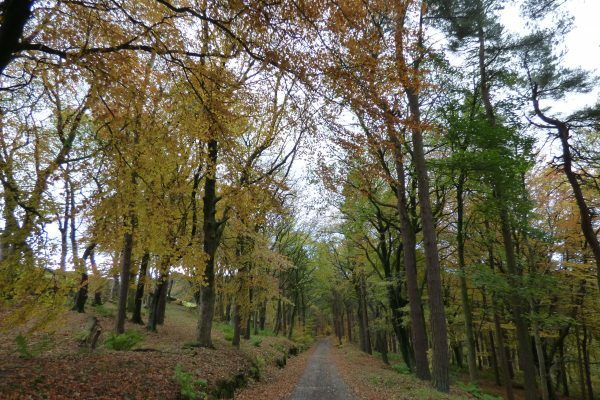 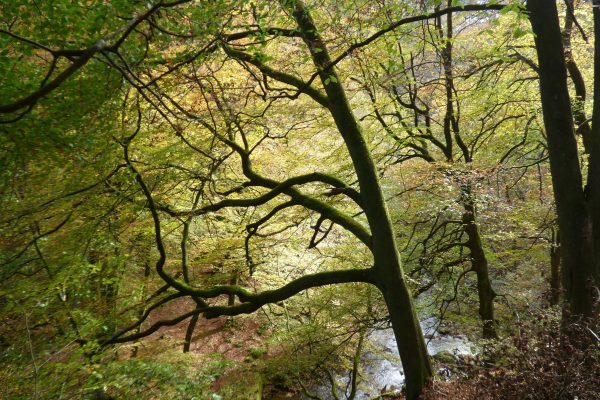 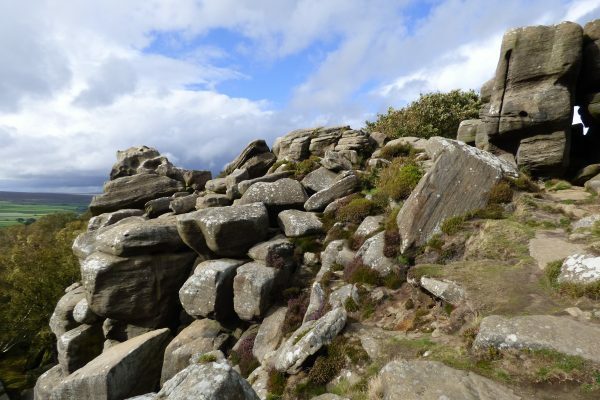 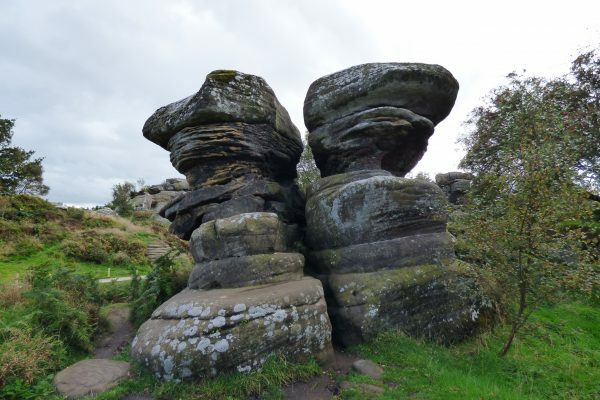 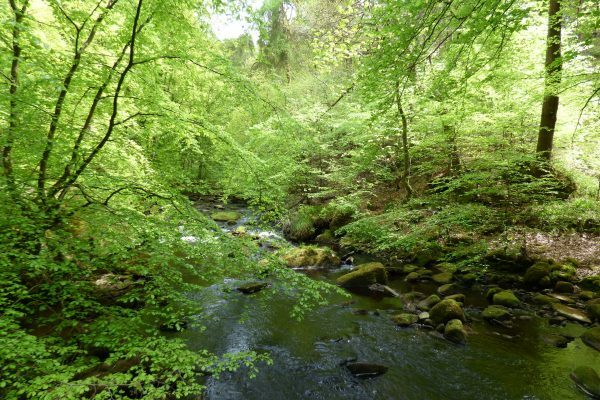 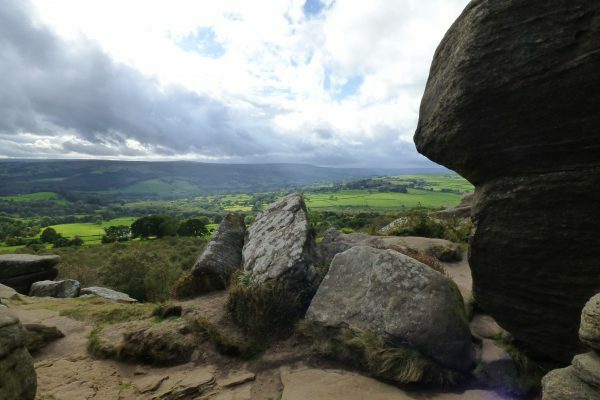 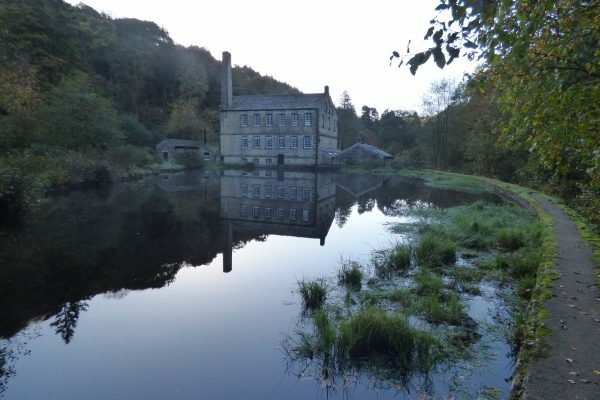 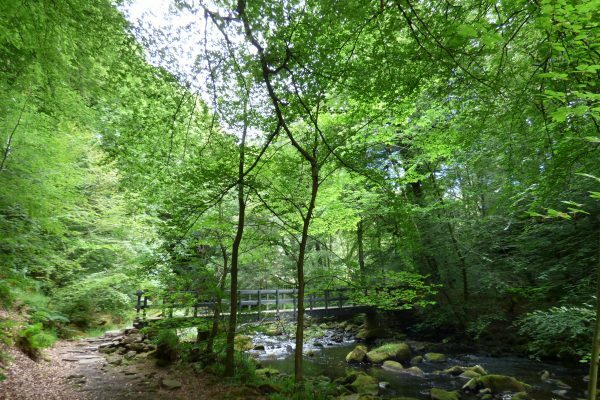 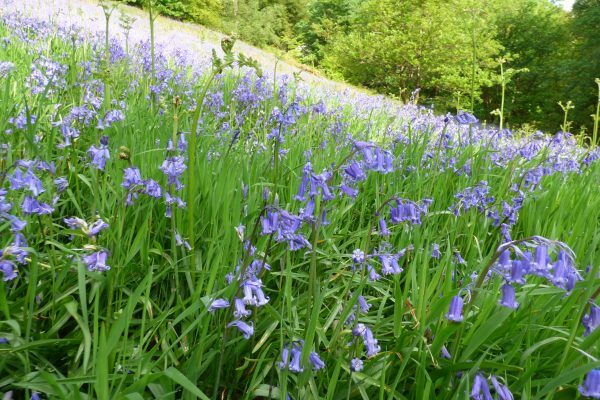 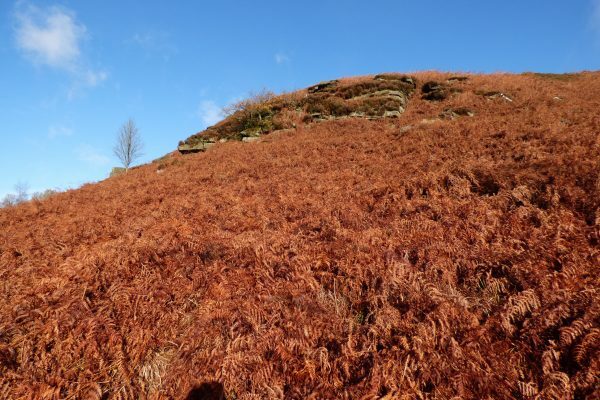 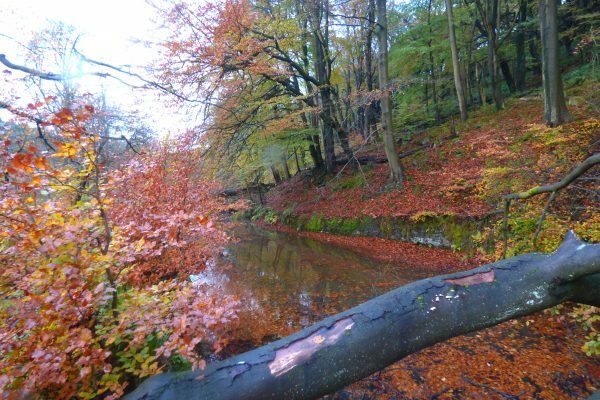 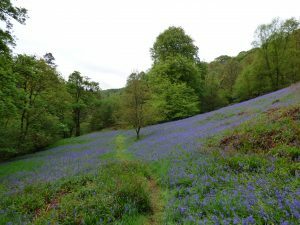 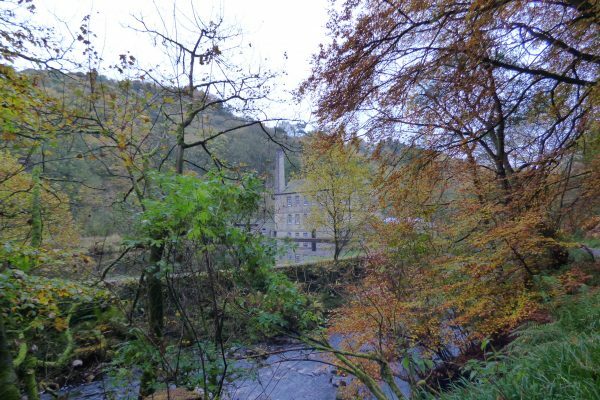 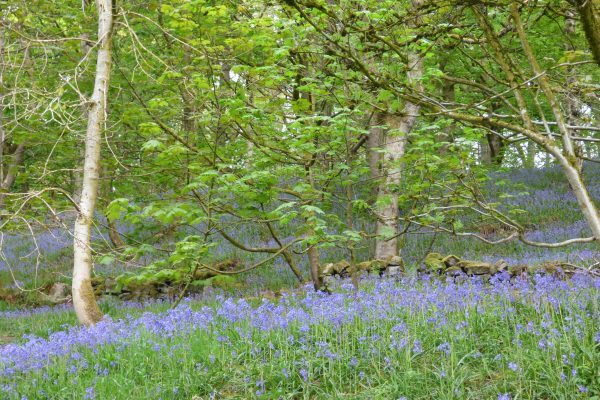 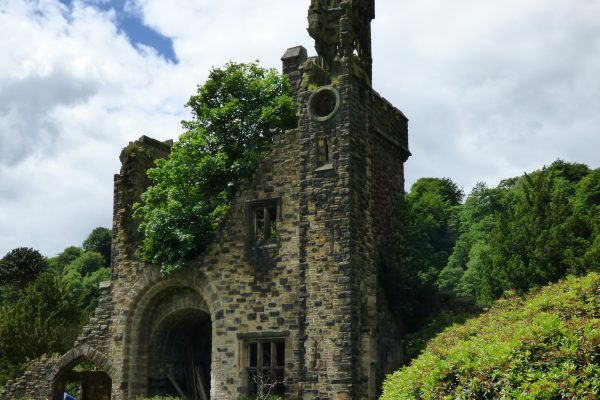 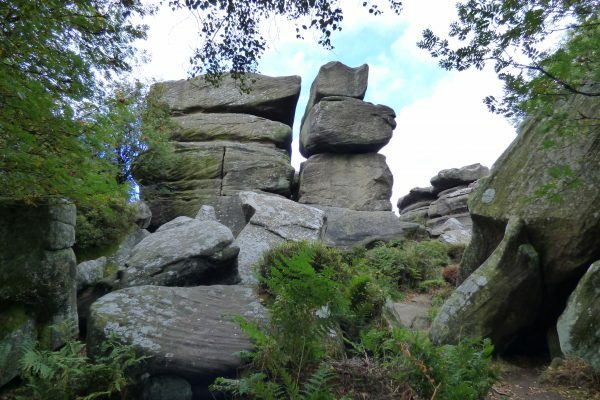 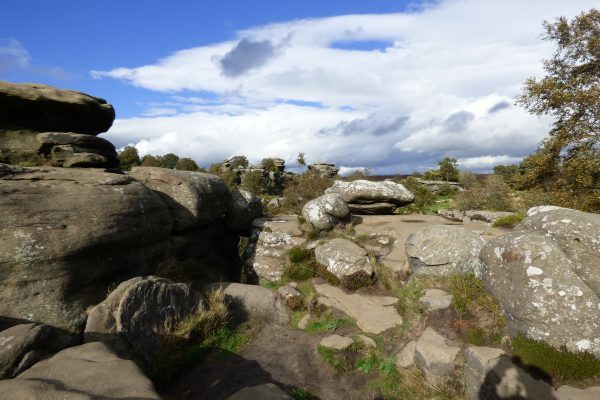 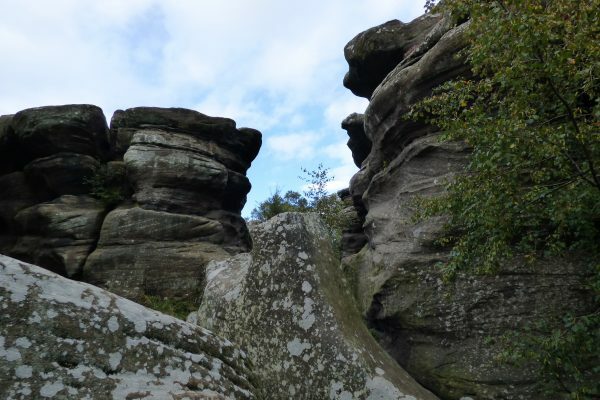 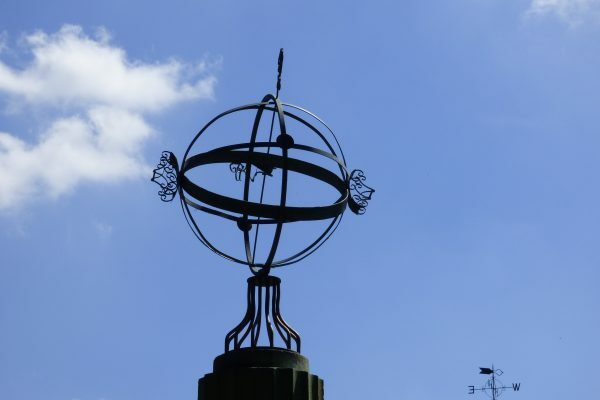 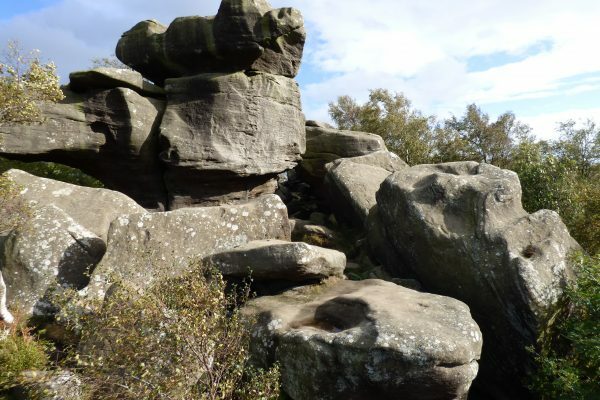 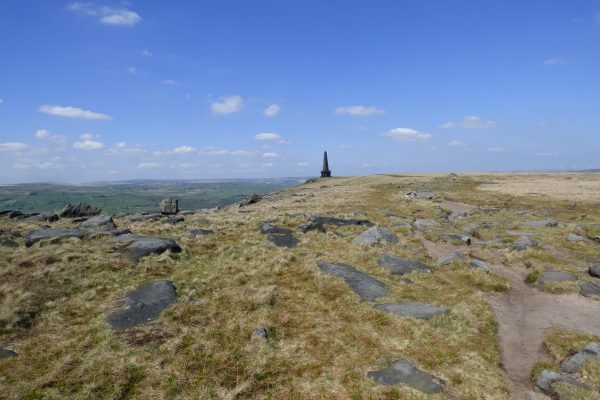 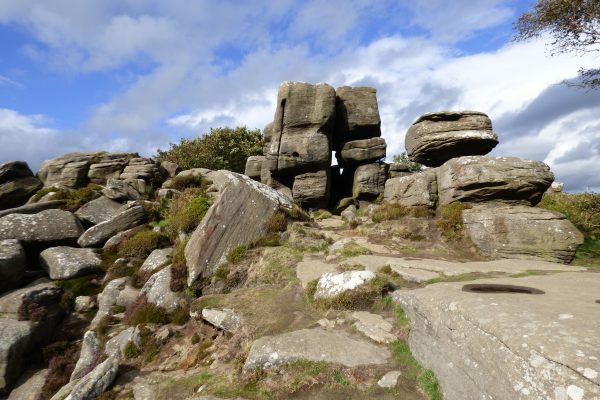 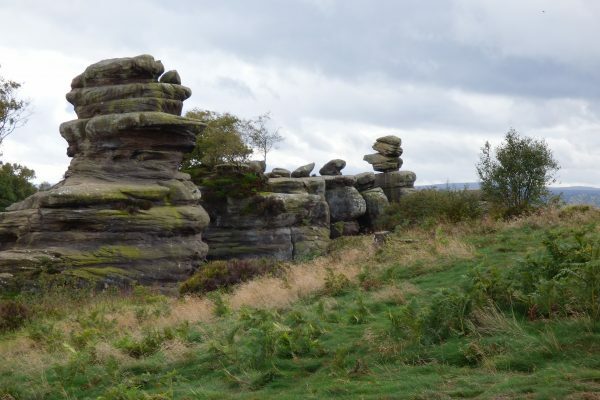 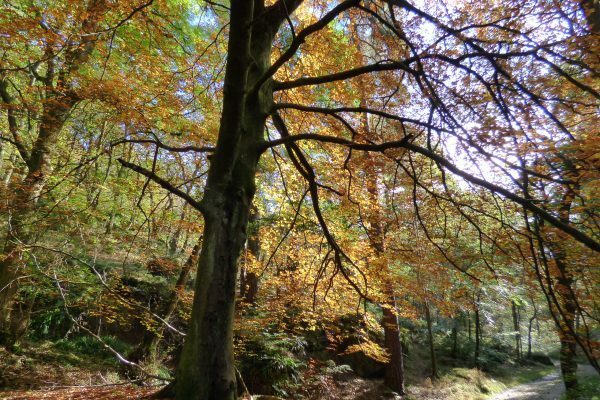 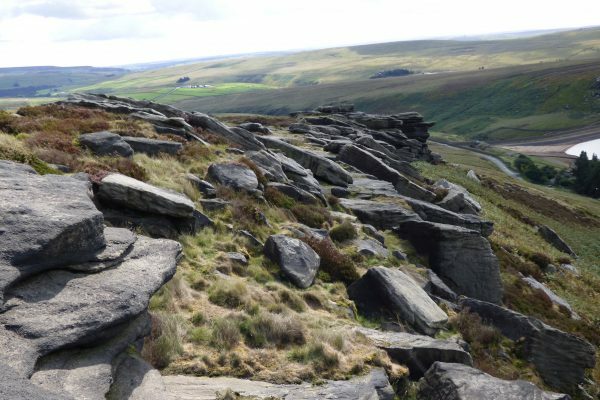 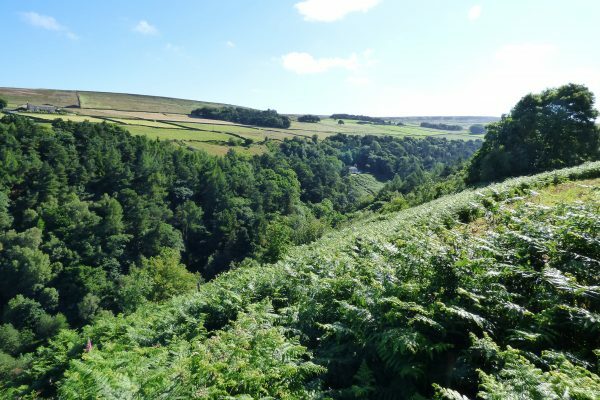 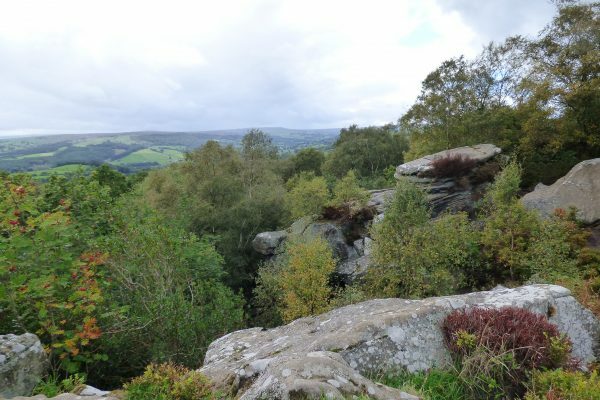 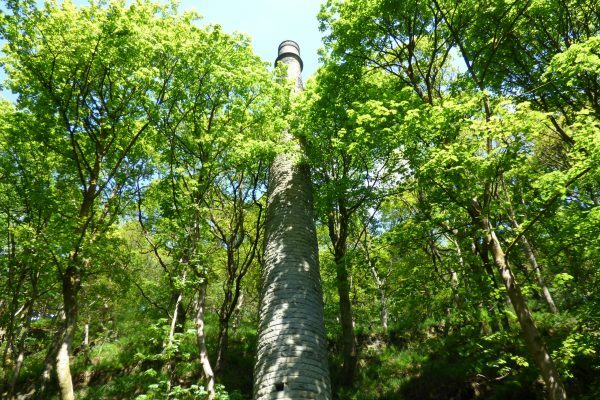 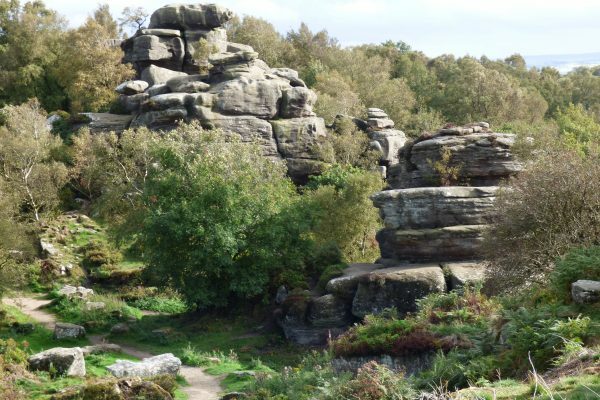 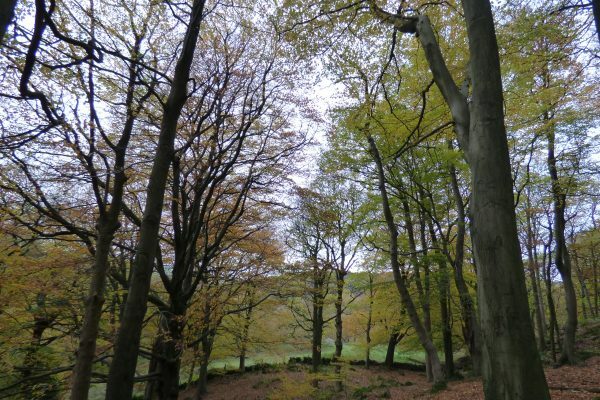 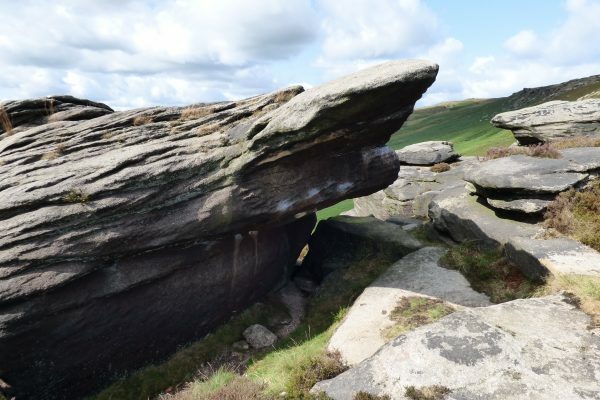 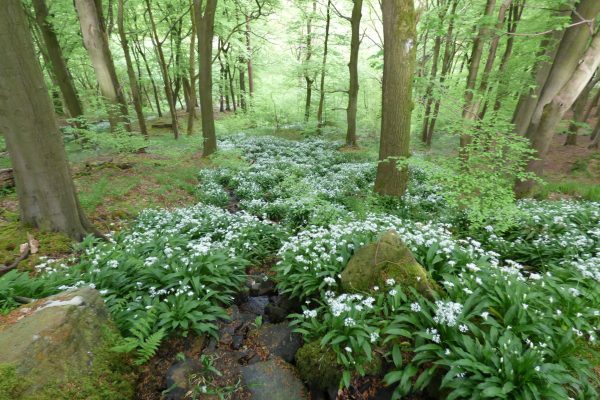 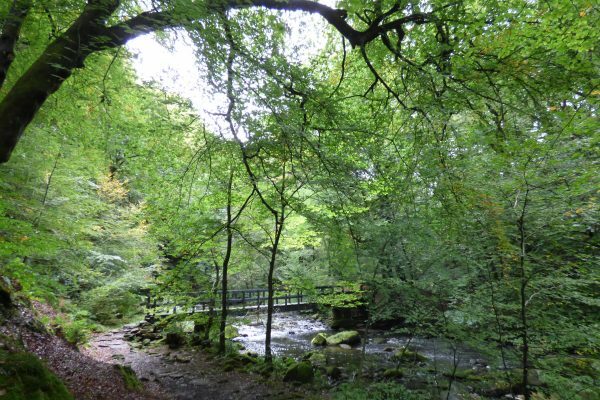 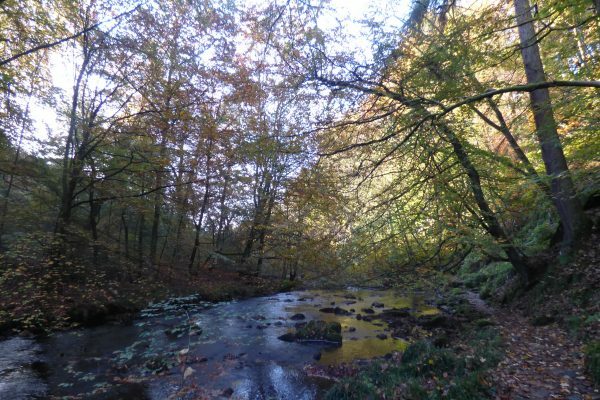 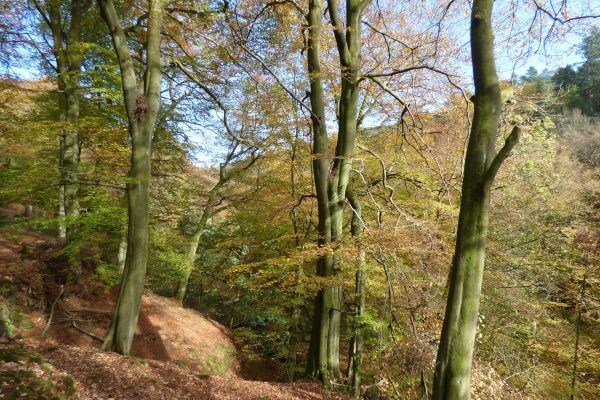 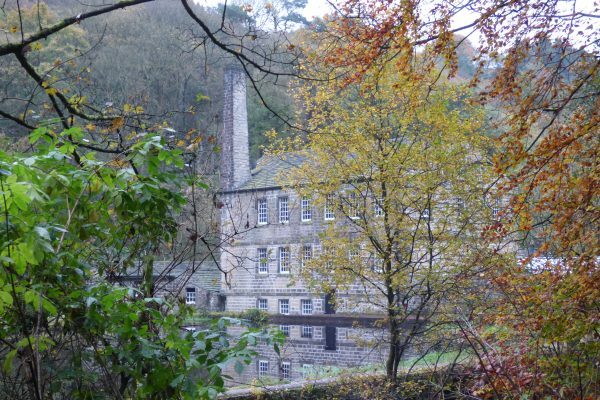 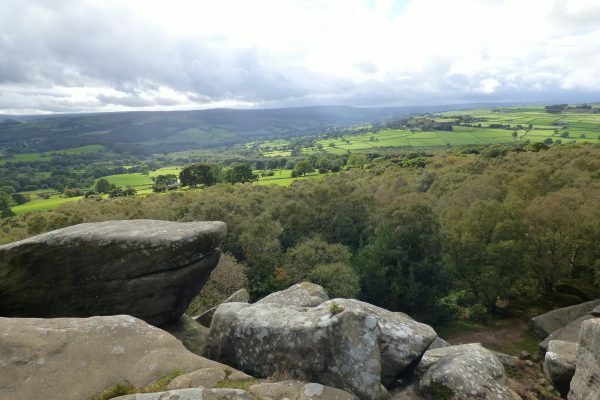 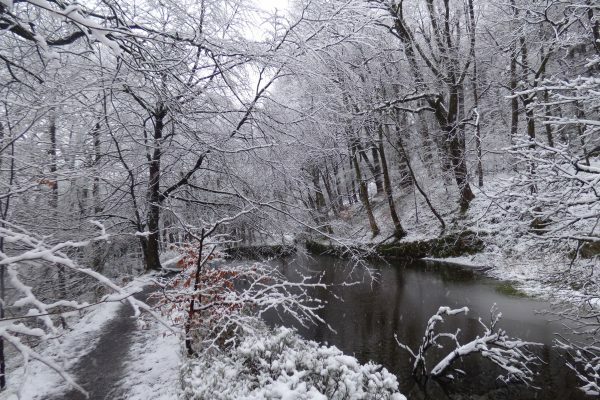 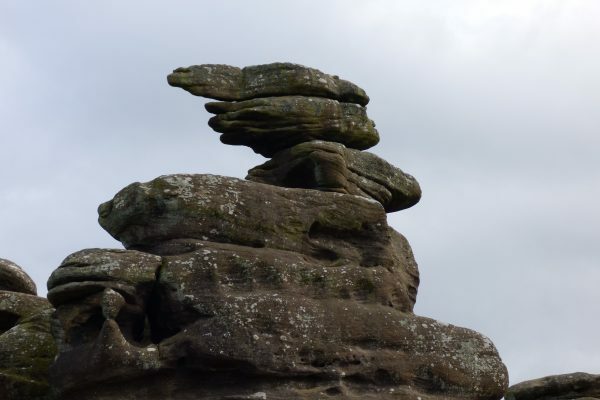 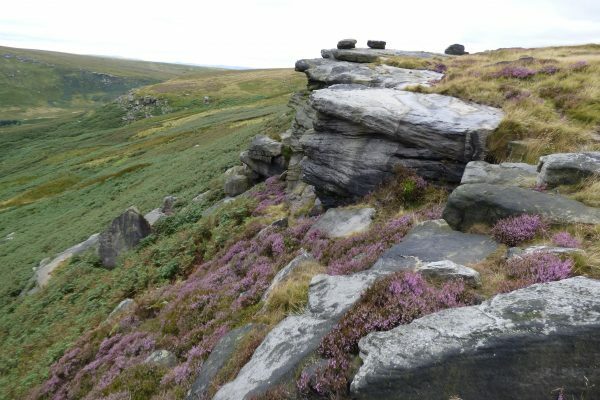 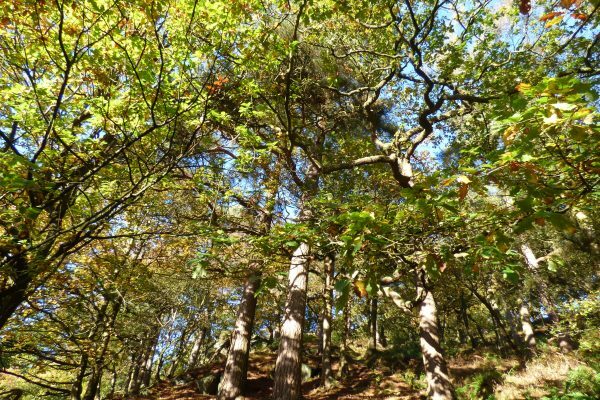 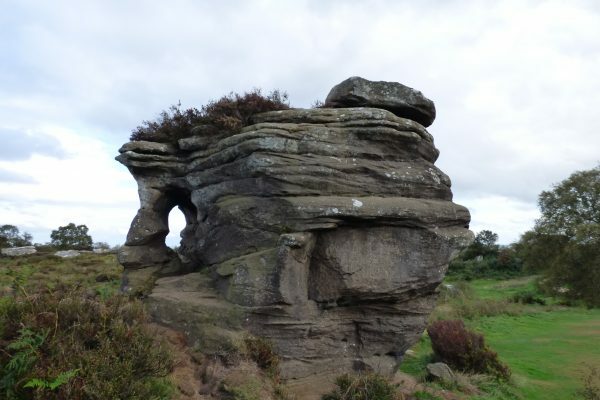 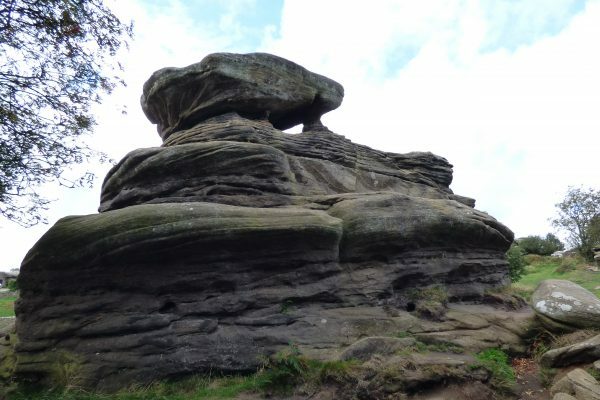 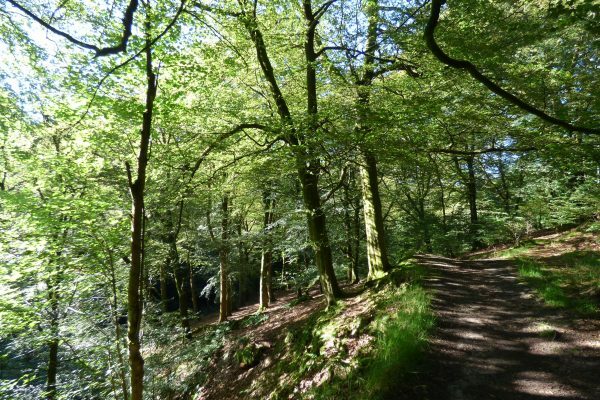 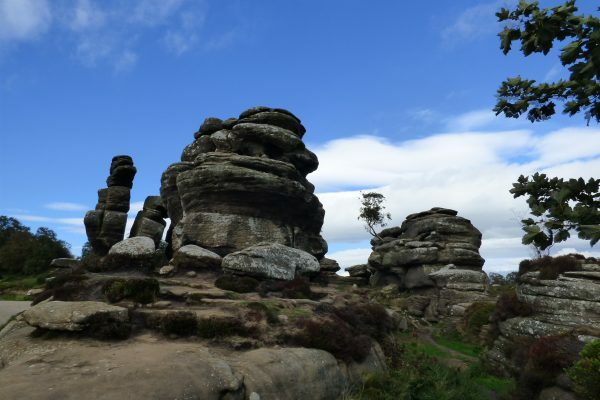 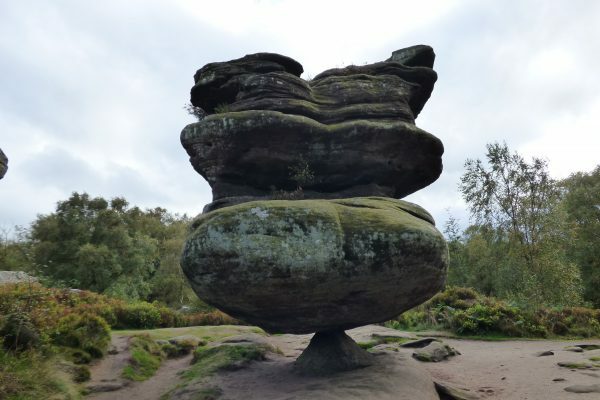 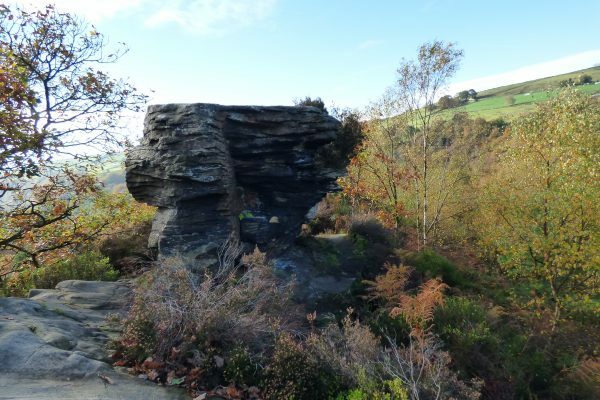 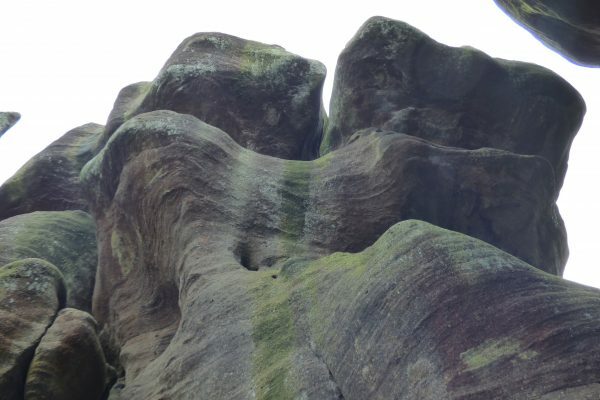 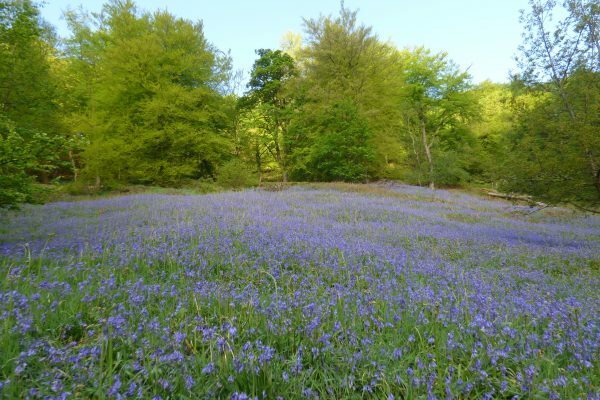 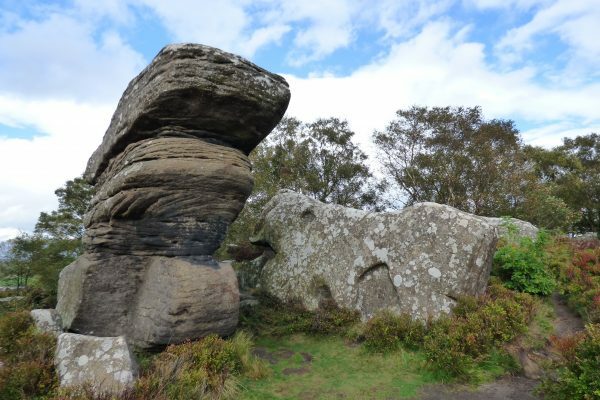 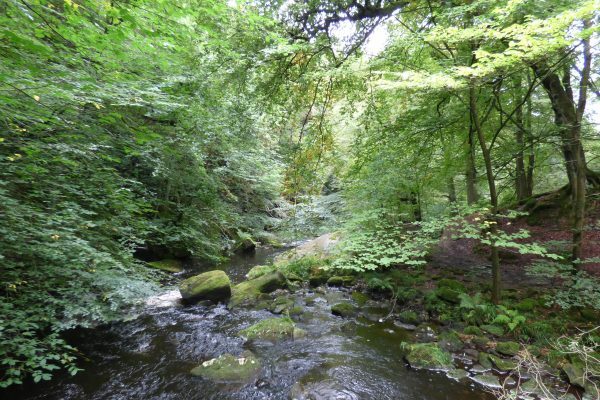 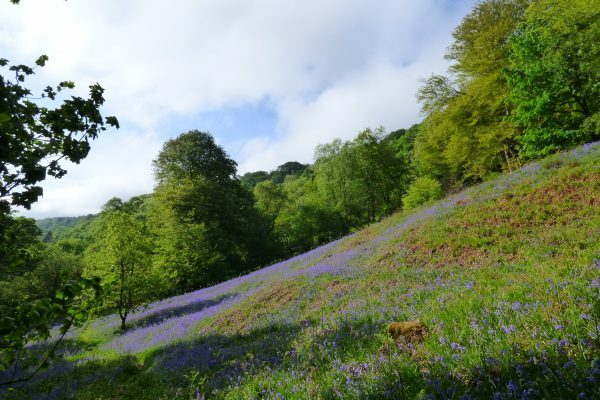 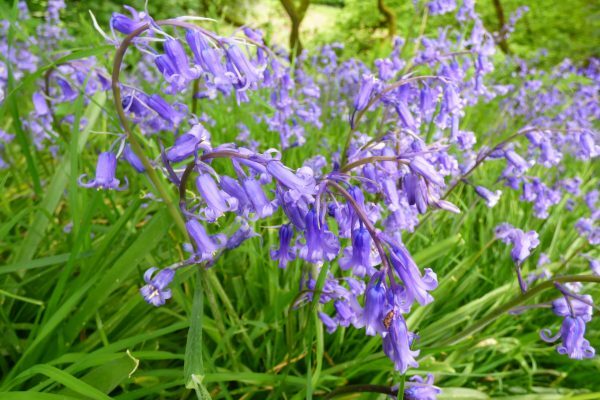 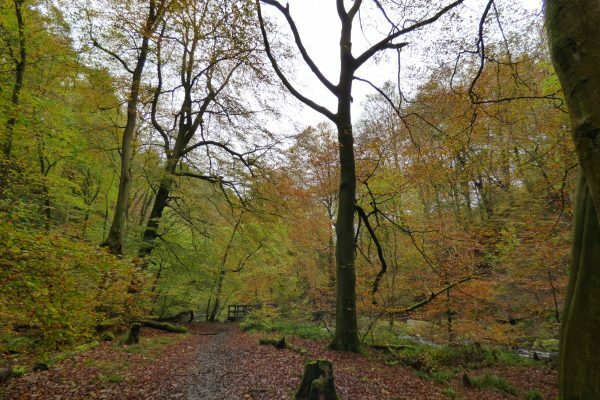 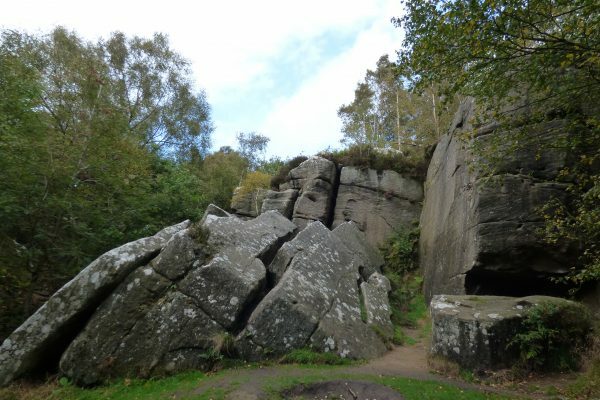 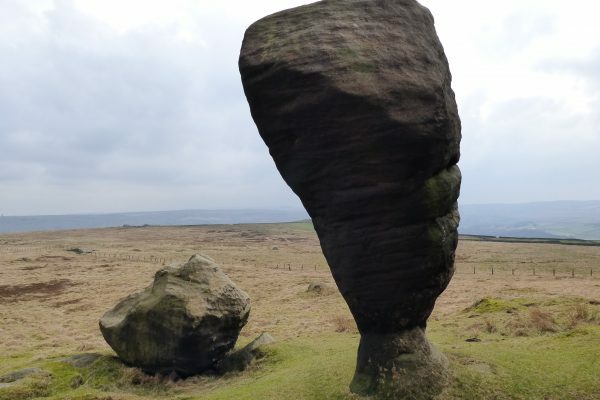 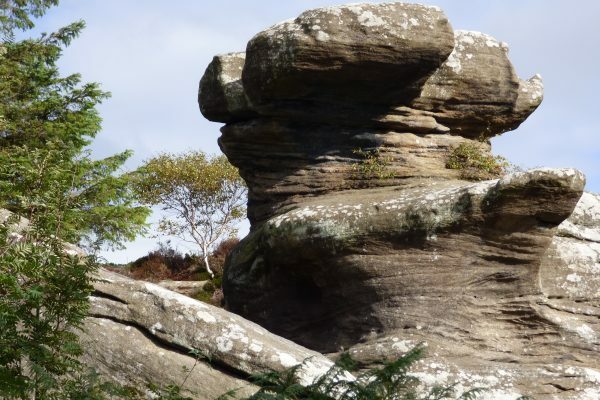 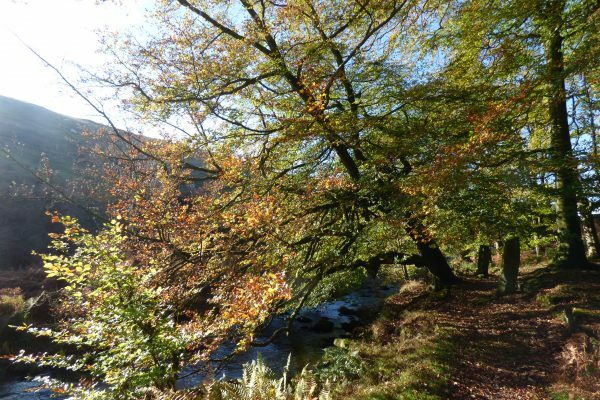 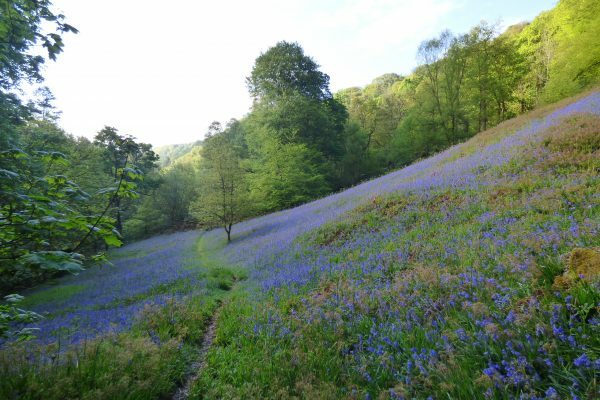 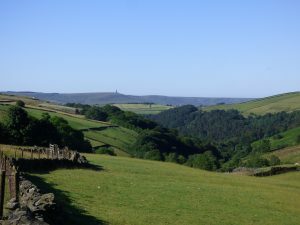 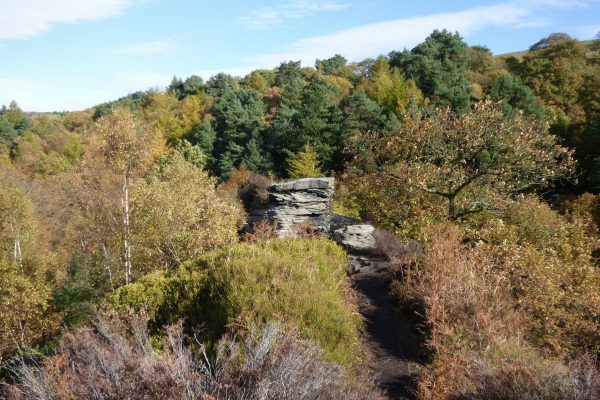 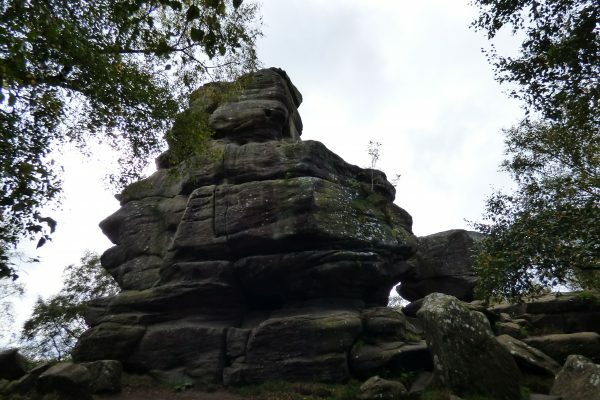 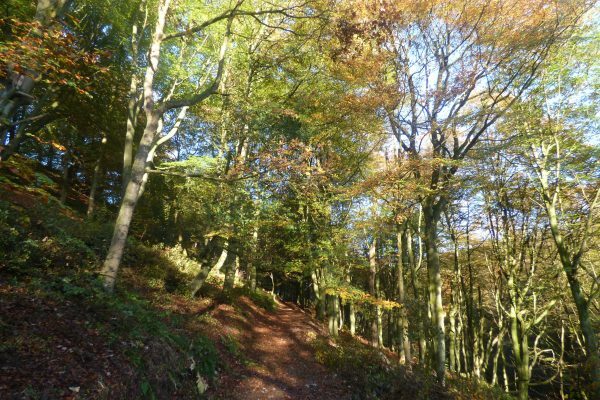 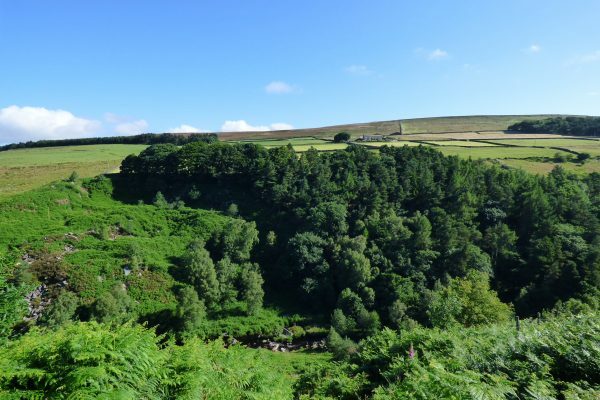 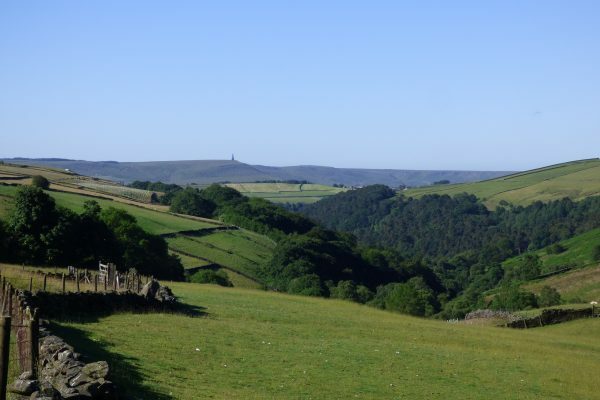 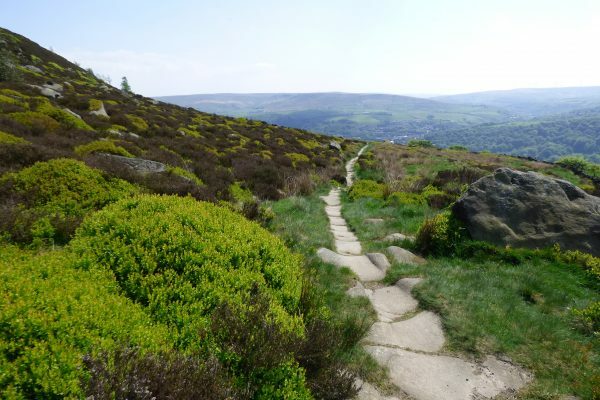 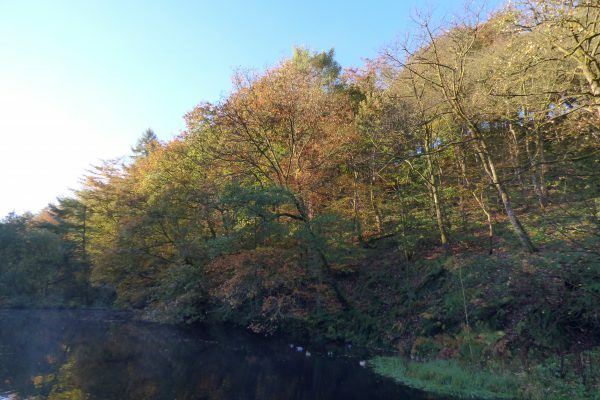 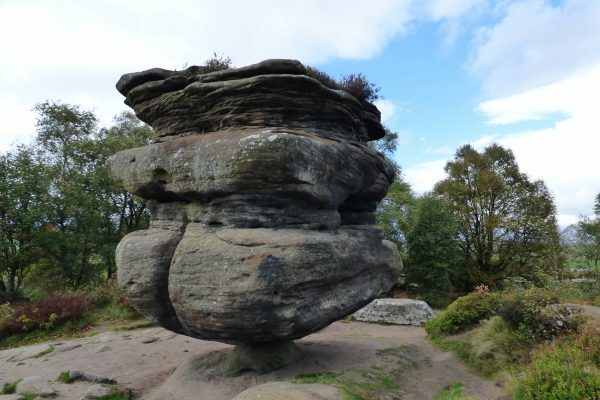 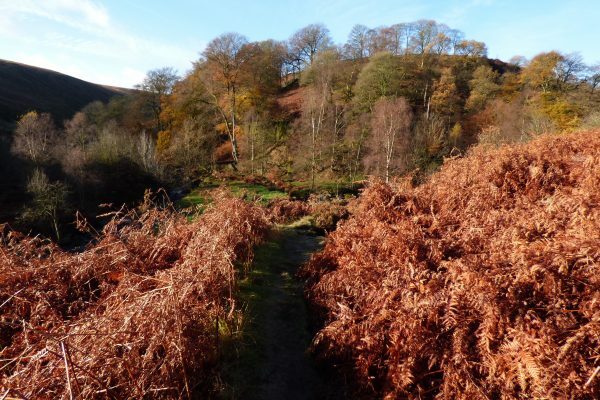 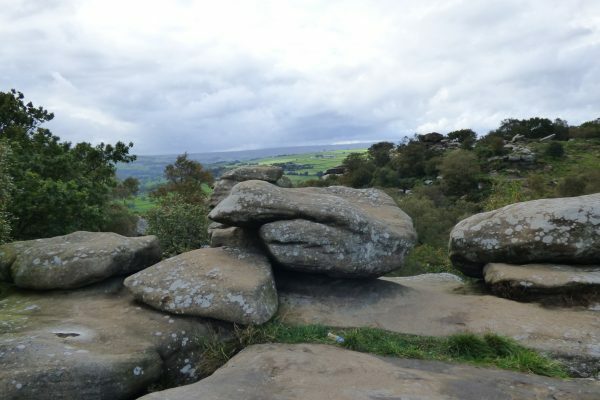 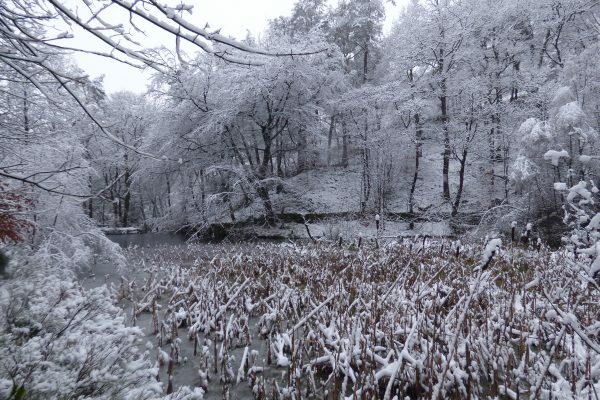 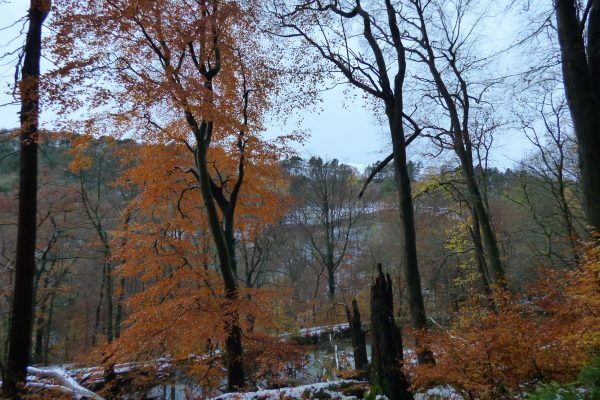 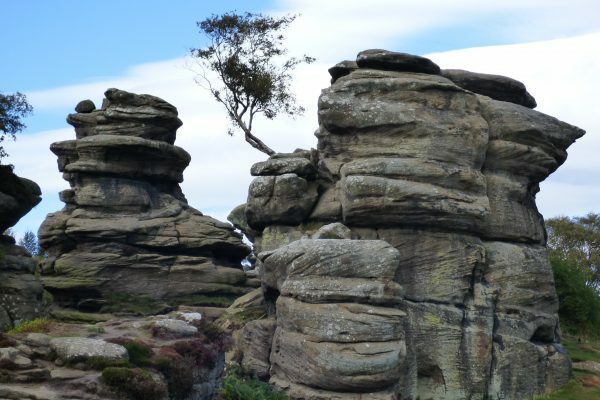 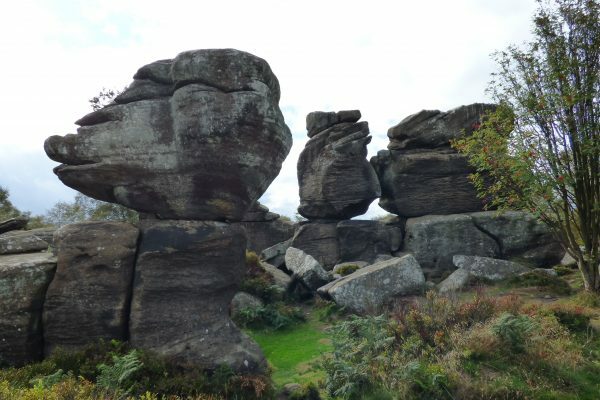 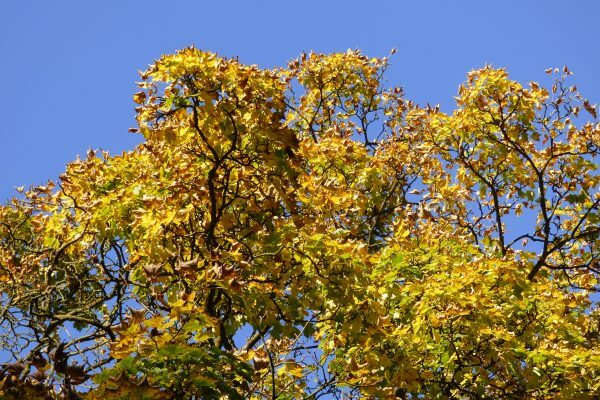 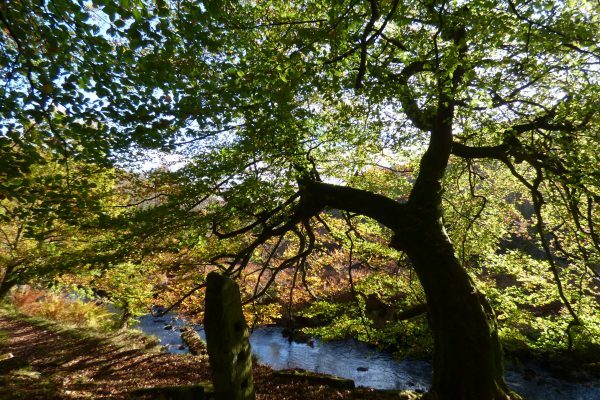 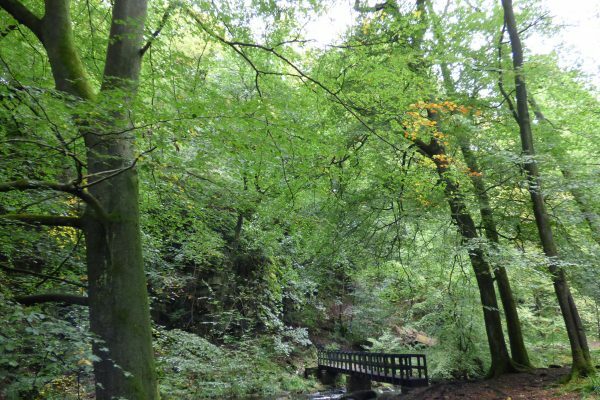 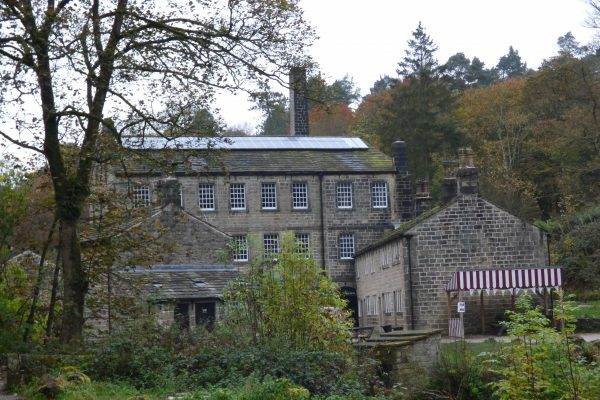 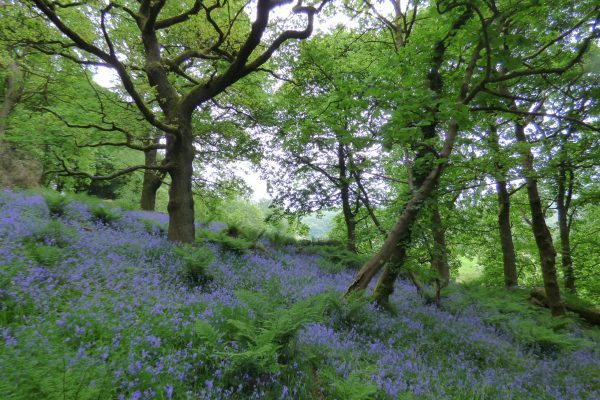 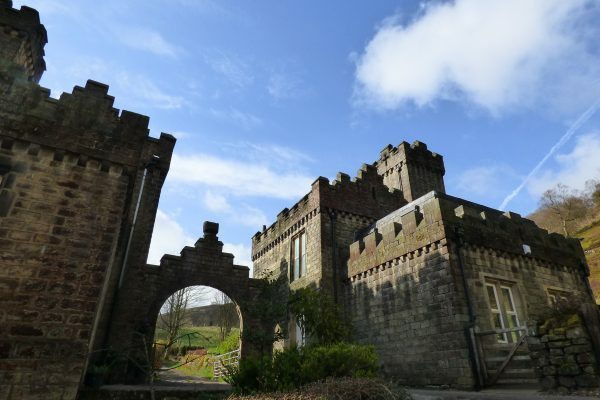 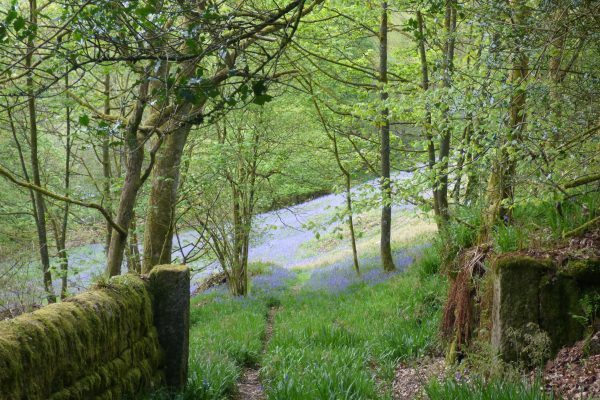 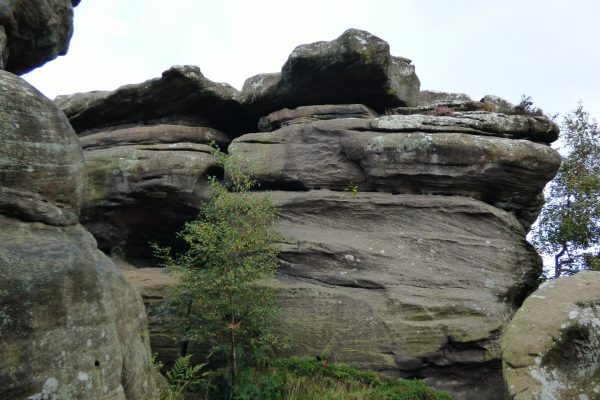 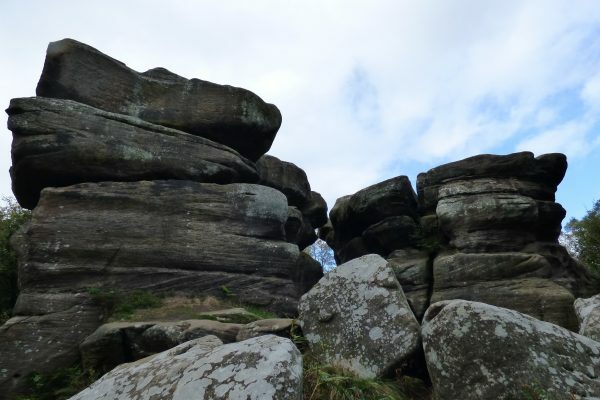 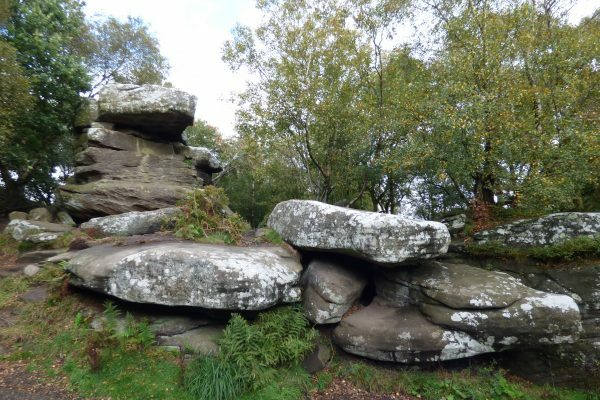 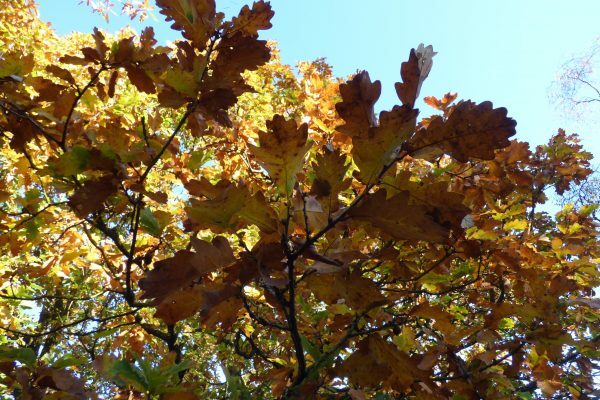 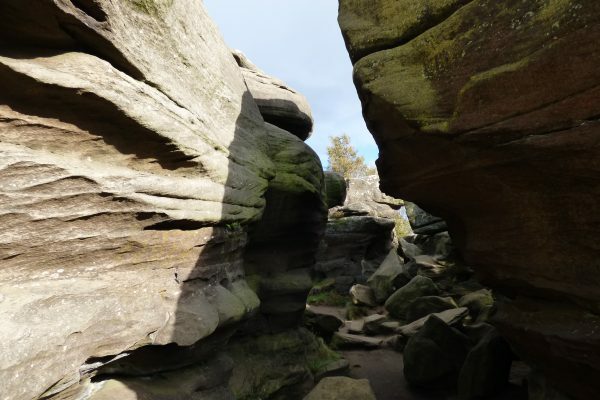 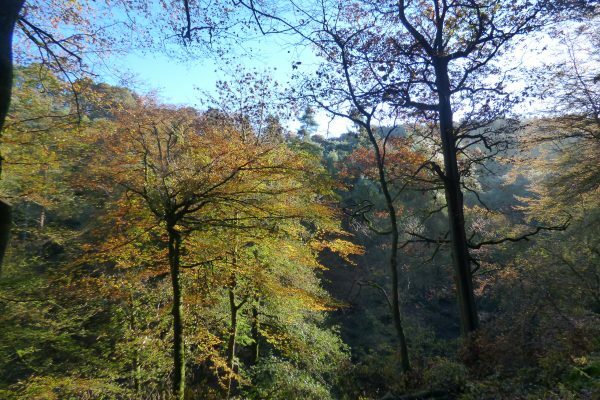 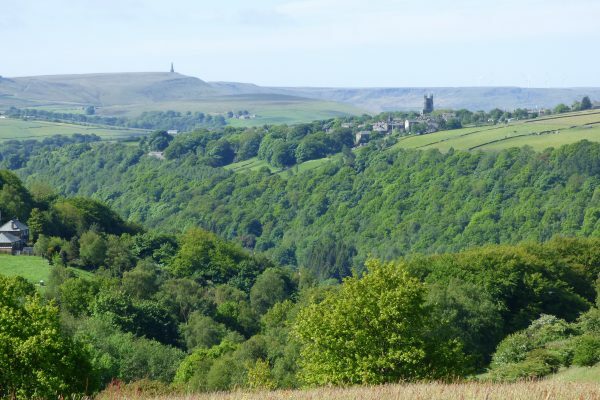 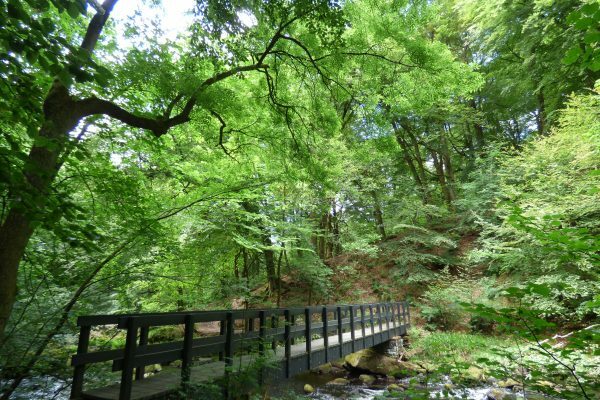 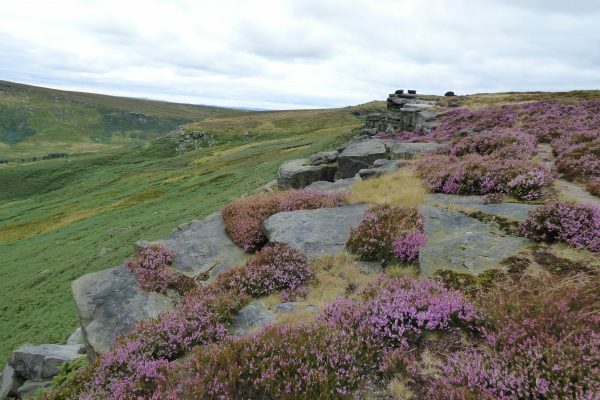 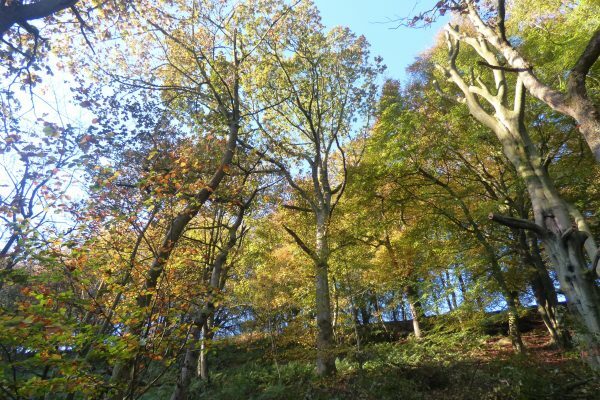 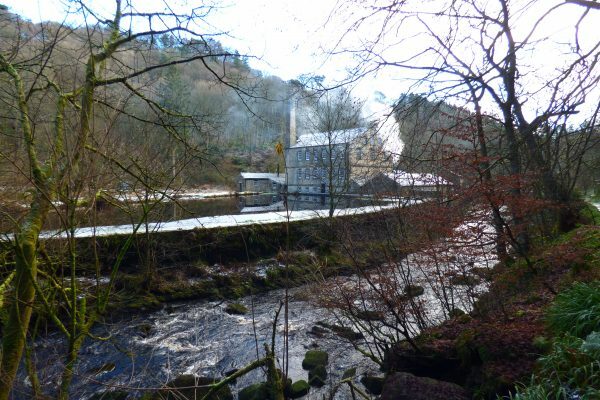 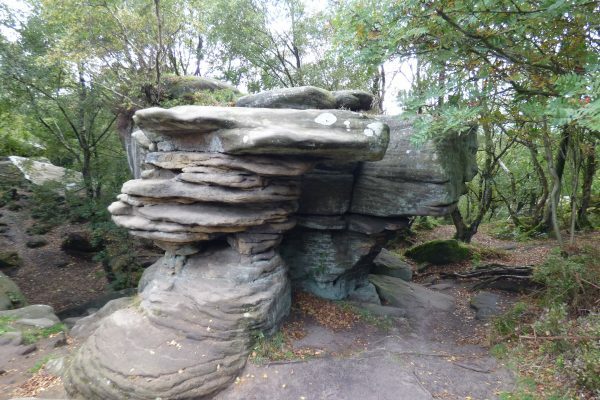 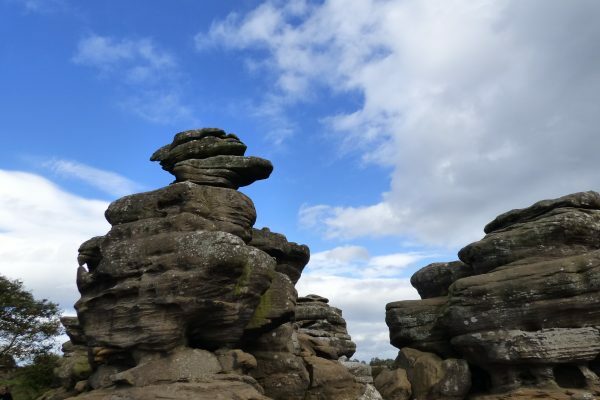 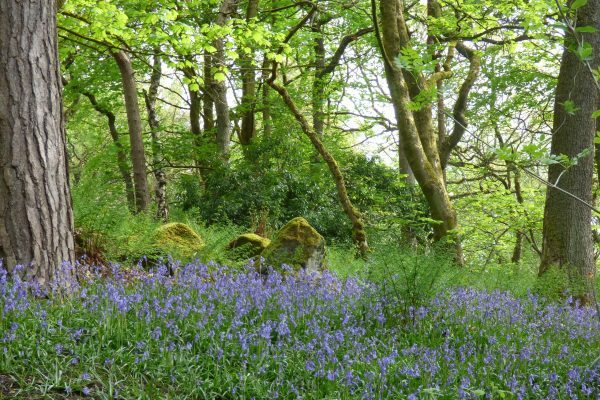 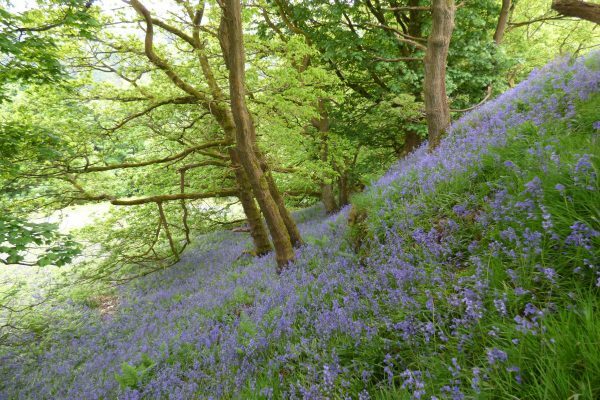 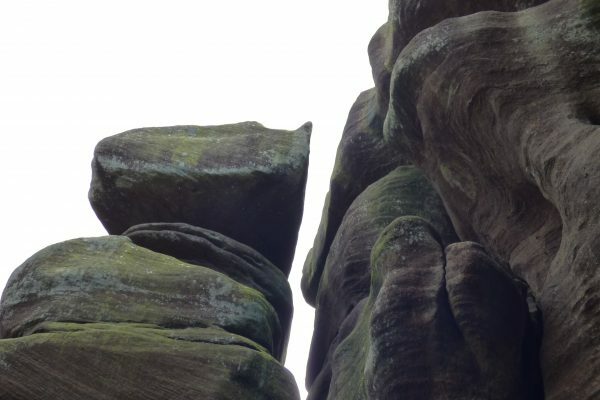 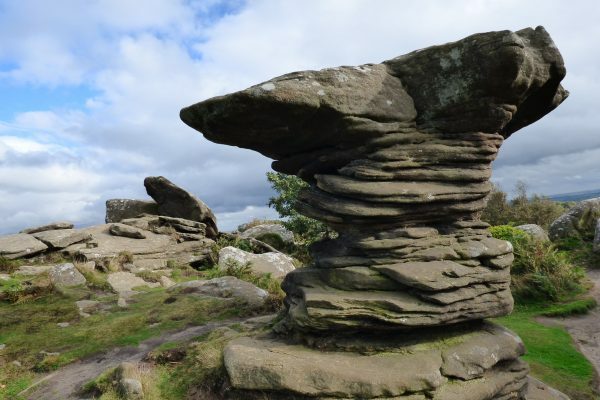 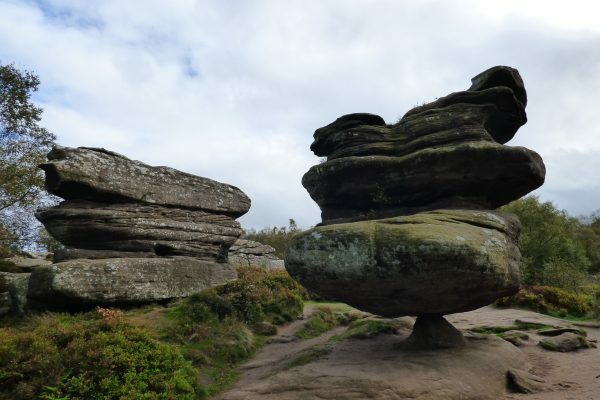 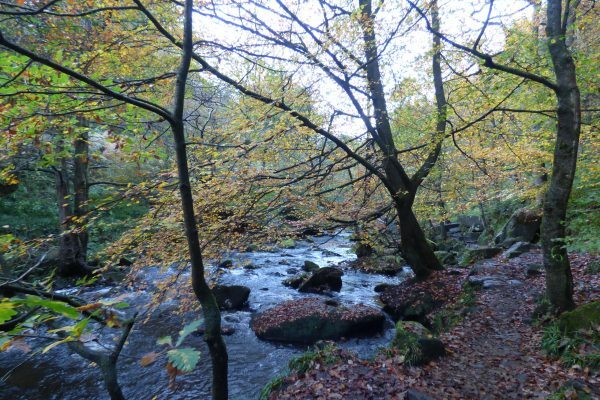 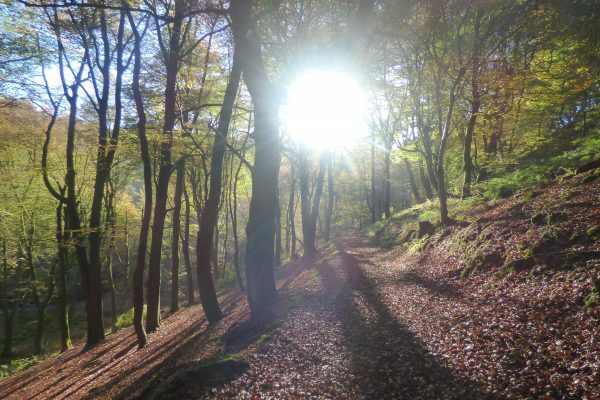 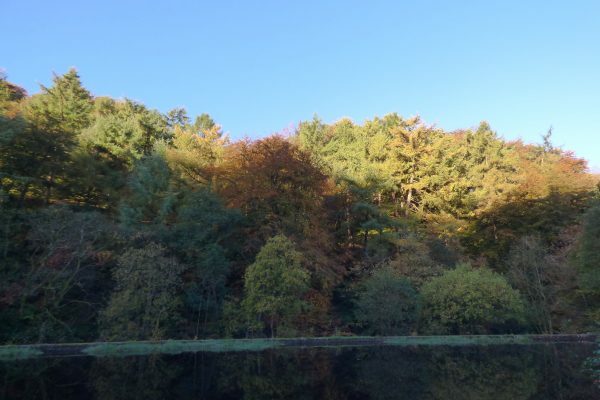 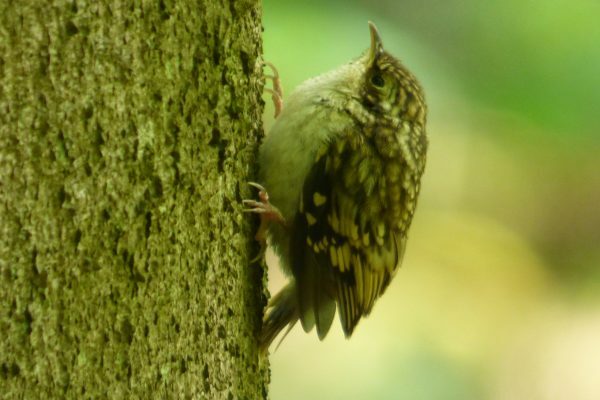 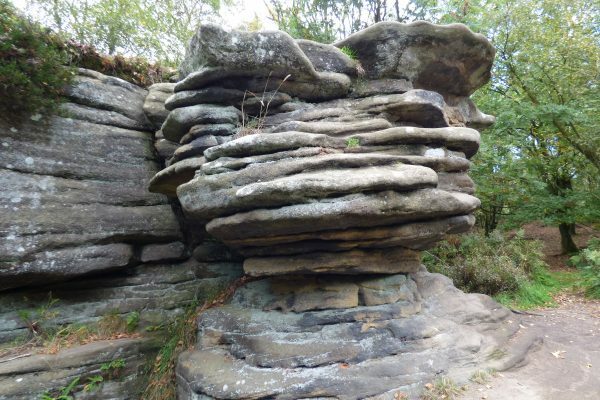 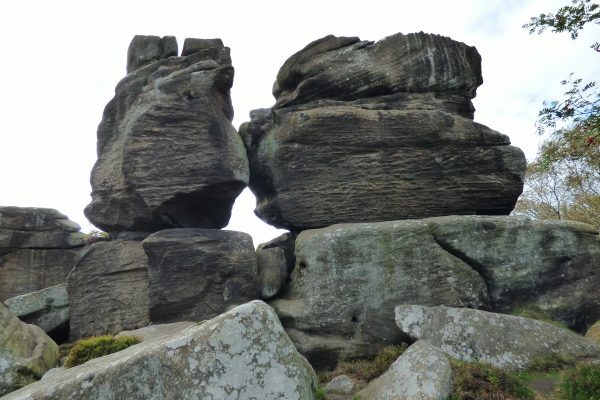 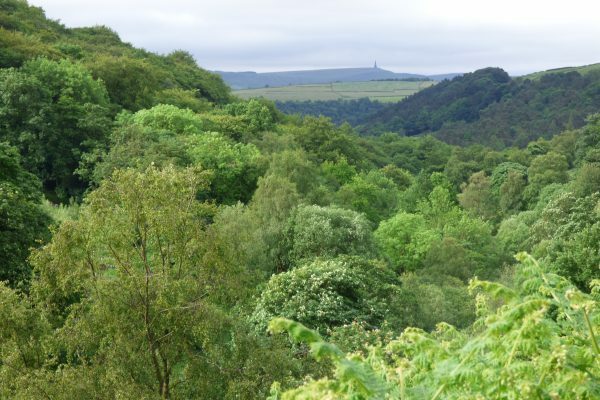 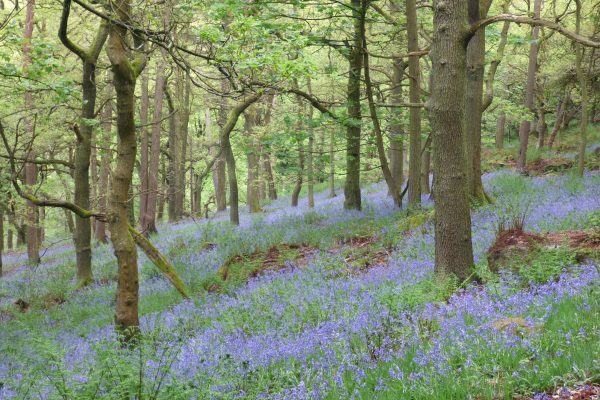 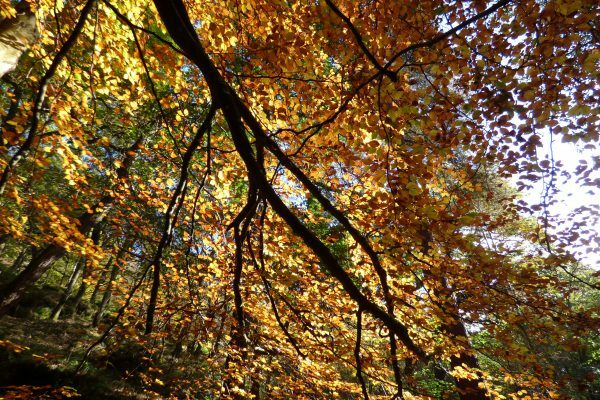 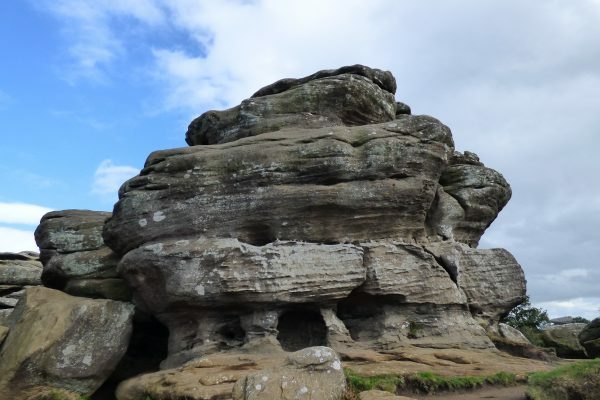 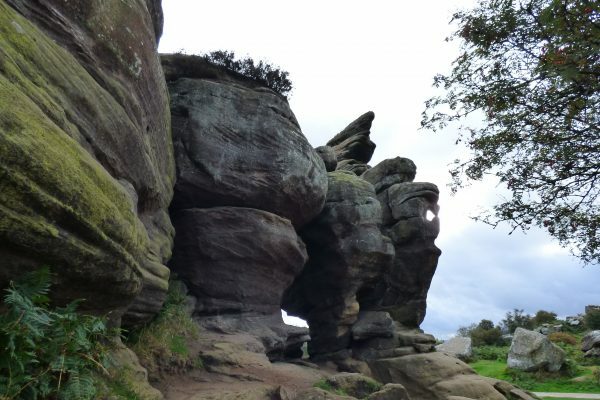 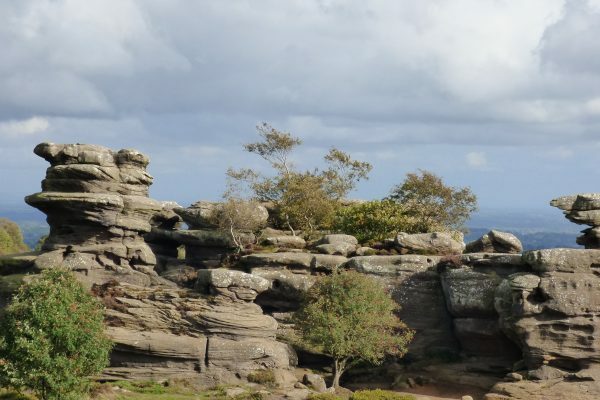 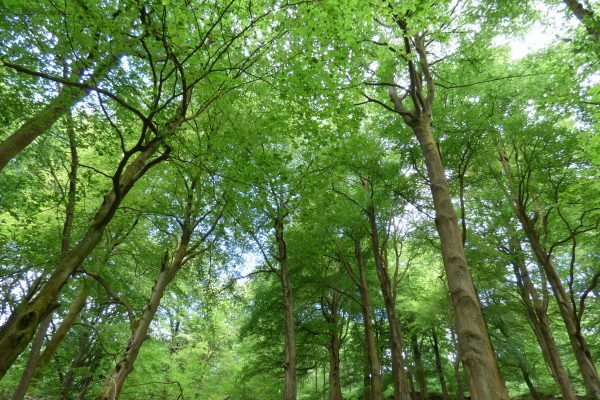 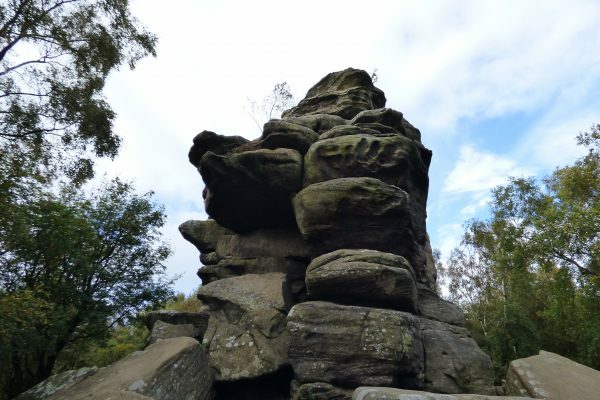 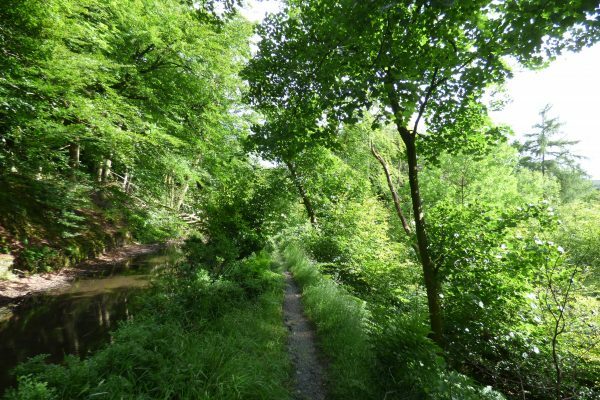 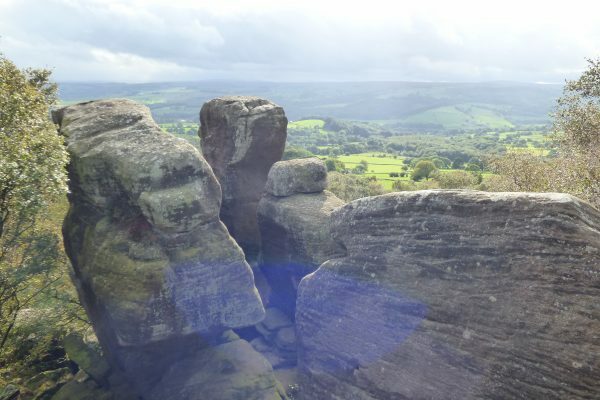 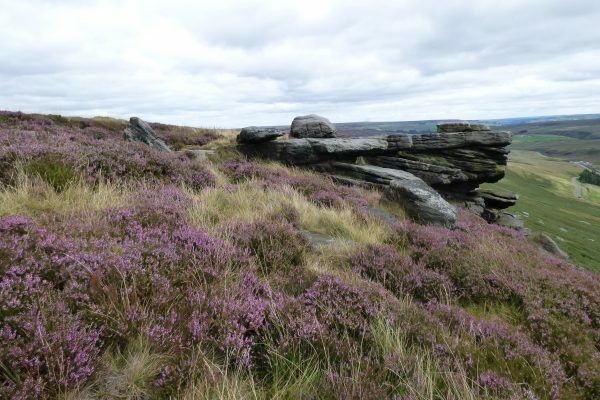 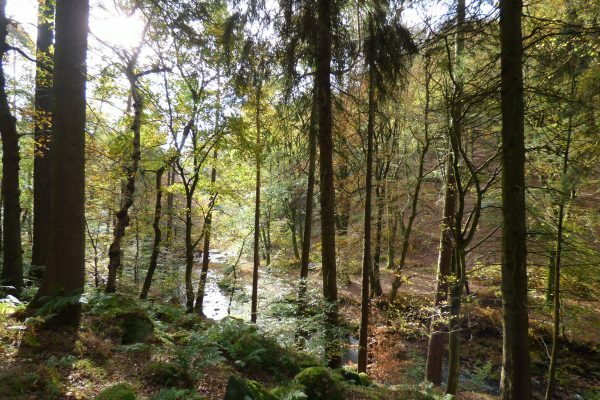 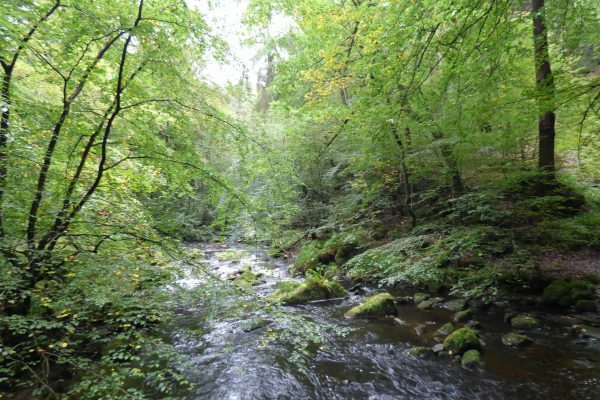 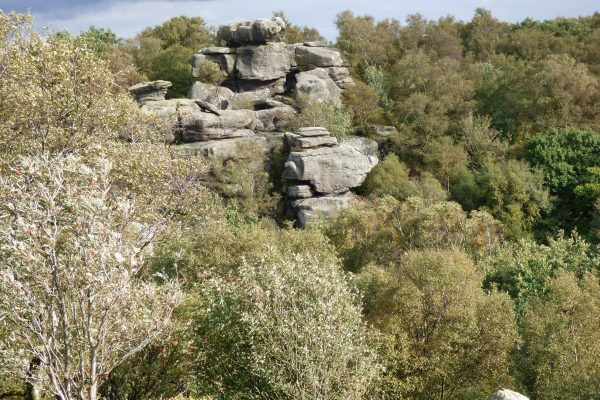 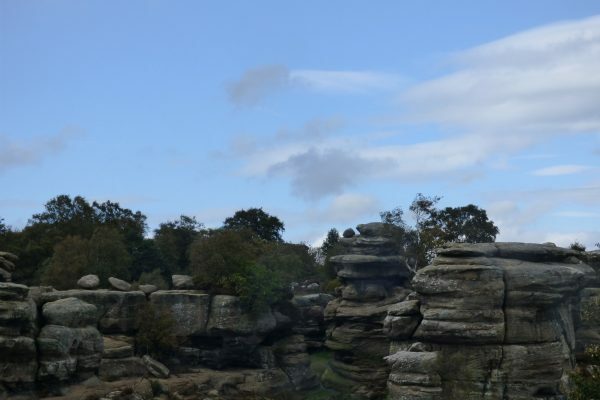 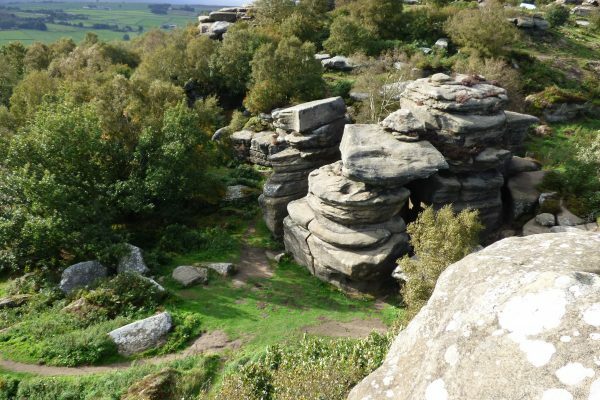 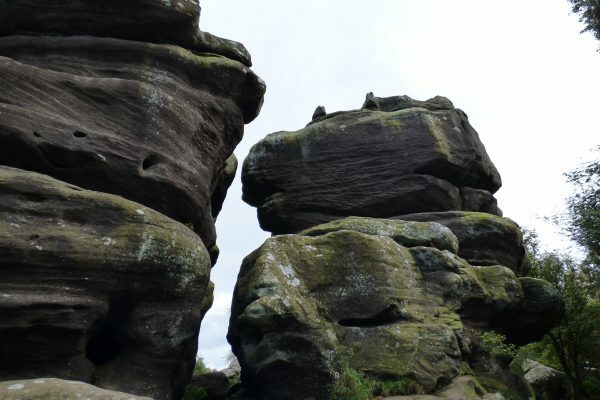 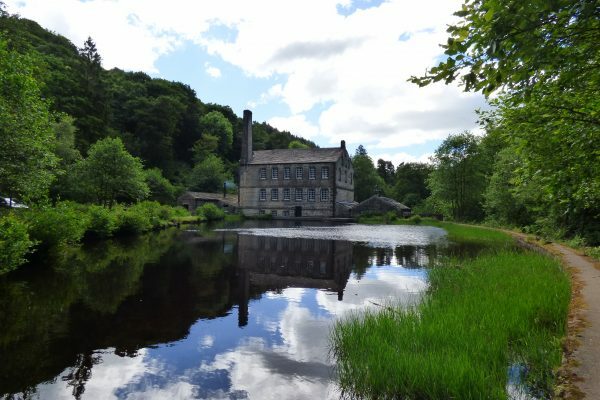 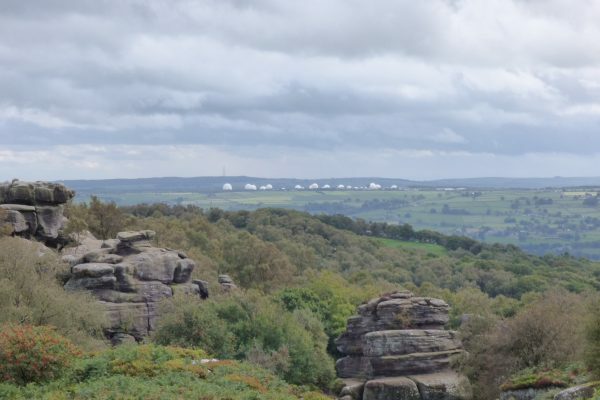 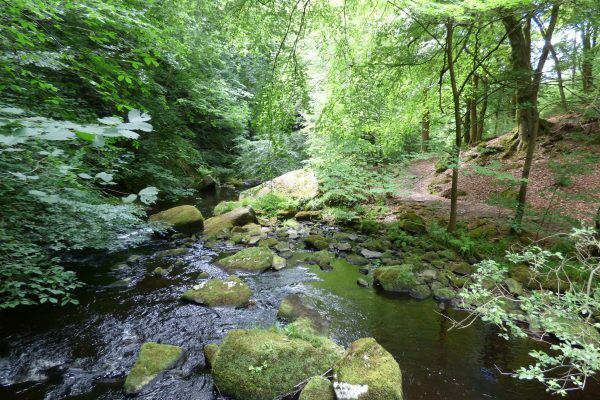 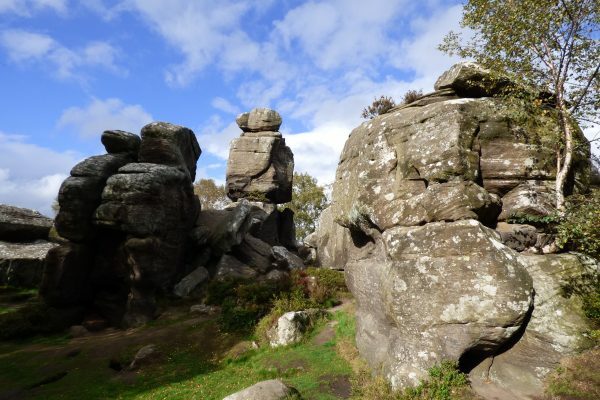 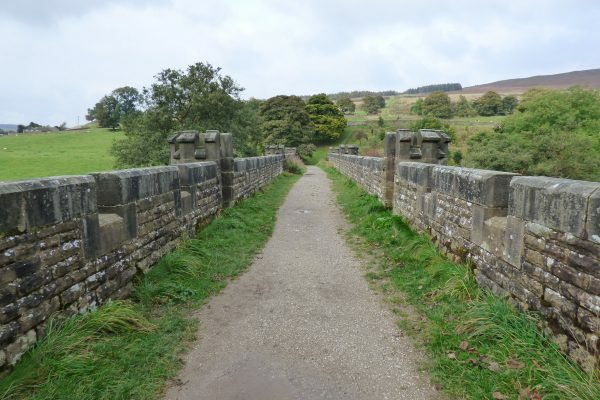 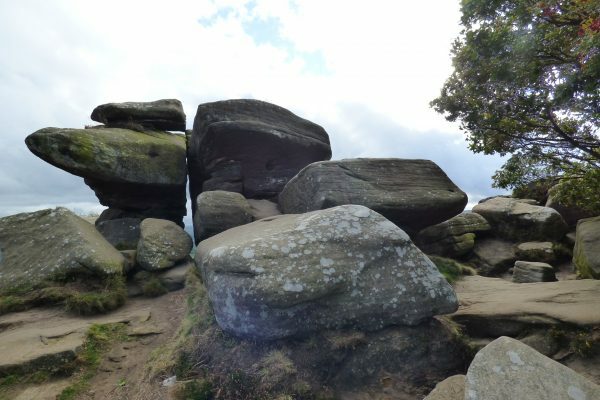 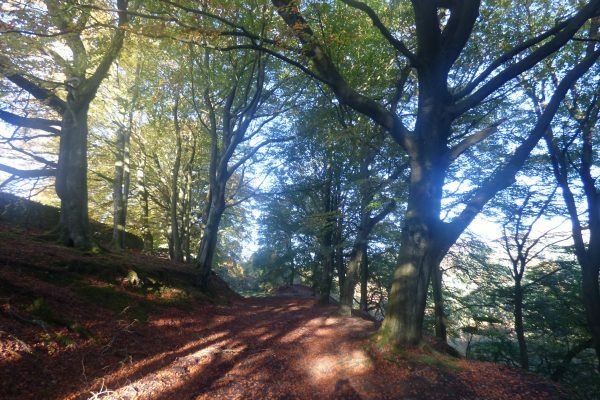 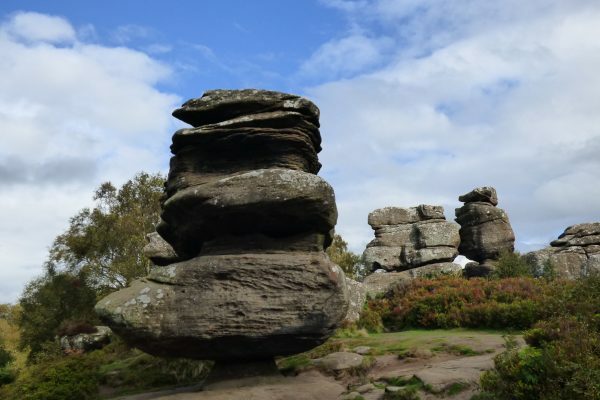 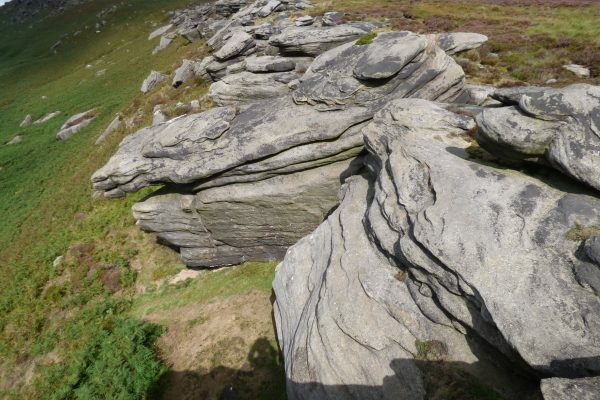 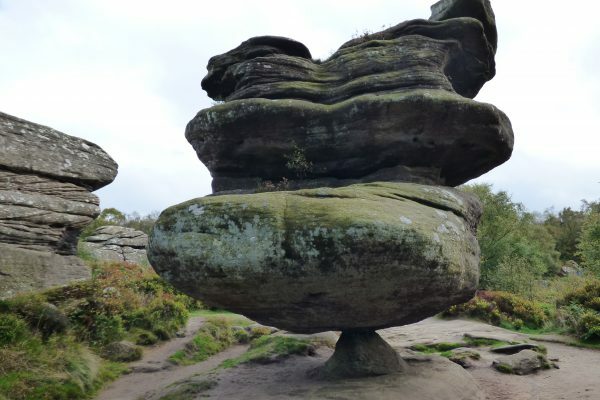 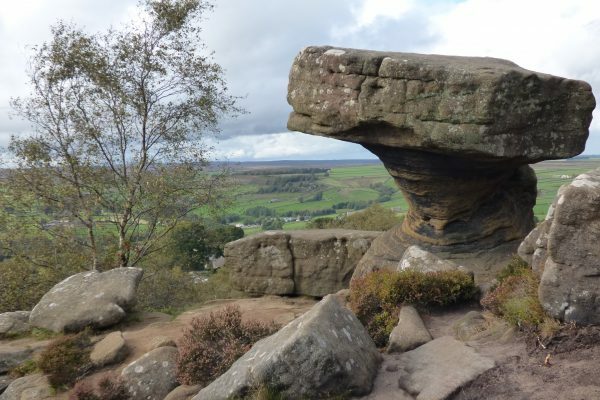 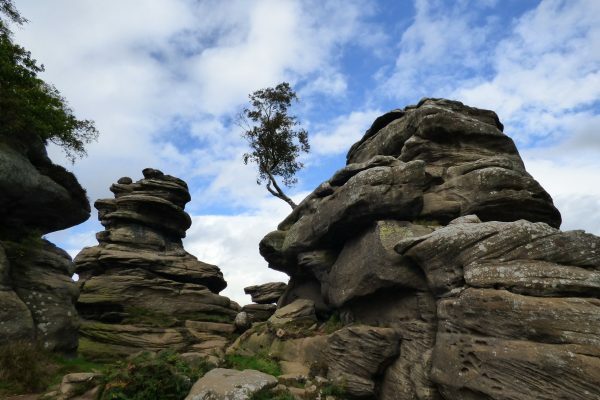 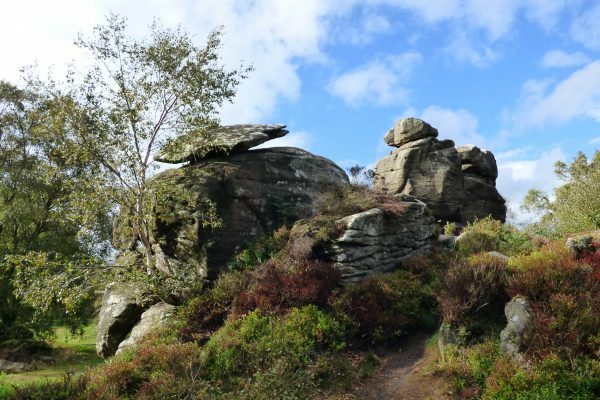 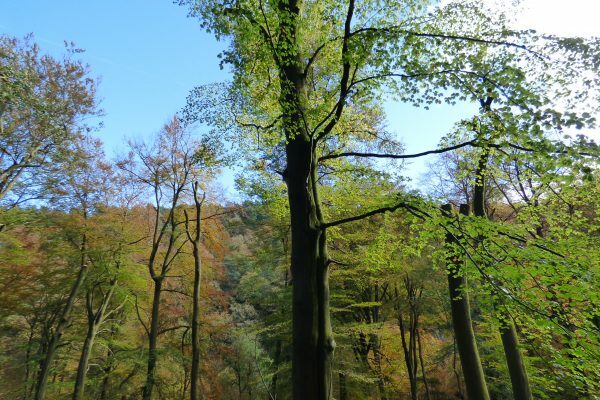 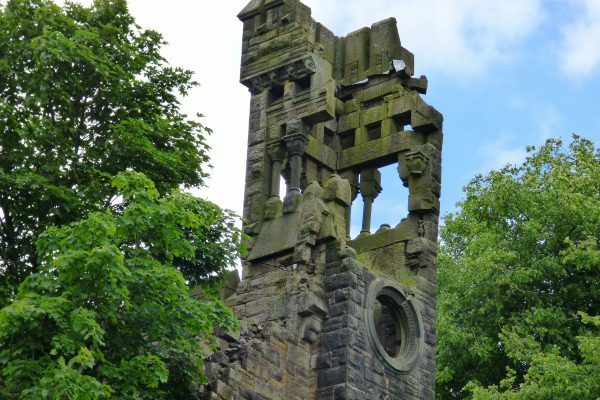 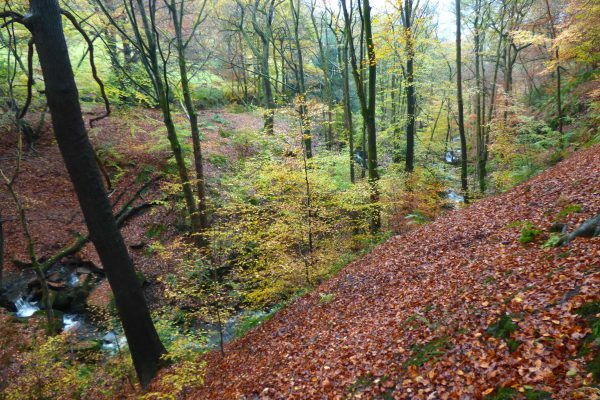 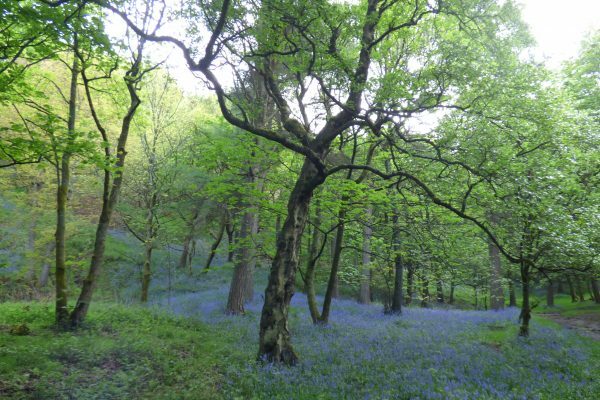 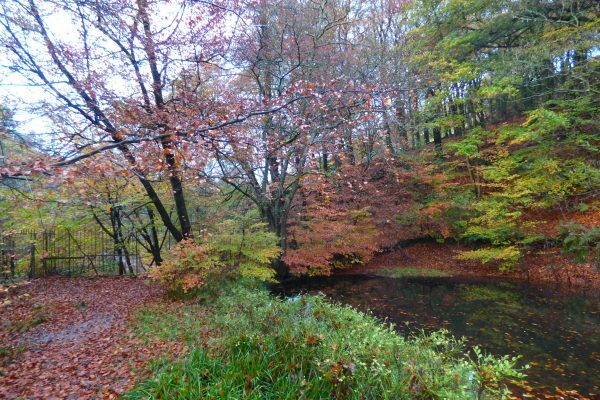 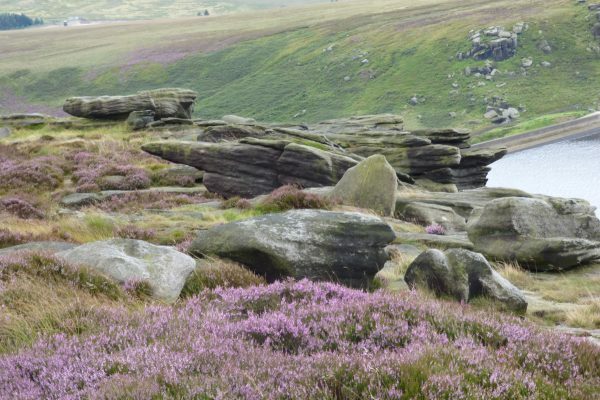 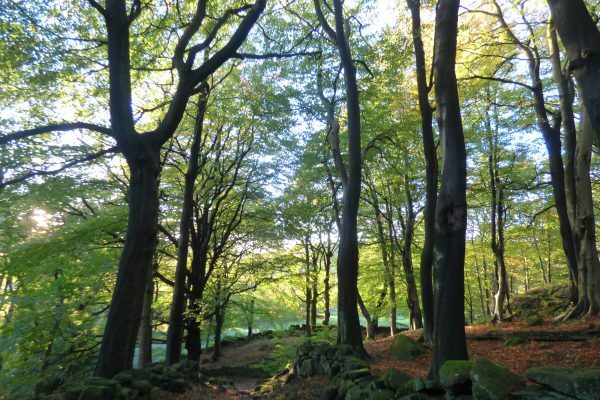 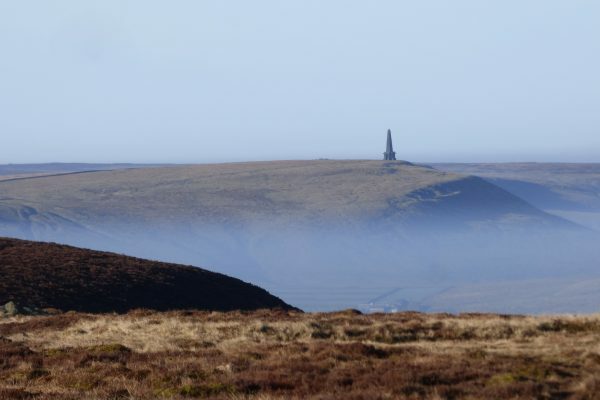 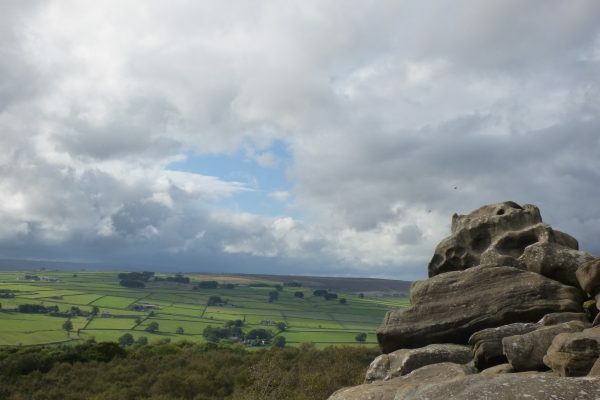 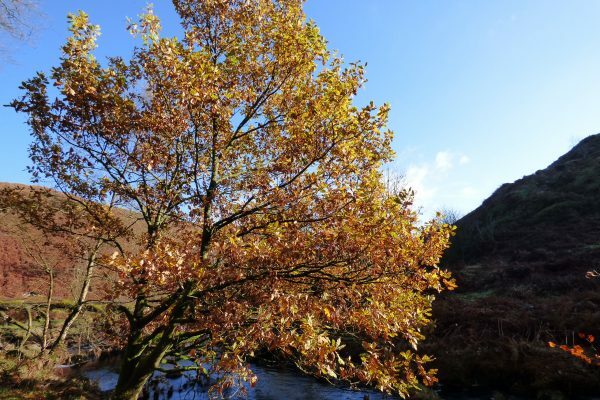 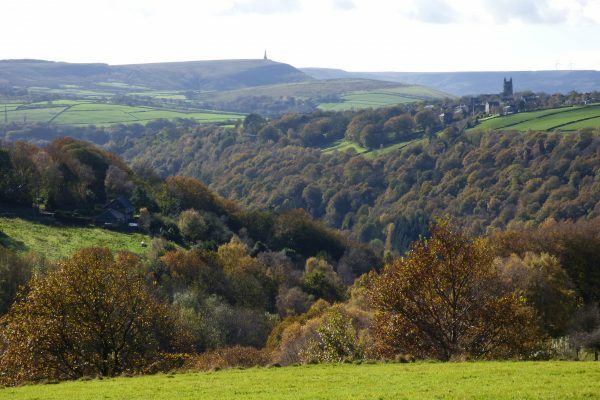 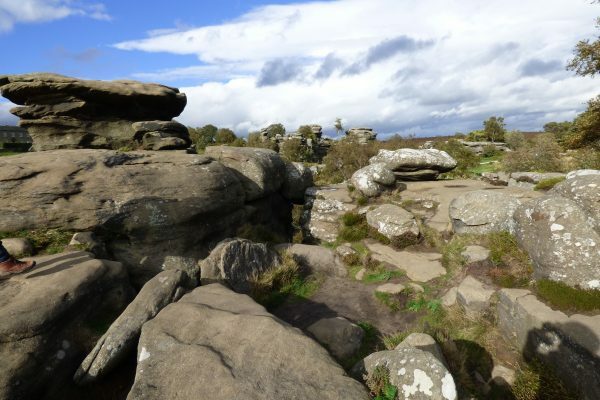 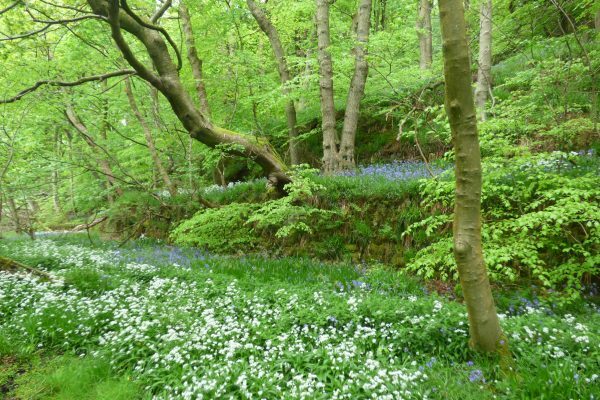 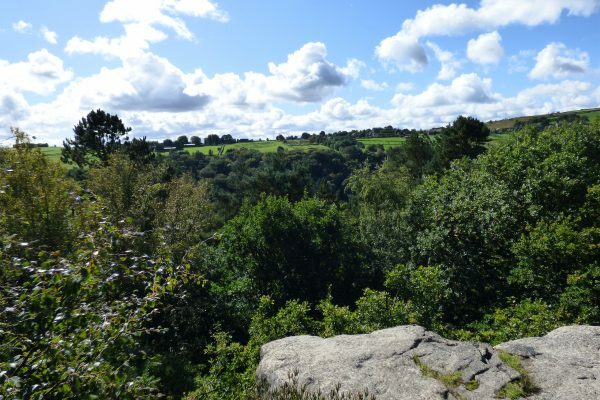 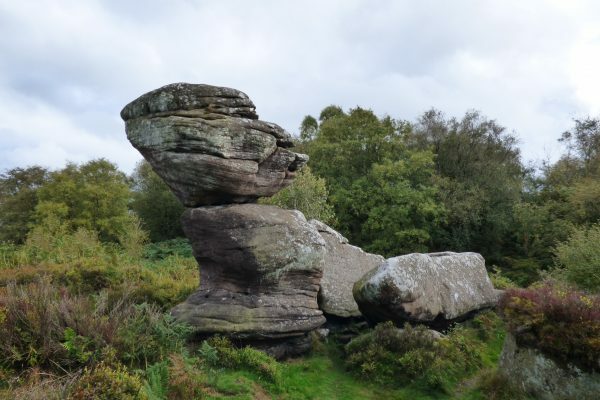 The area around Hebden Bridge is particularly dramatic with its bluebell woods, converging rivers, cascading waterfalls, gritstone outcrops and rocky gorges.